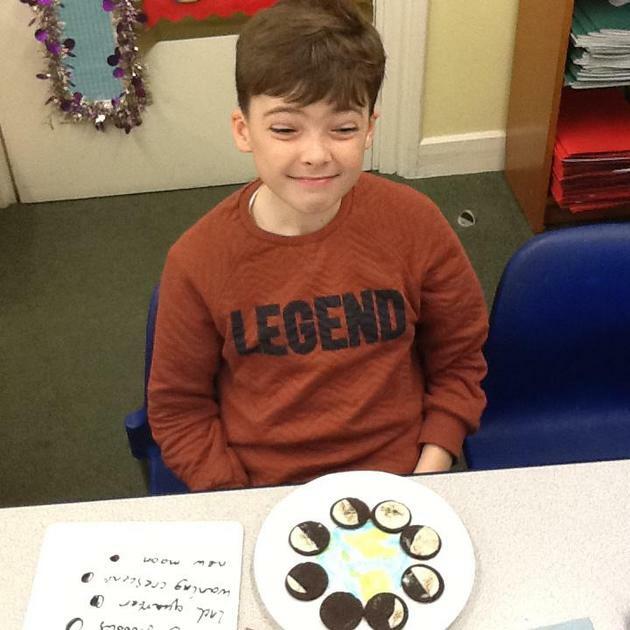 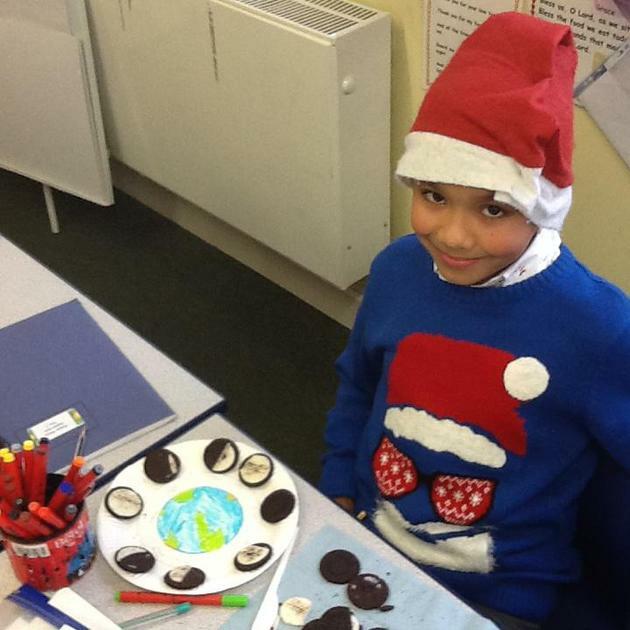 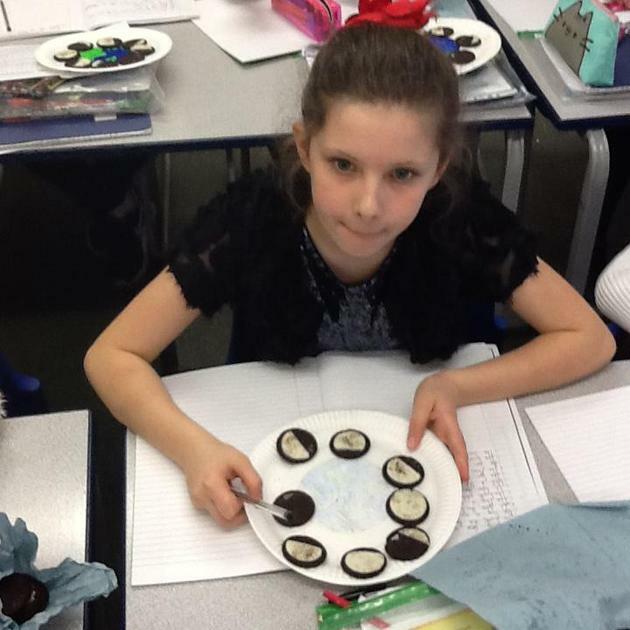 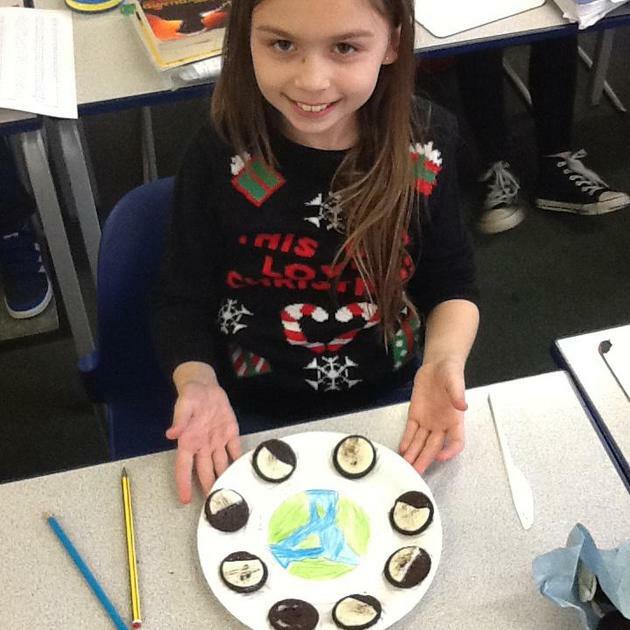 Today in year 5 we had a Greek food tasting day. 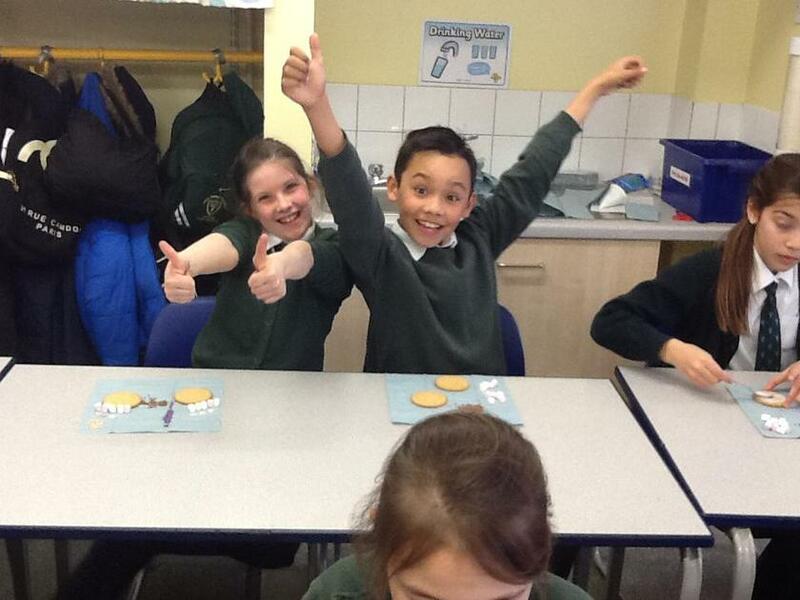 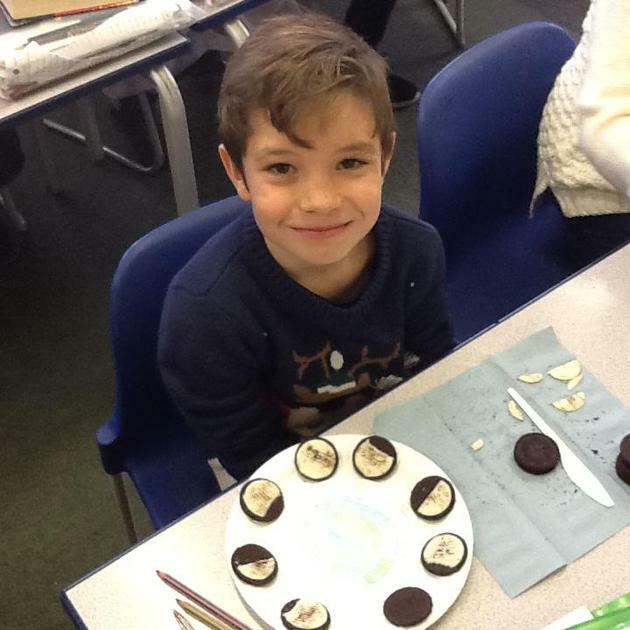 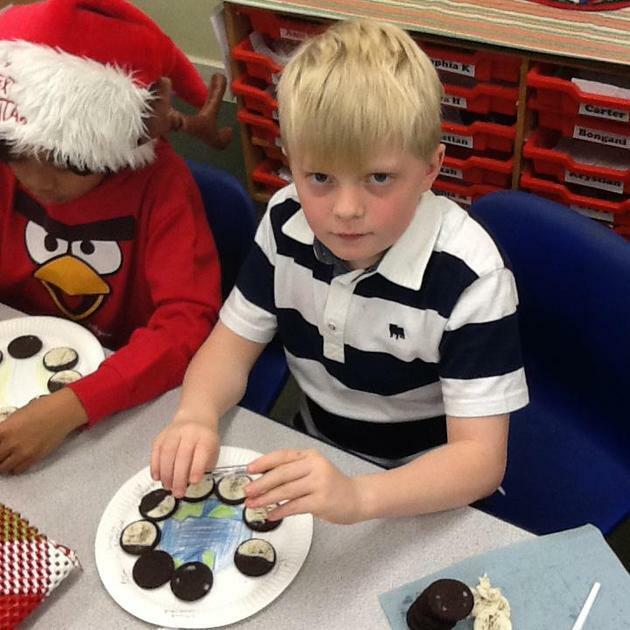 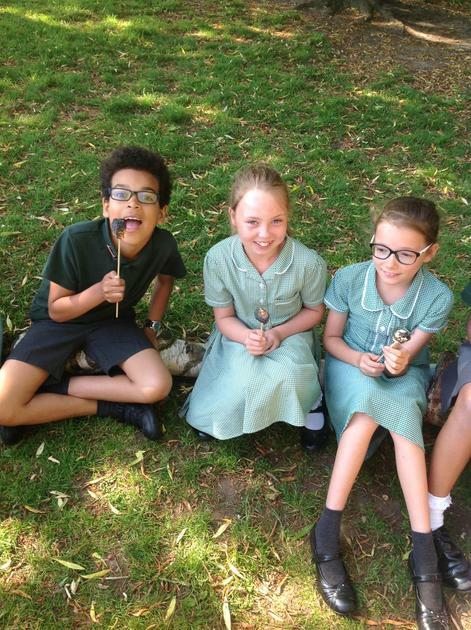 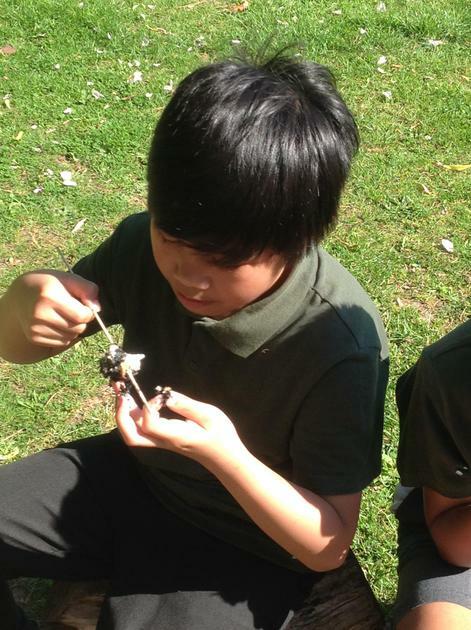 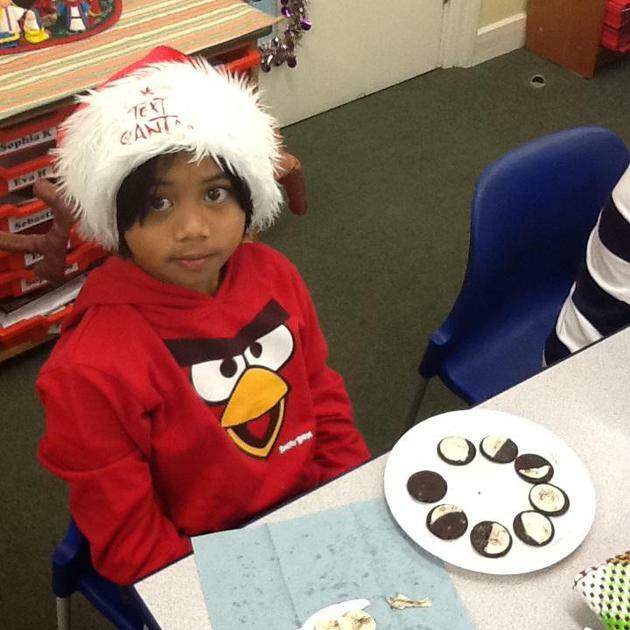 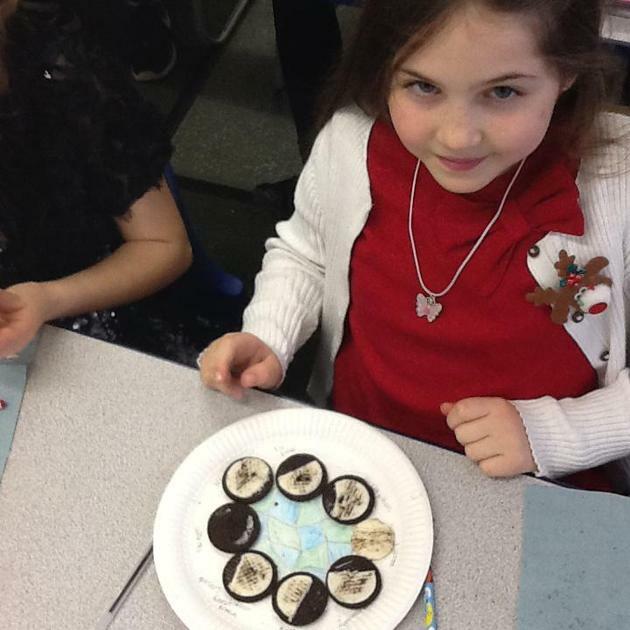 The children had fun sampling different Greek foods and investigating taste, texture and appearance. 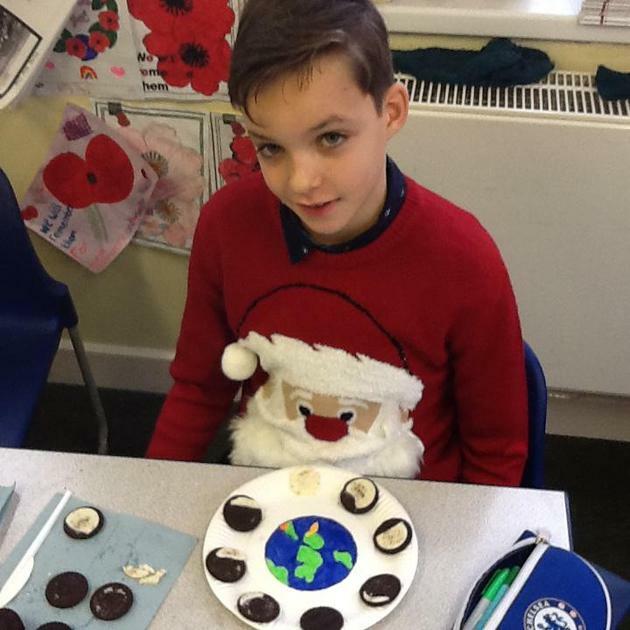 The children sampled: Feta, humus, olives, pitta, bread sticks, honey, Greek yoghurt and baklava. 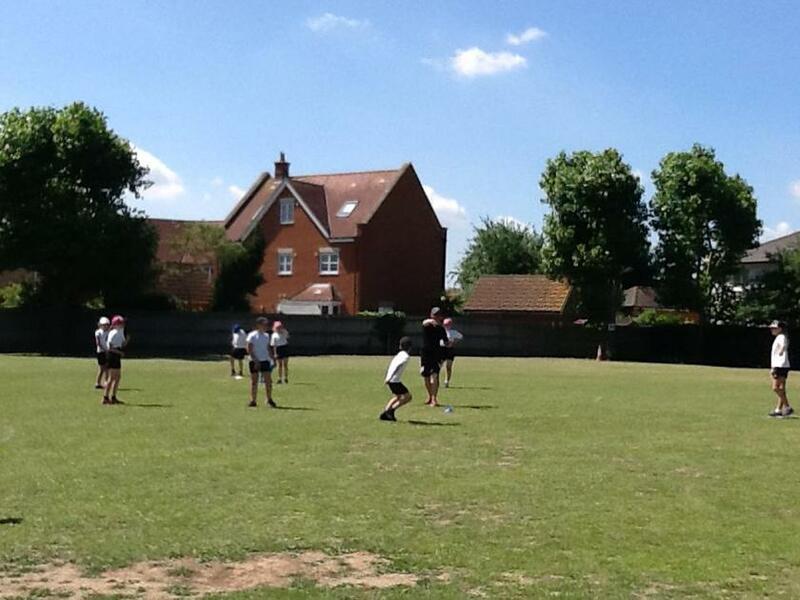 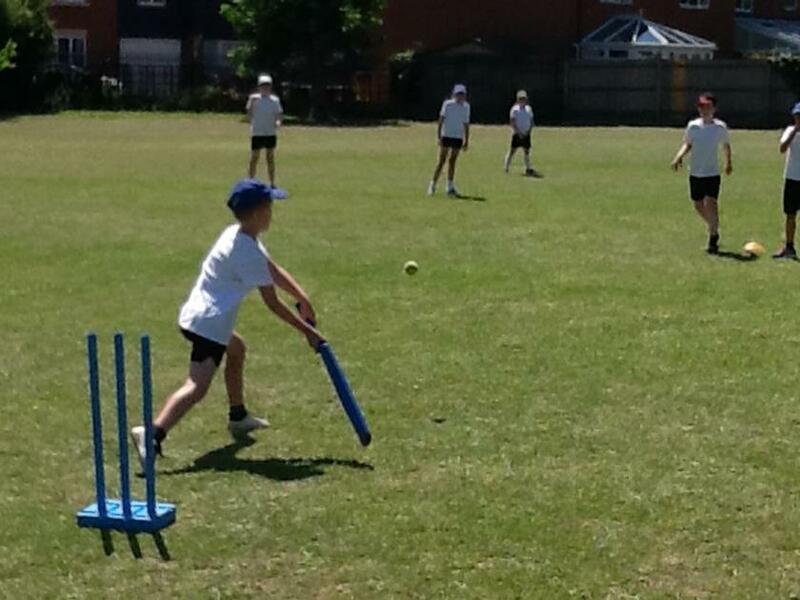 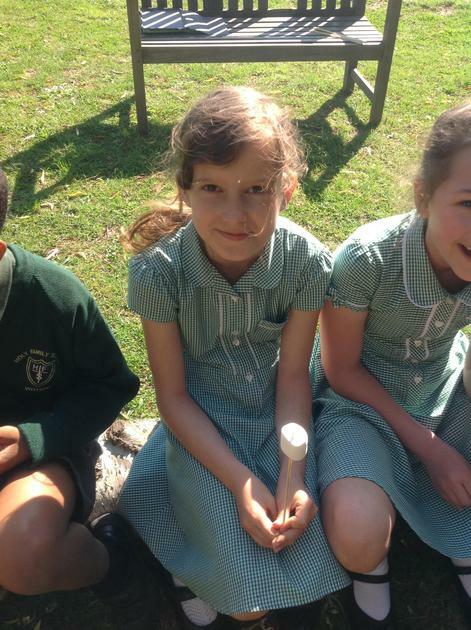 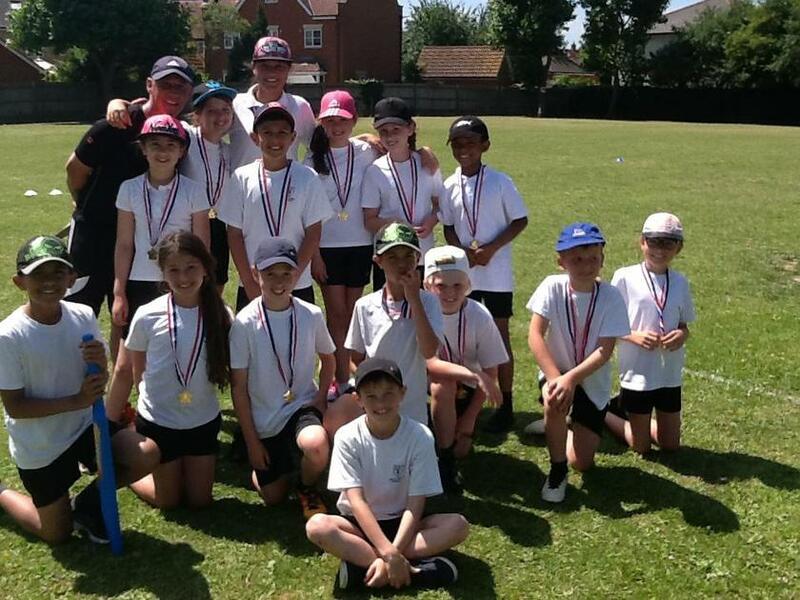 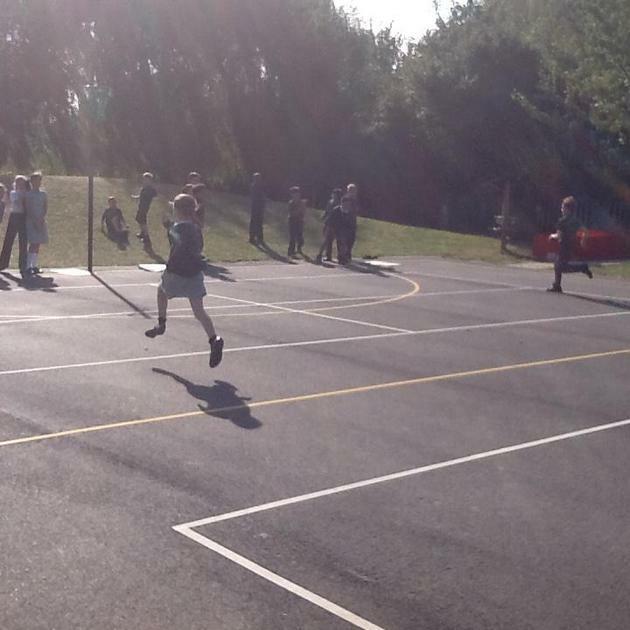 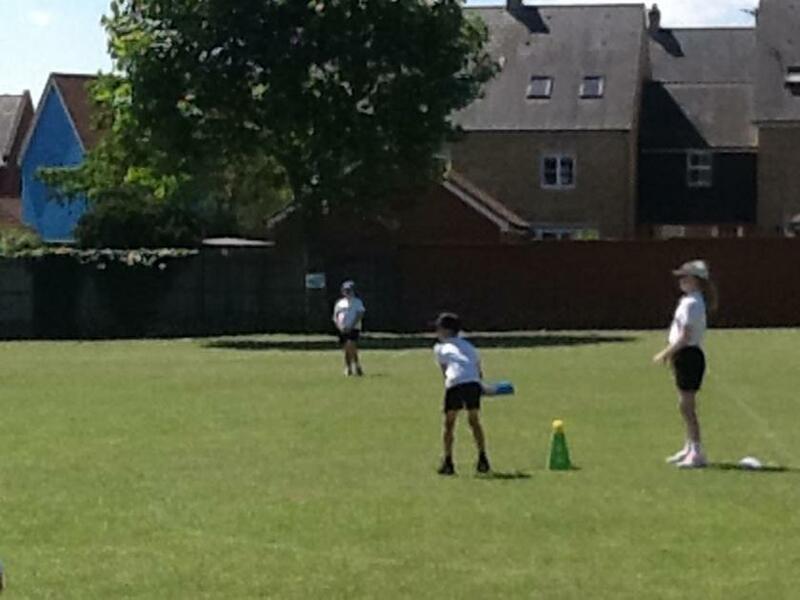 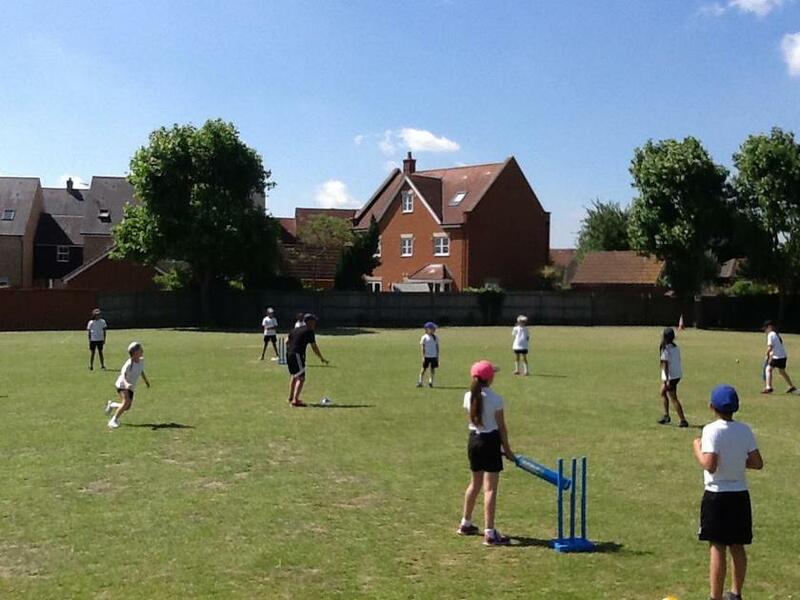 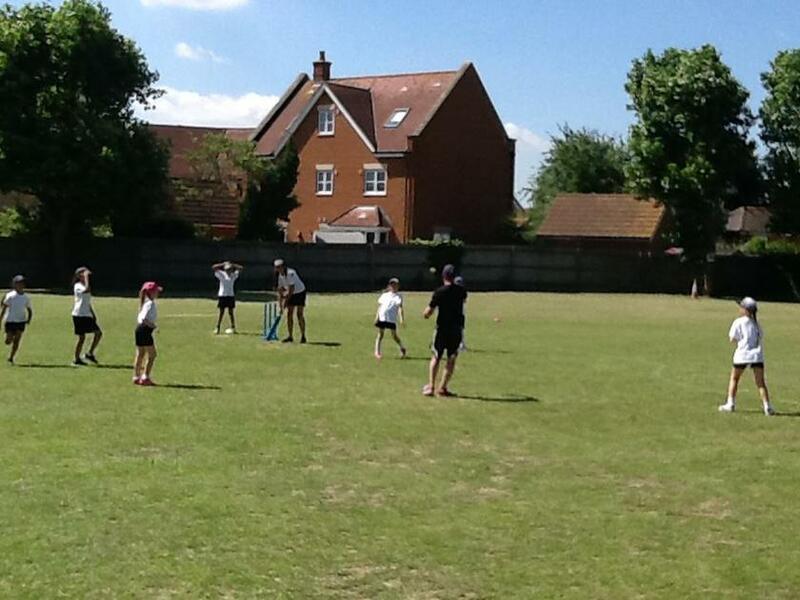 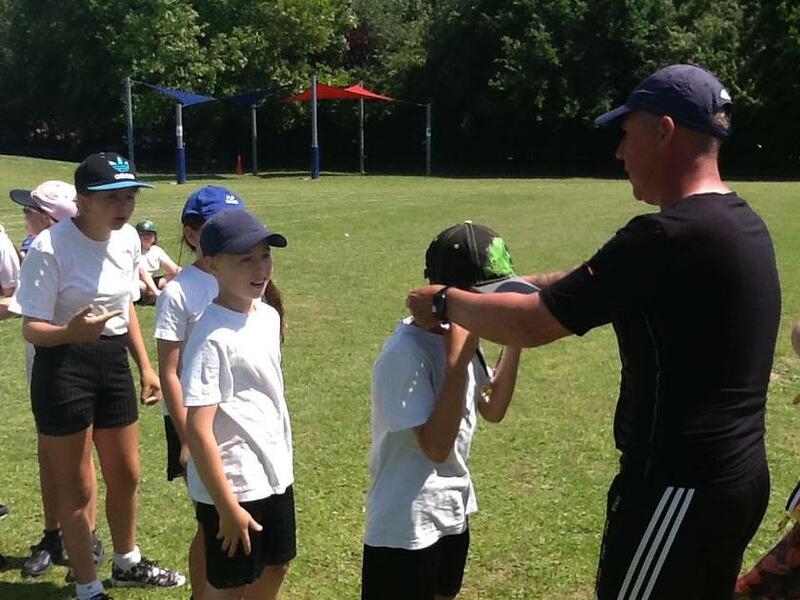 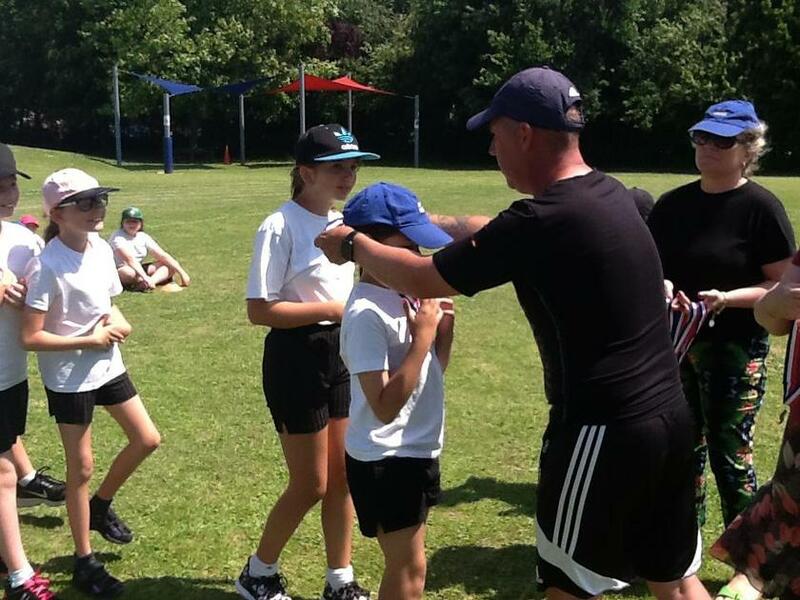 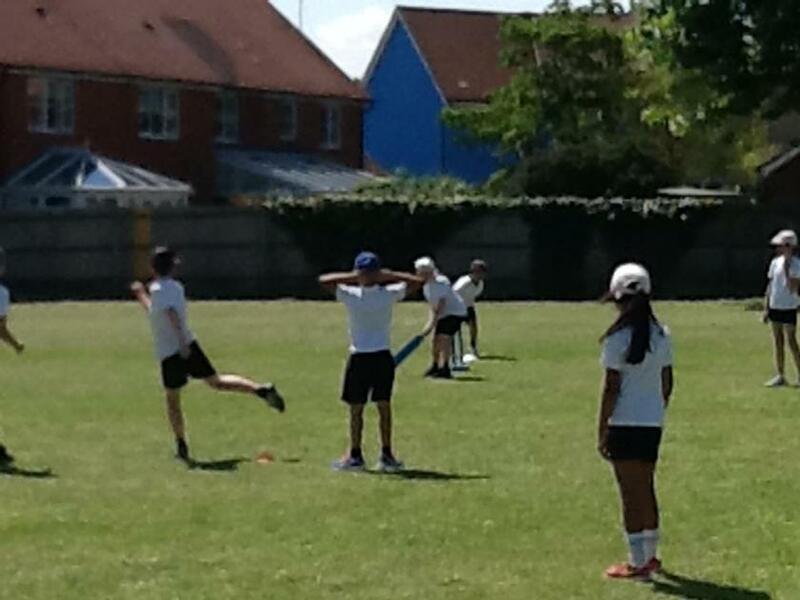 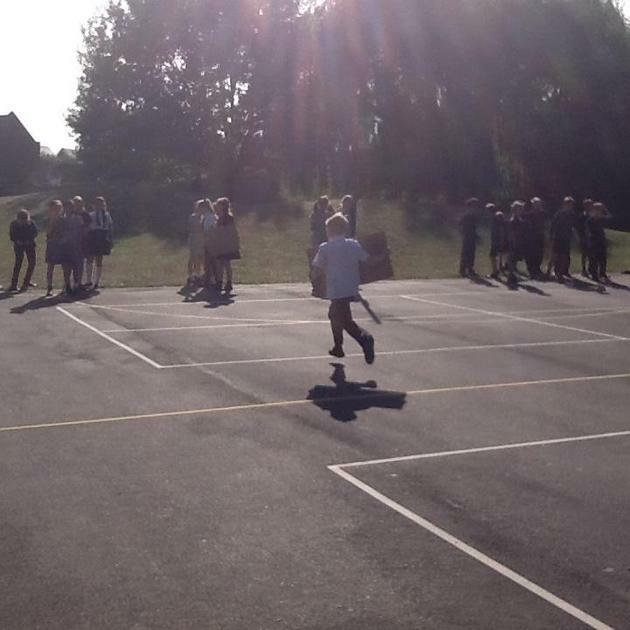 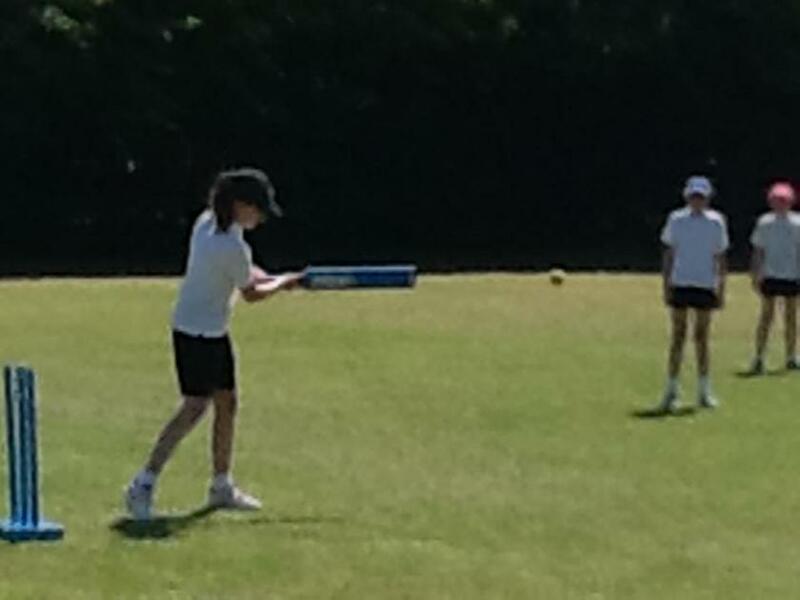 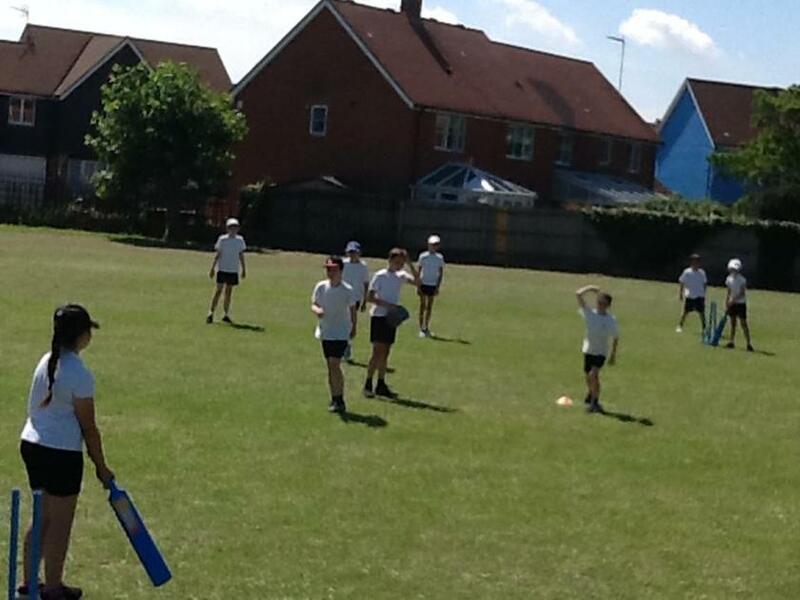 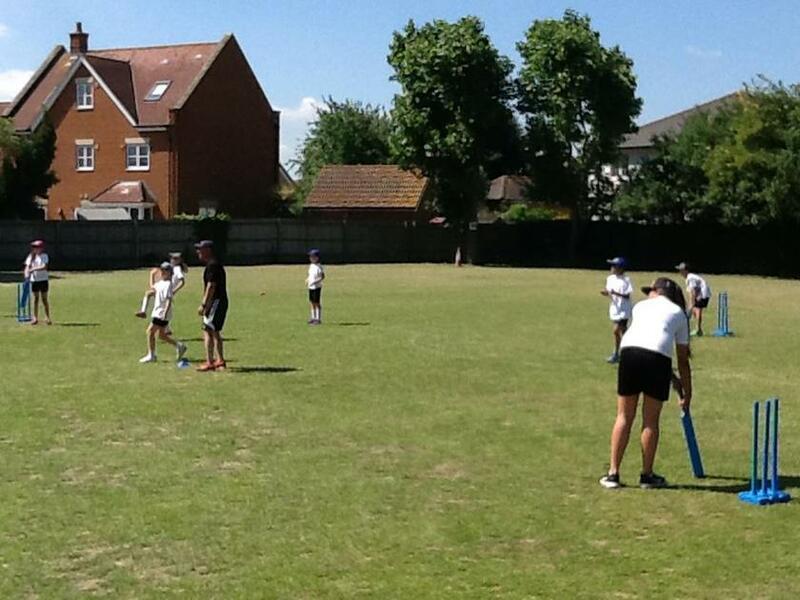 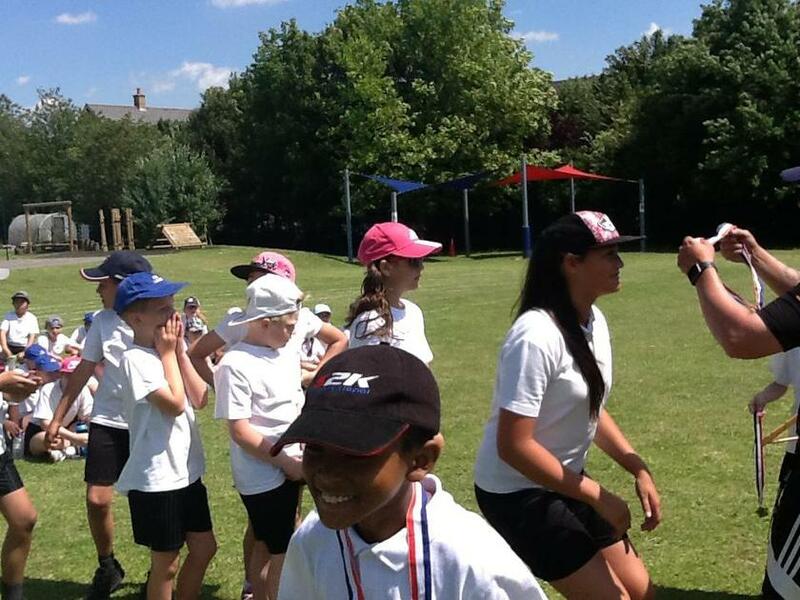 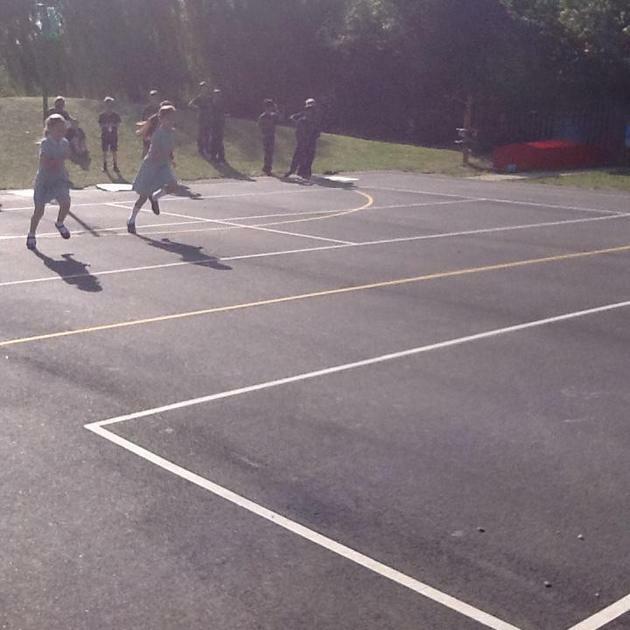 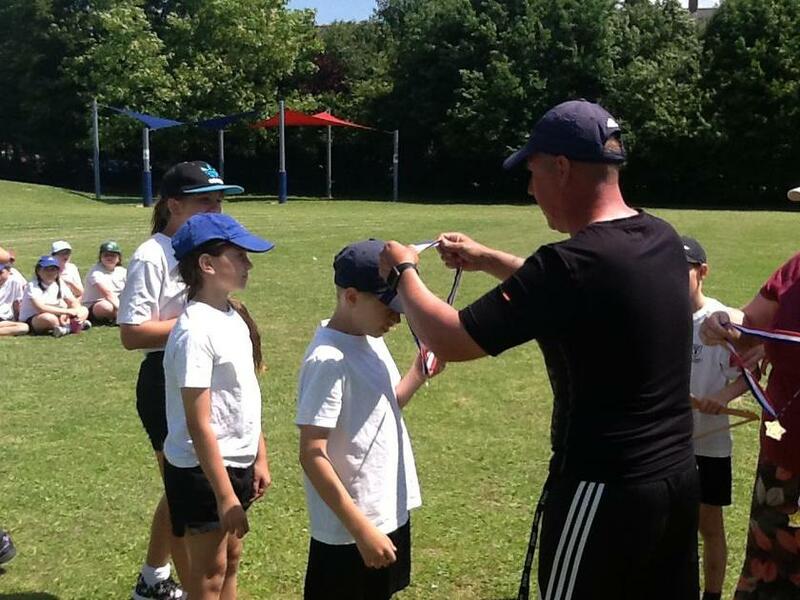 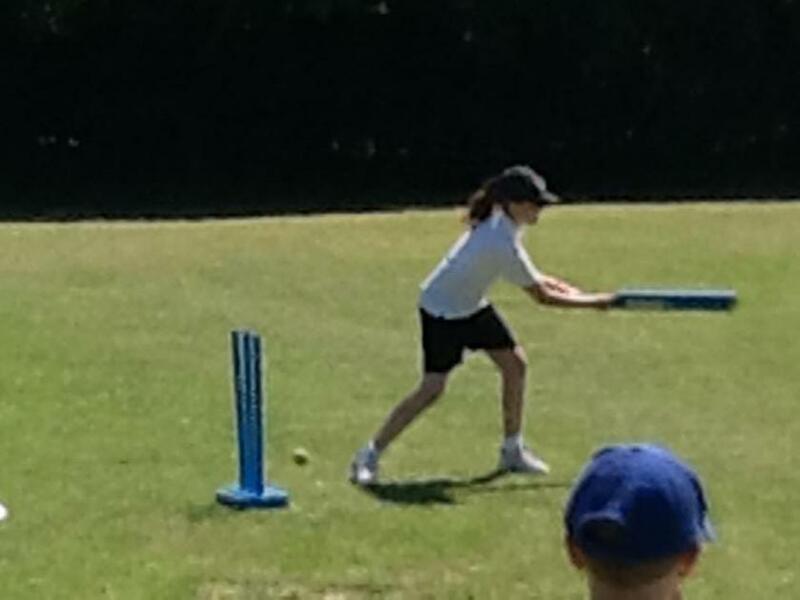 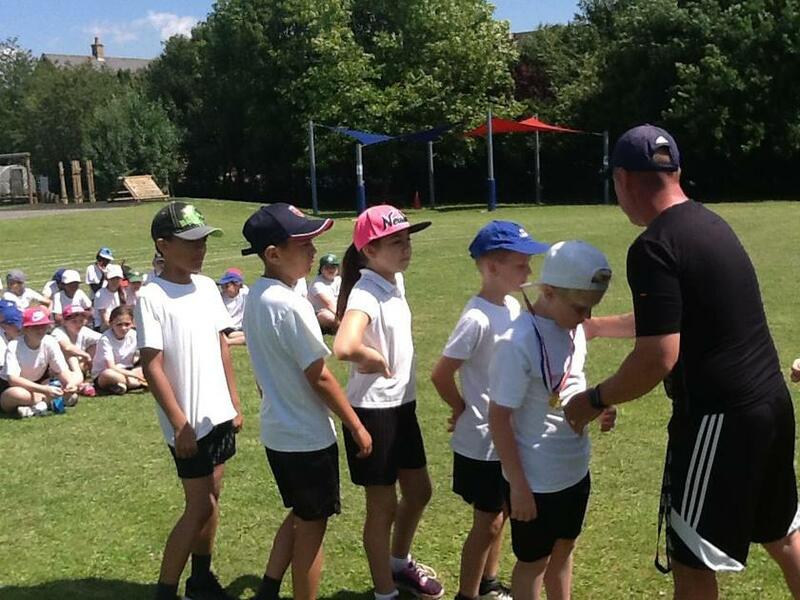 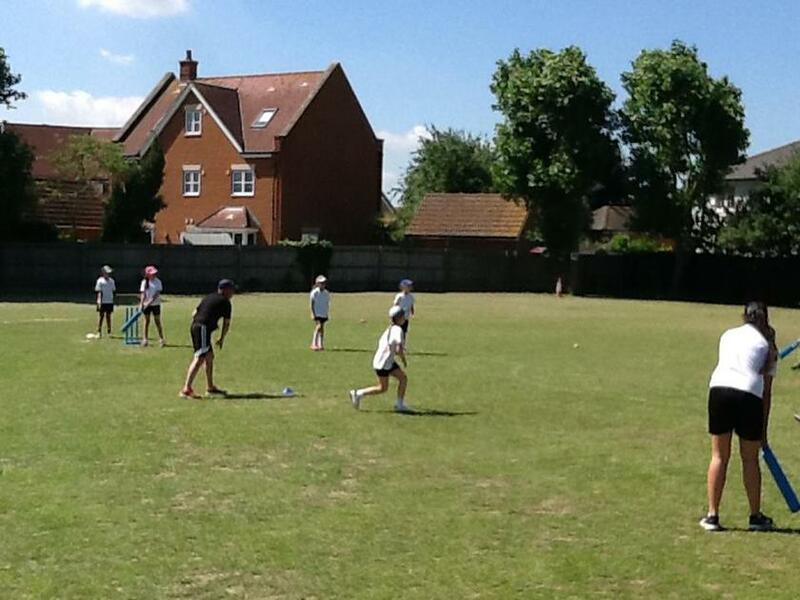 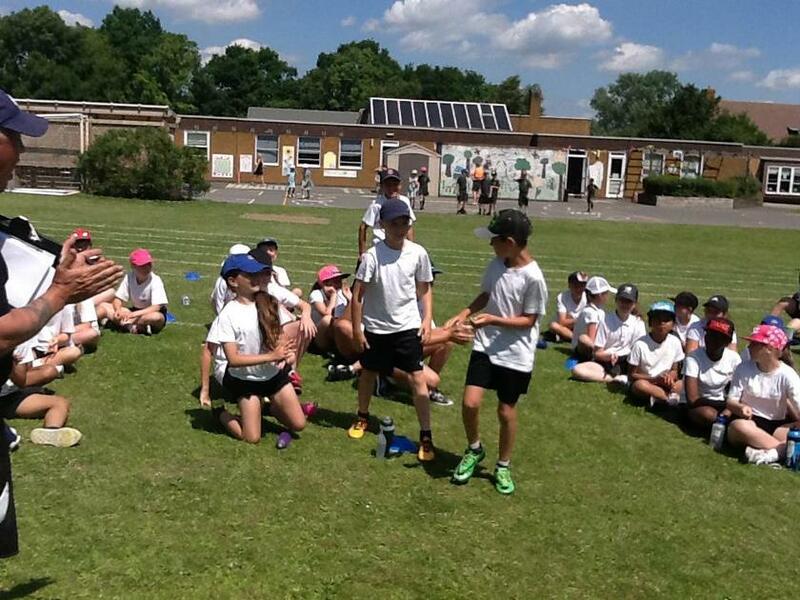 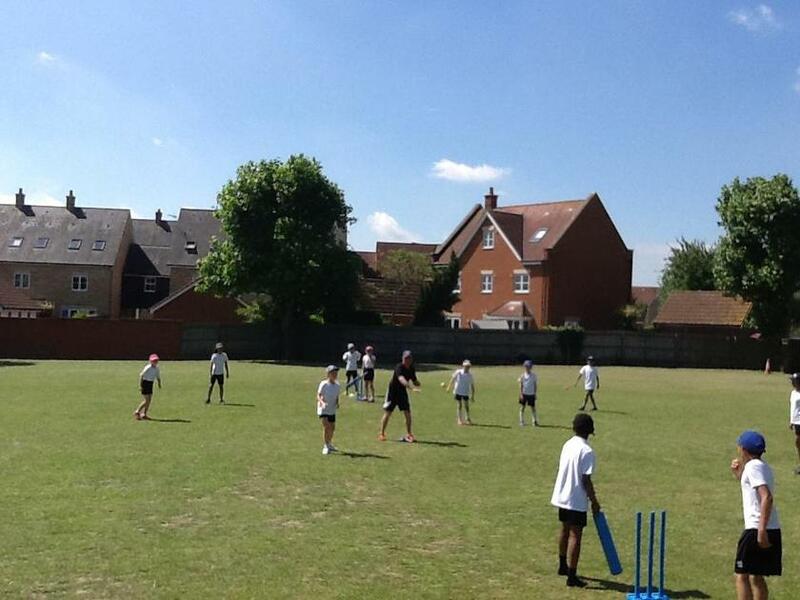 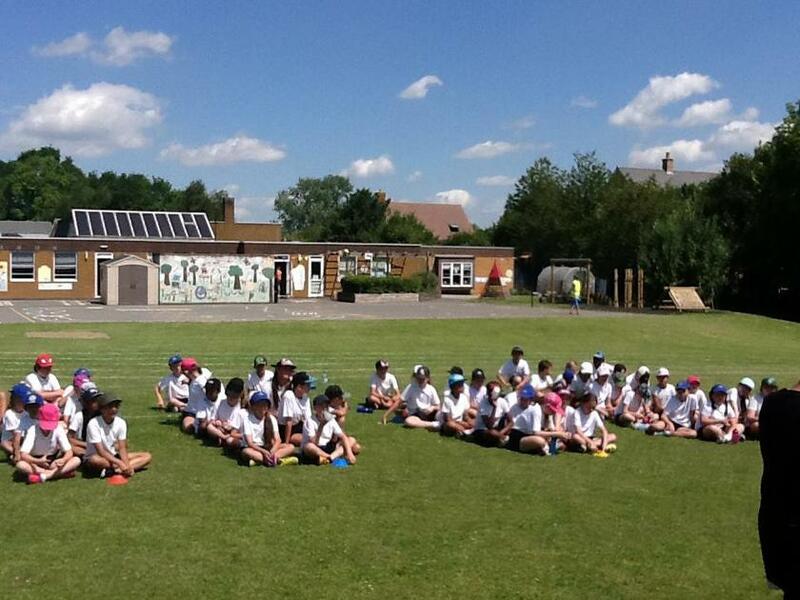 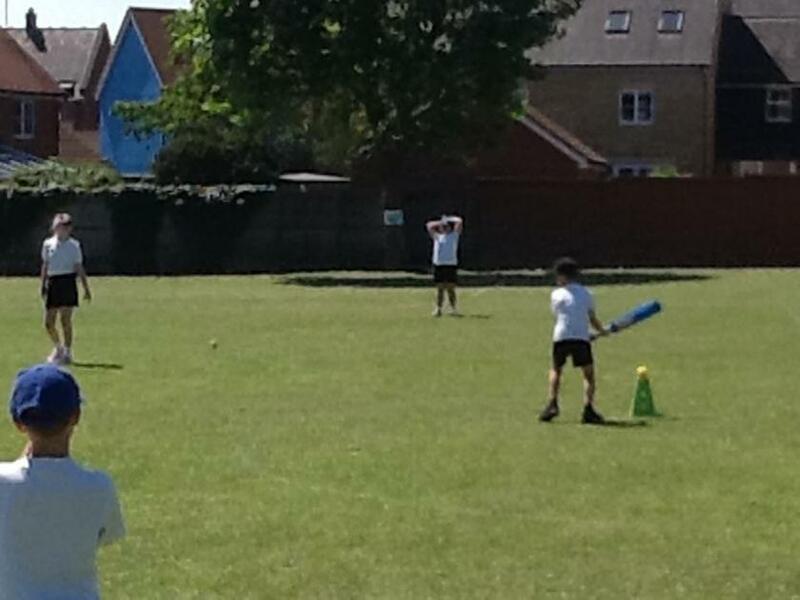 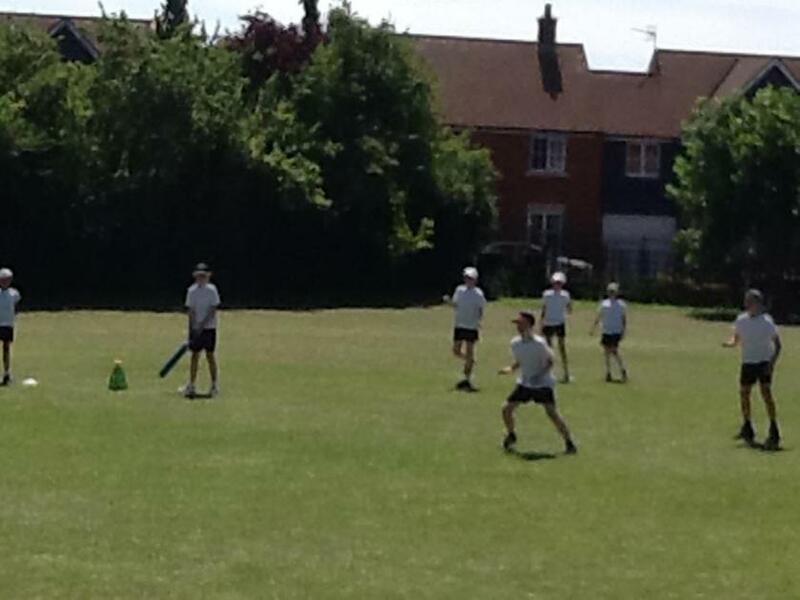 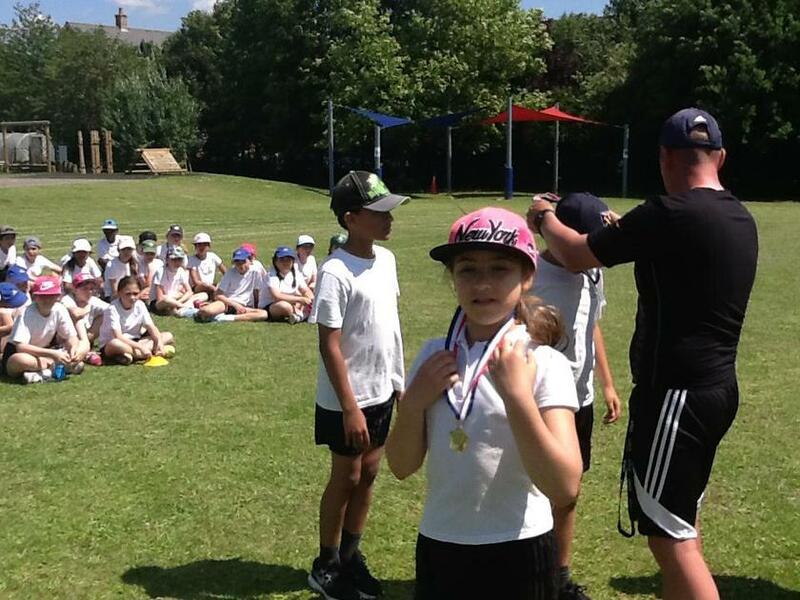 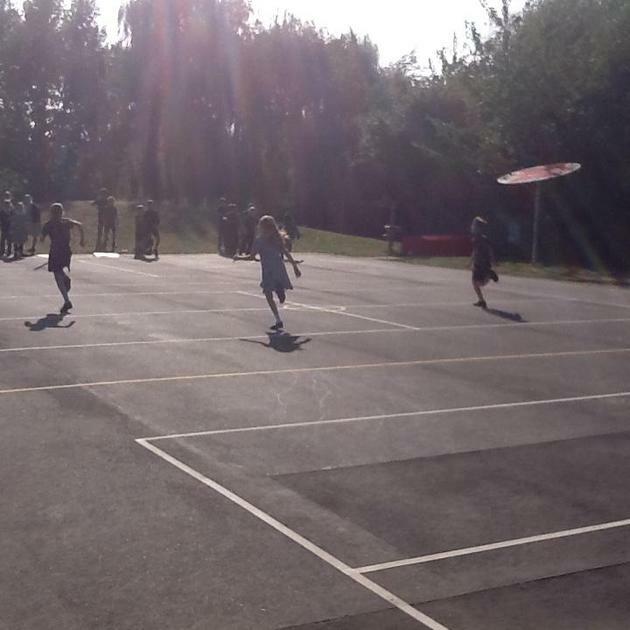 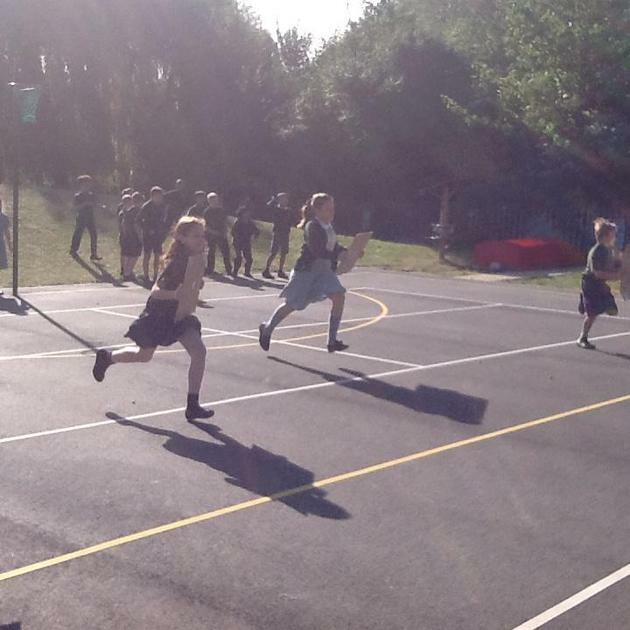 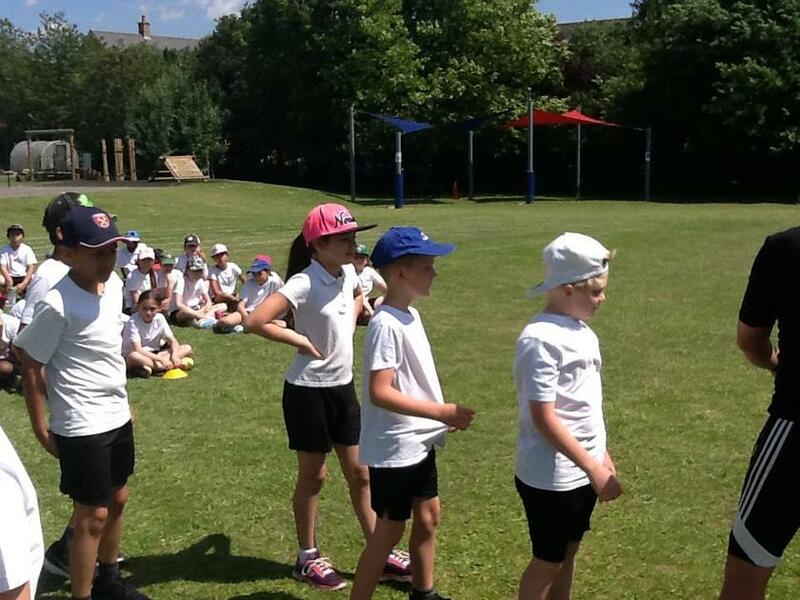 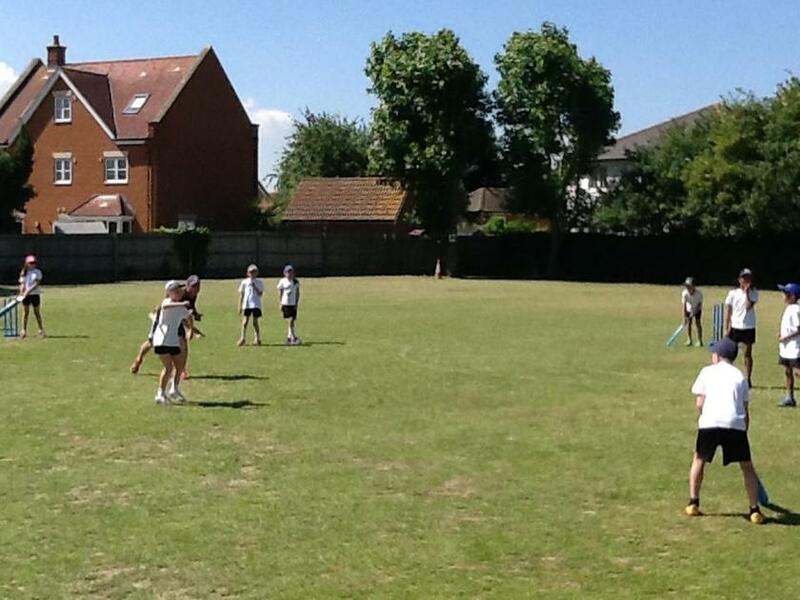 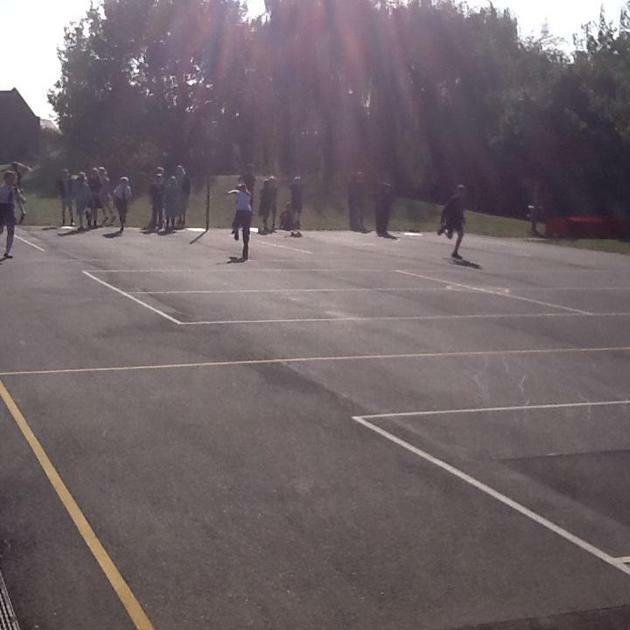 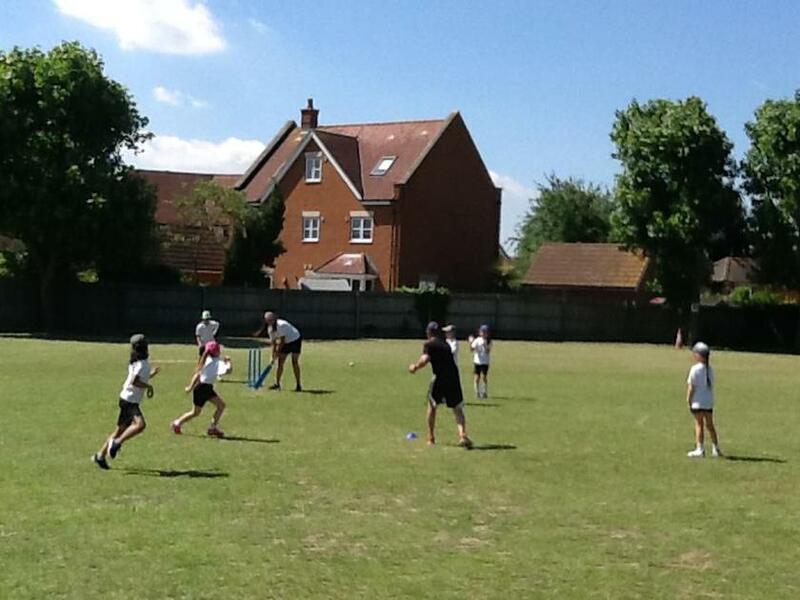 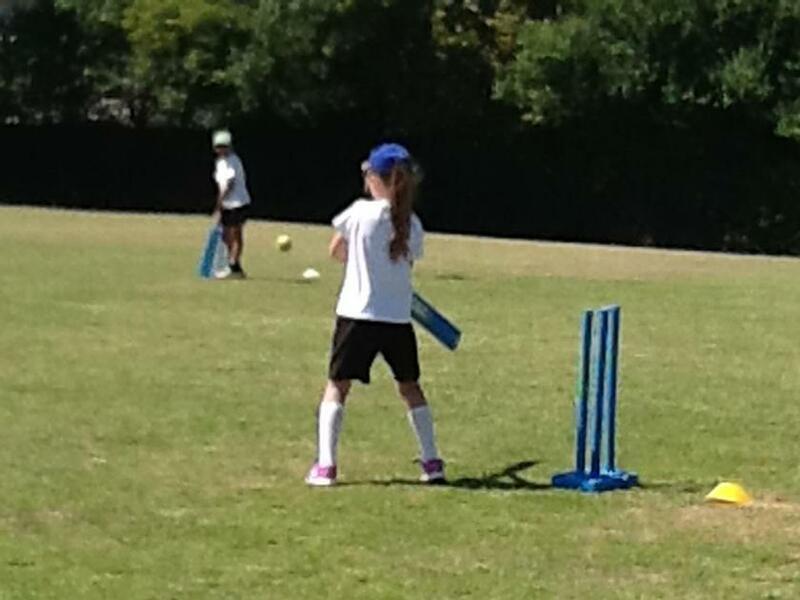 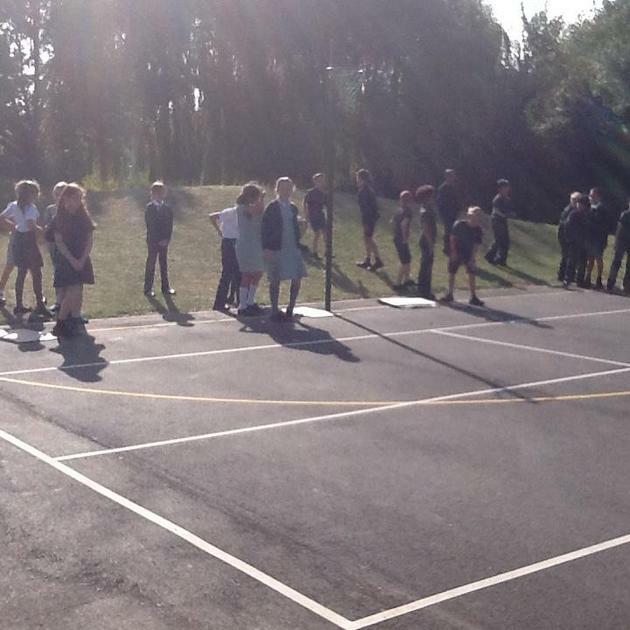 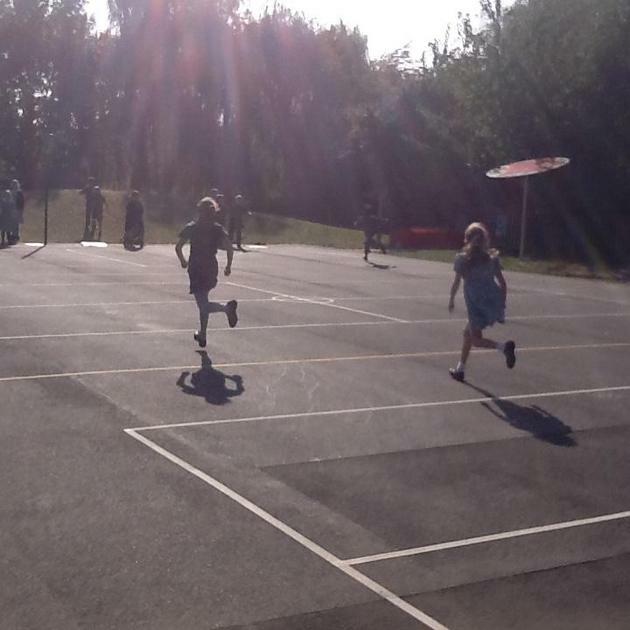 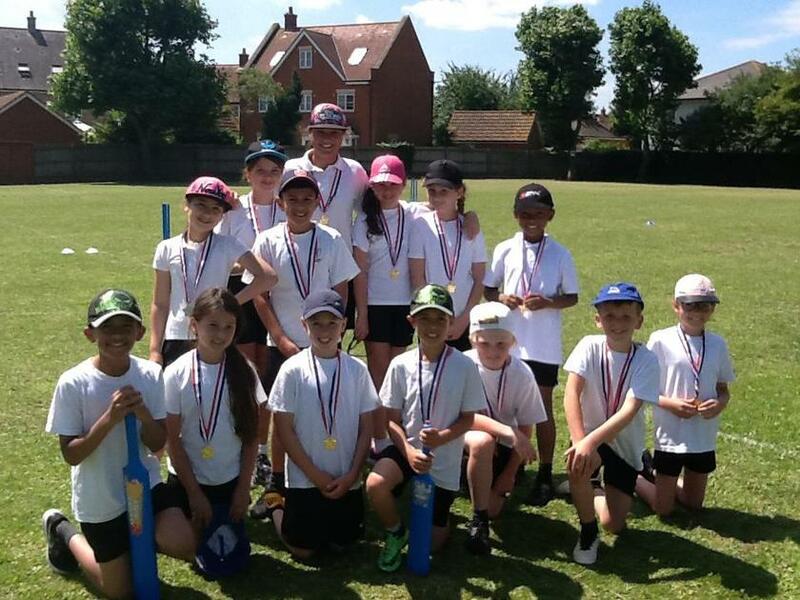 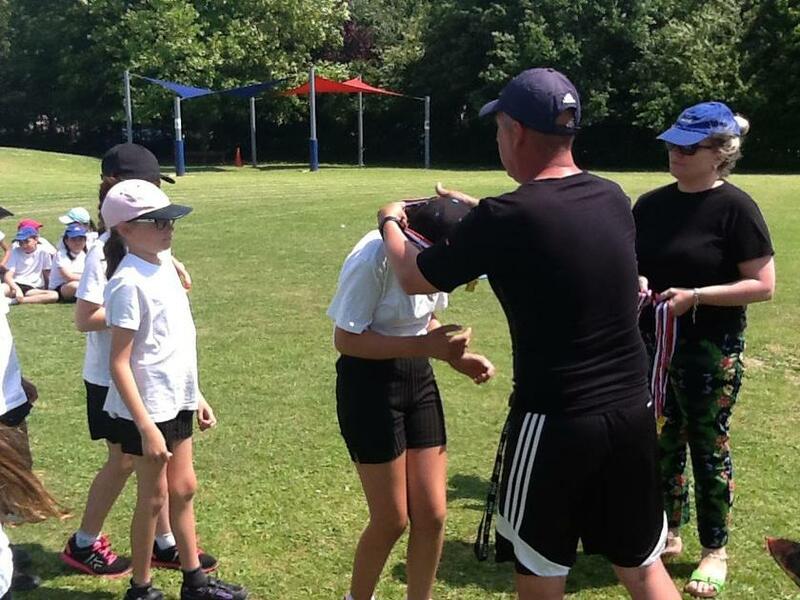 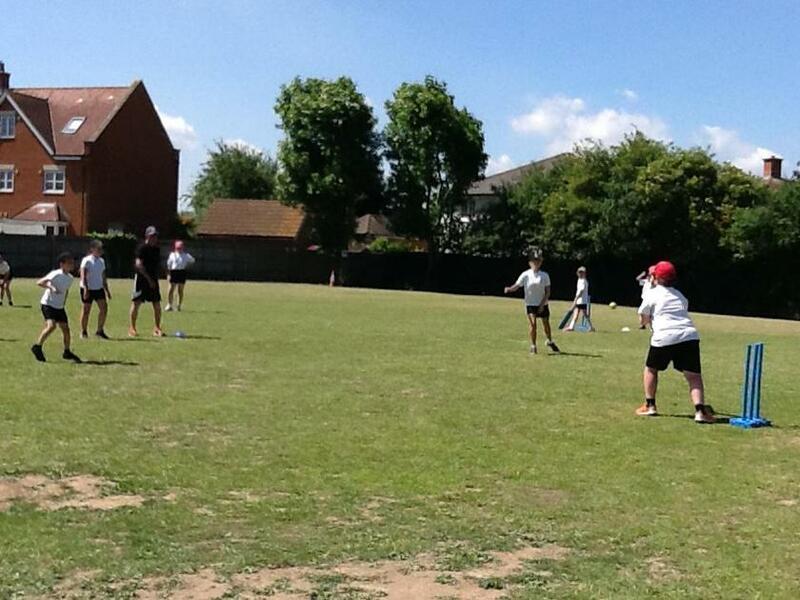 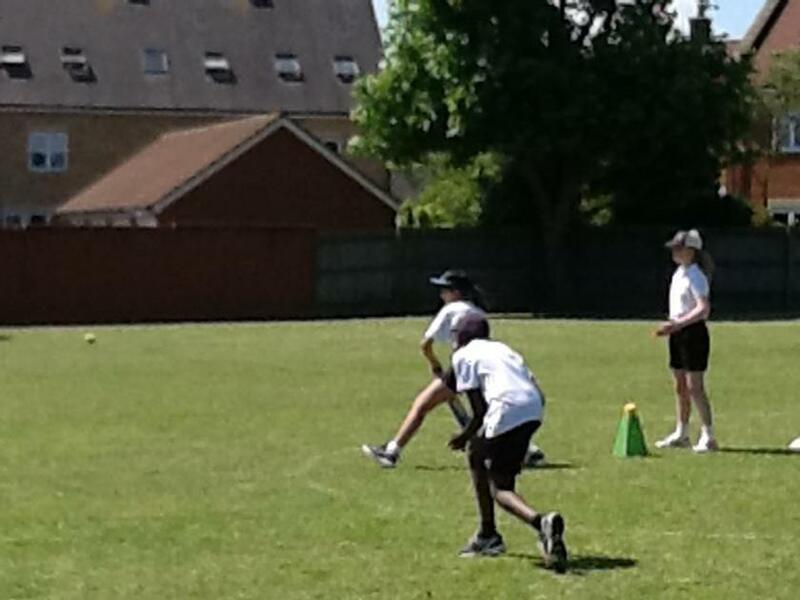 On Thursday Year 5 and Year 6 had an inter house Cricket Tournament. 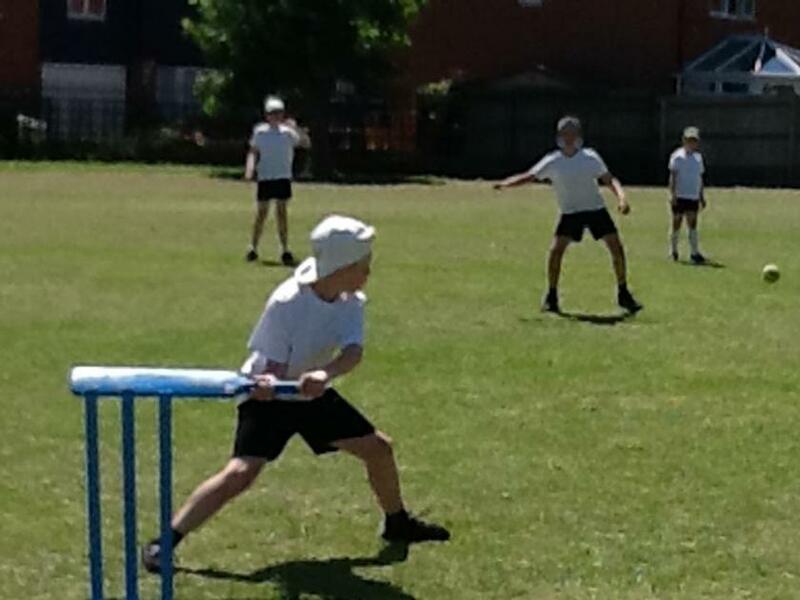 It was a very tense and thrilling match with lots of encouragement from all teams. 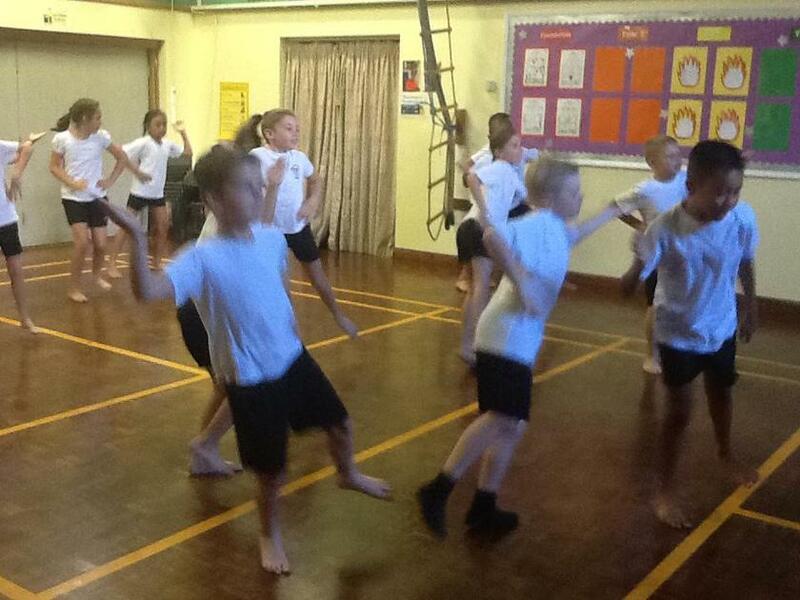 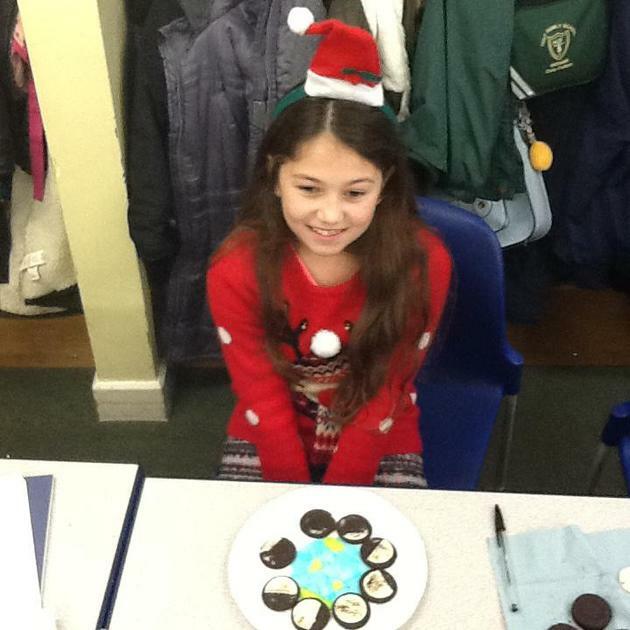 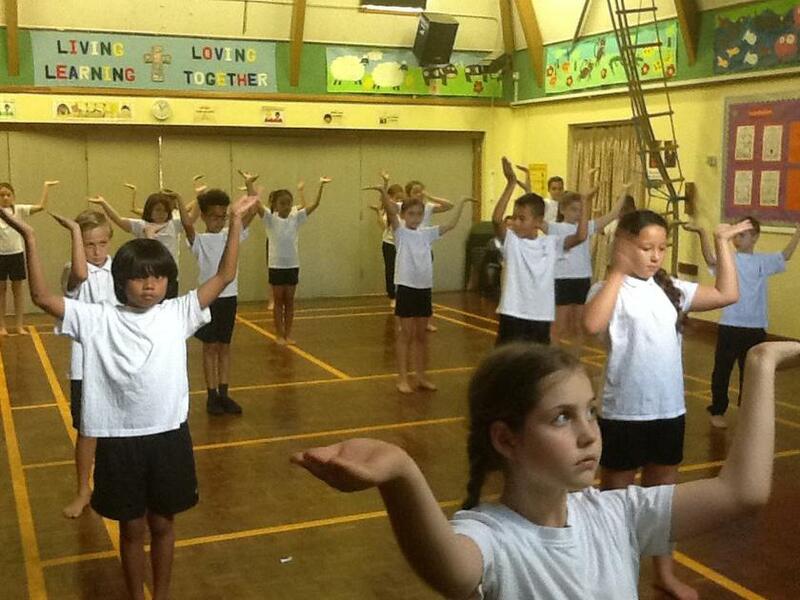 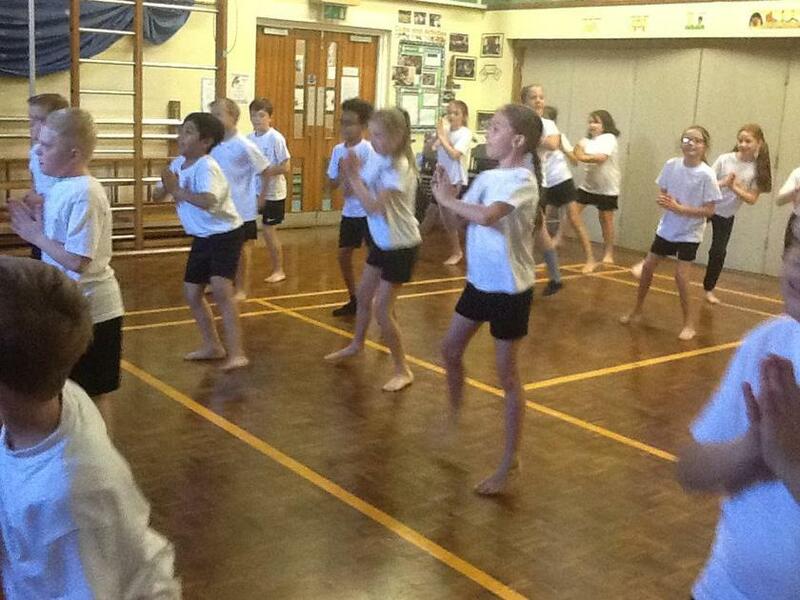 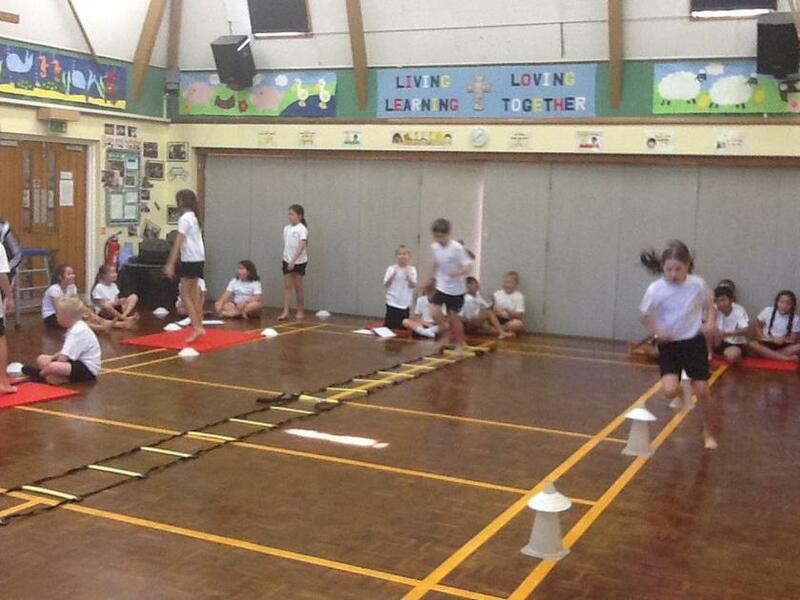 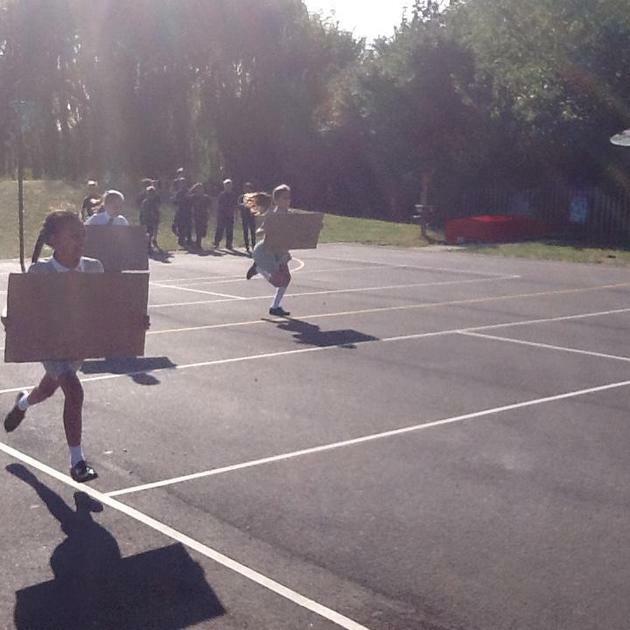 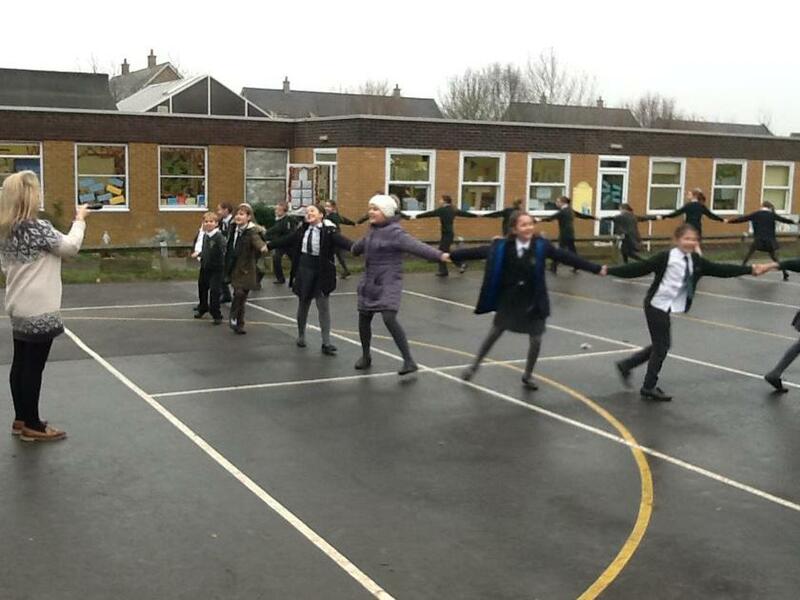 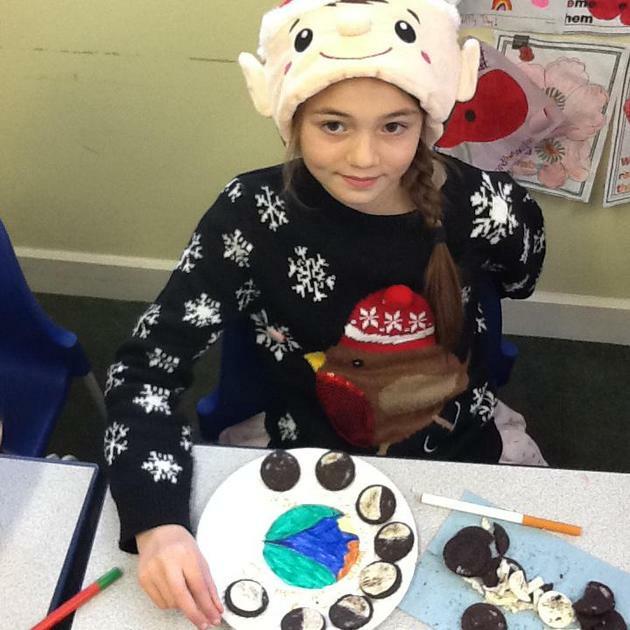 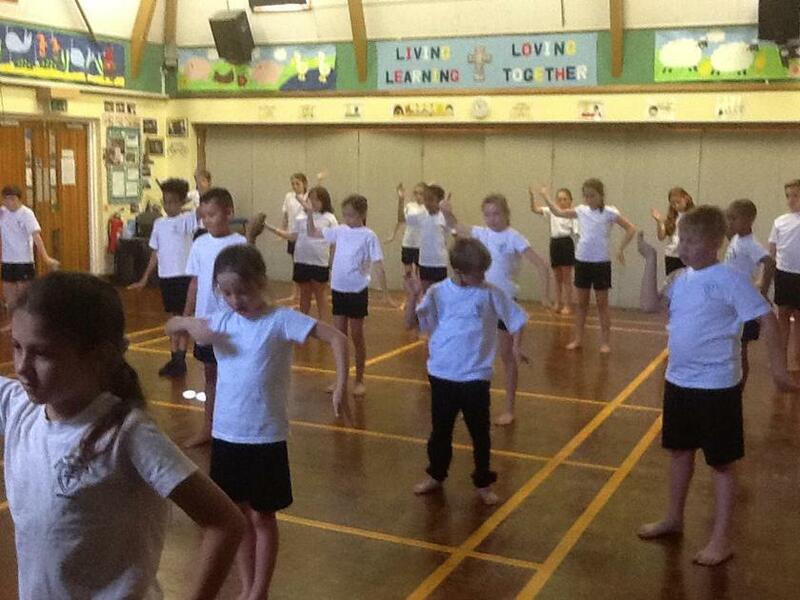 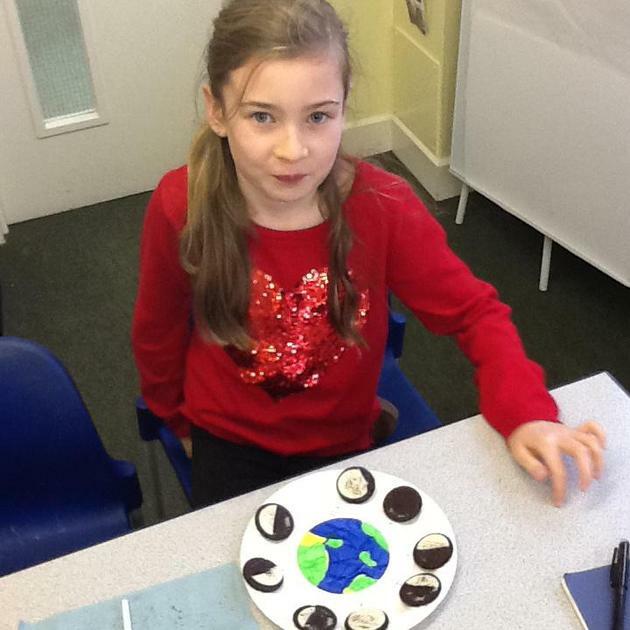 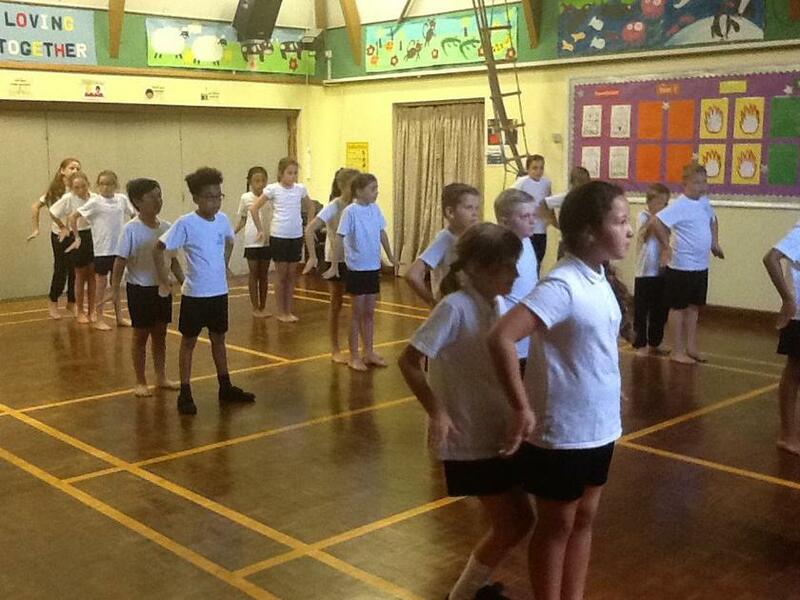 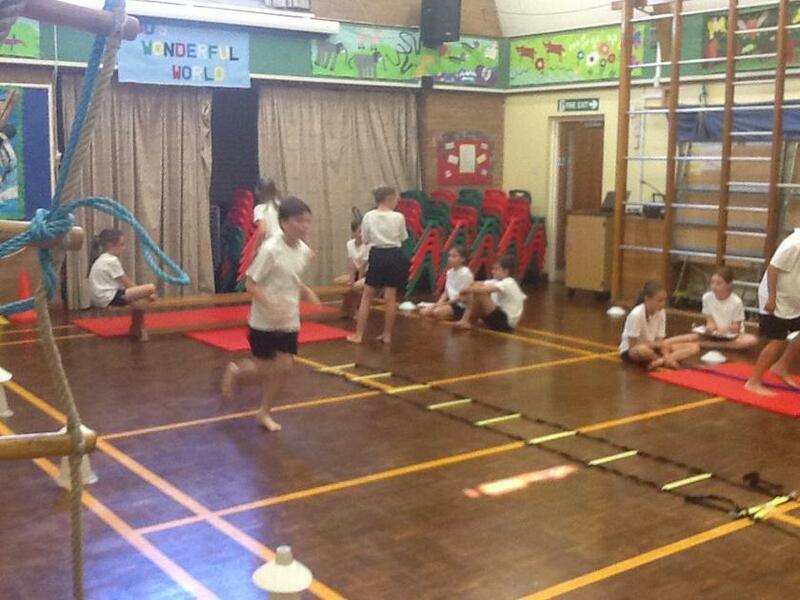 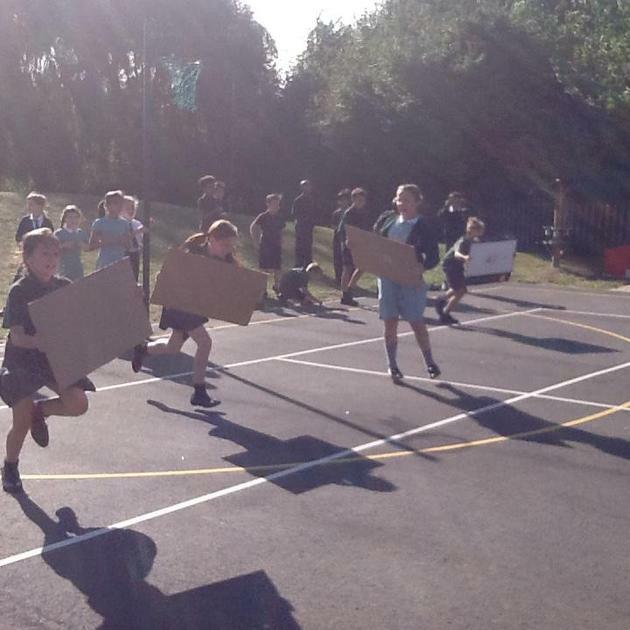 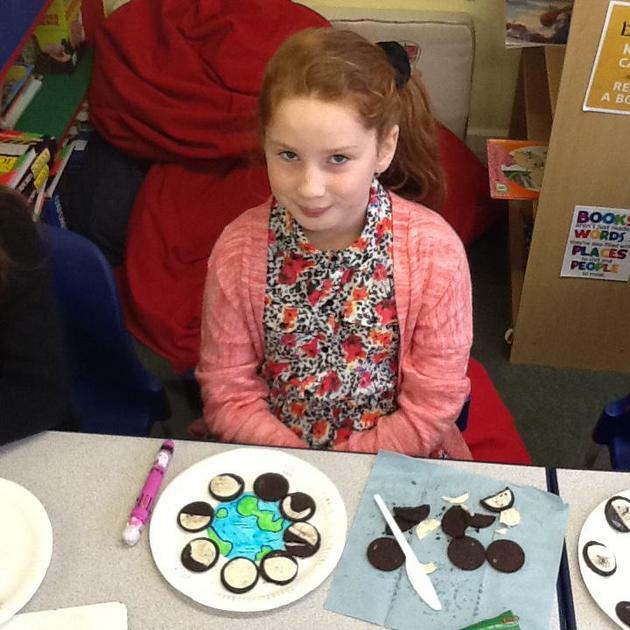 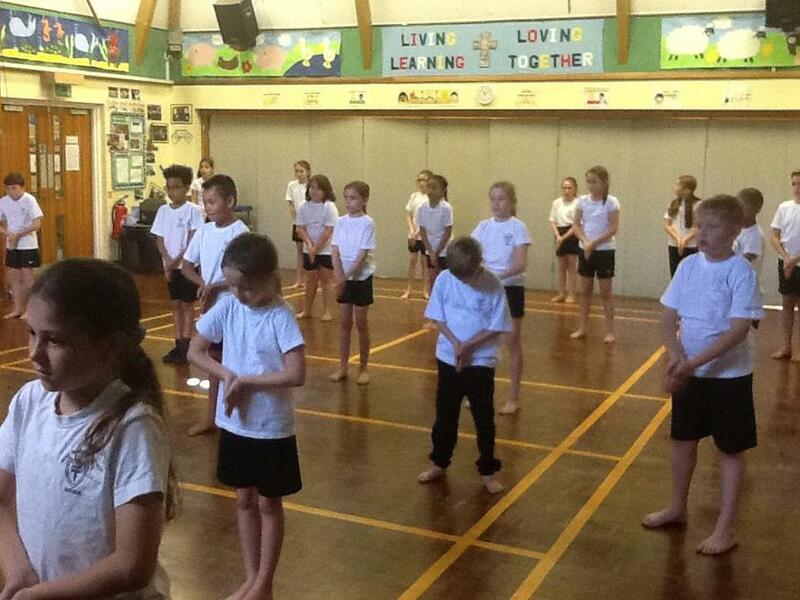 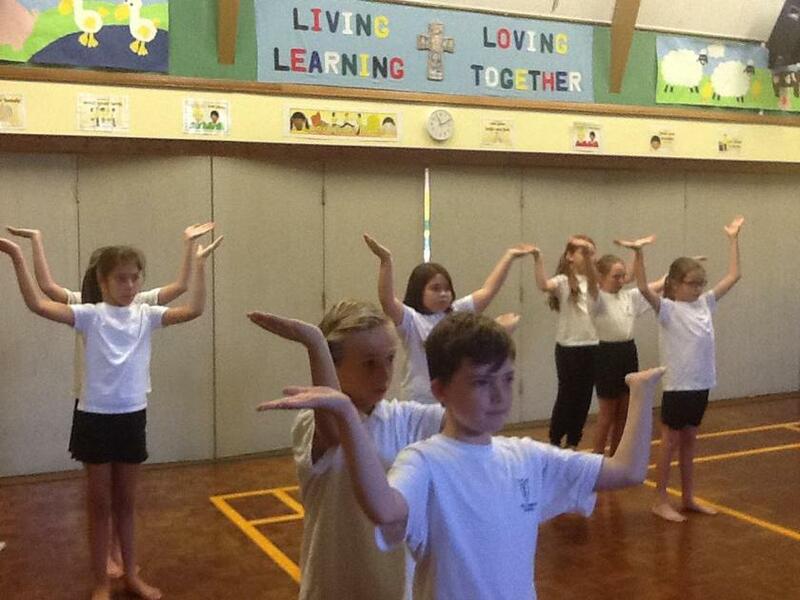 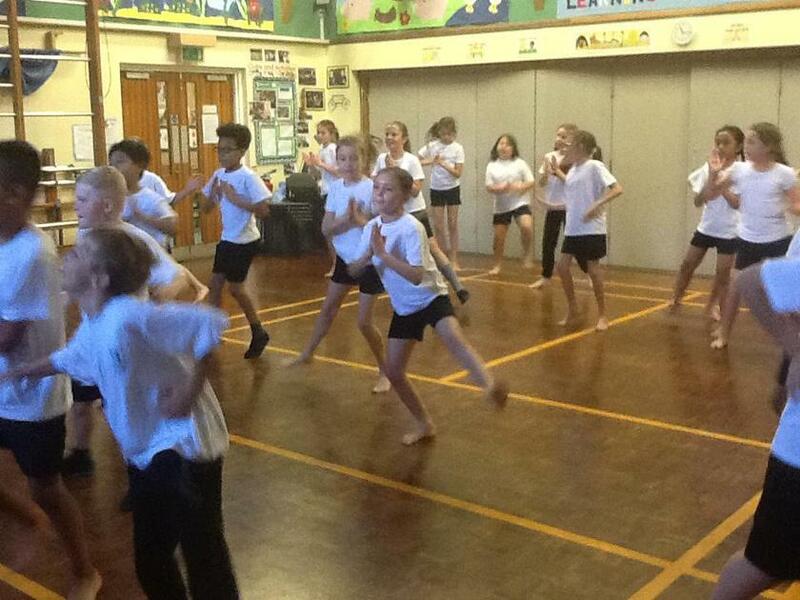 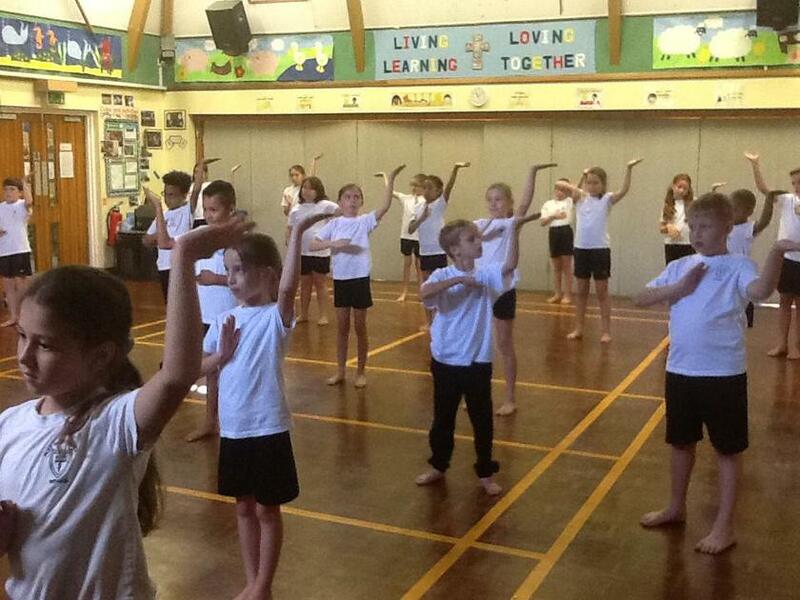 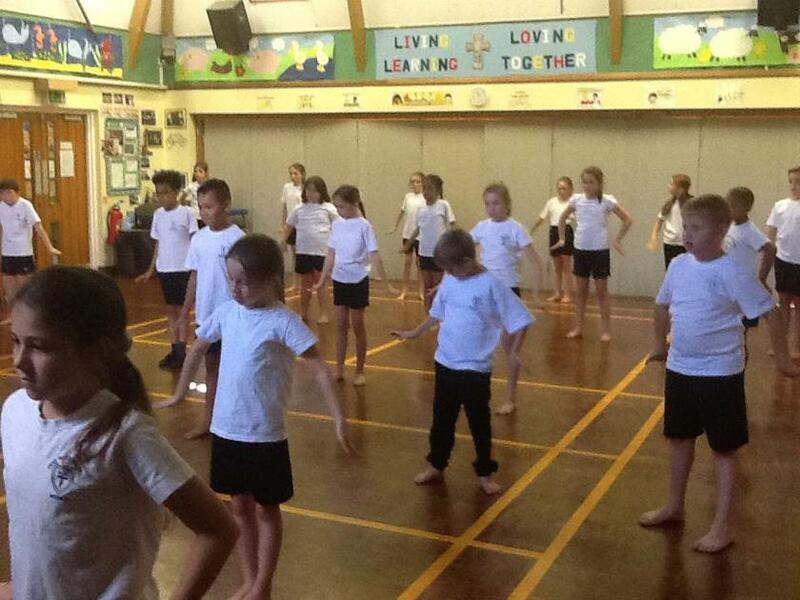 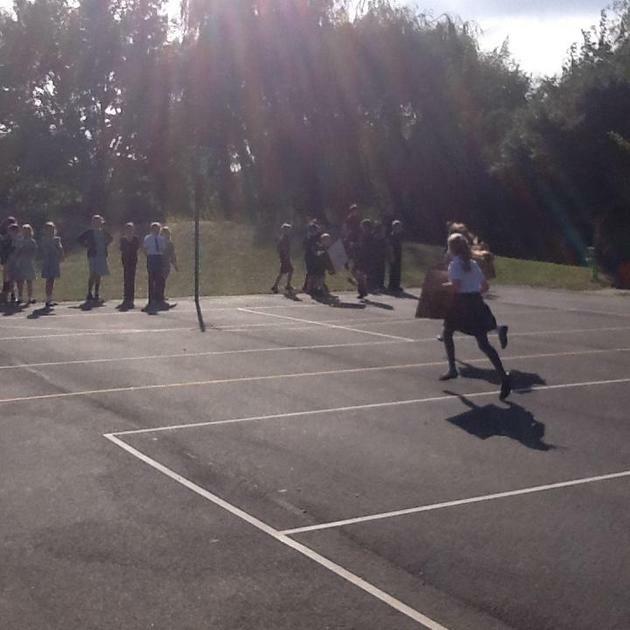 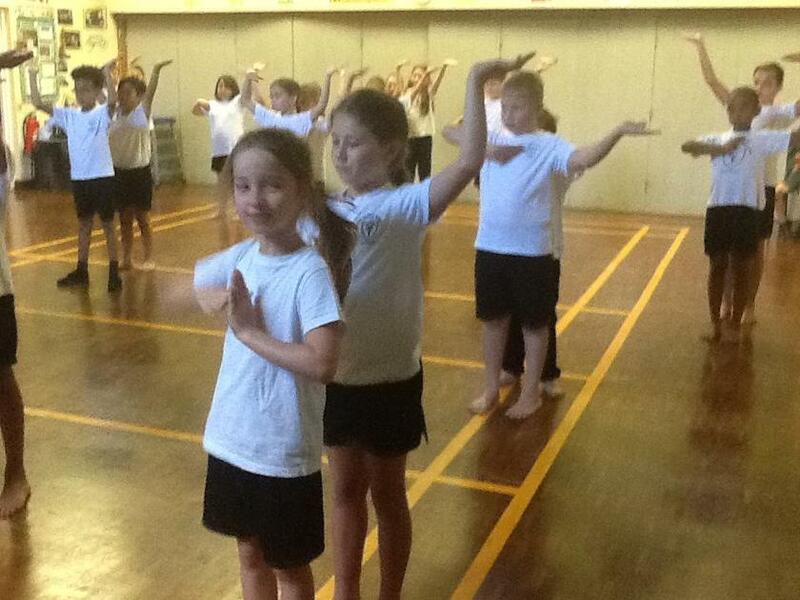 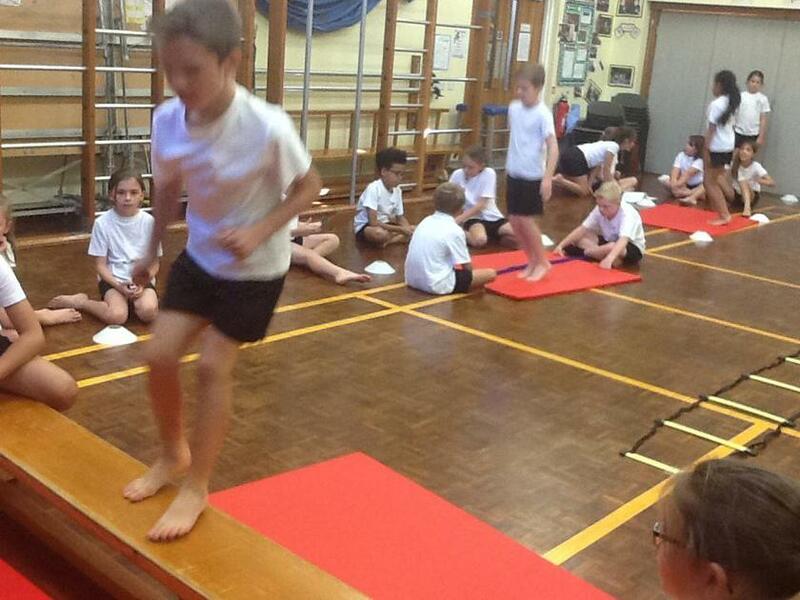 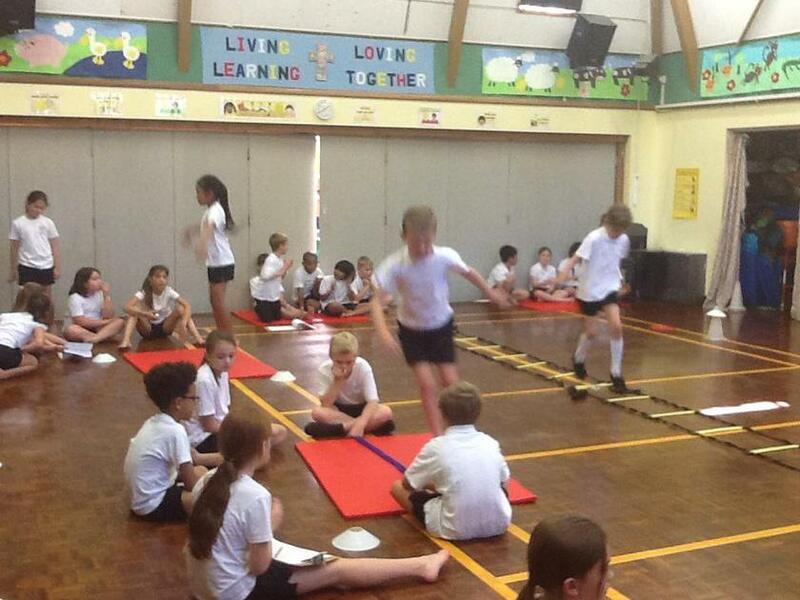 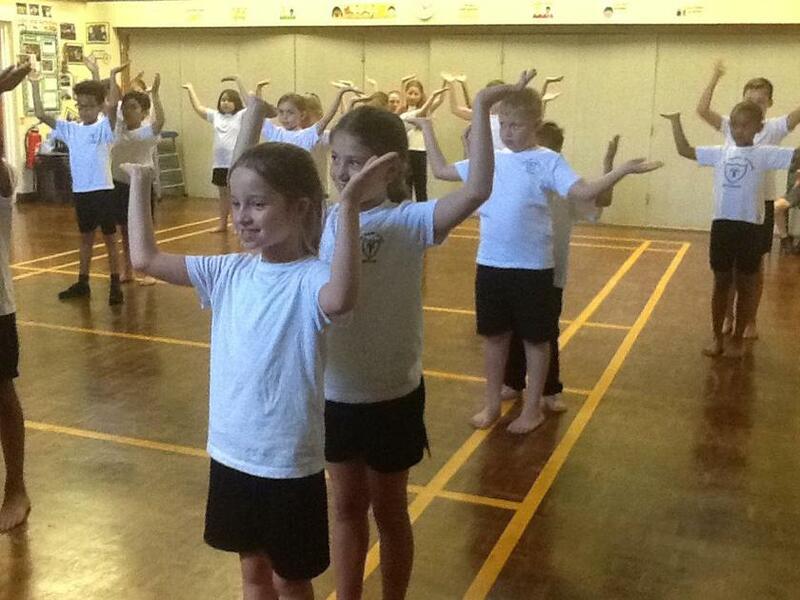 Everyone gave their best effort and thoroughly enjoyed themselves. 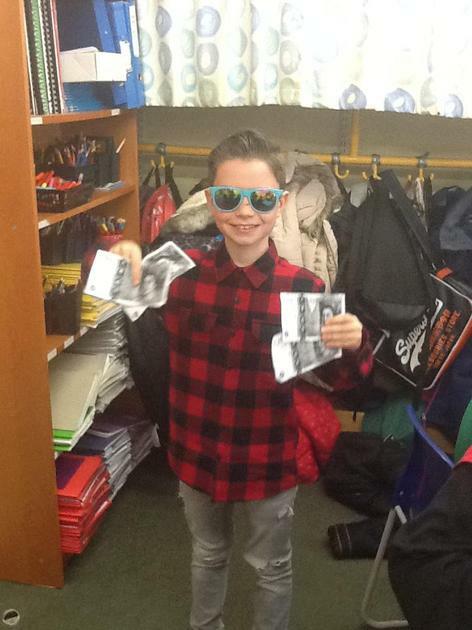 The overall winning team was Luke. 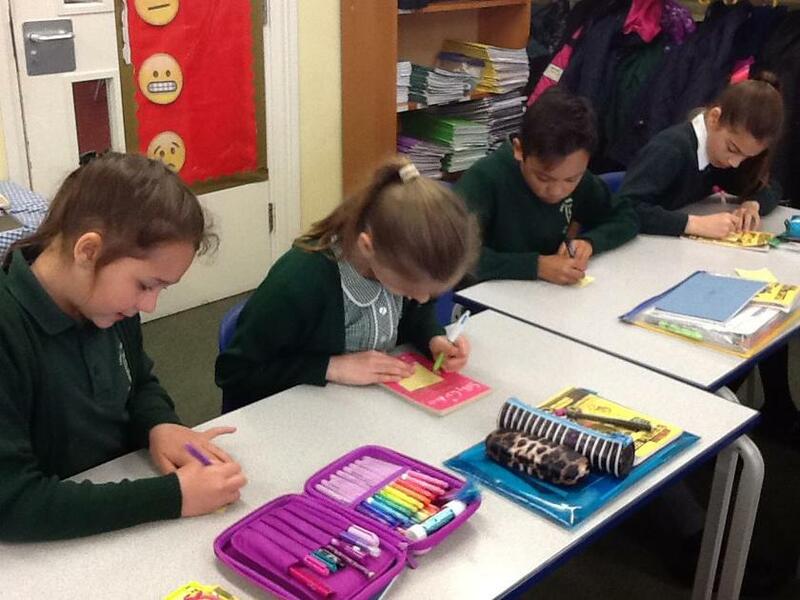 On Wednesday year 5 had time in the prayer room to talk about friendship and love. 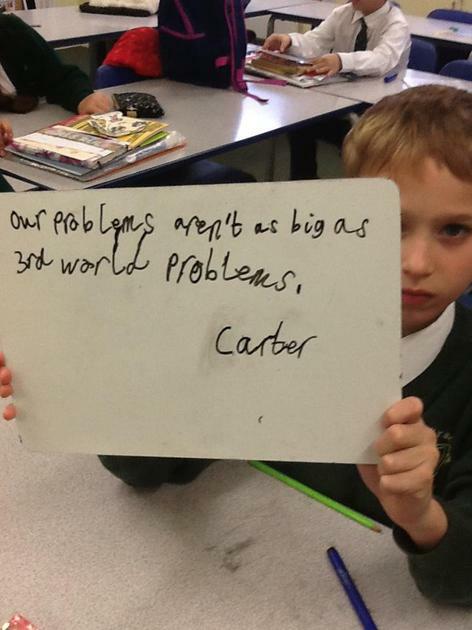 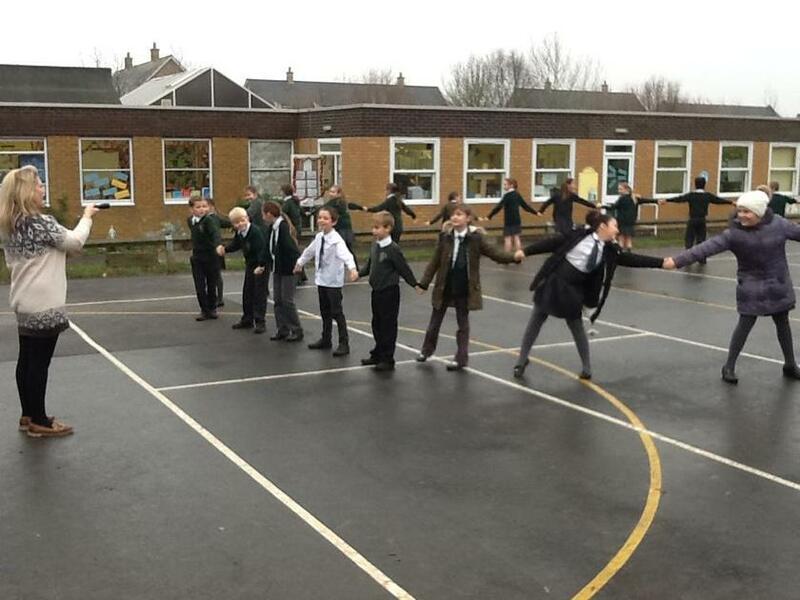 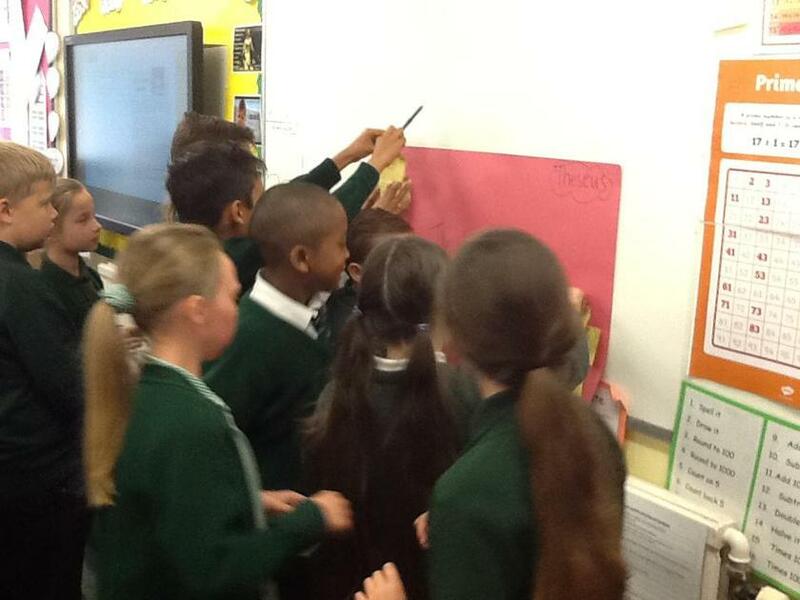 We talked about caring for each other as a class, how we all work together as a team , one big family. 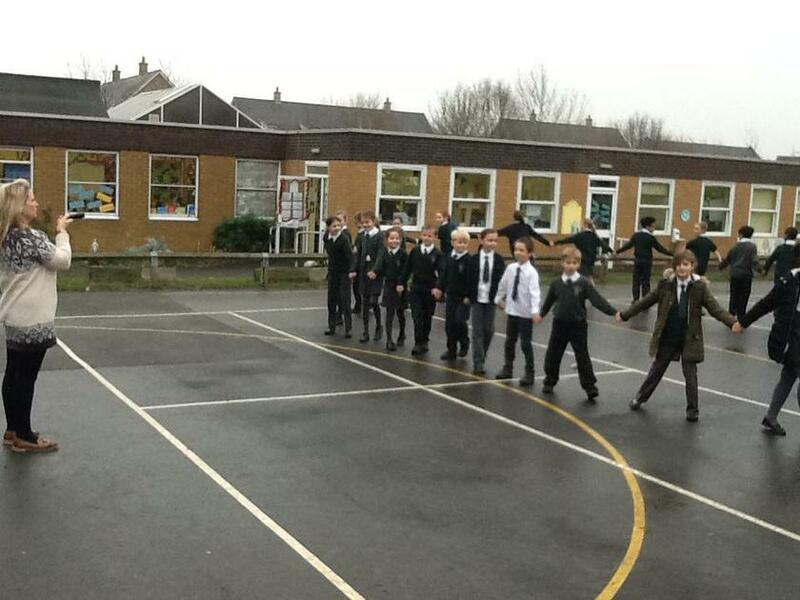 We discussed favourite parts of the bible that showed us how through Jesus' example we can all walk together and love one another. 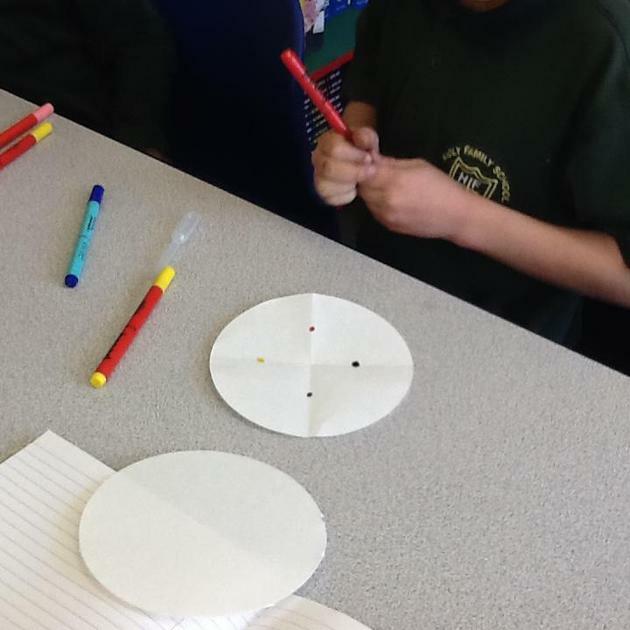 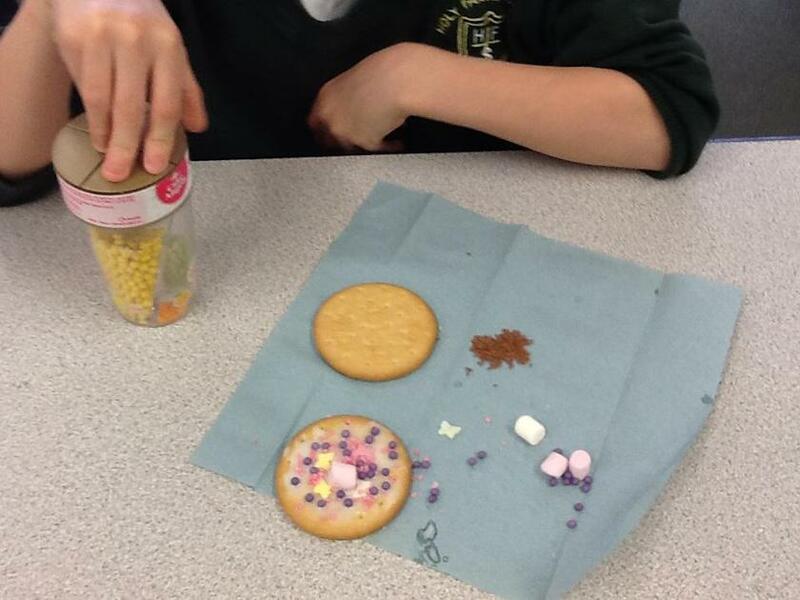 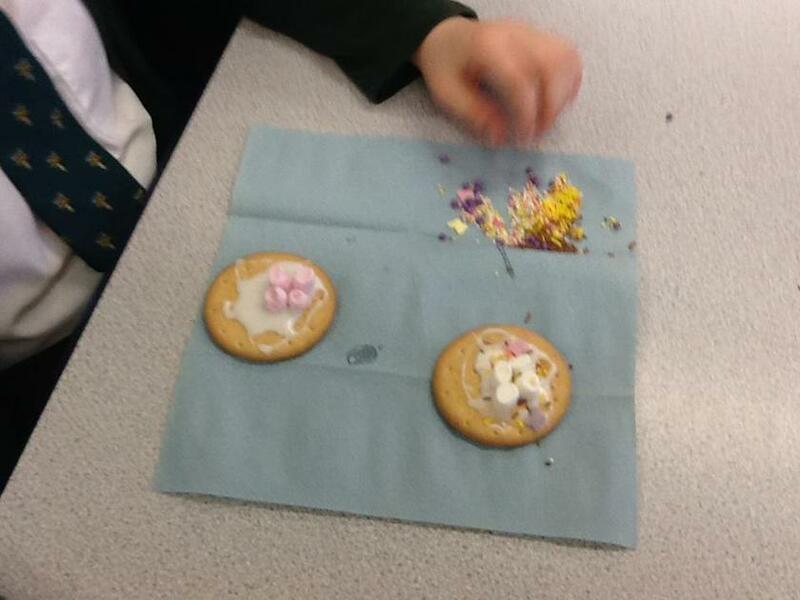 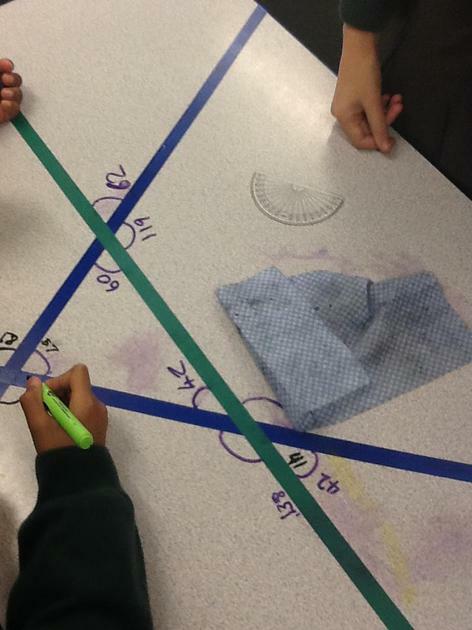 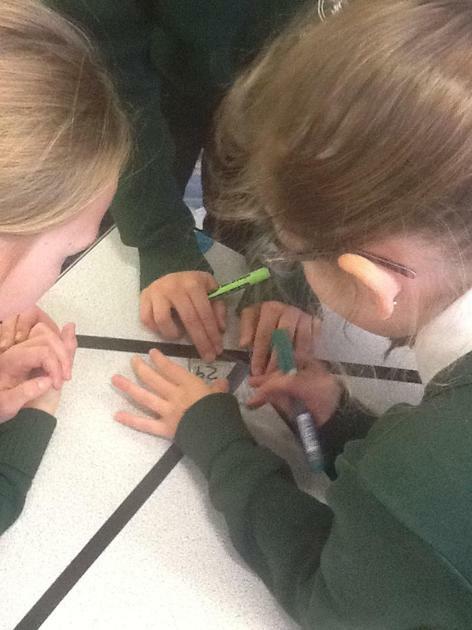 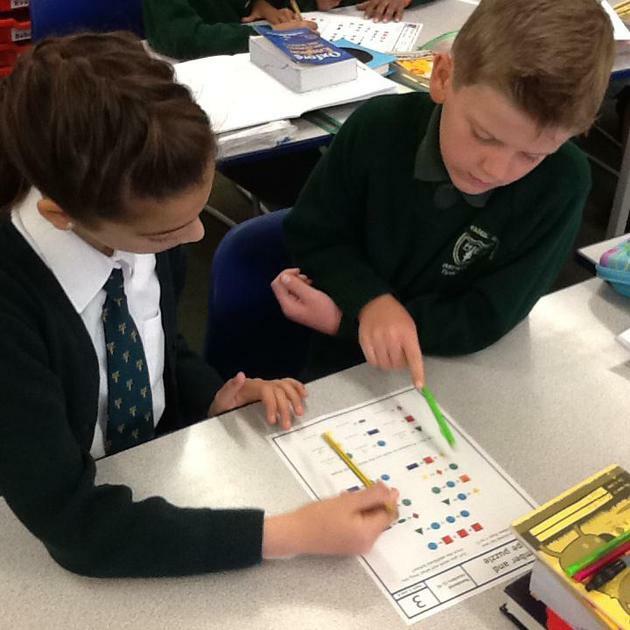 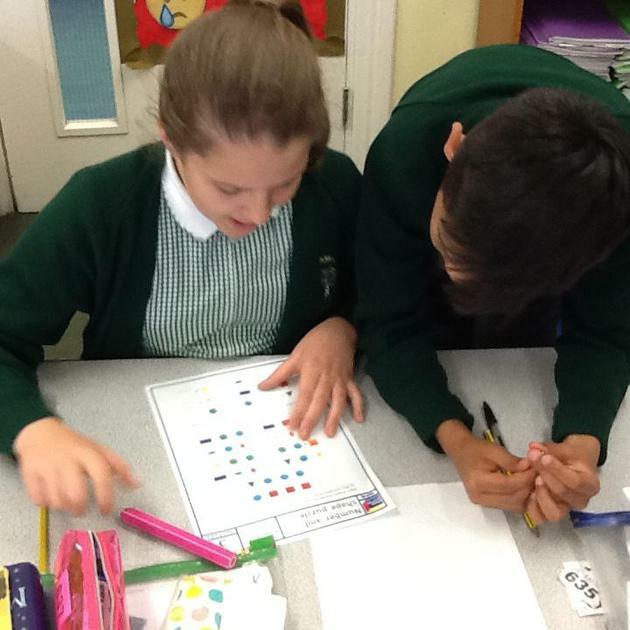 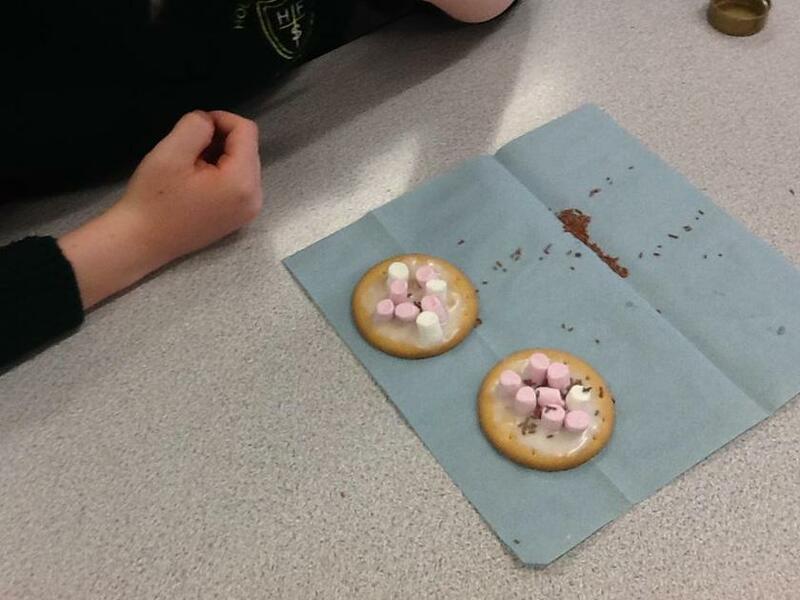 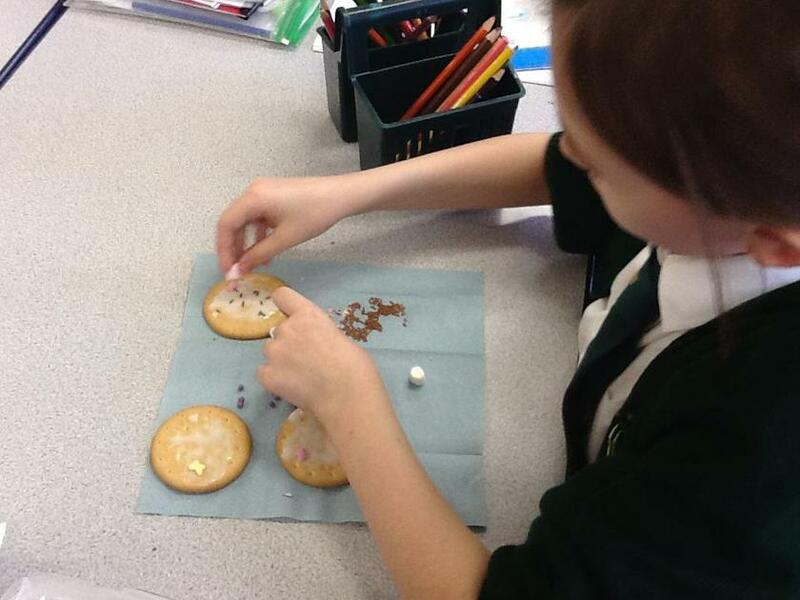 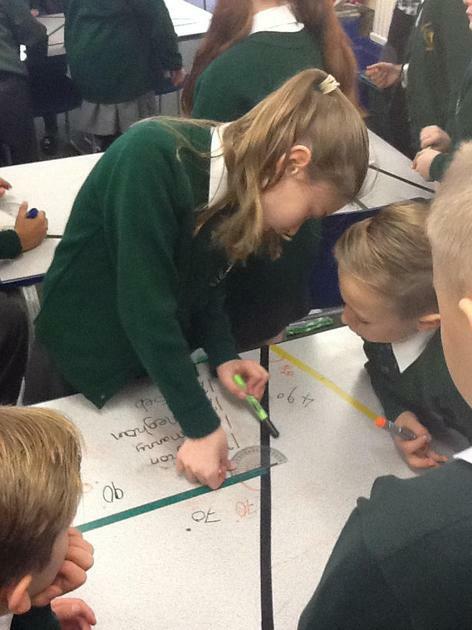 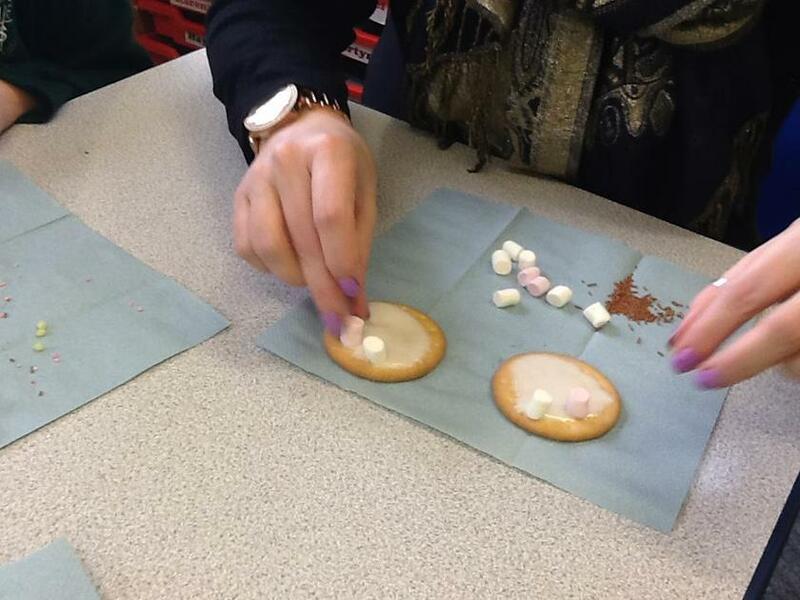 Science investigation - irreversible changes. 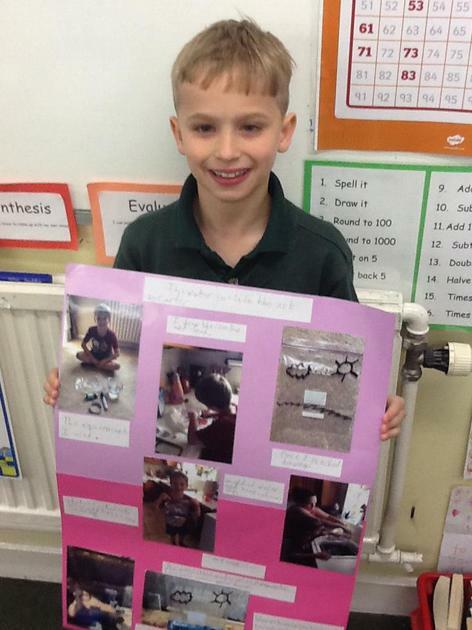 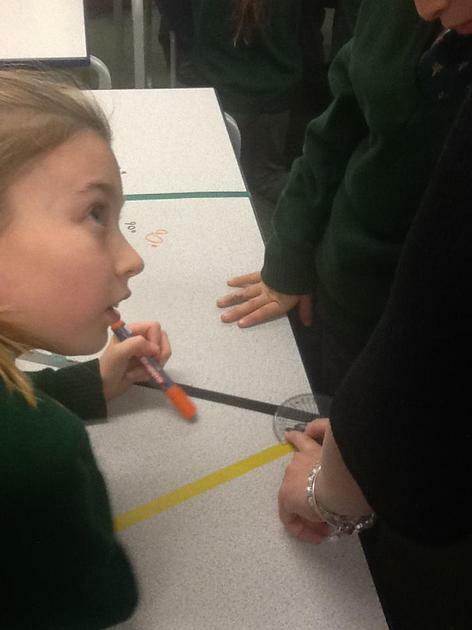 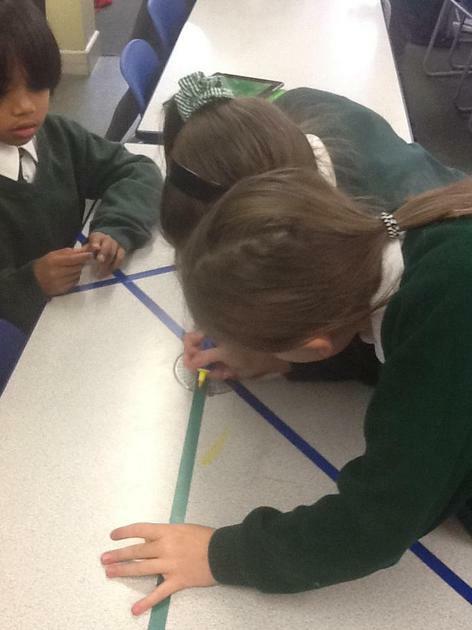 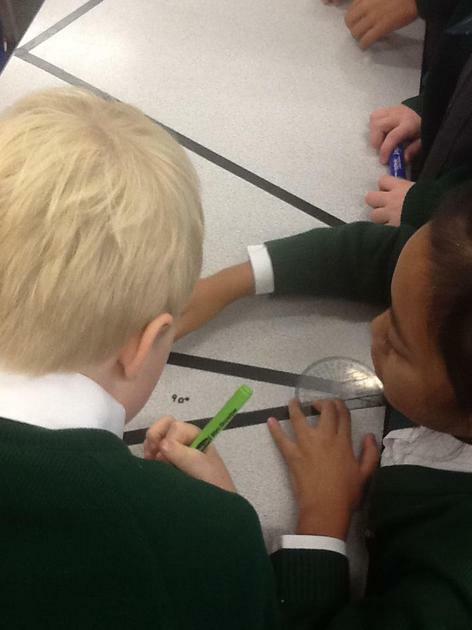 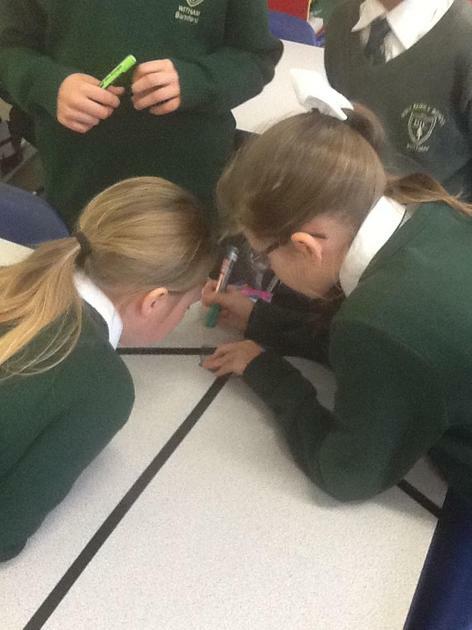 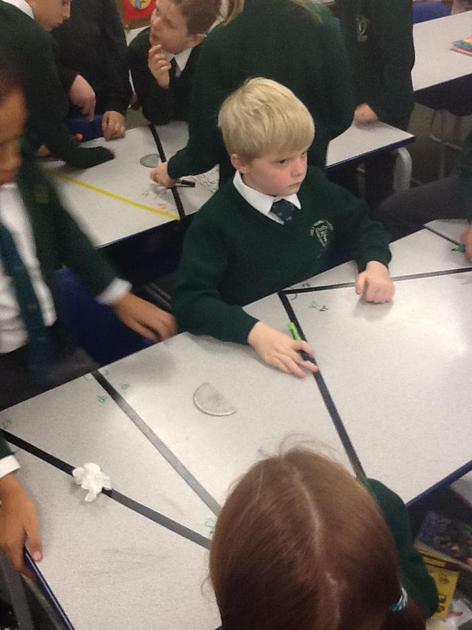 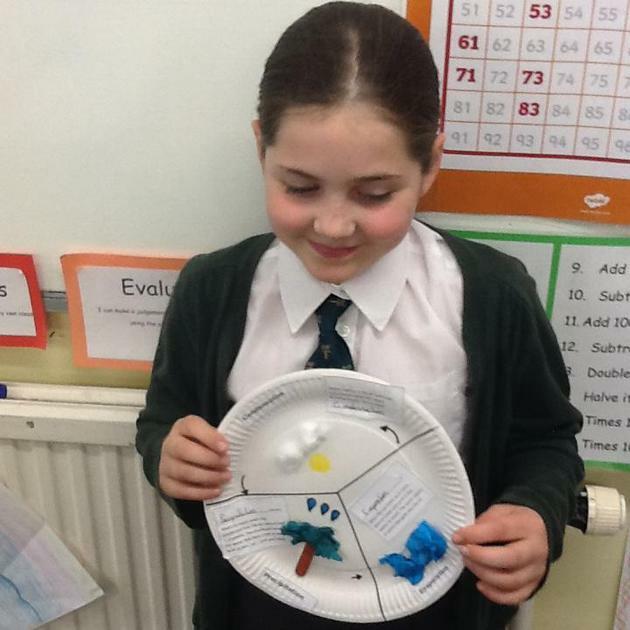 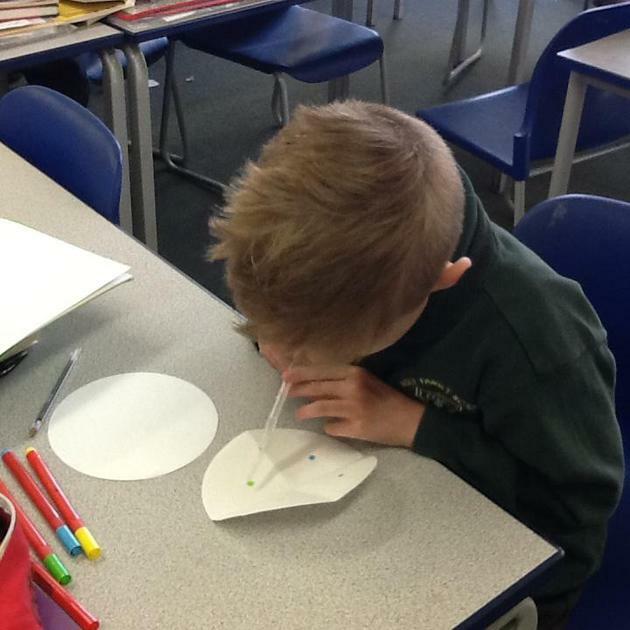 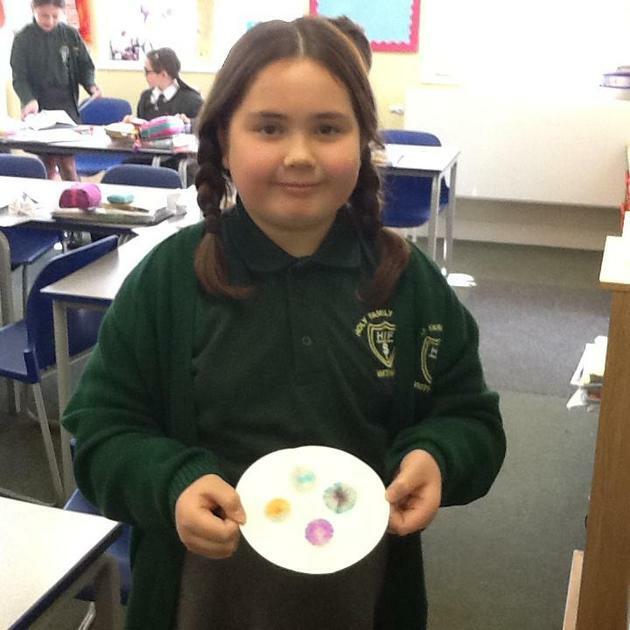 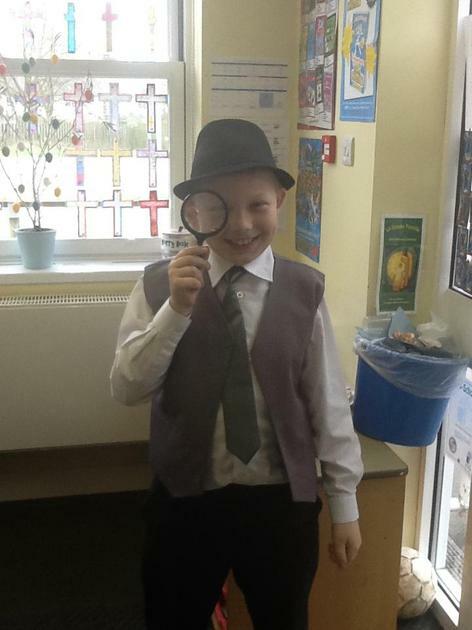 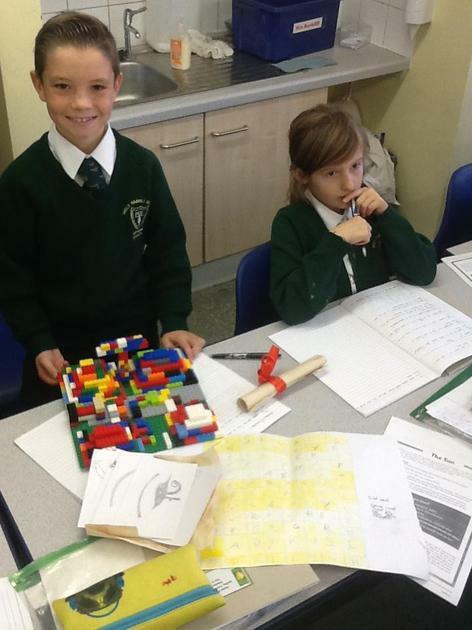 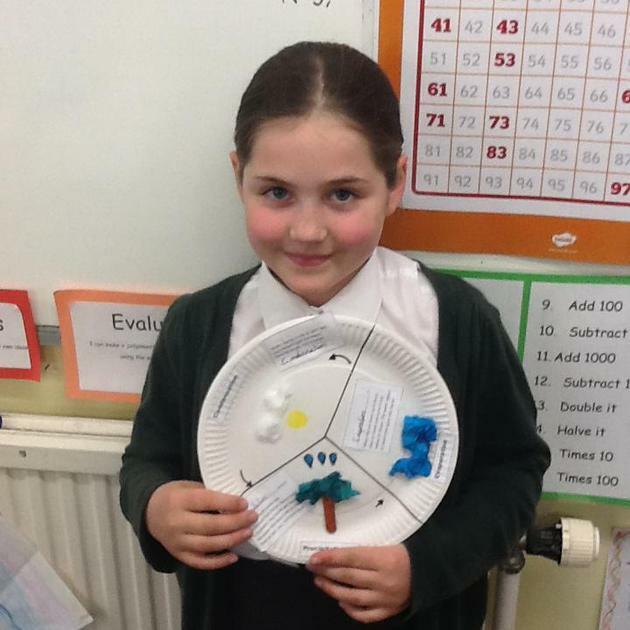 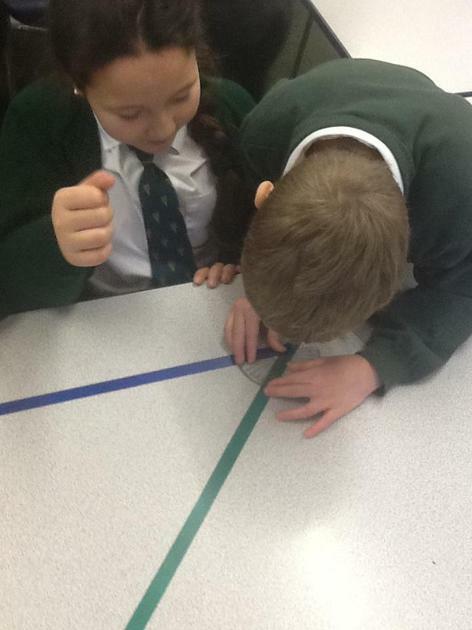 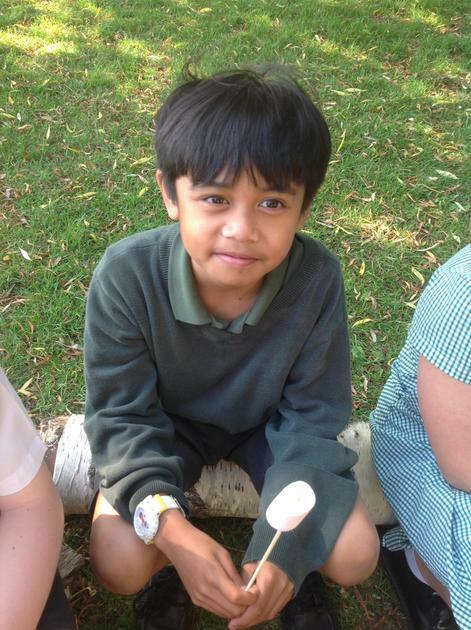 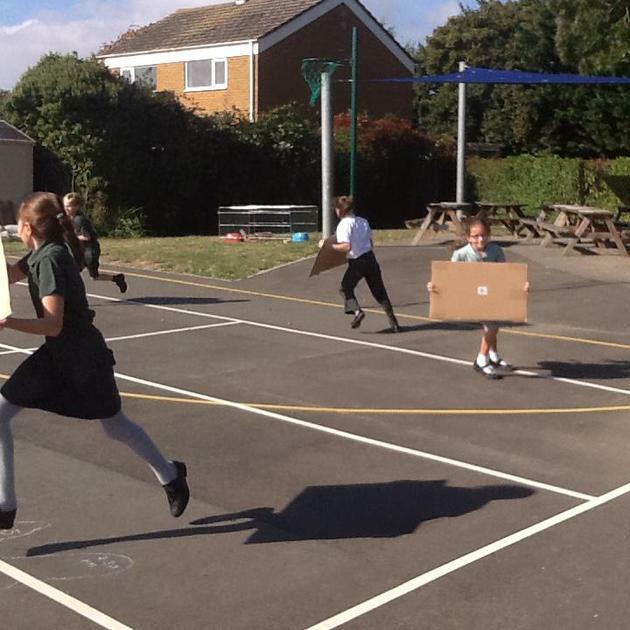 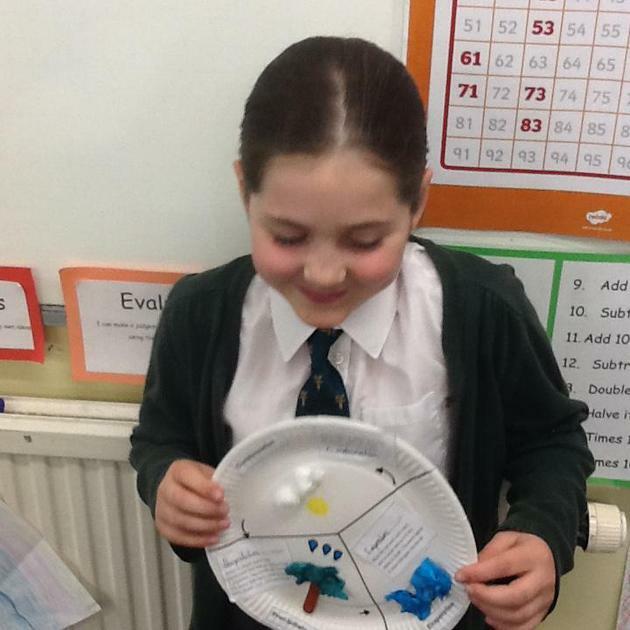 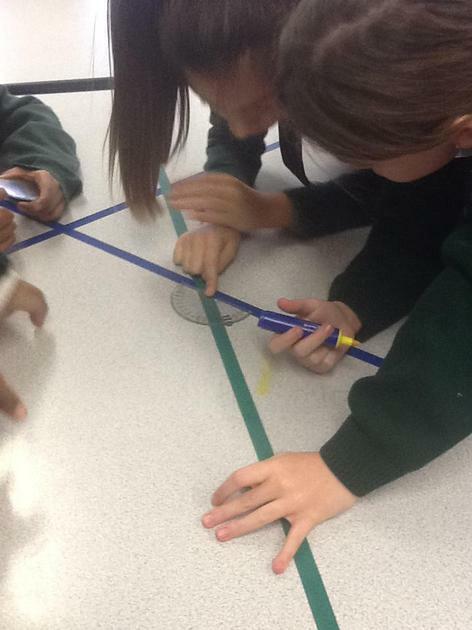 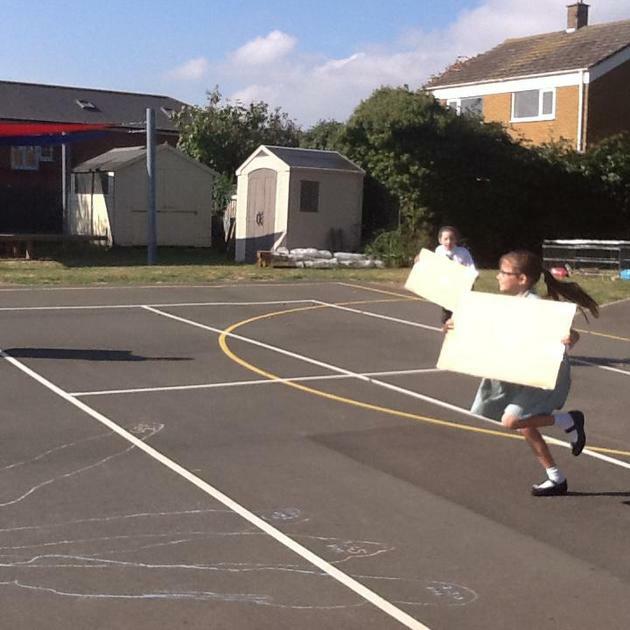 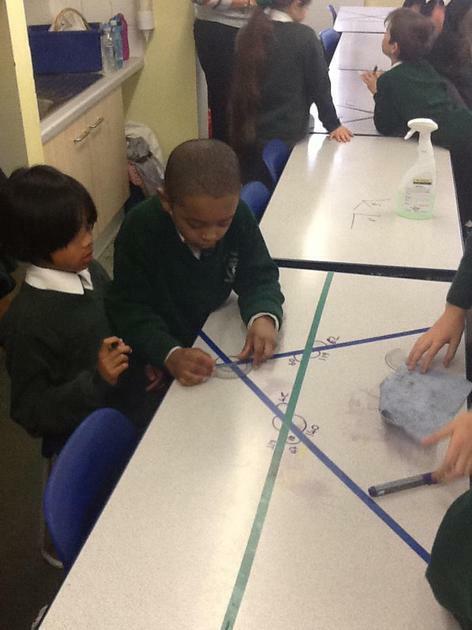 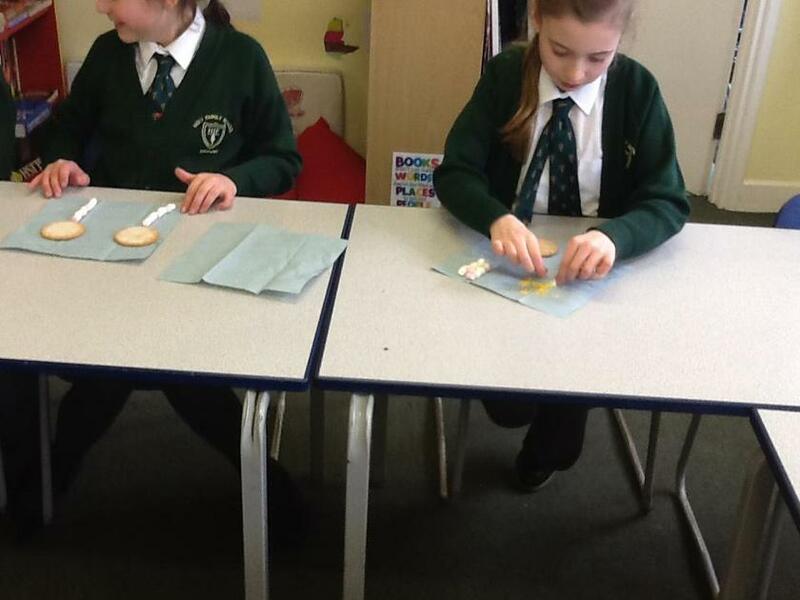 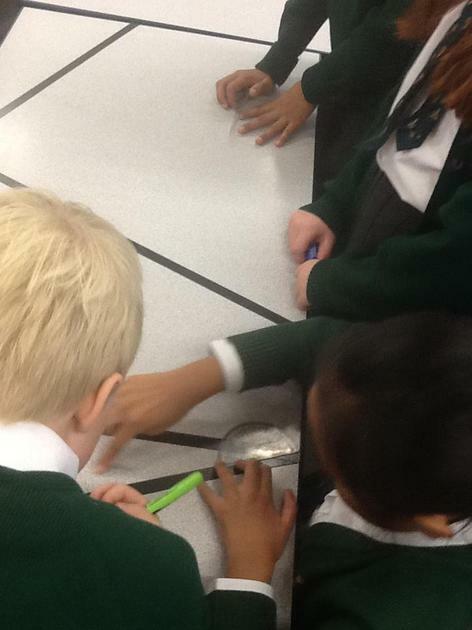 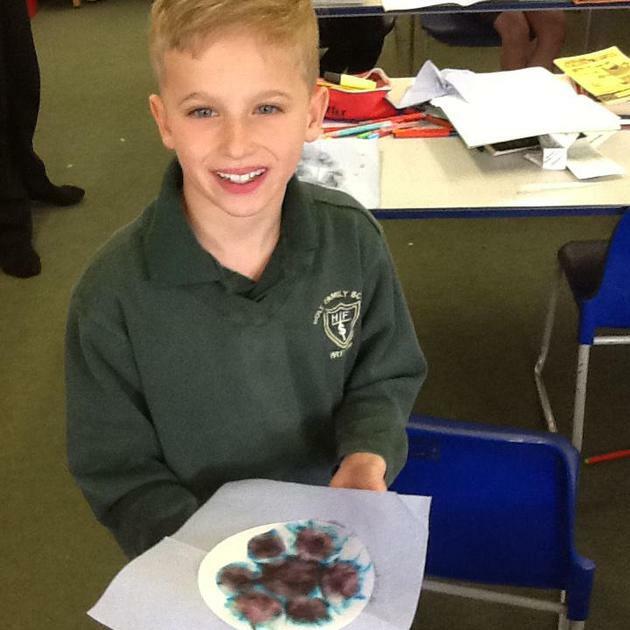 The children had lots of fun today working on their science investigations. 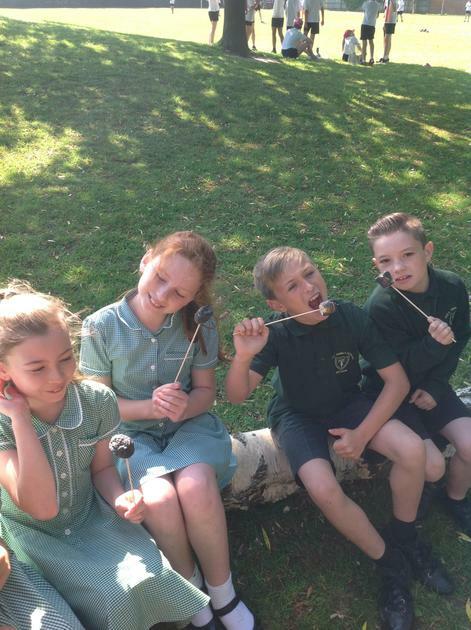 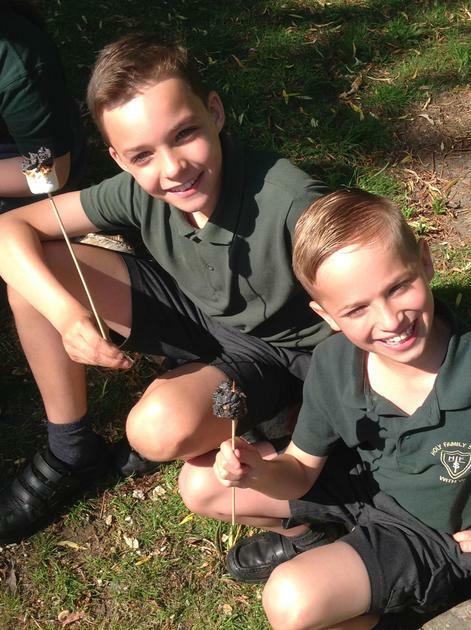 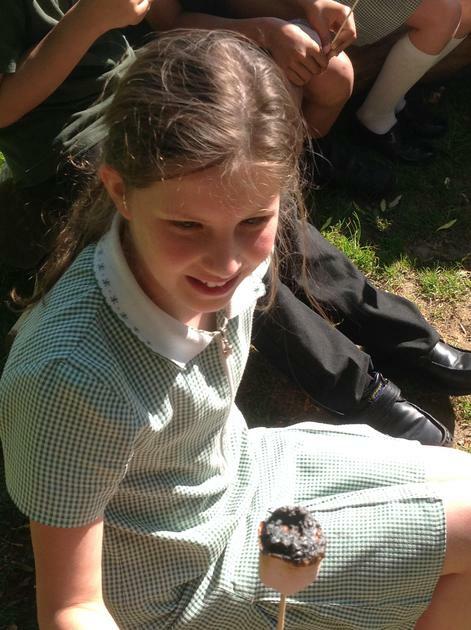 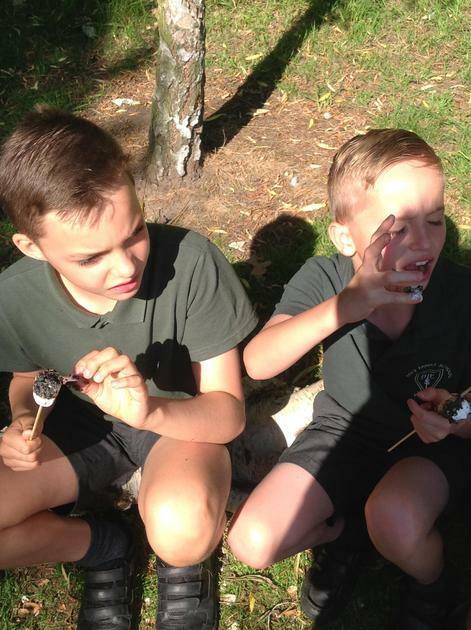 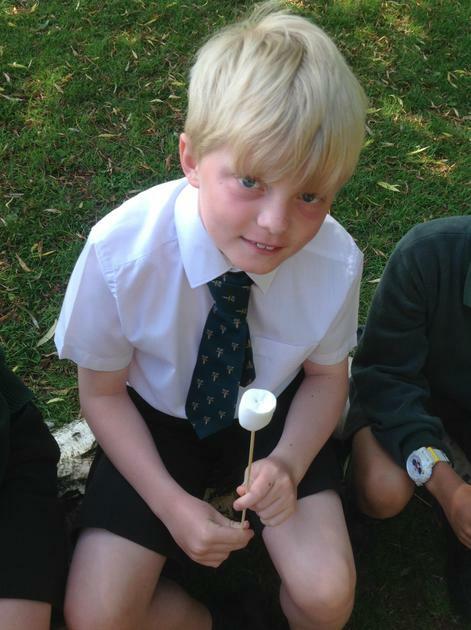 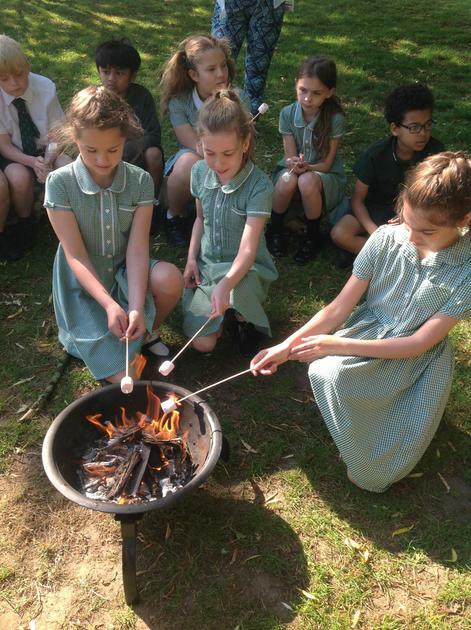 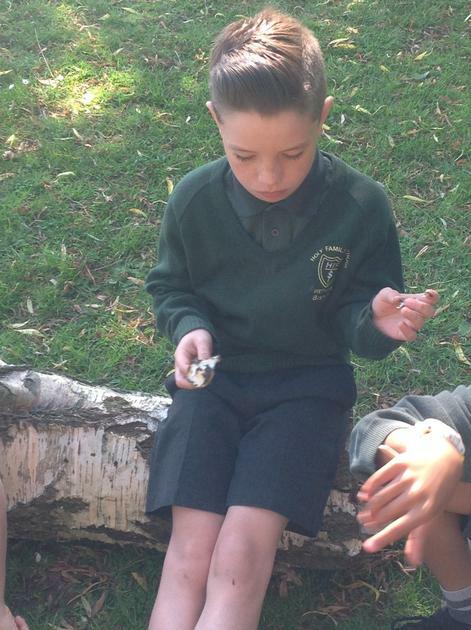 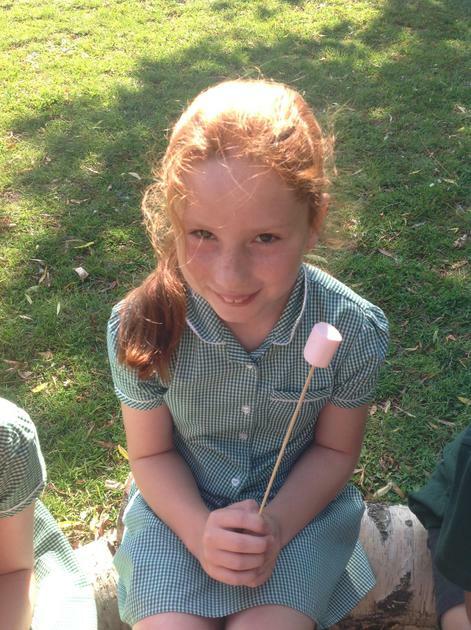 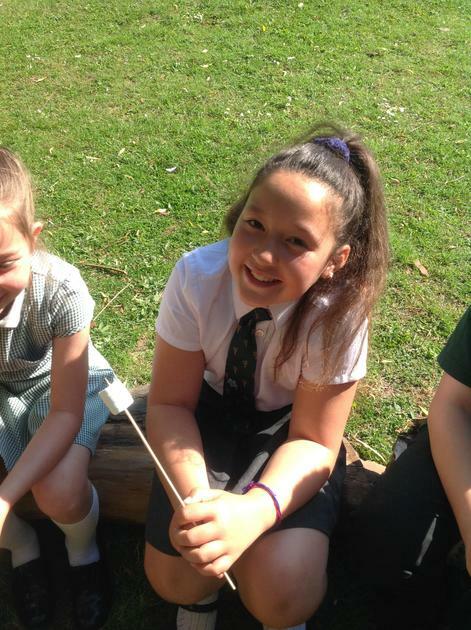 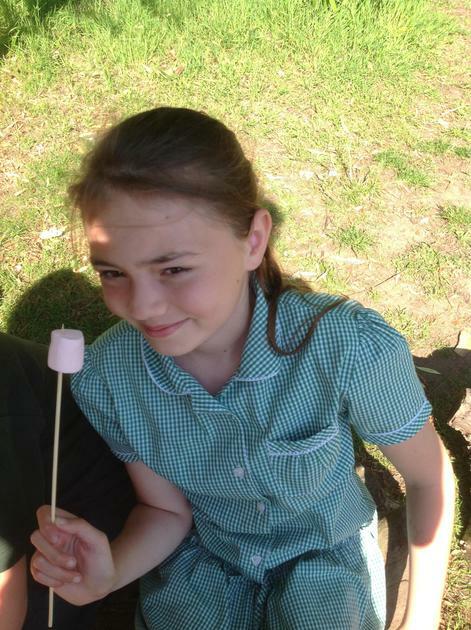 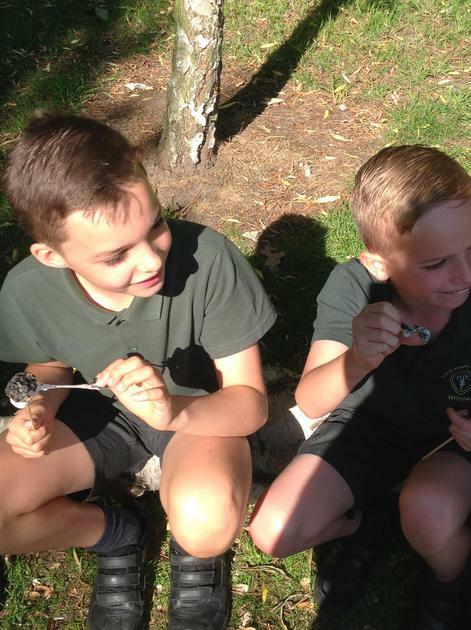 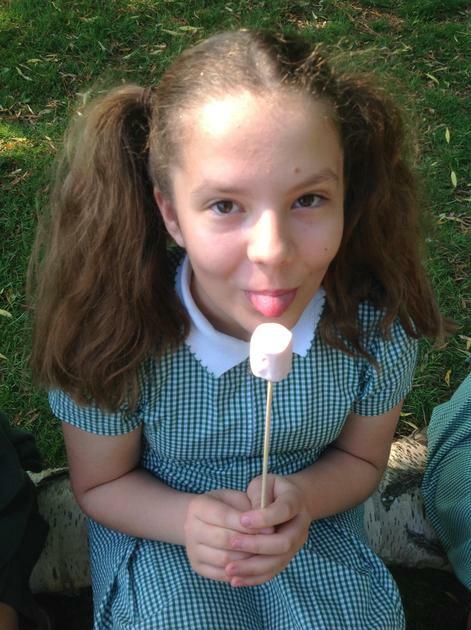 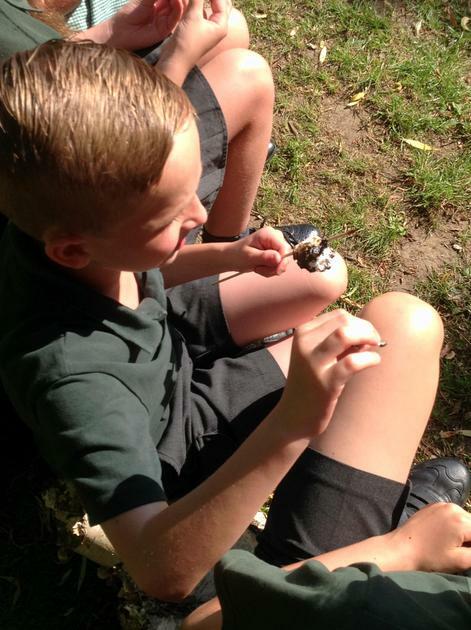 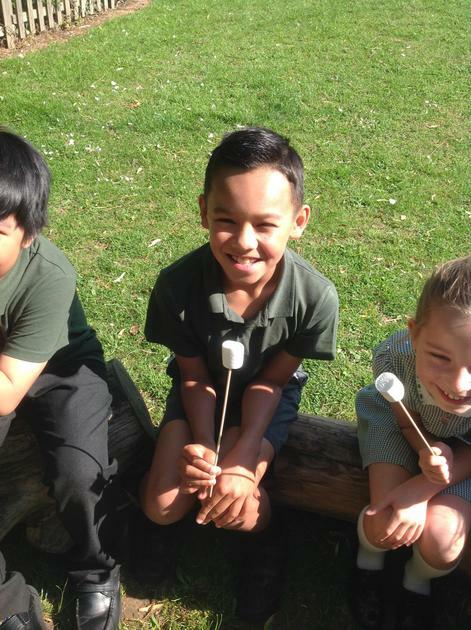 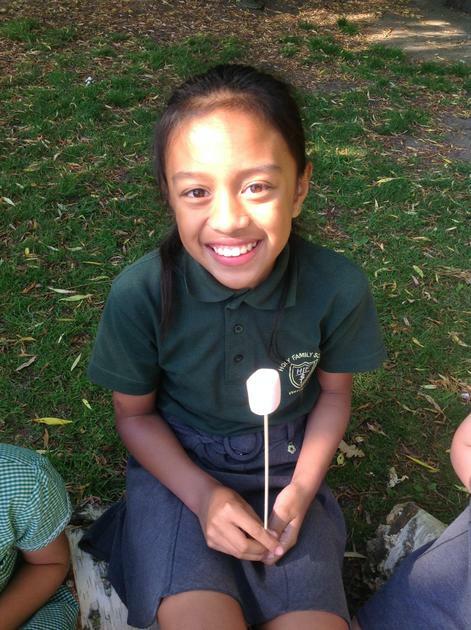 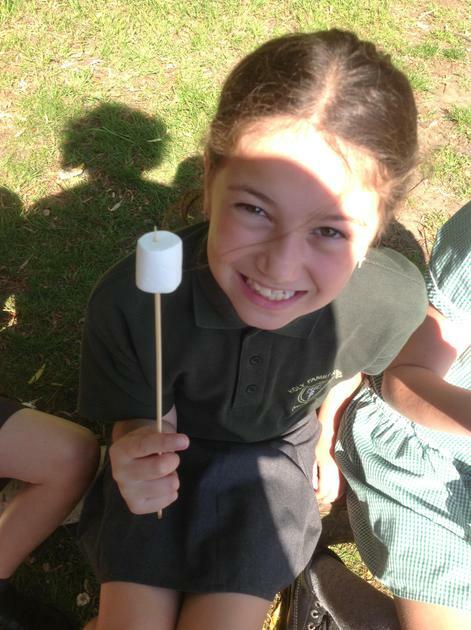 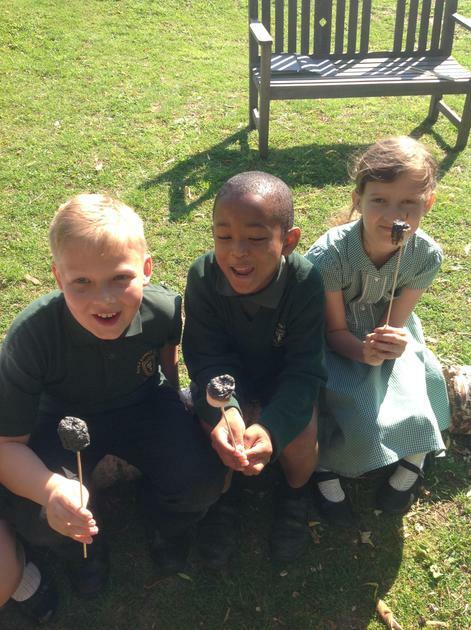 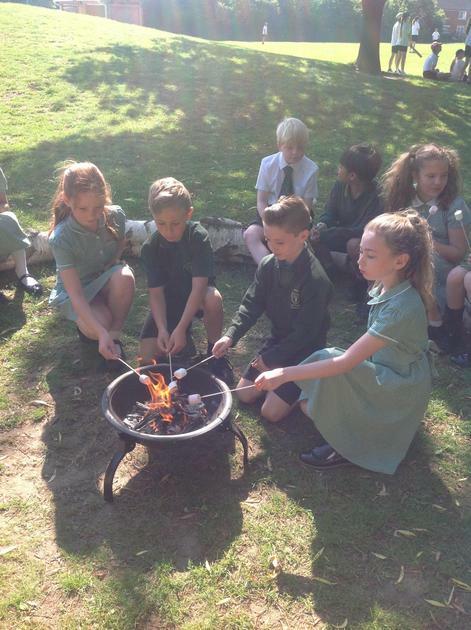 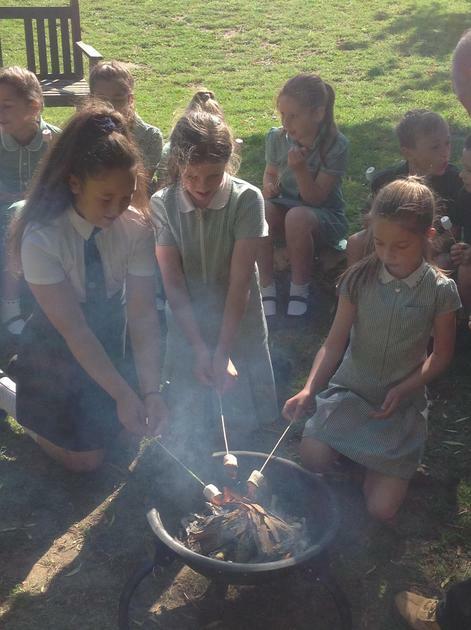 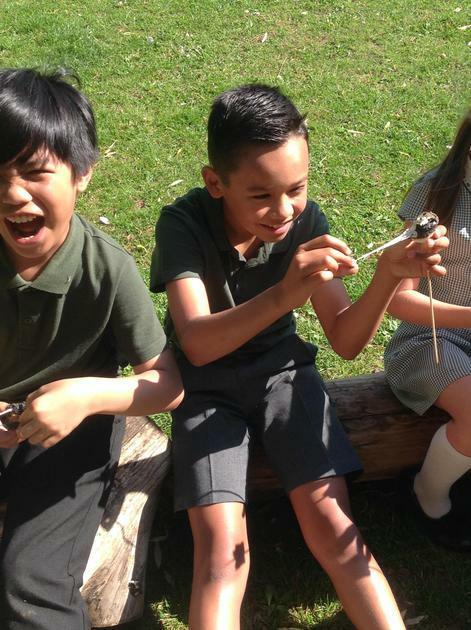 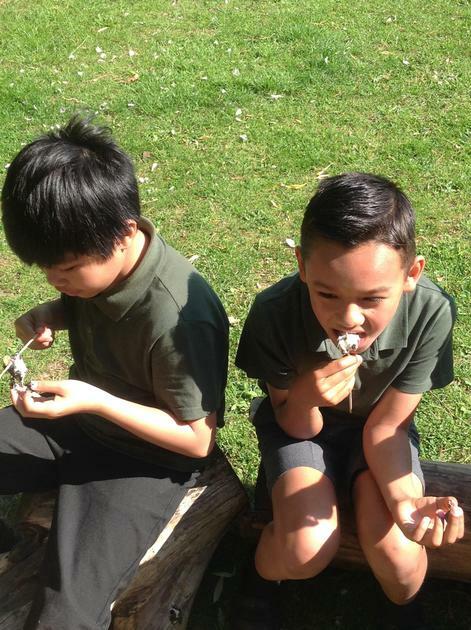 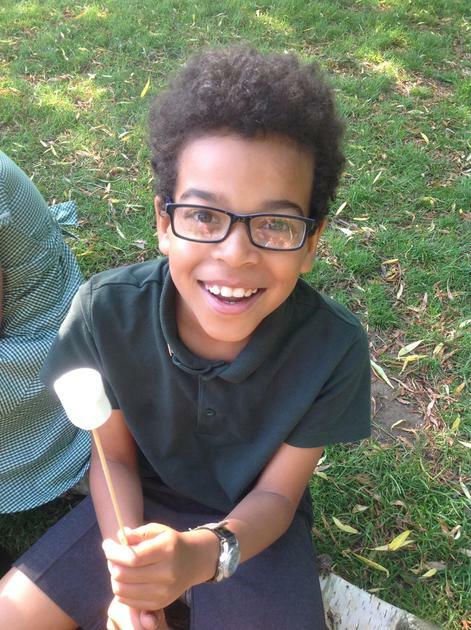 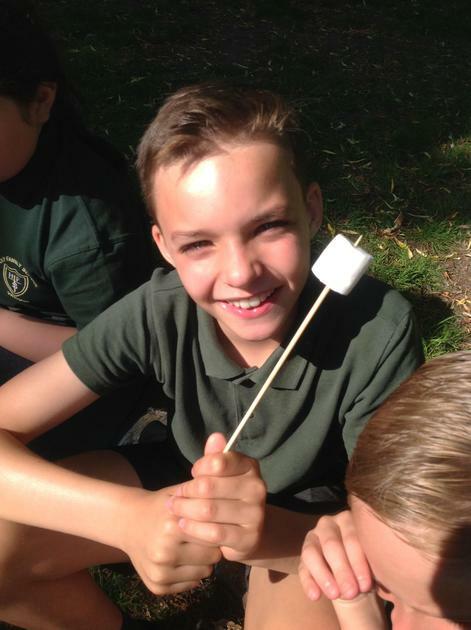 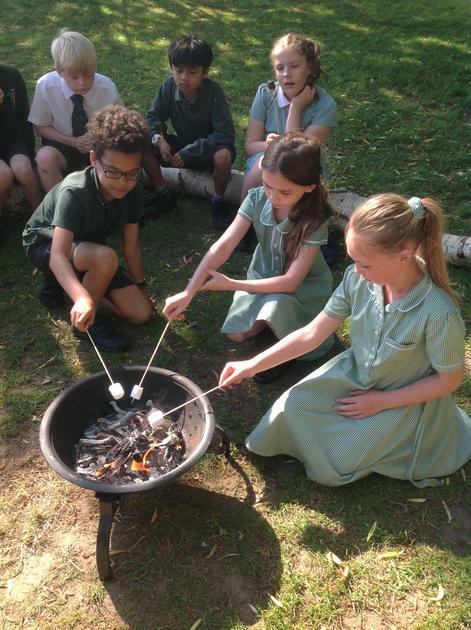 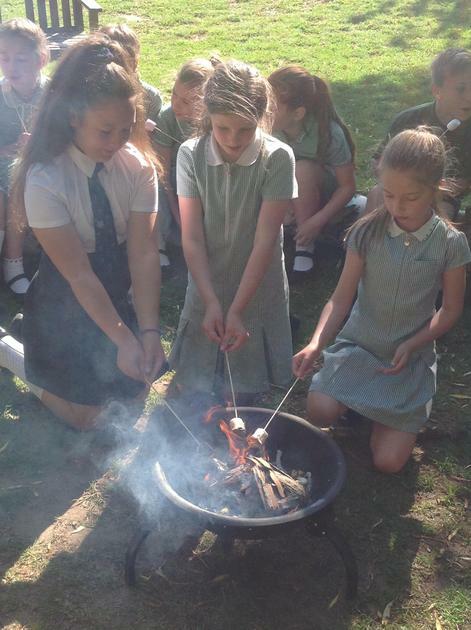 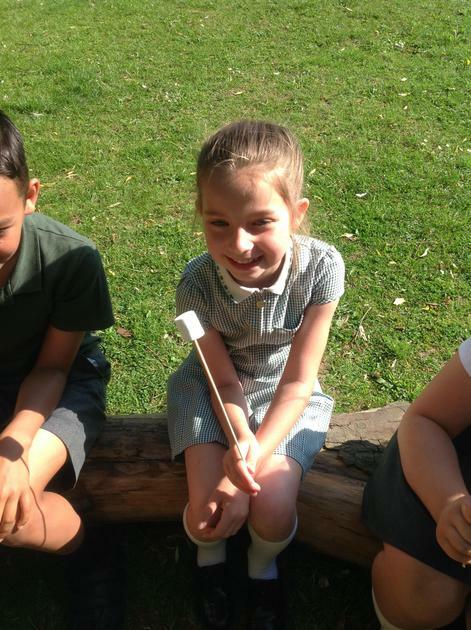 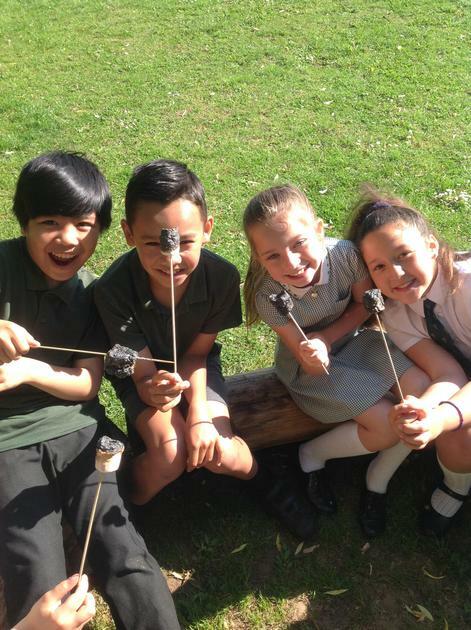 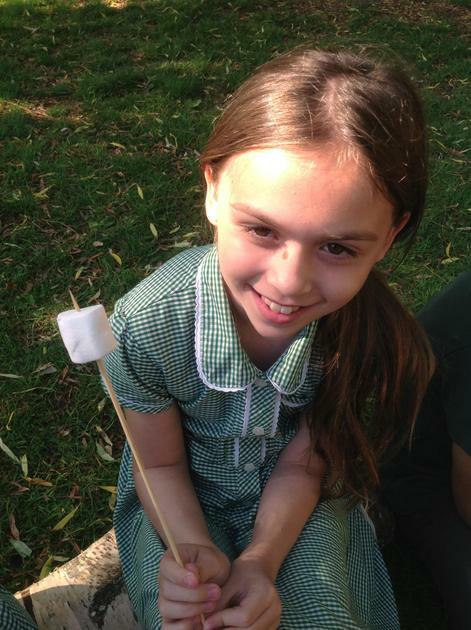 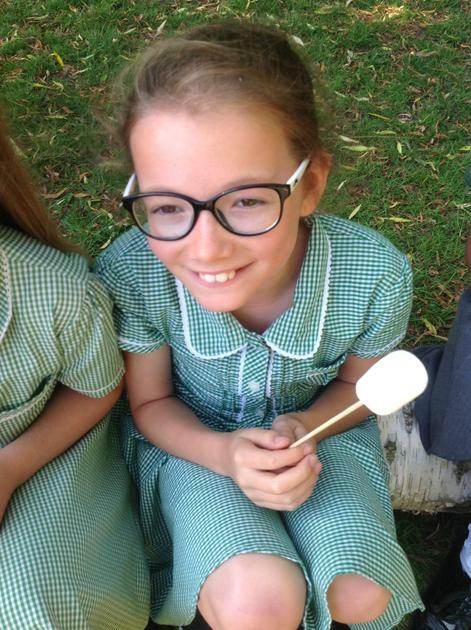 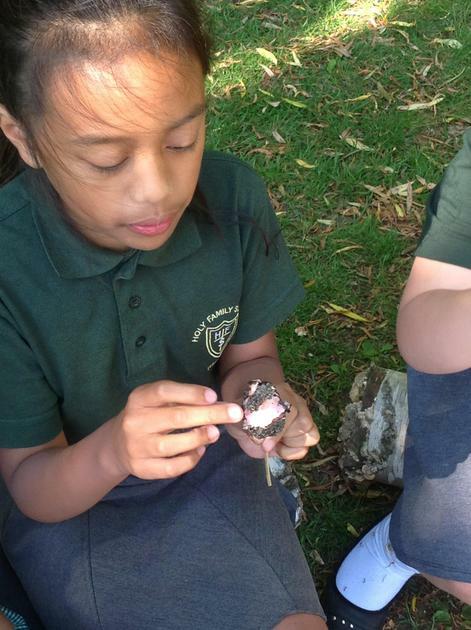 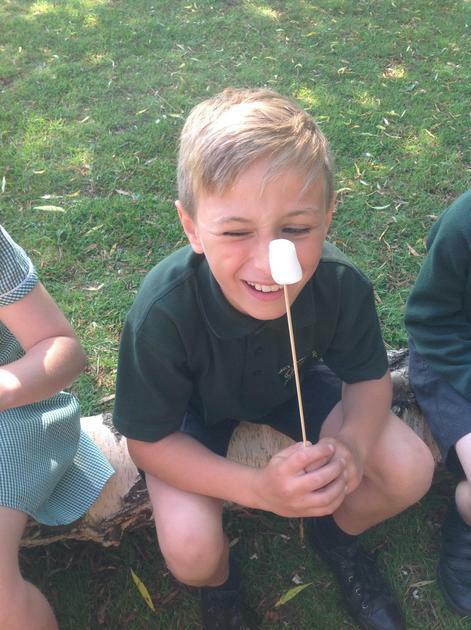 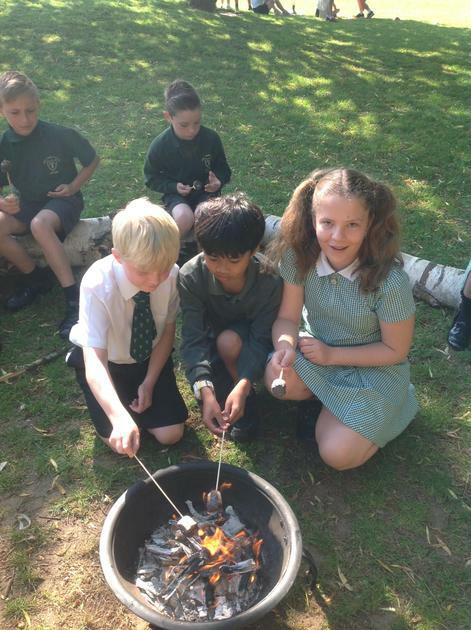 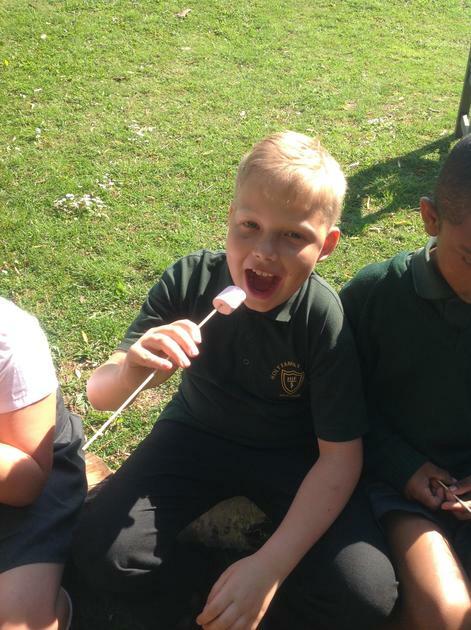 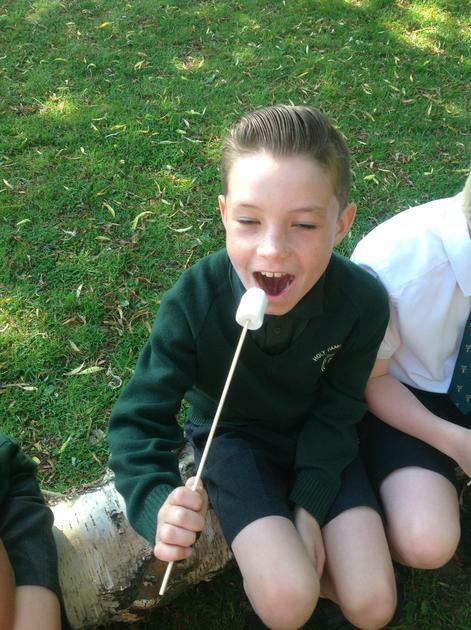 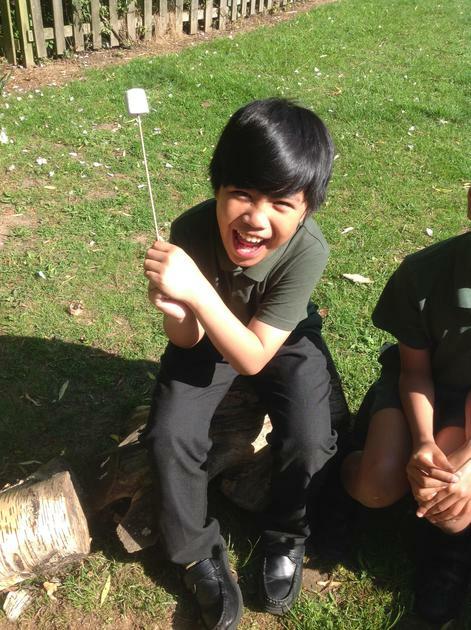 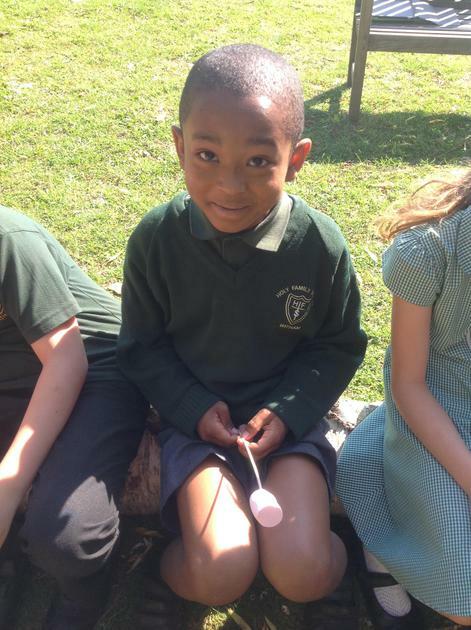 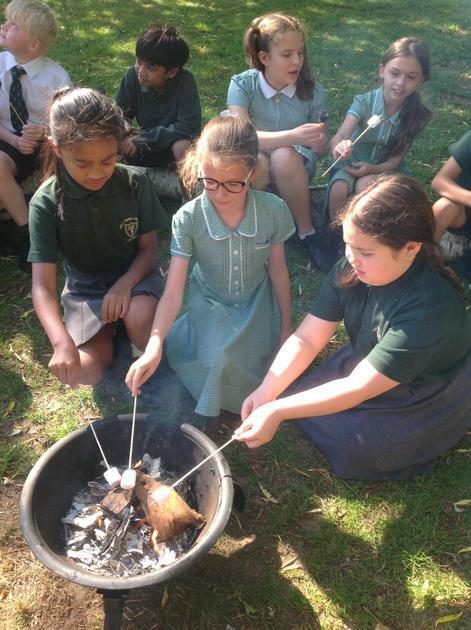 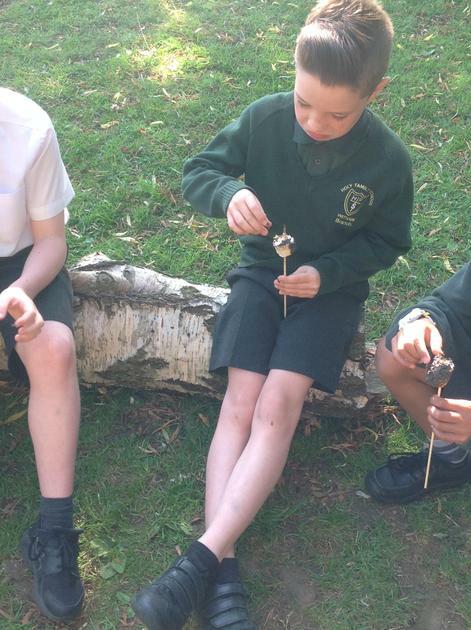 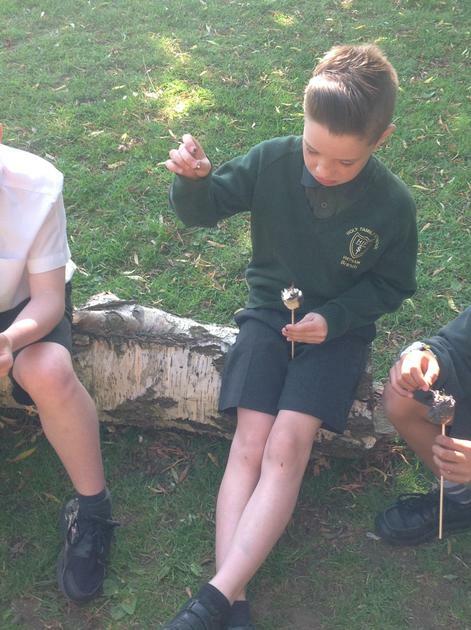 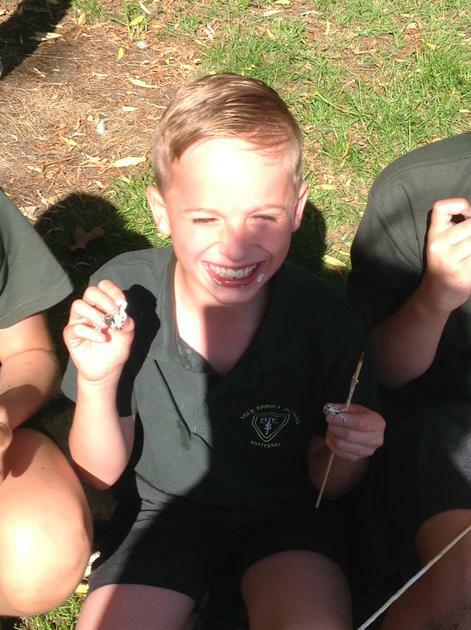 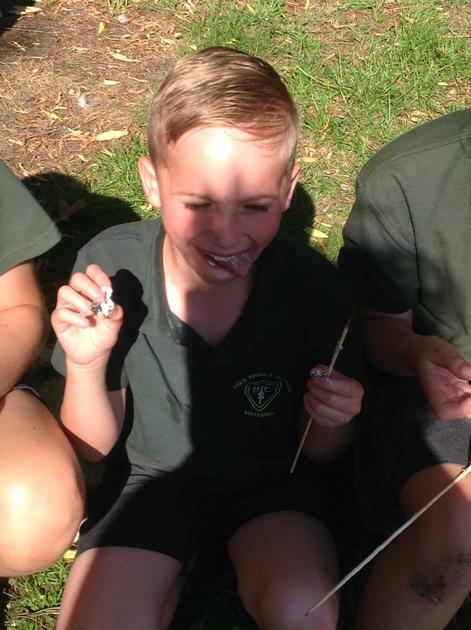 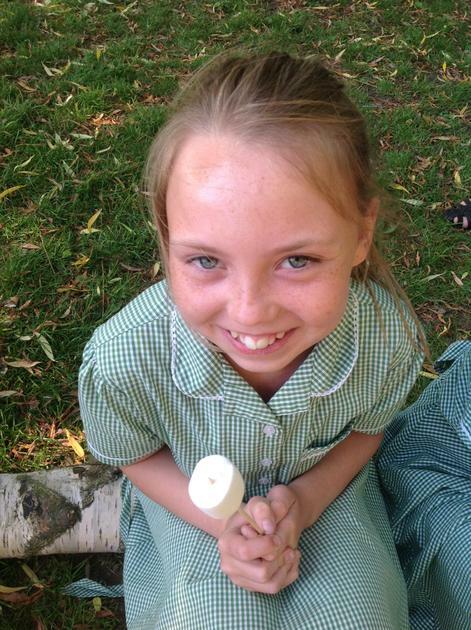 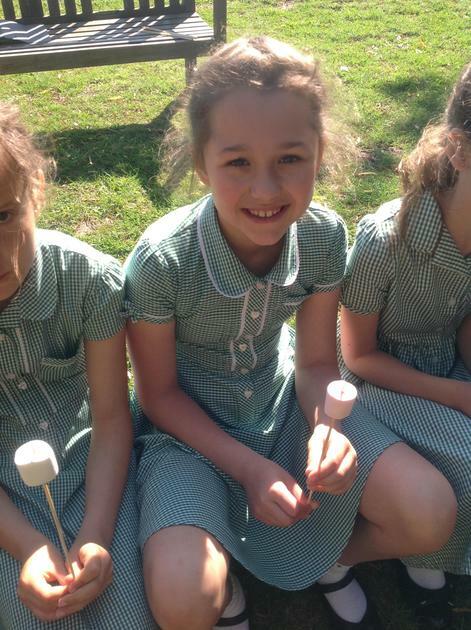 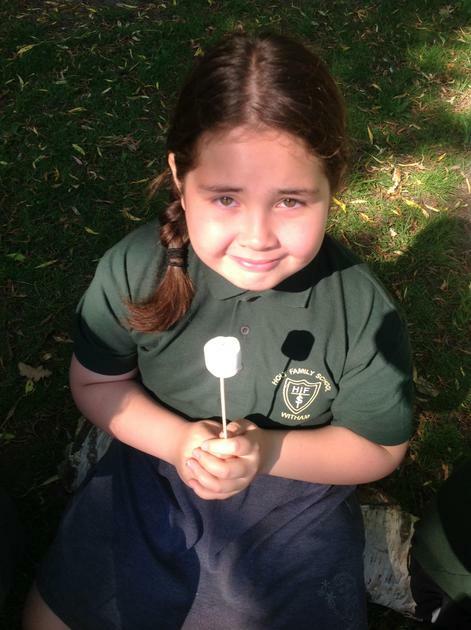 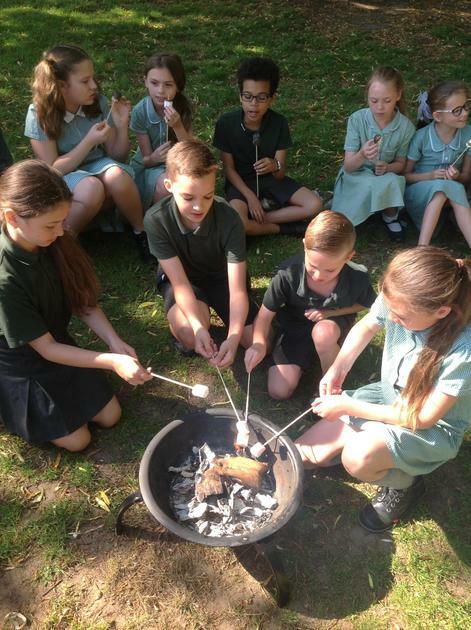 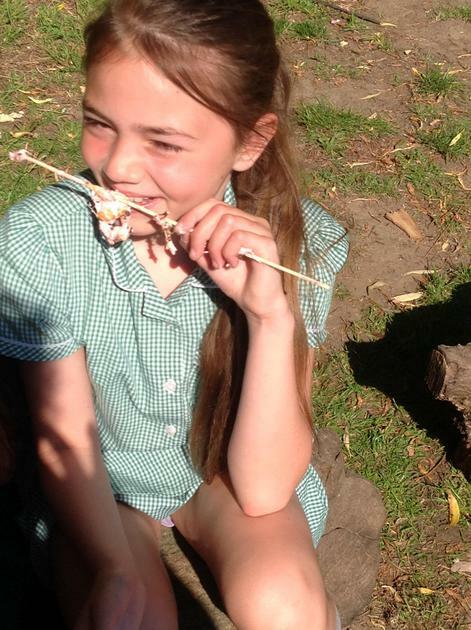 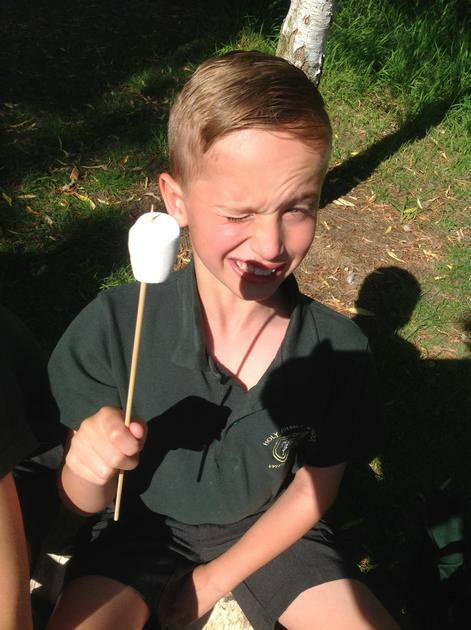 They cooked marshmallows over the school fire pit, and investigated whether the change was a reversible or irreversible. 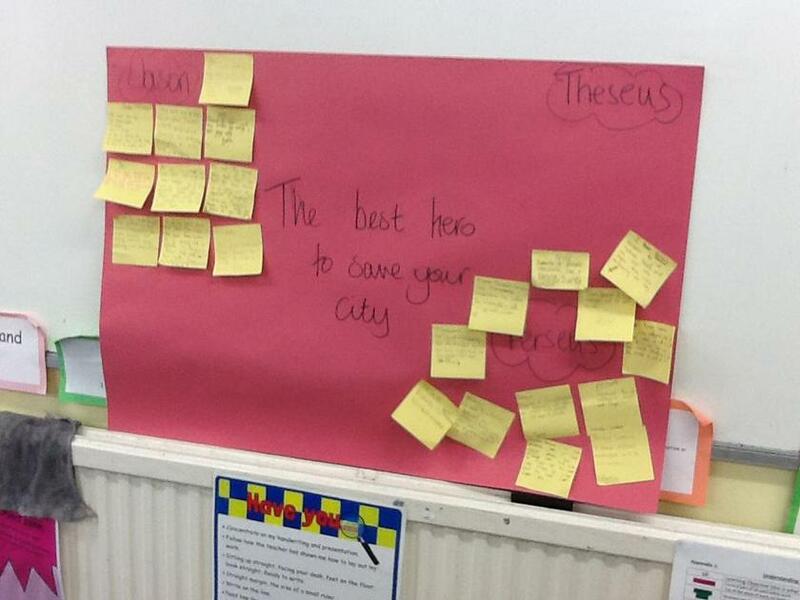 Debating in our English lesson today, which Greek hero would be the best person to save us? 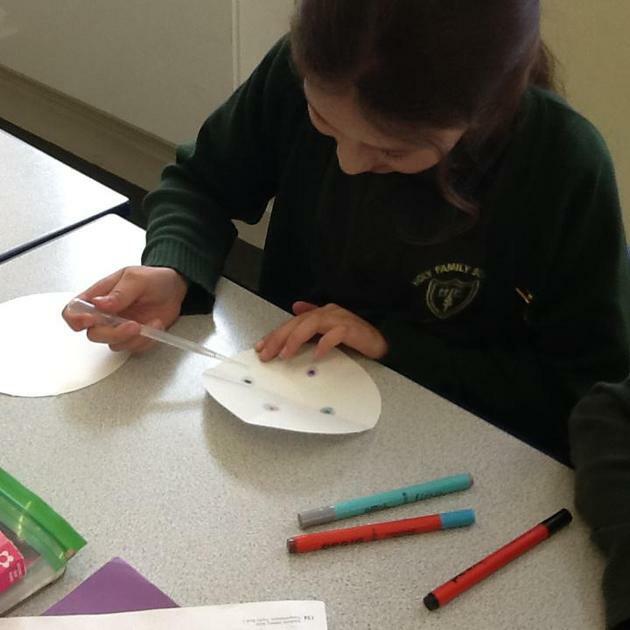 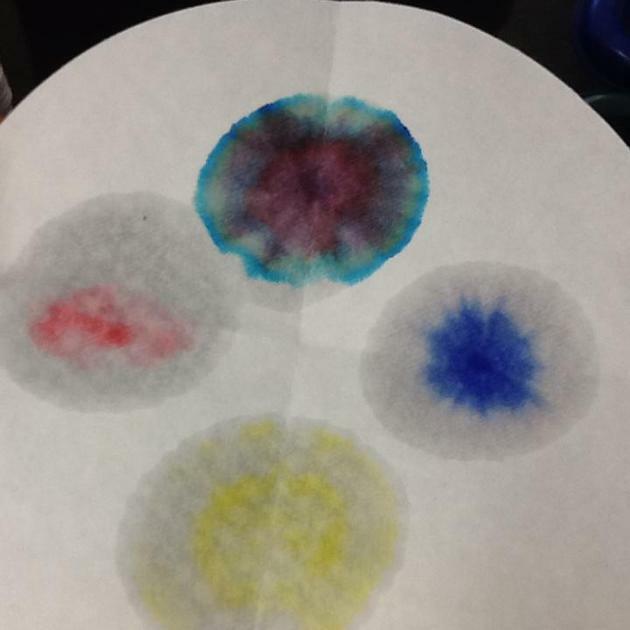 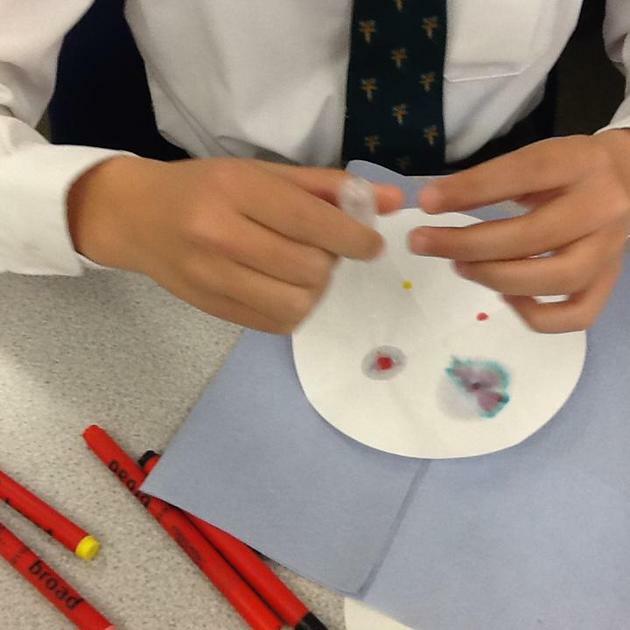 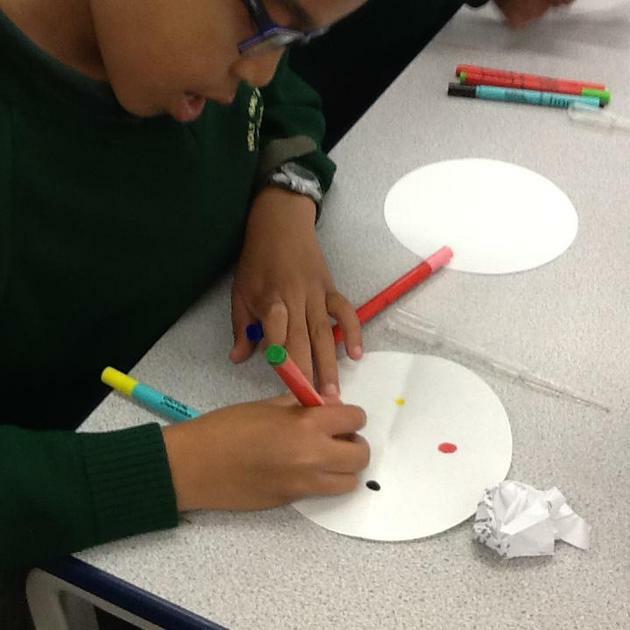 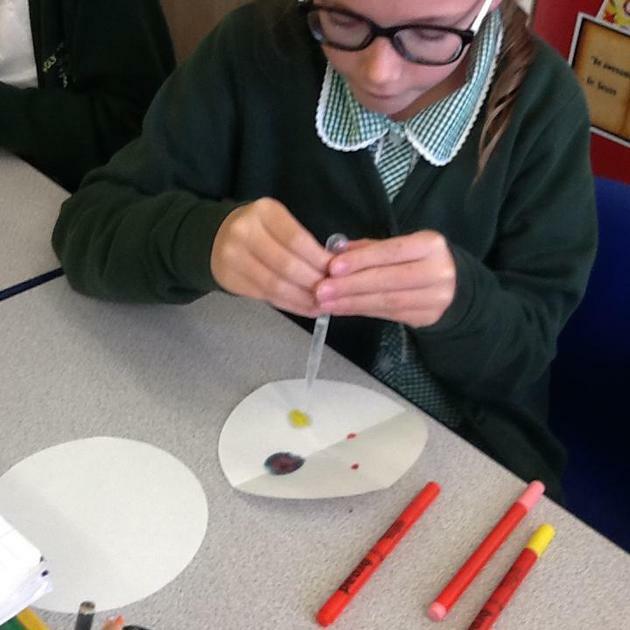 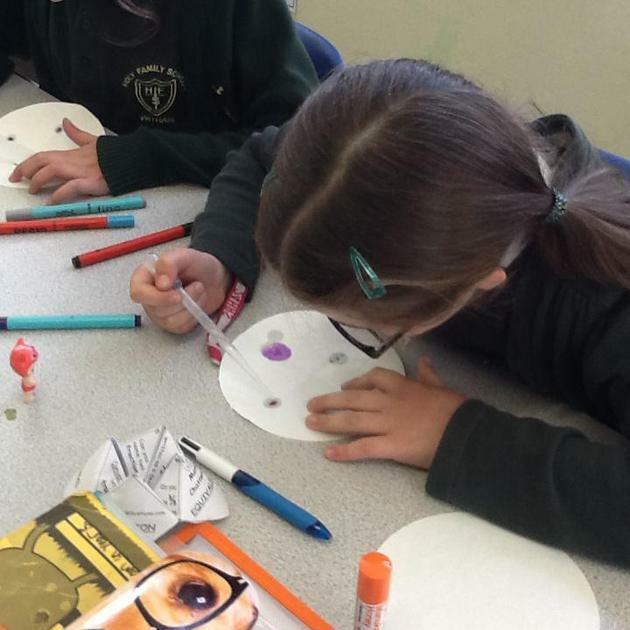 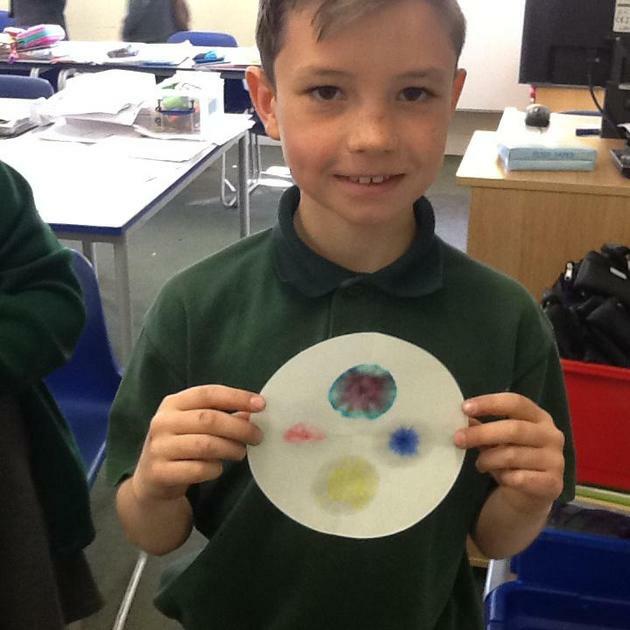 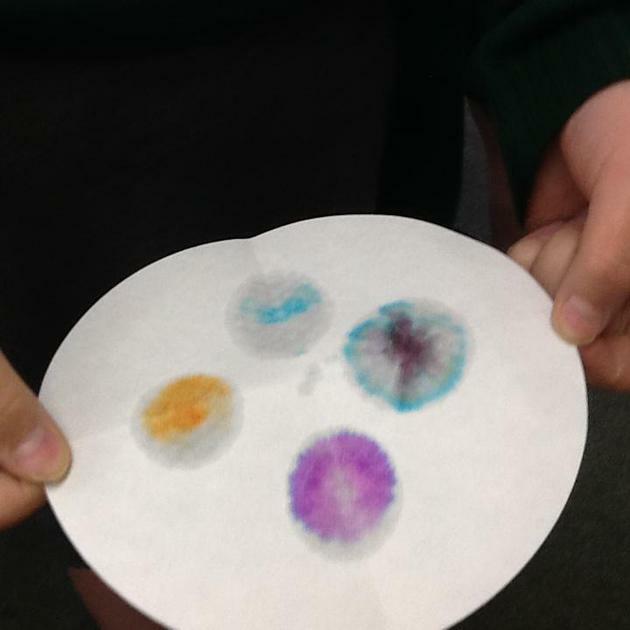 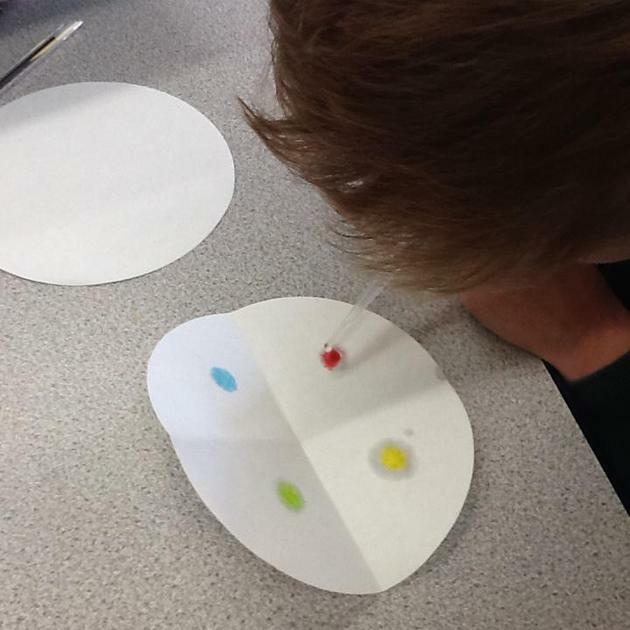 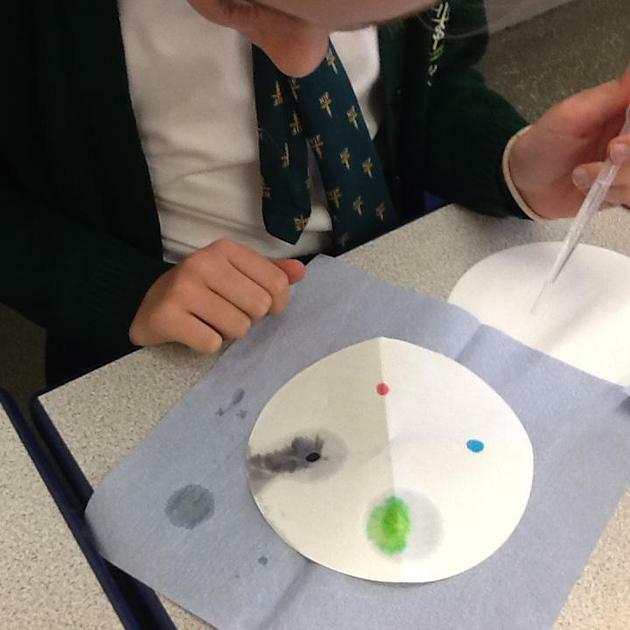 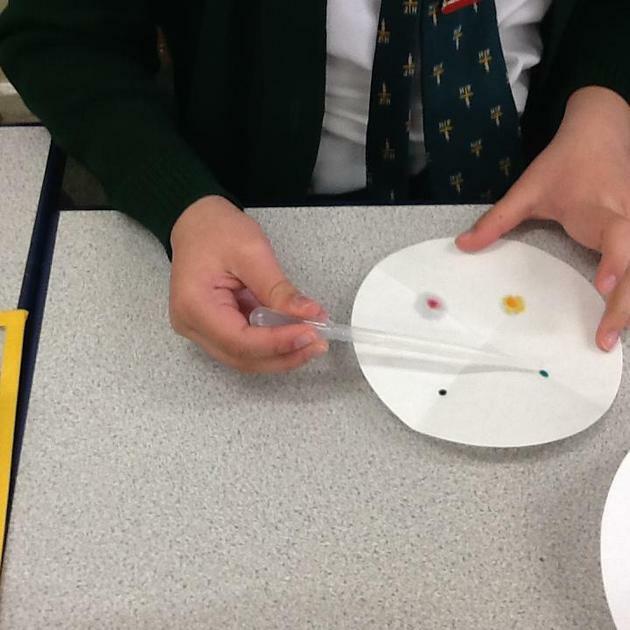 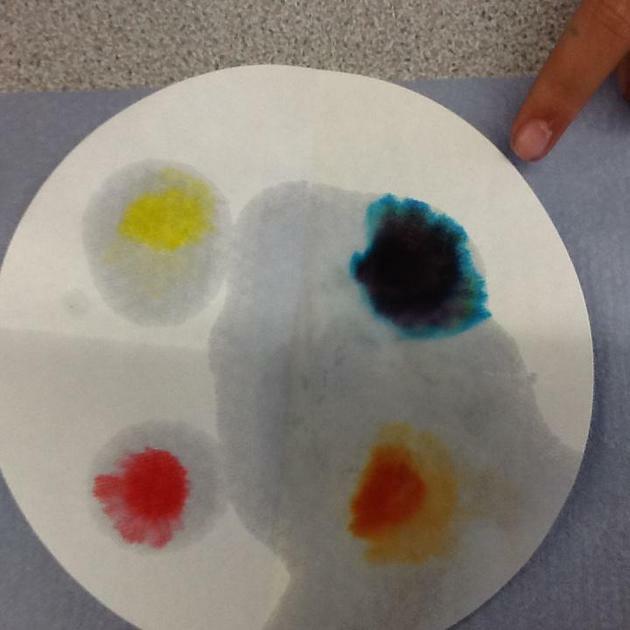 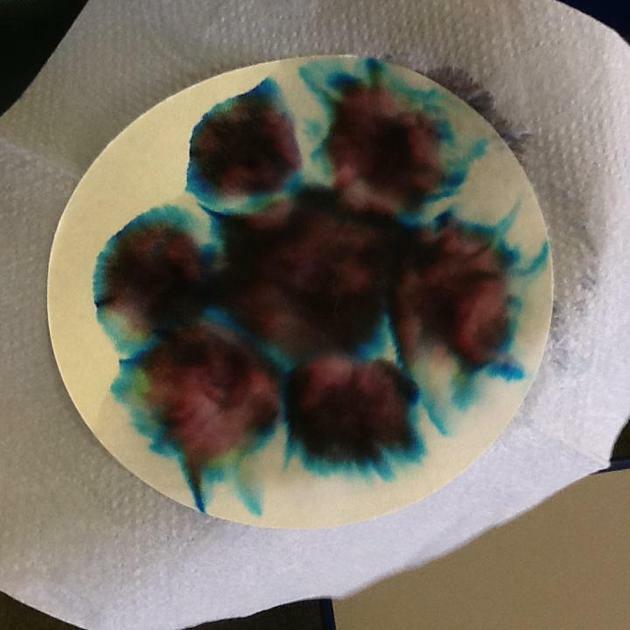 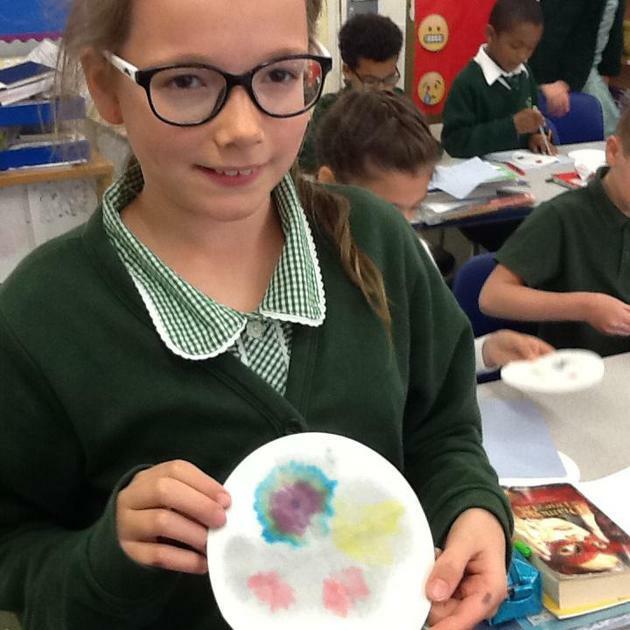 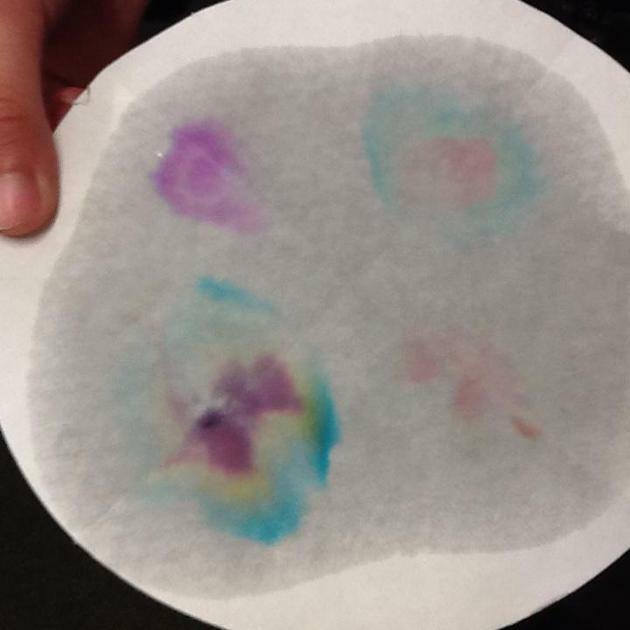 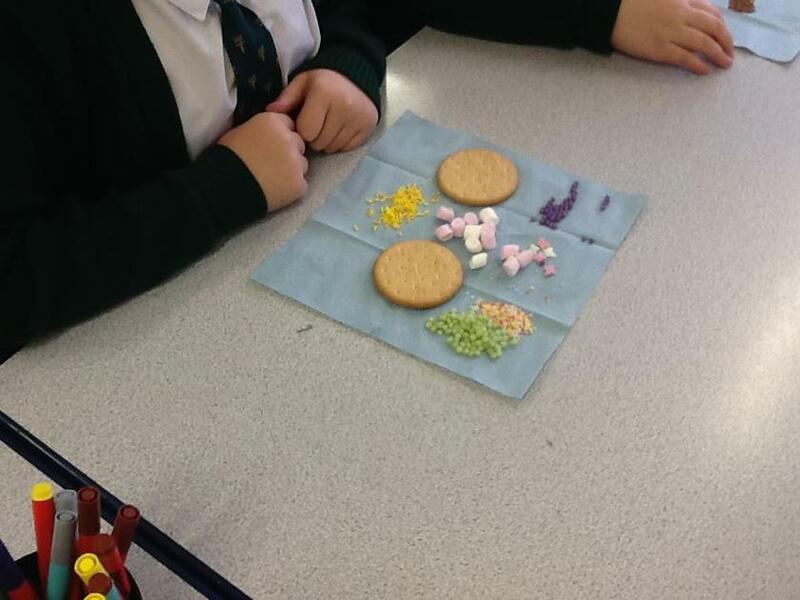 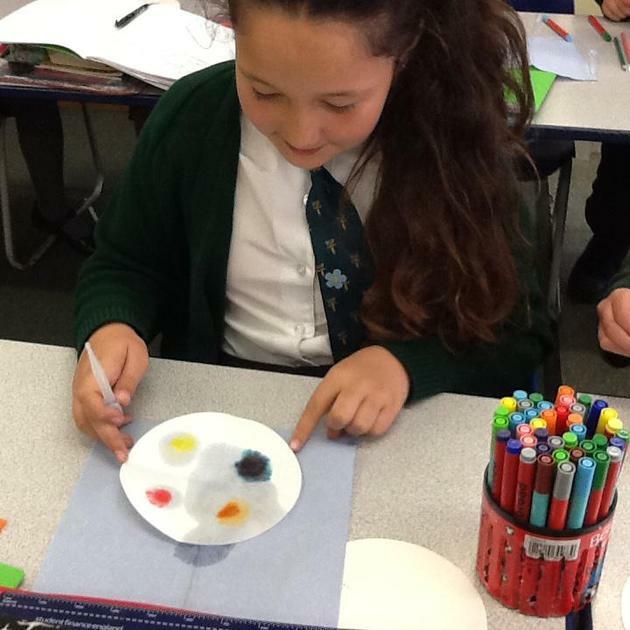 For our topic of 'Types of Change' we looked at chromatography - the analytical method used to separate colours or substances. 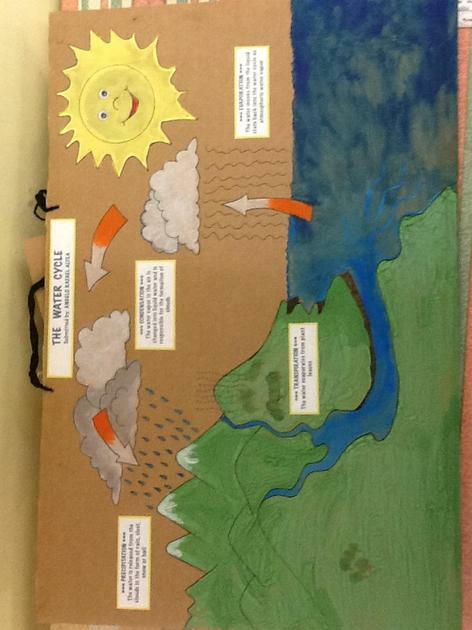 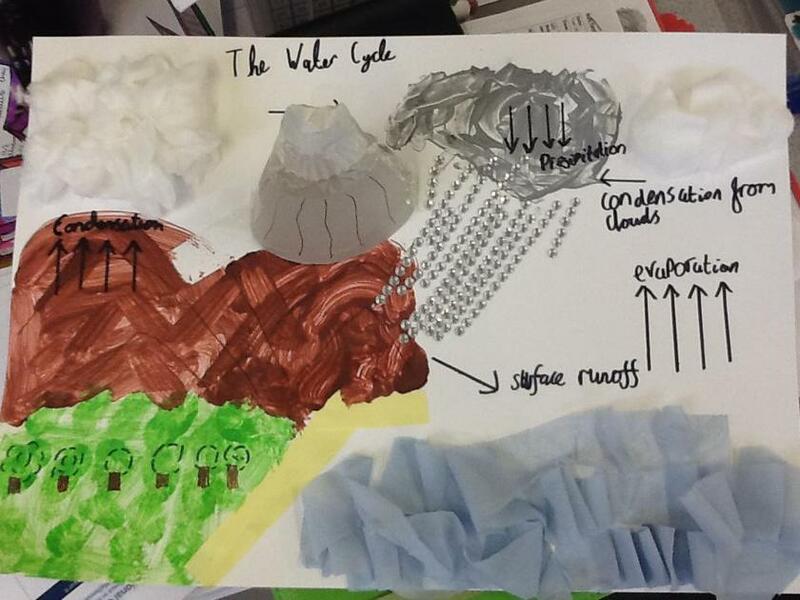 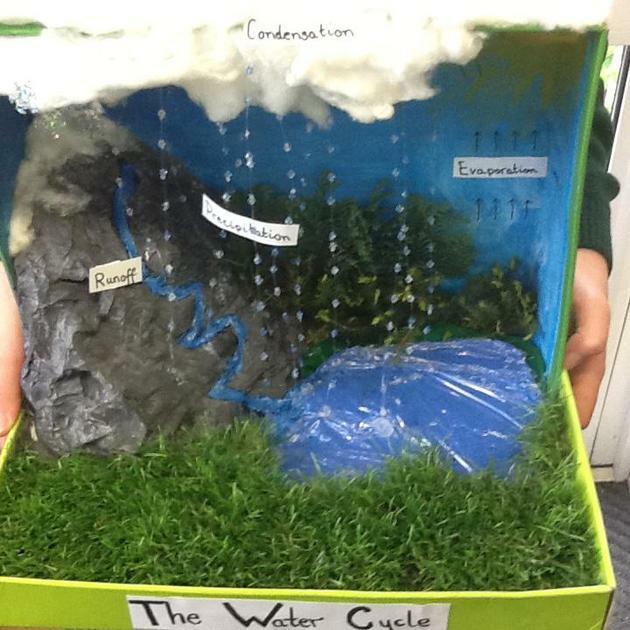 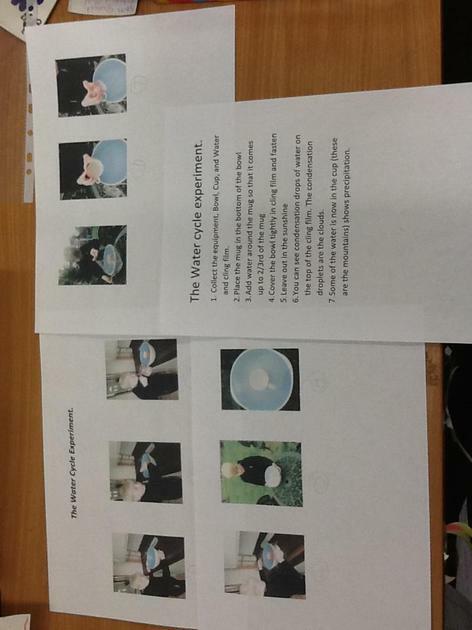 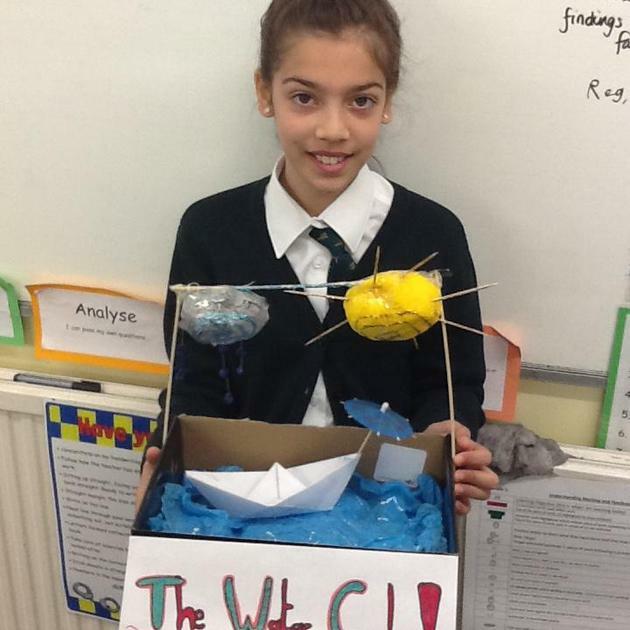 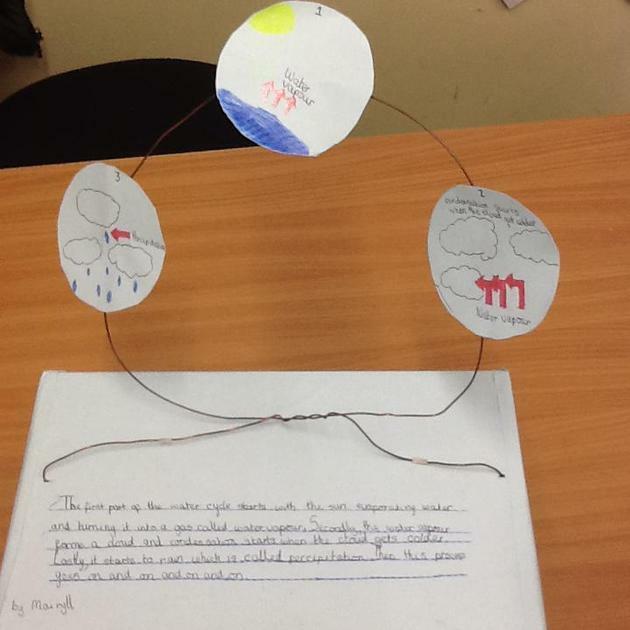 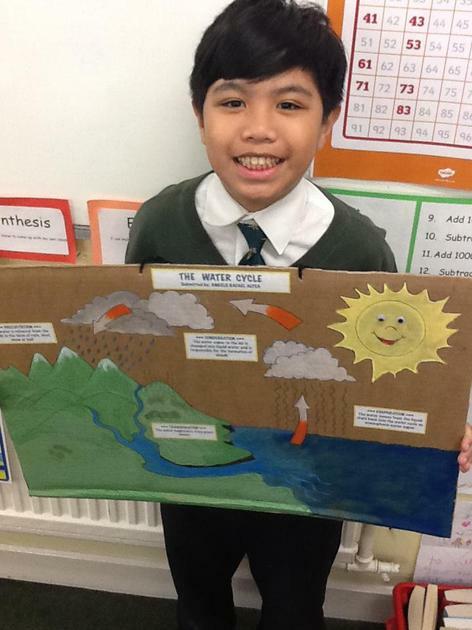 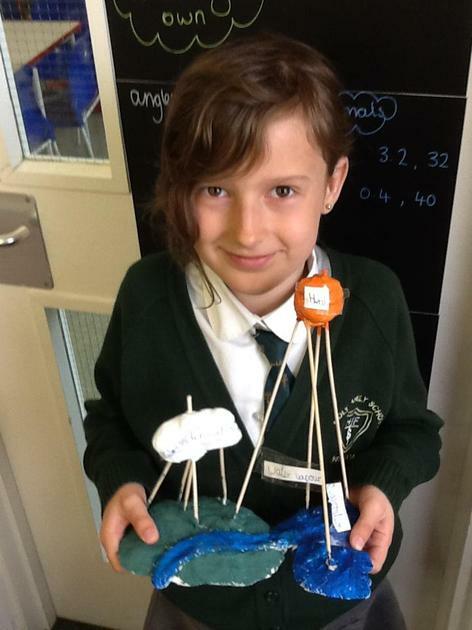 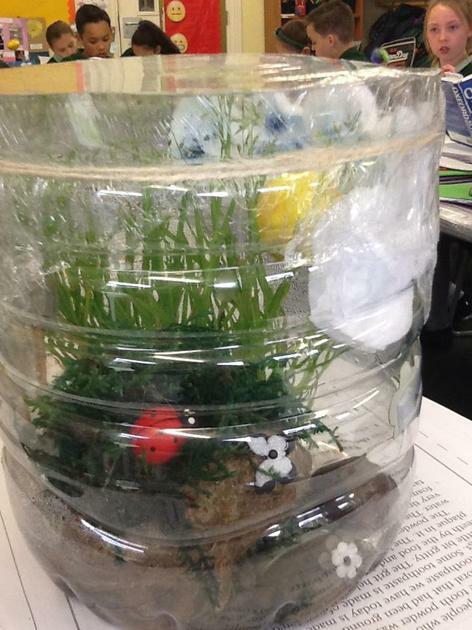 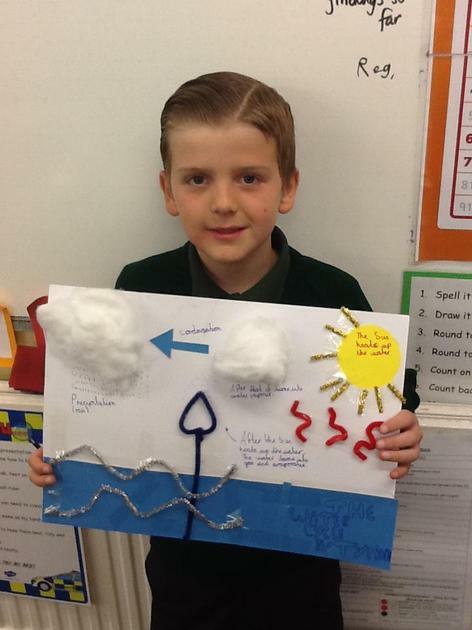 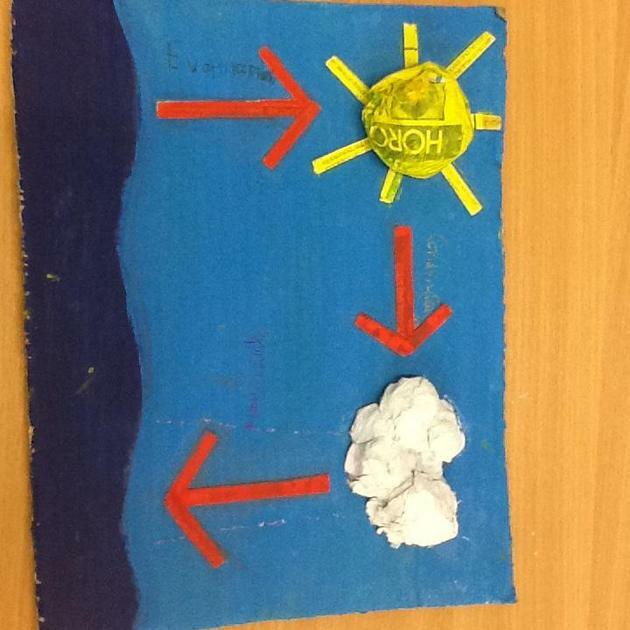 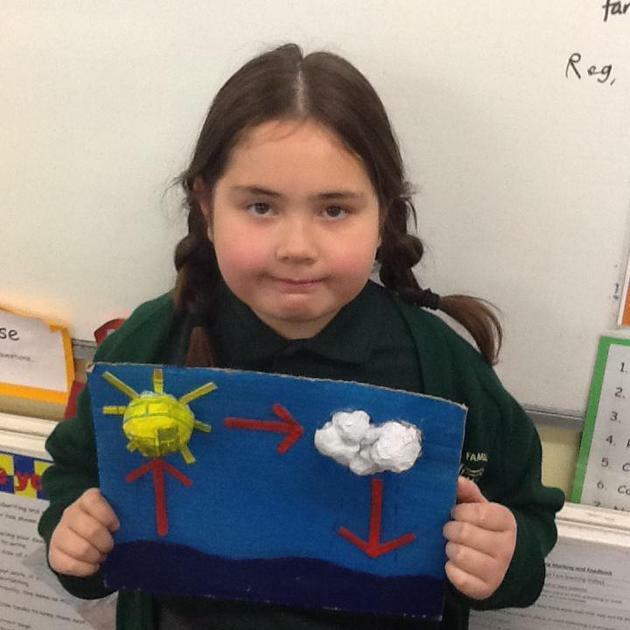 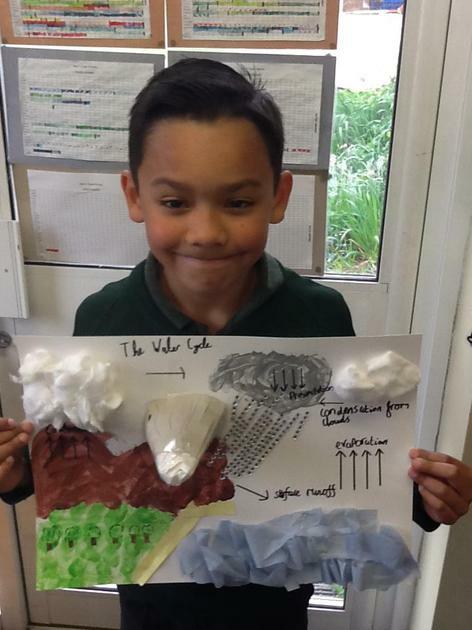 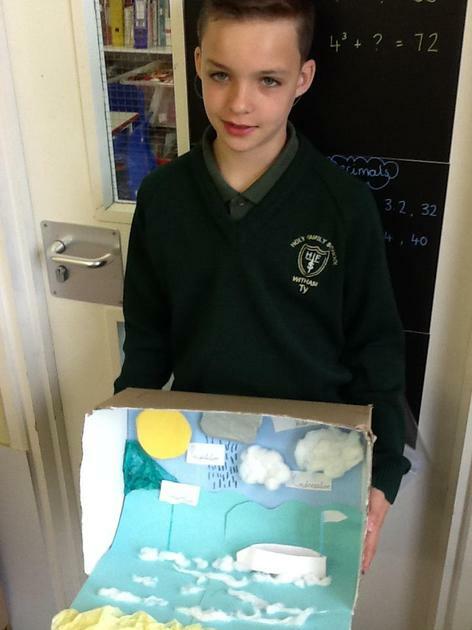 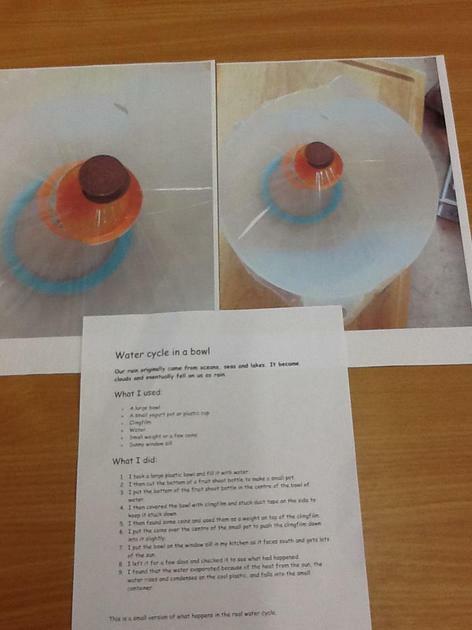 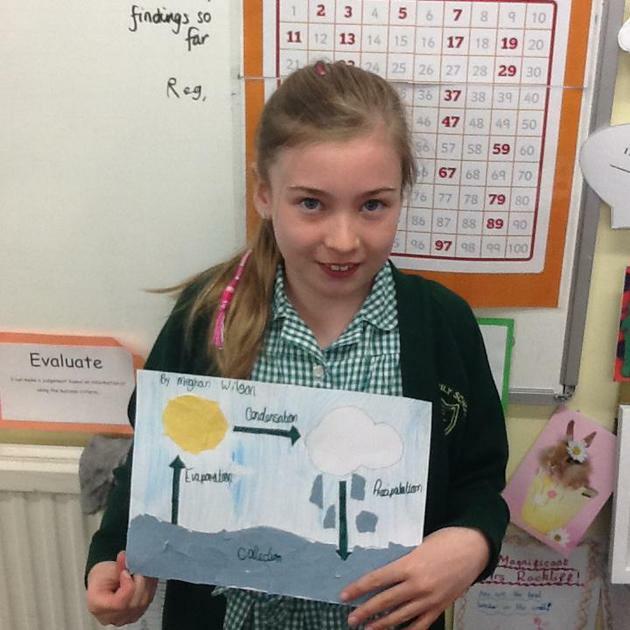 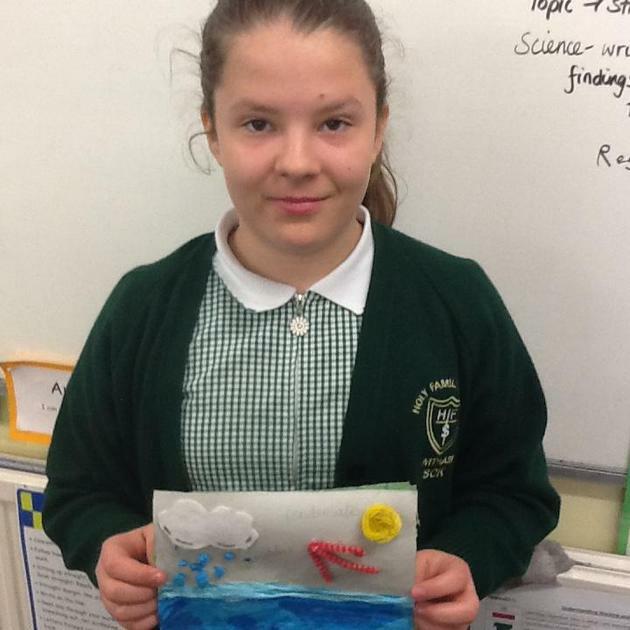 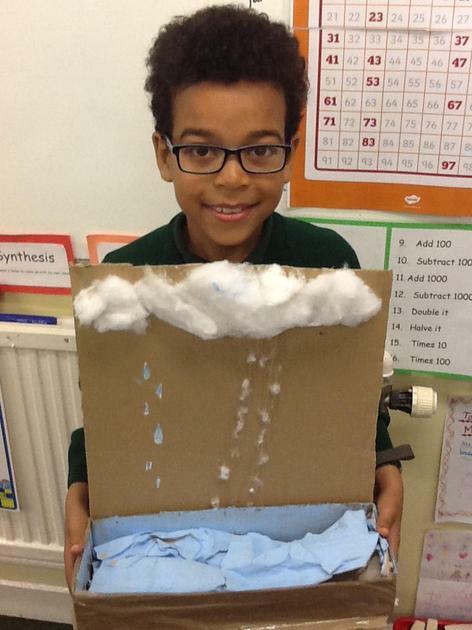 Class Project on the Water Cycle. 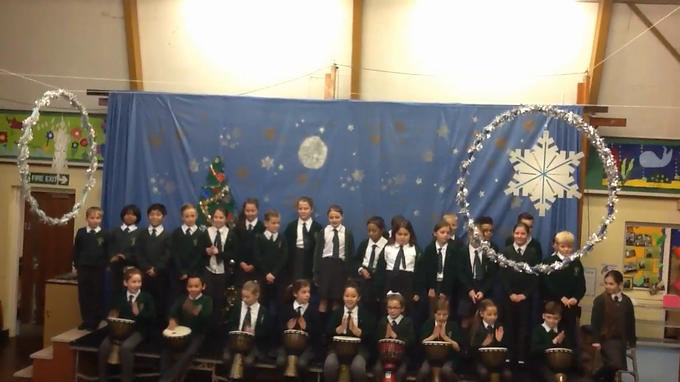 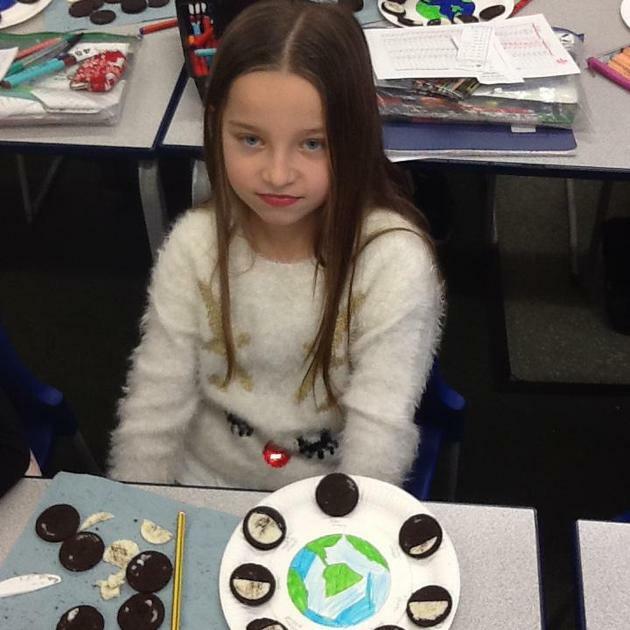 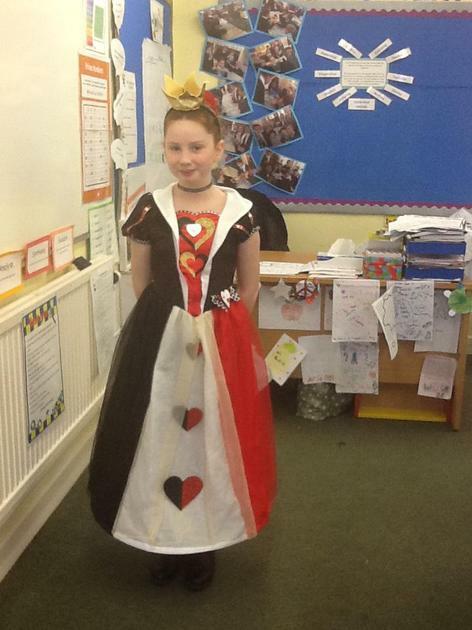 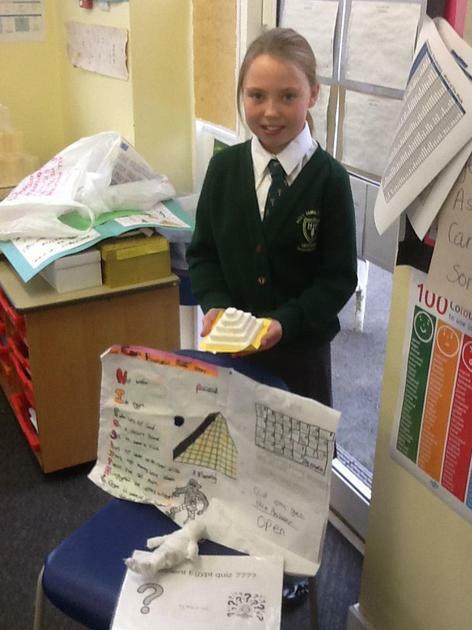 Well done - you have all worked so hard on these. 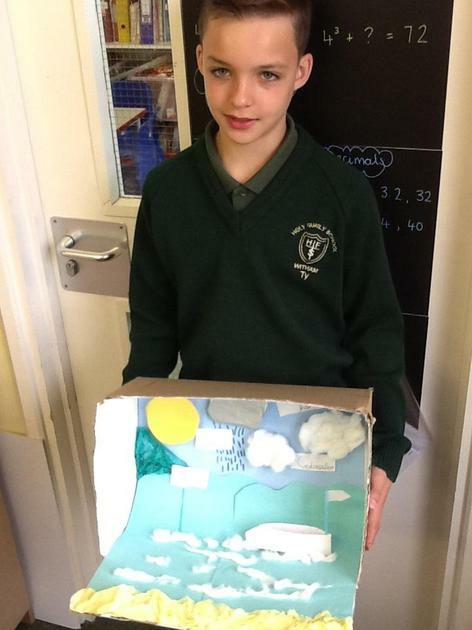 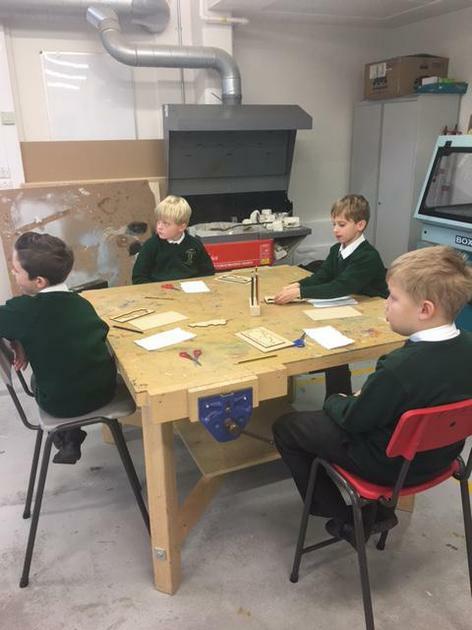 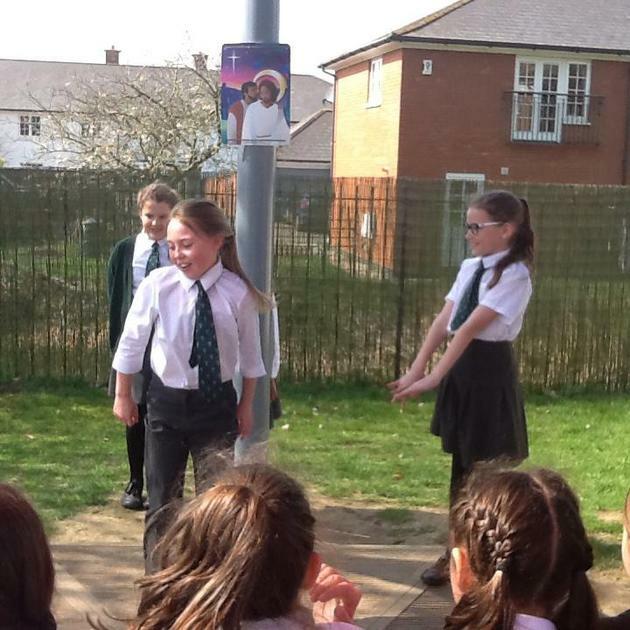 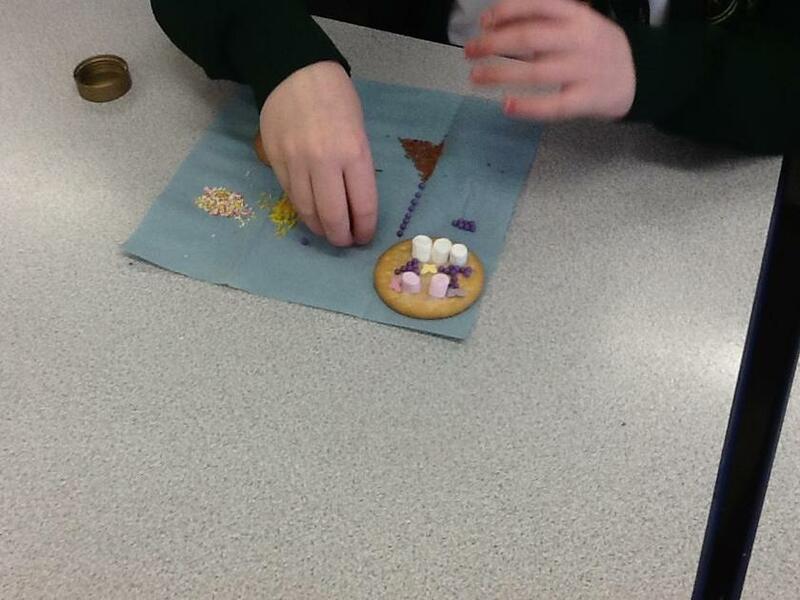 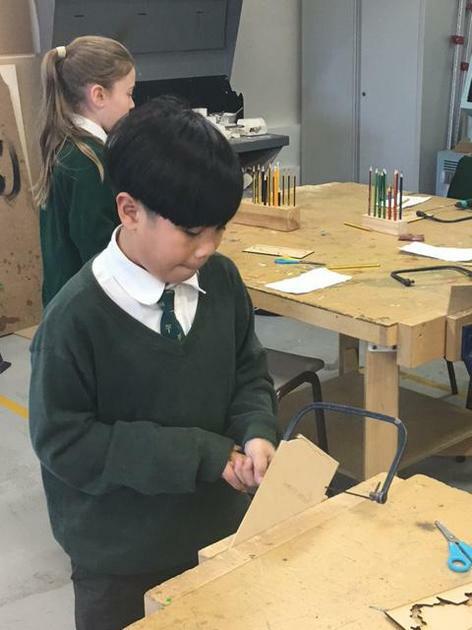 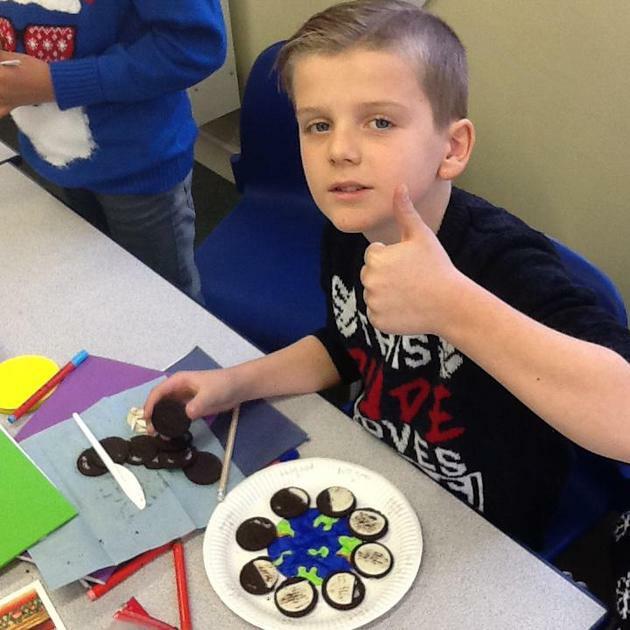 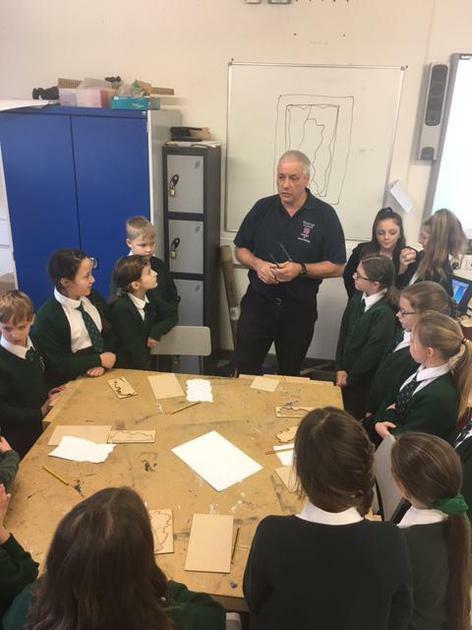 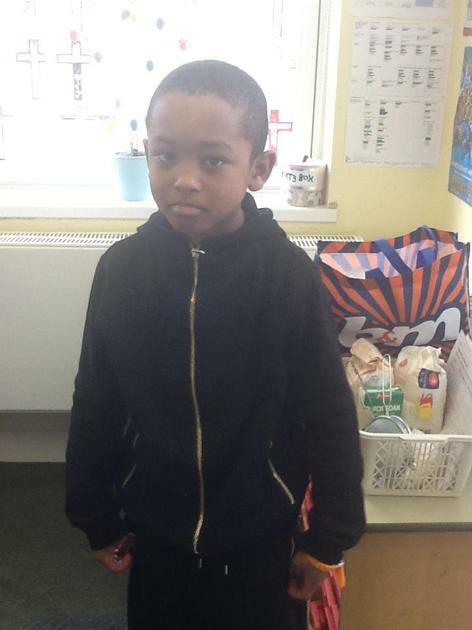 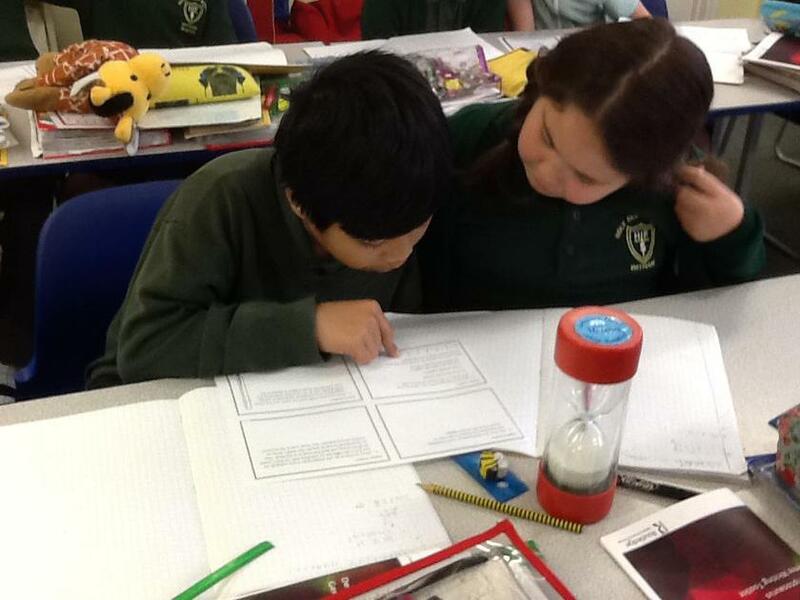 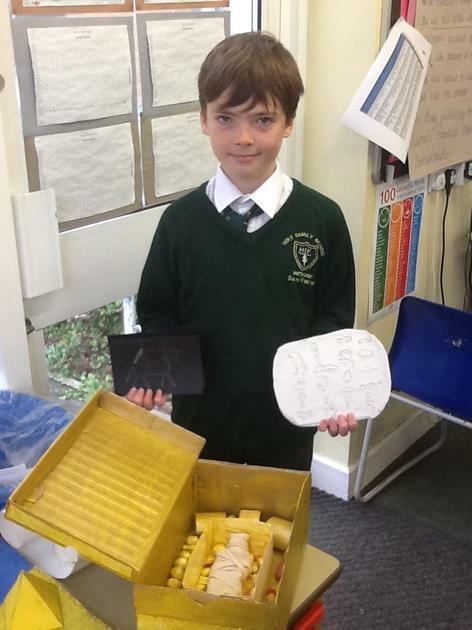 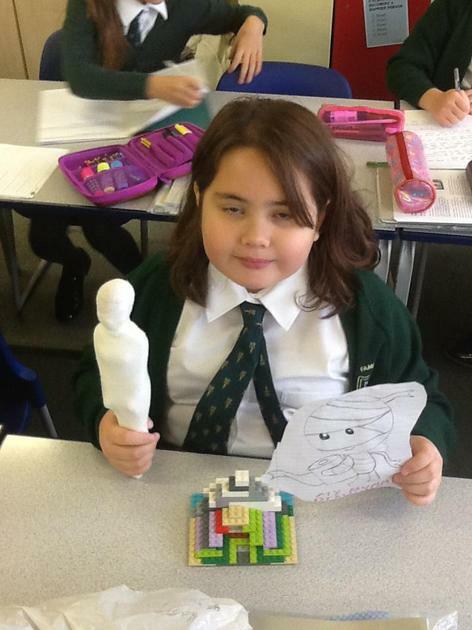 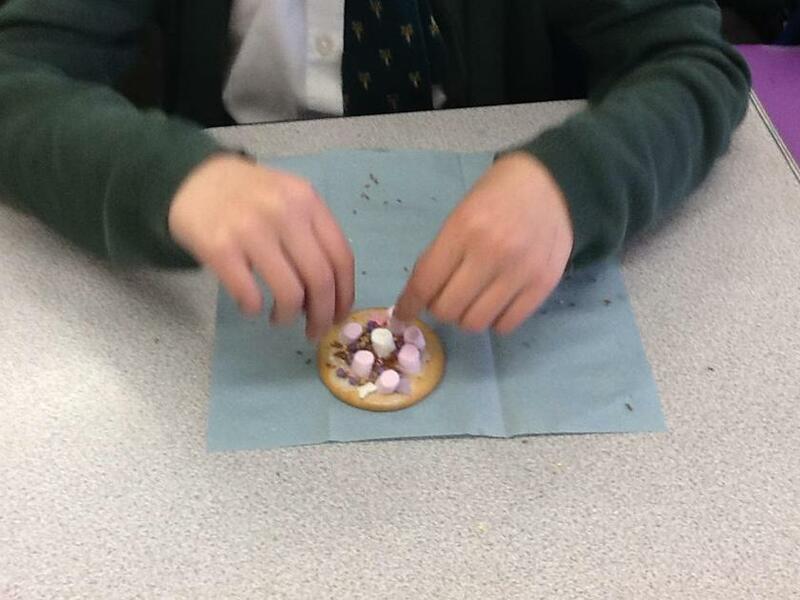 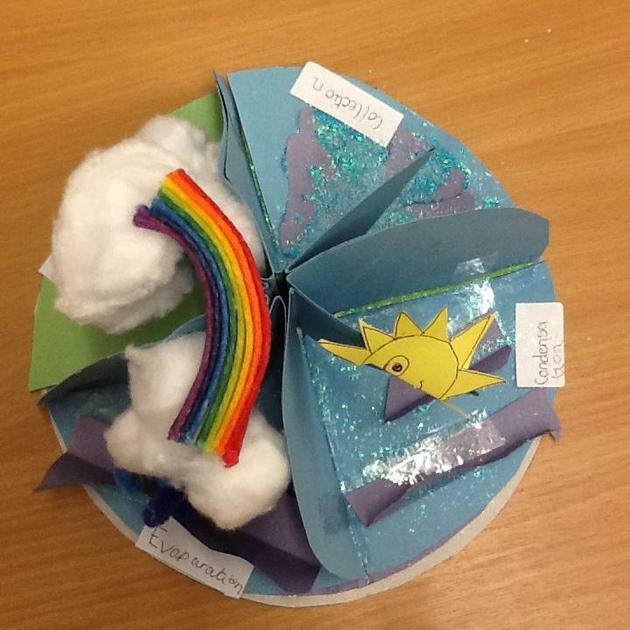 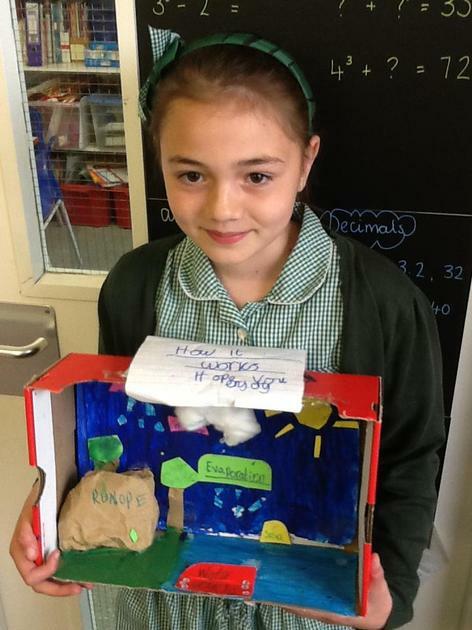 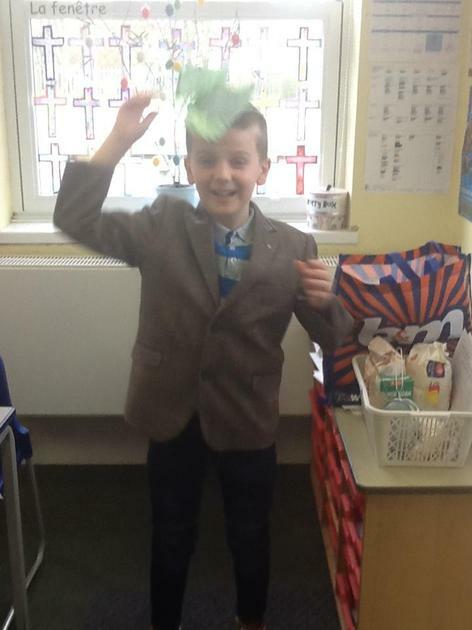 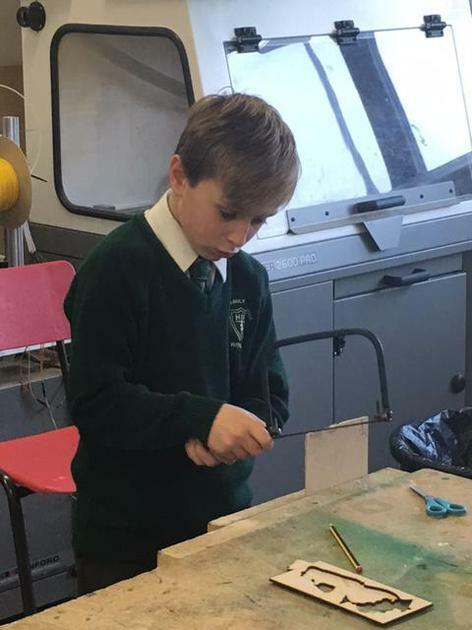 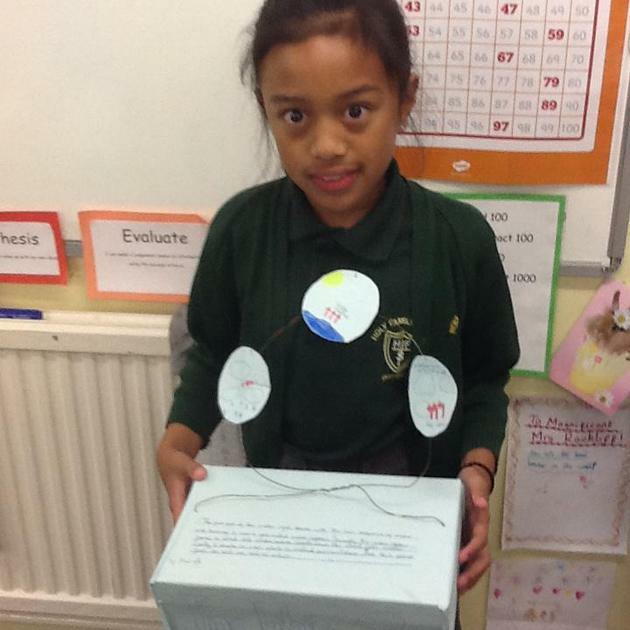 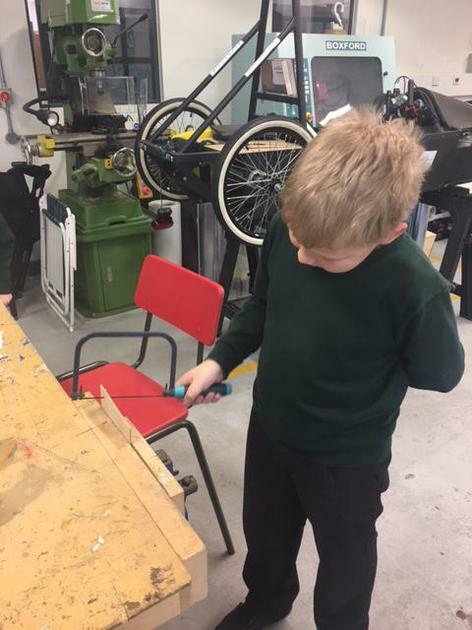 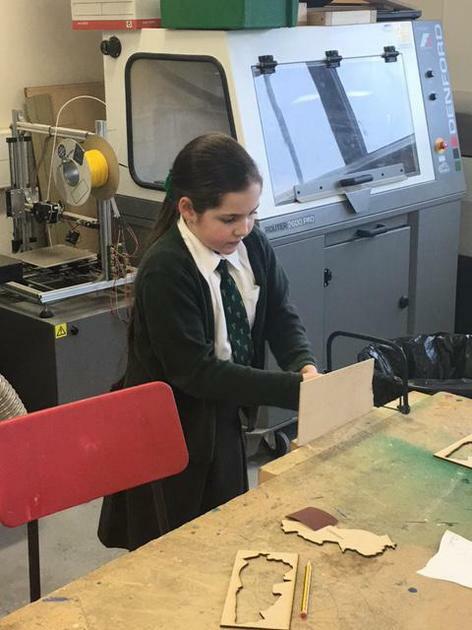 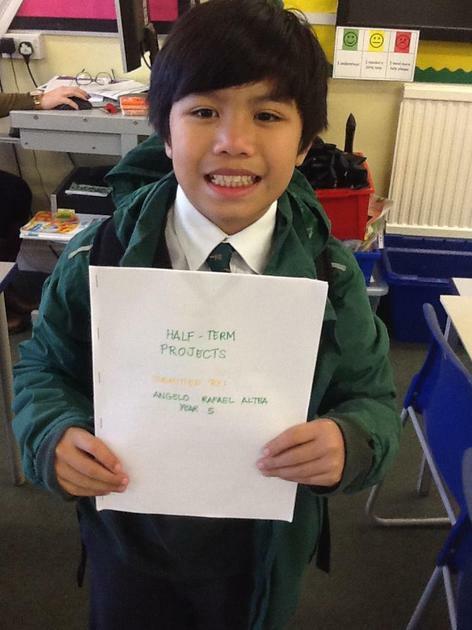 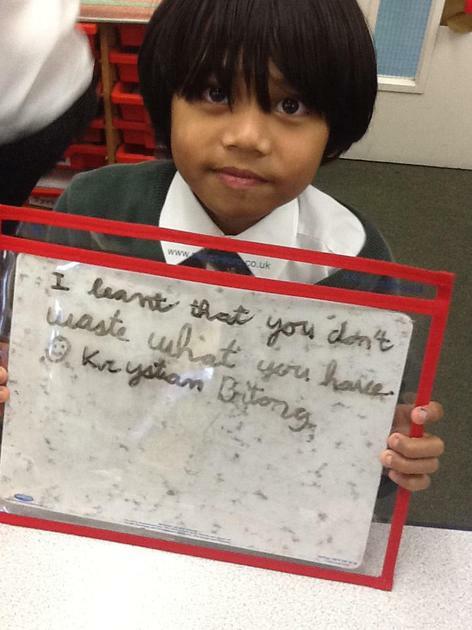 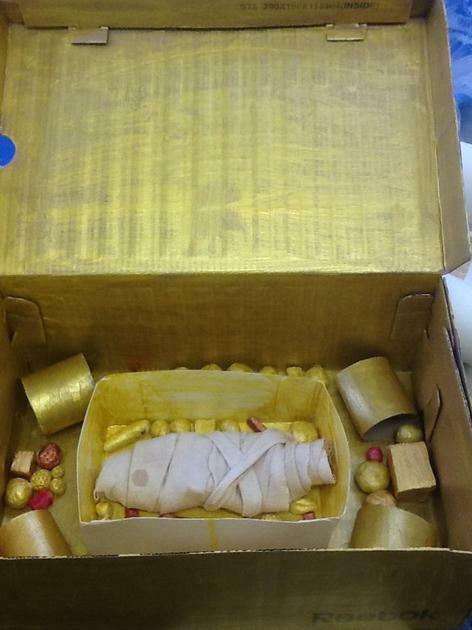 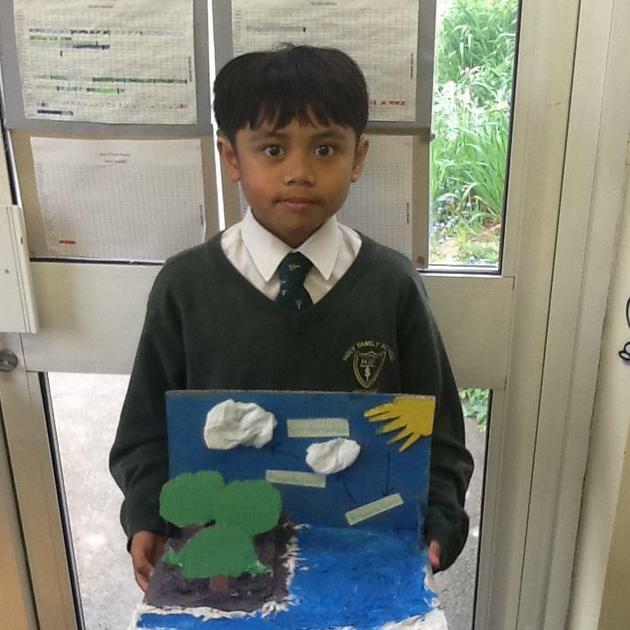 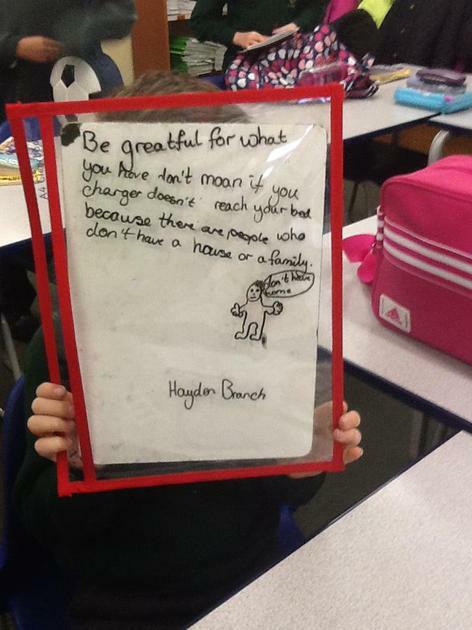 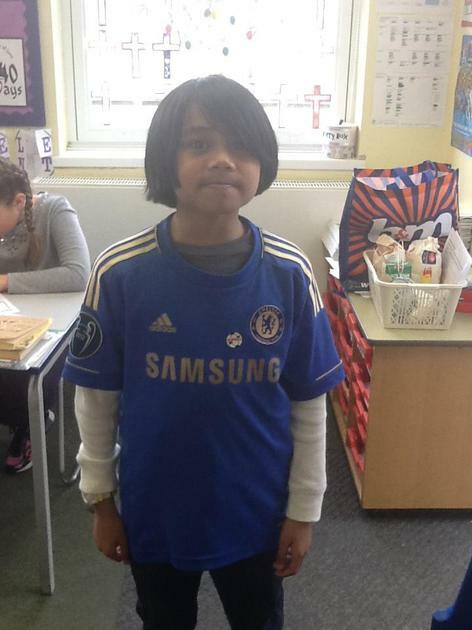 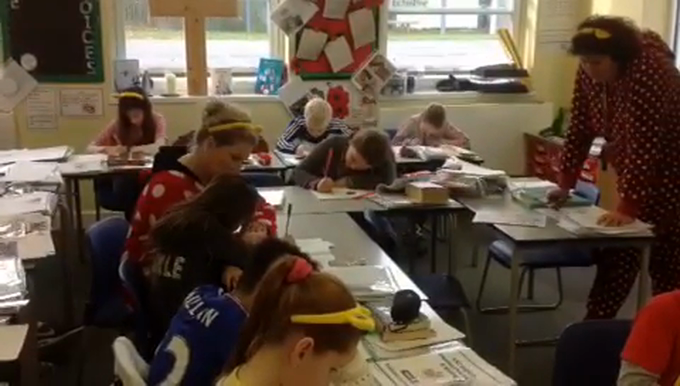 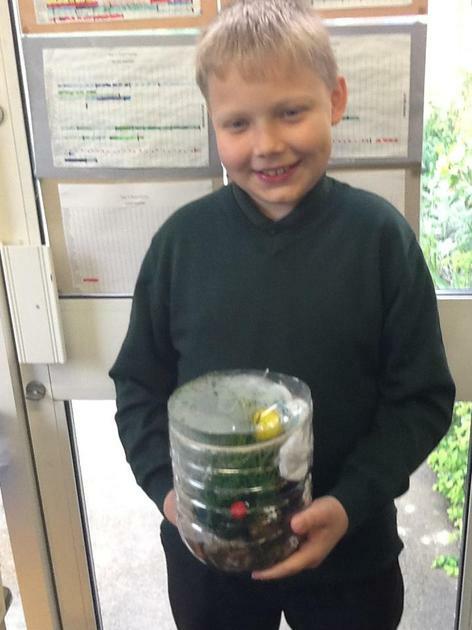 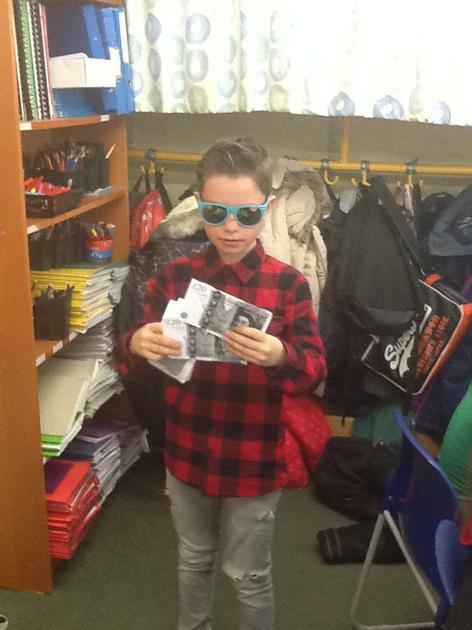 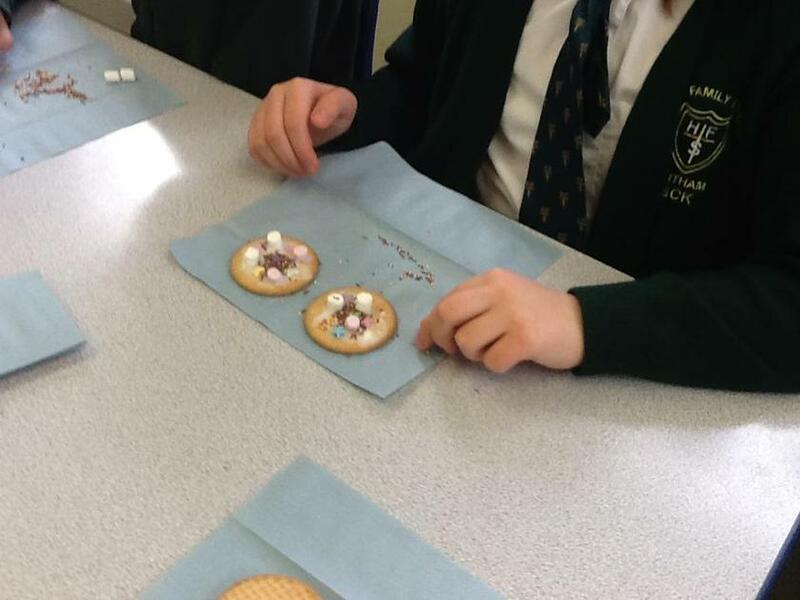 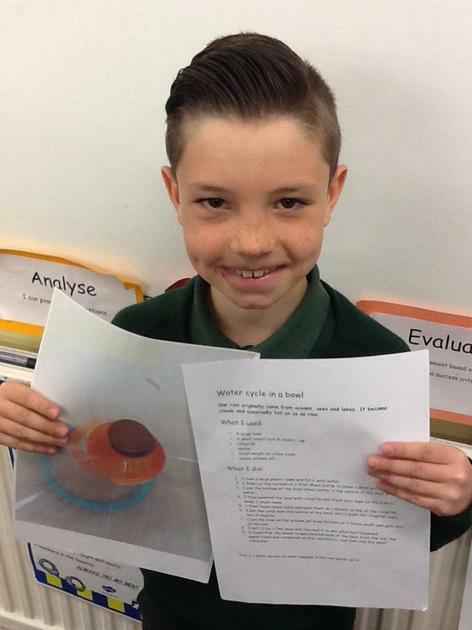 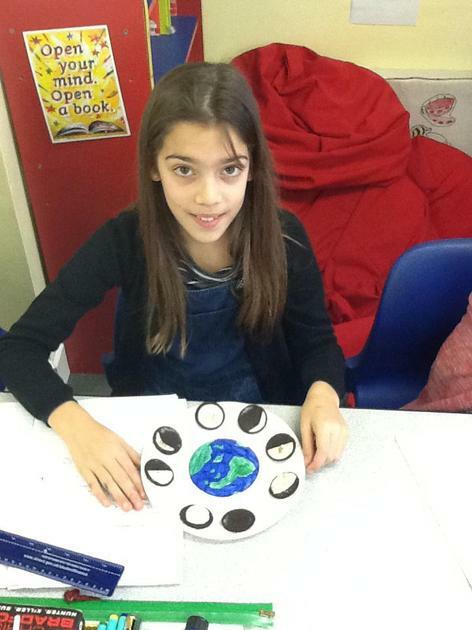 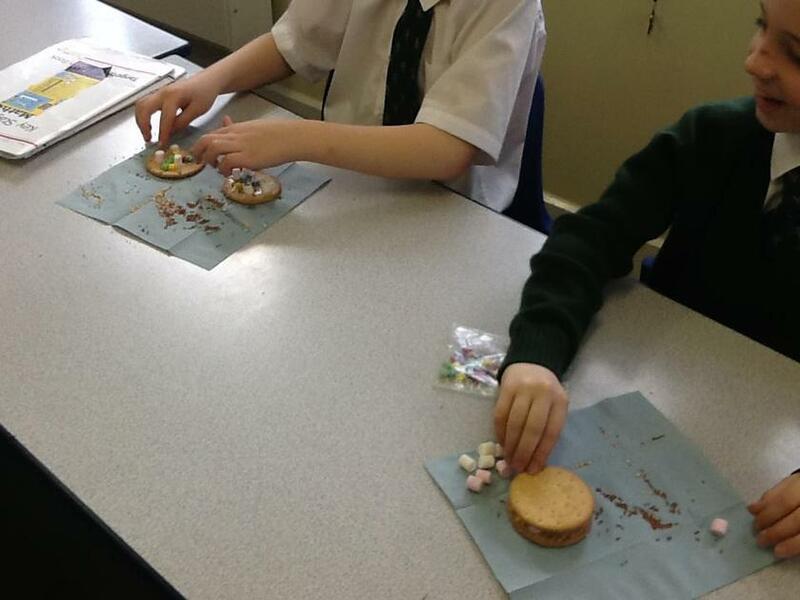 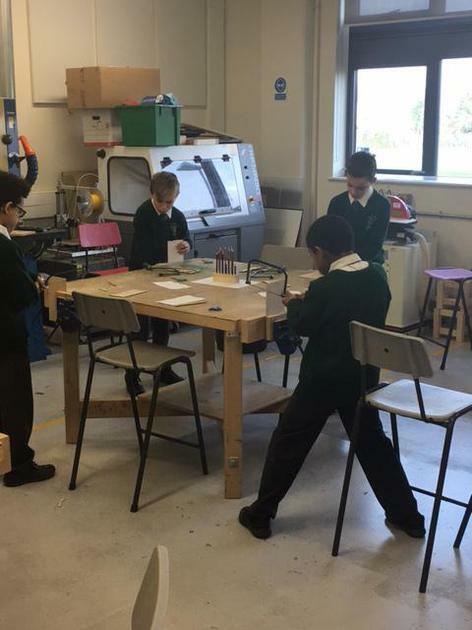 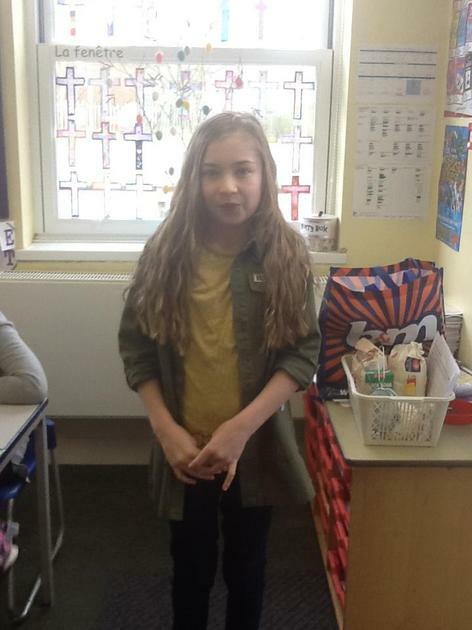 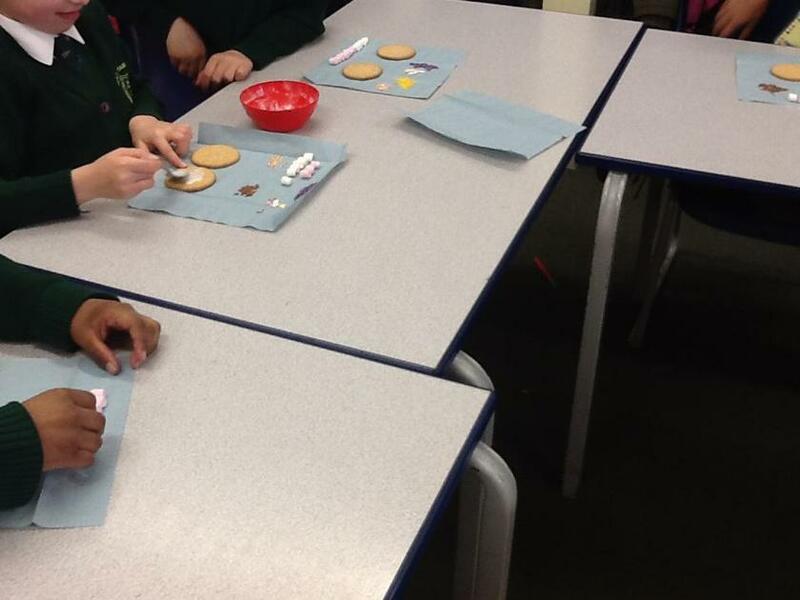 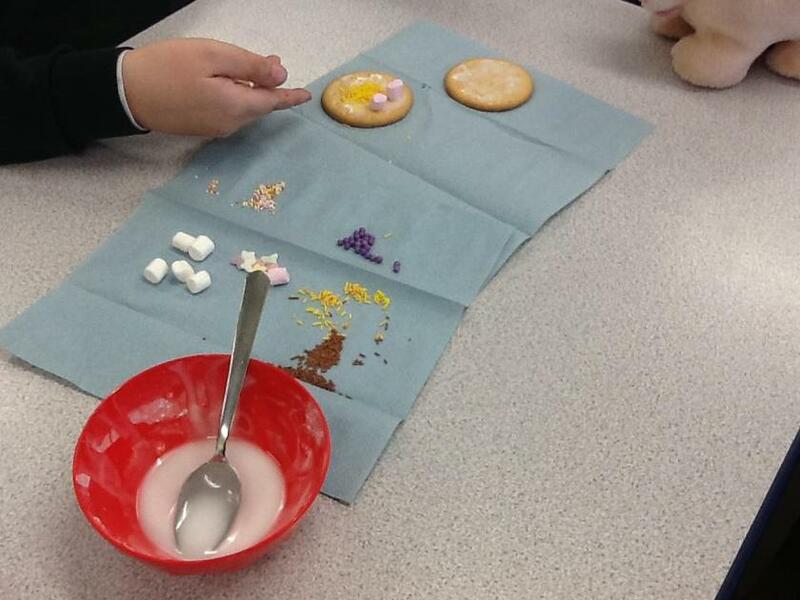 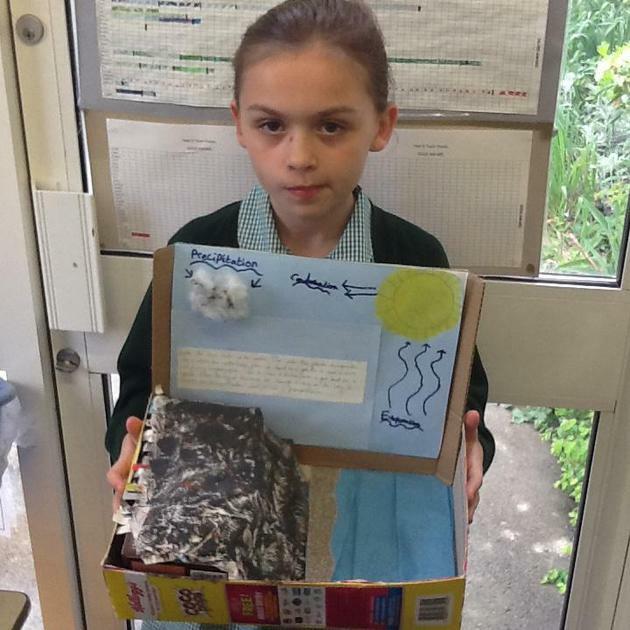 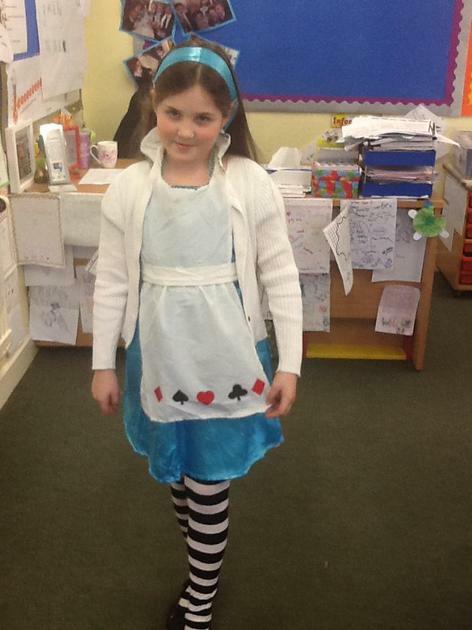 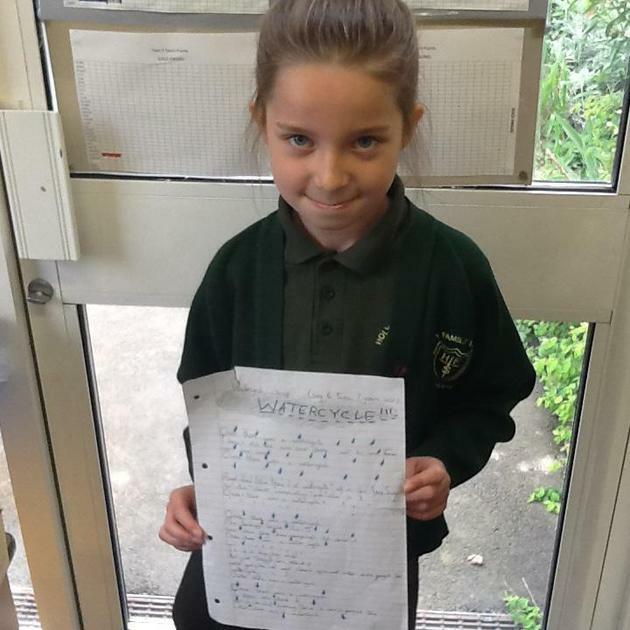 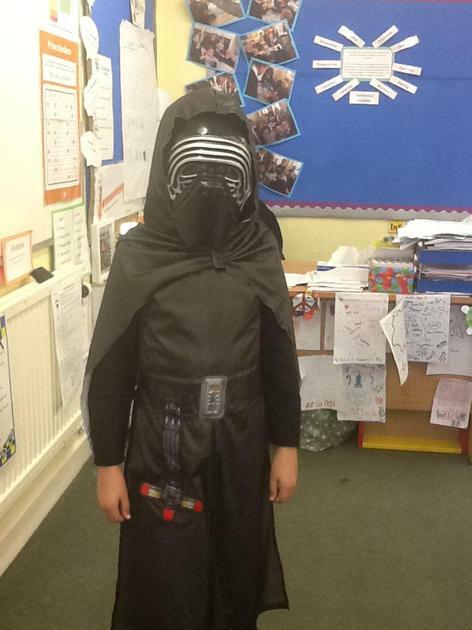 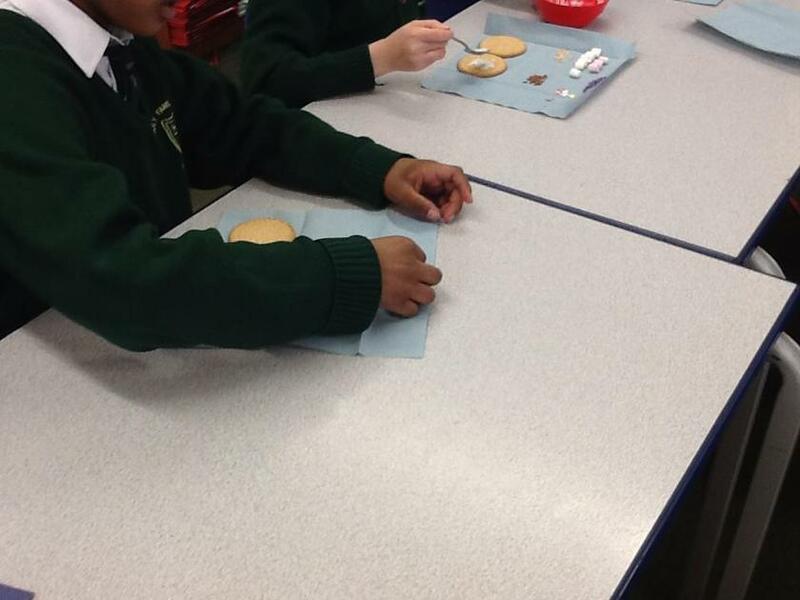 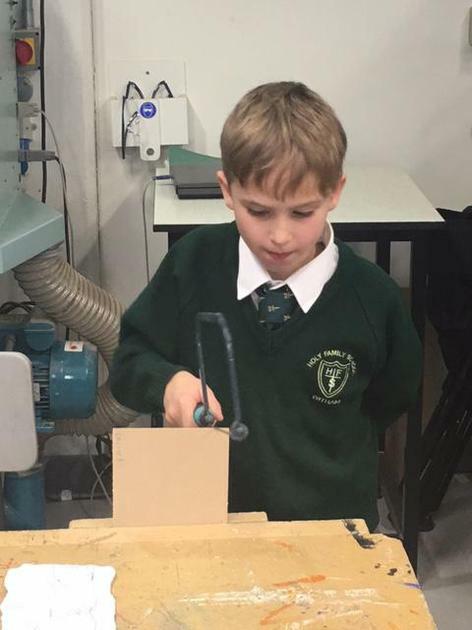 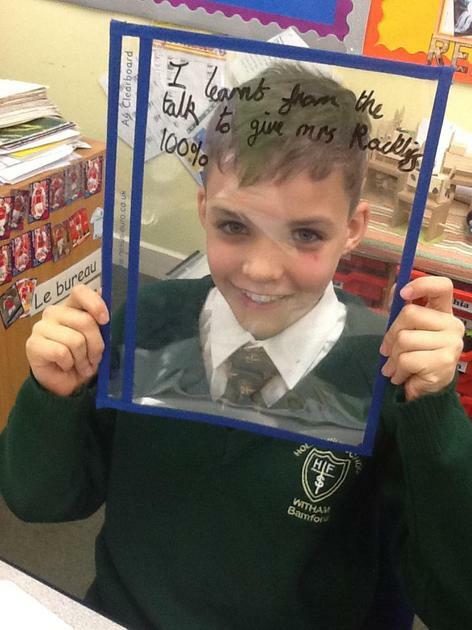 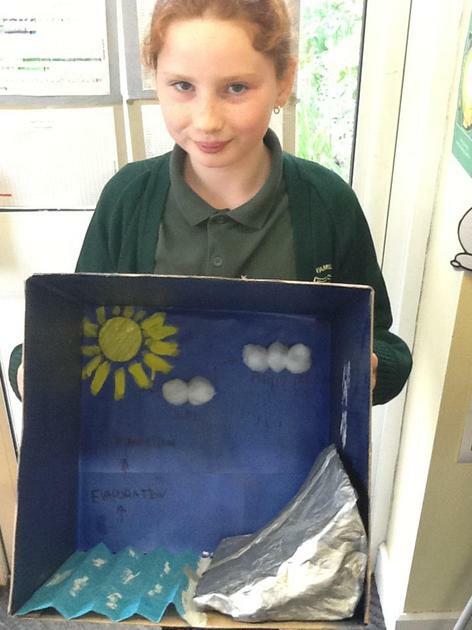 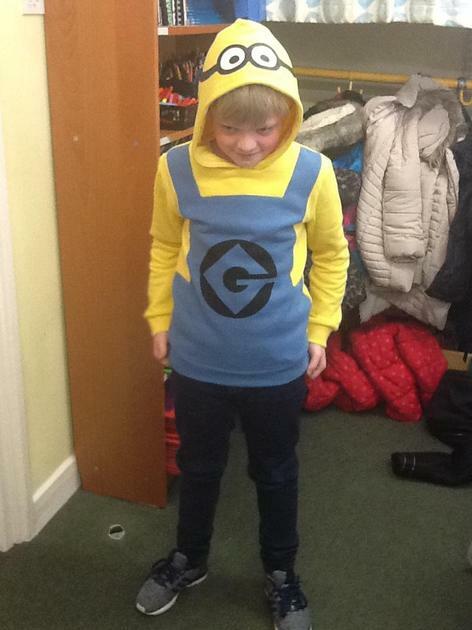 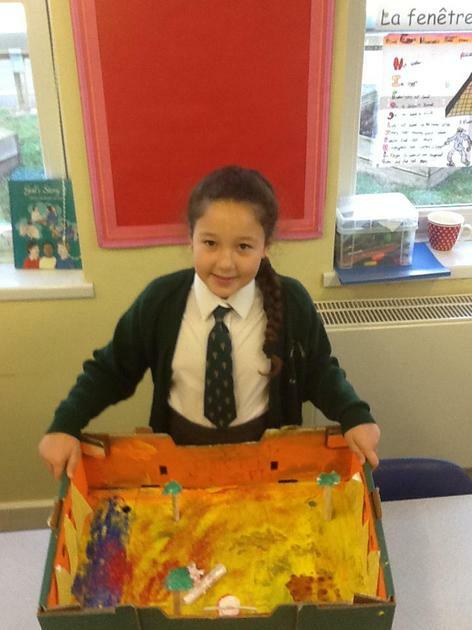 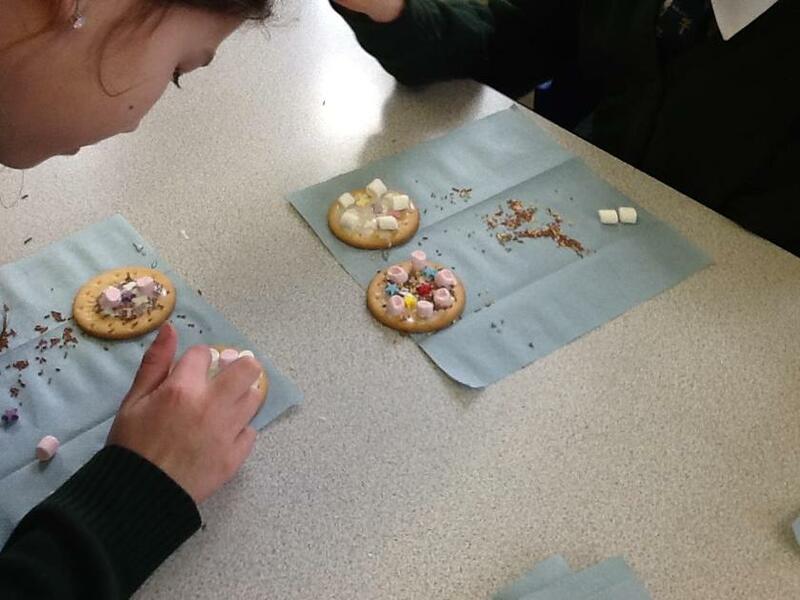 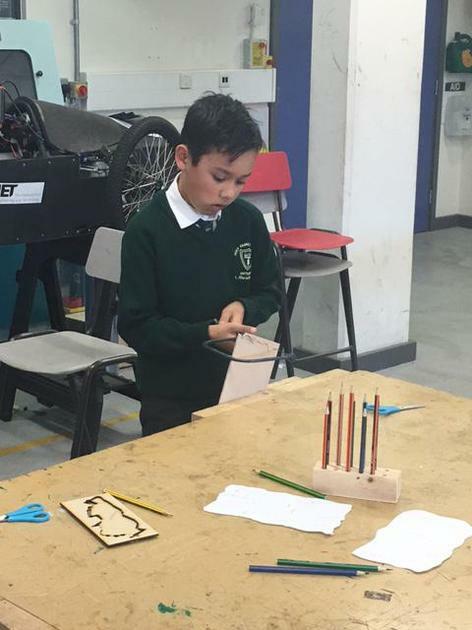 The class were given a project to work on over the Easter holidays. 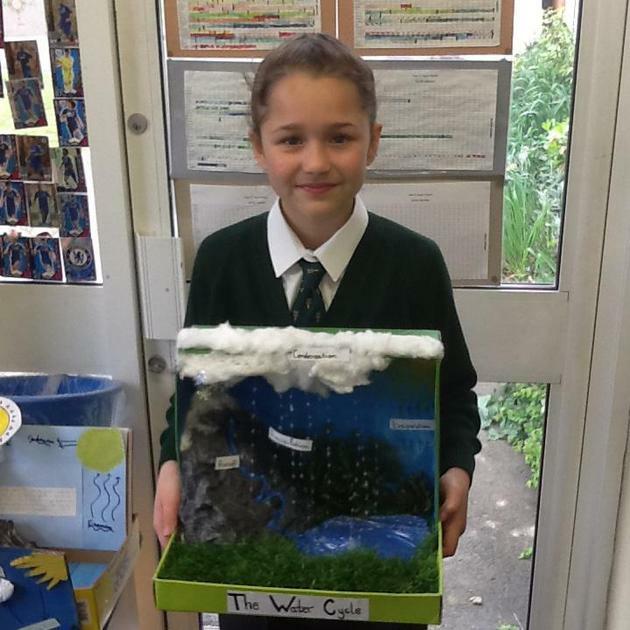 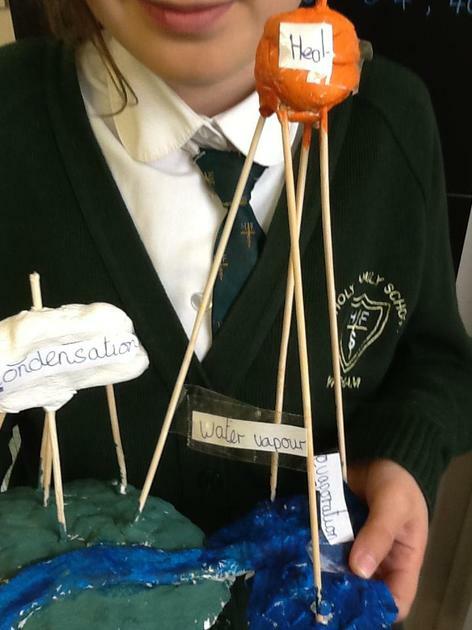 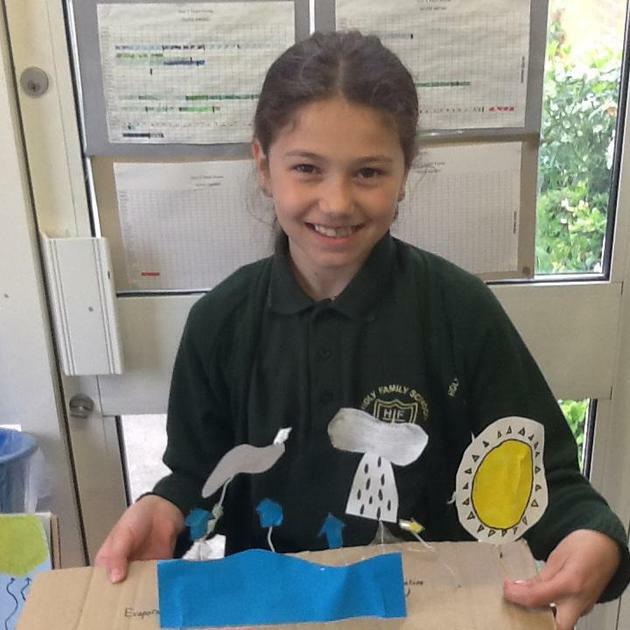 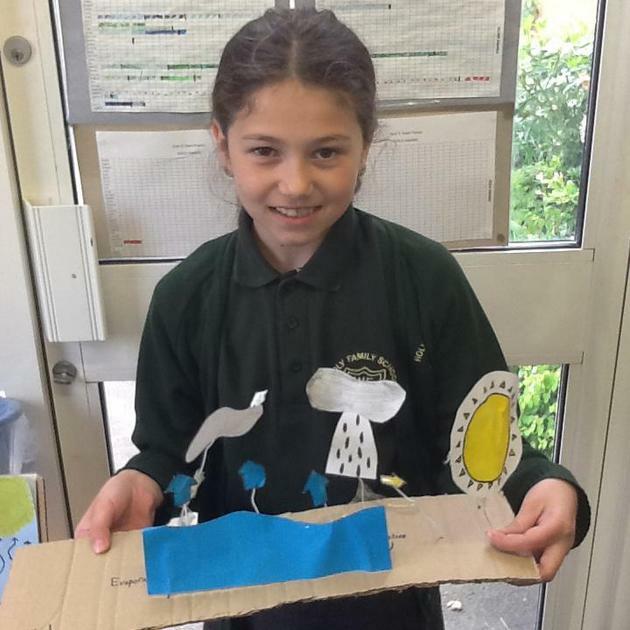 They were asked to write, draw, model or experiment with The Water Cycle to further their knowledge in this area for science. 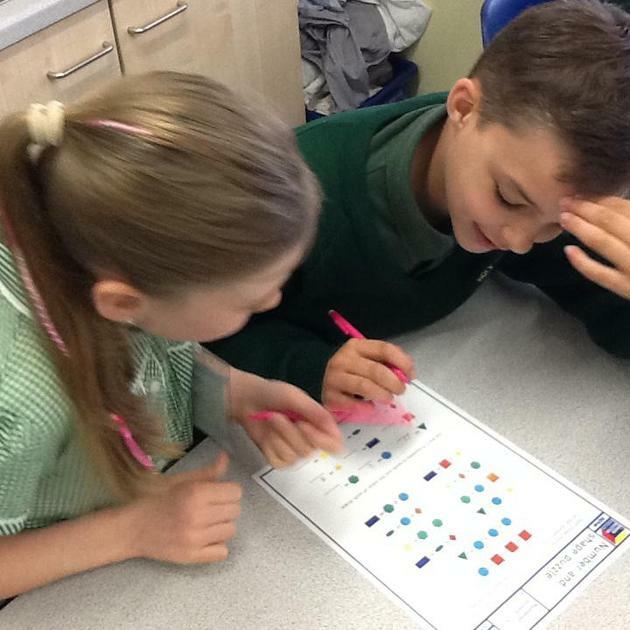 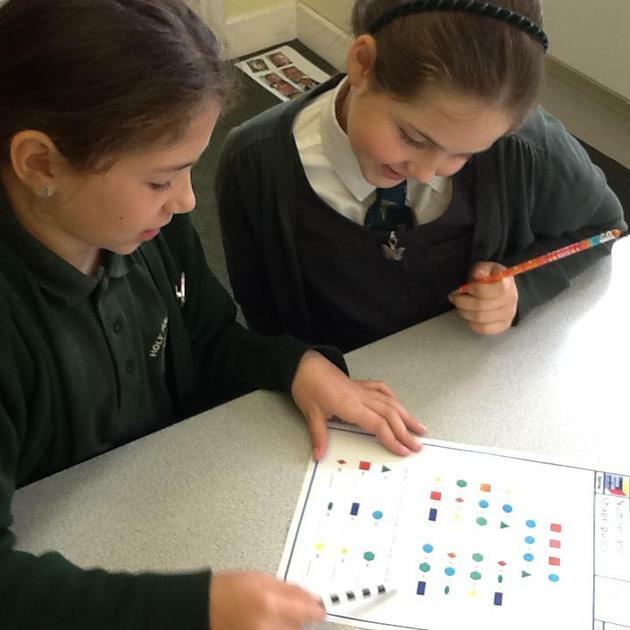 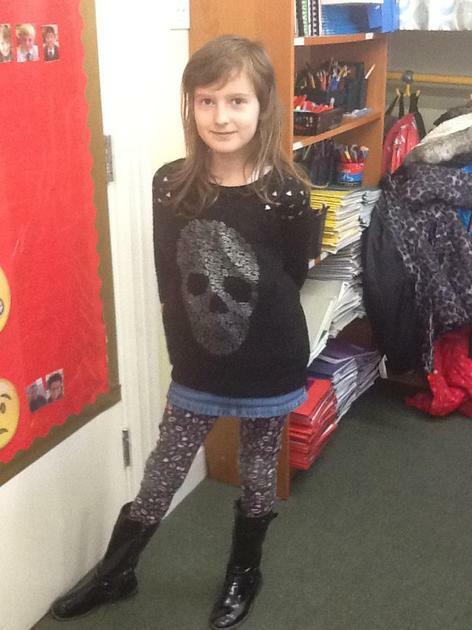 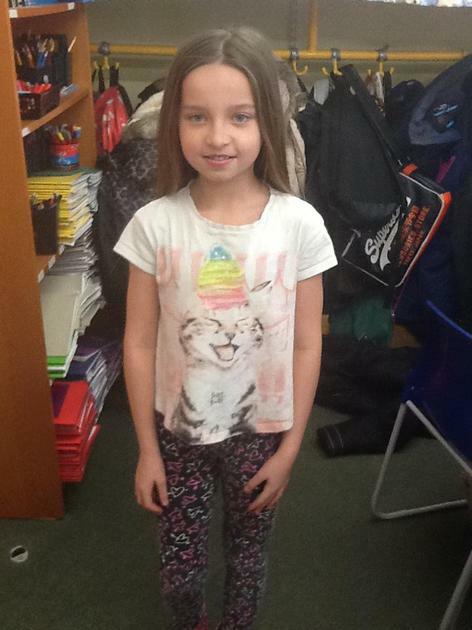 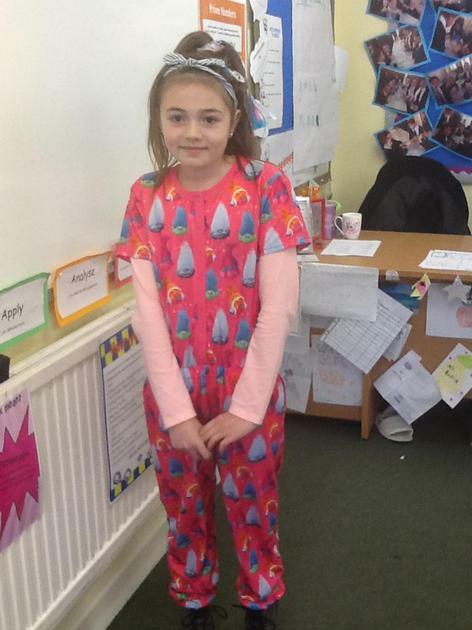 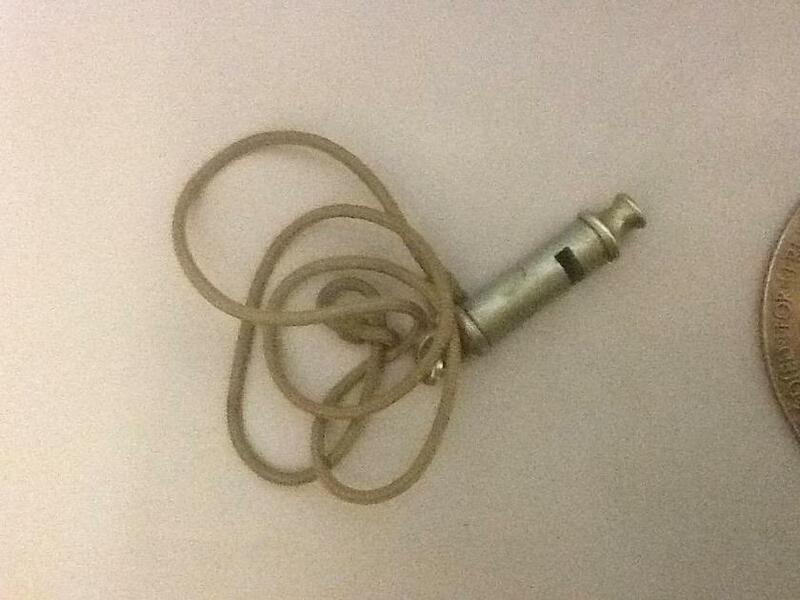 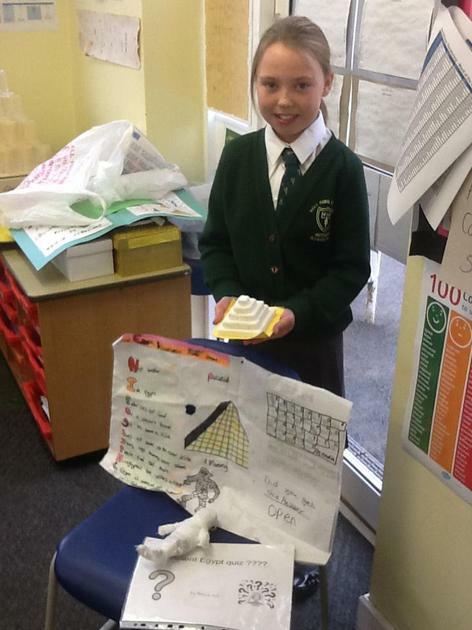 We were extremely impressed with their results! 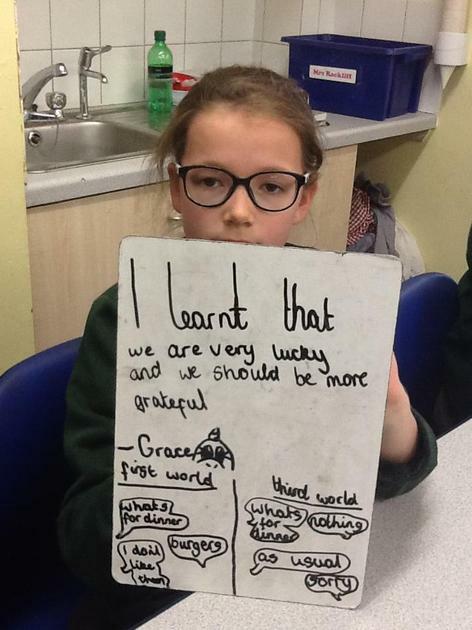 Today we has a Class Worship. 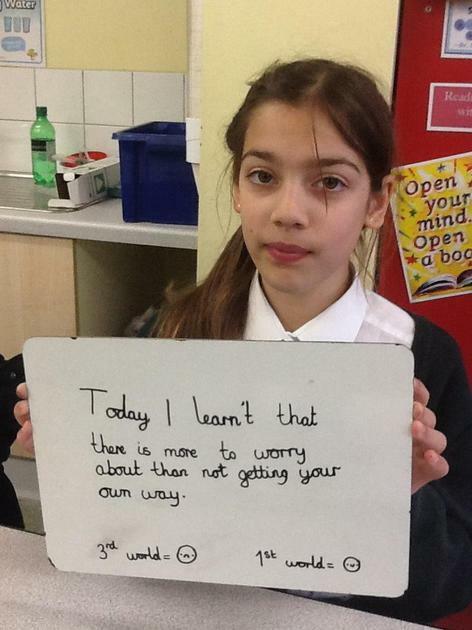 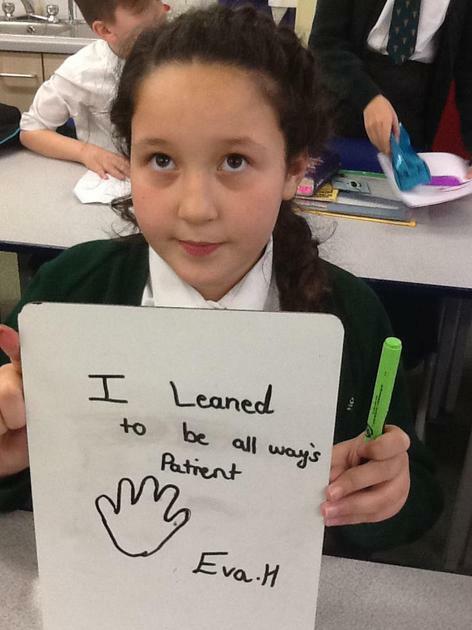 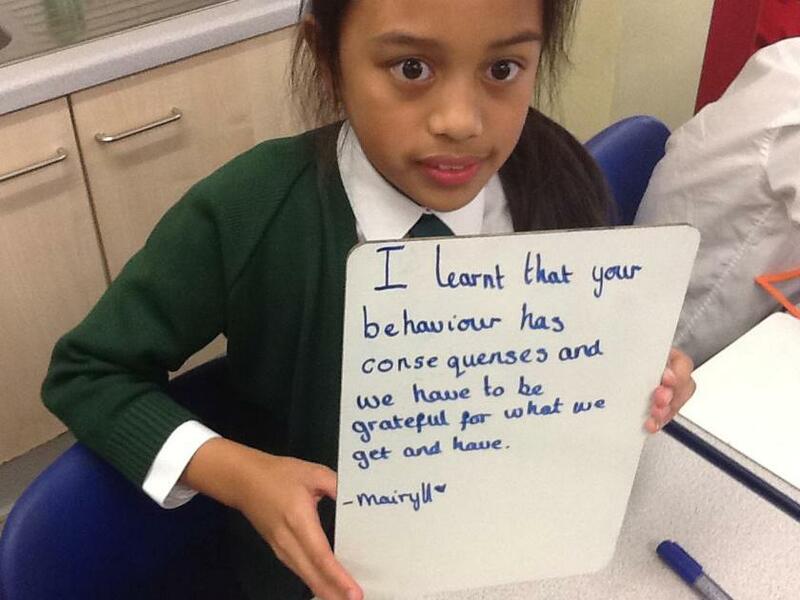 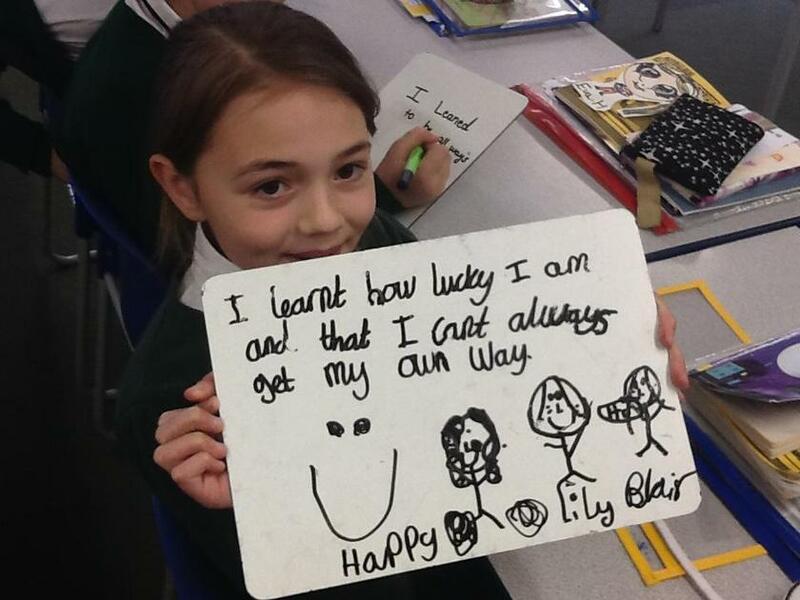 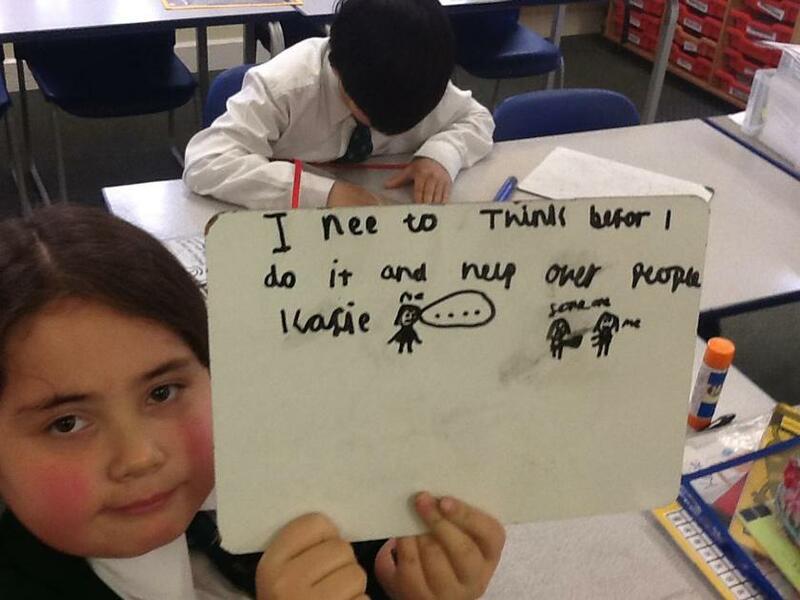 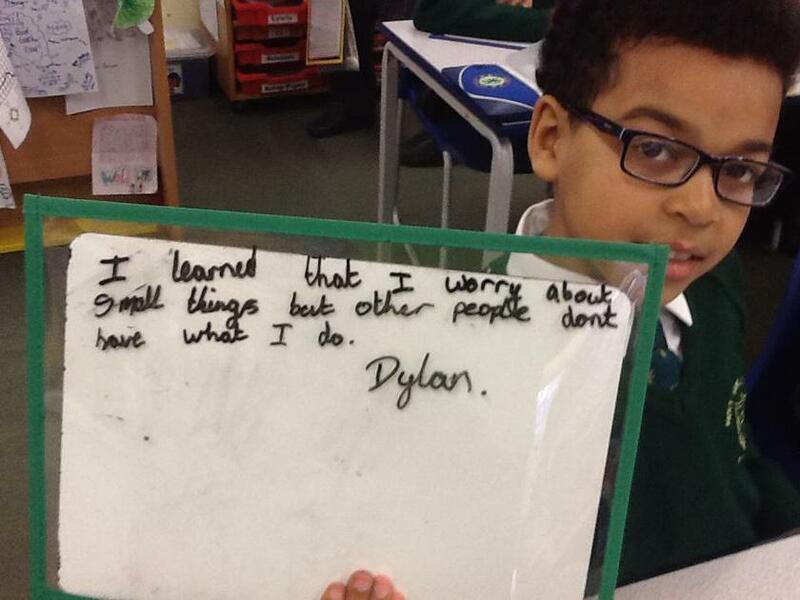 The children discussed how much they have grown and changed over the past year. 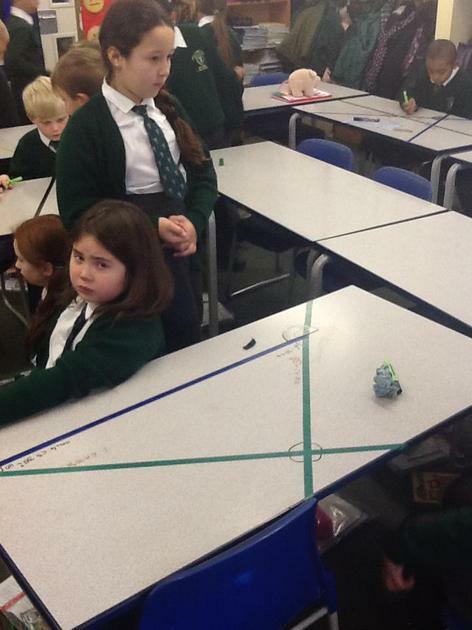 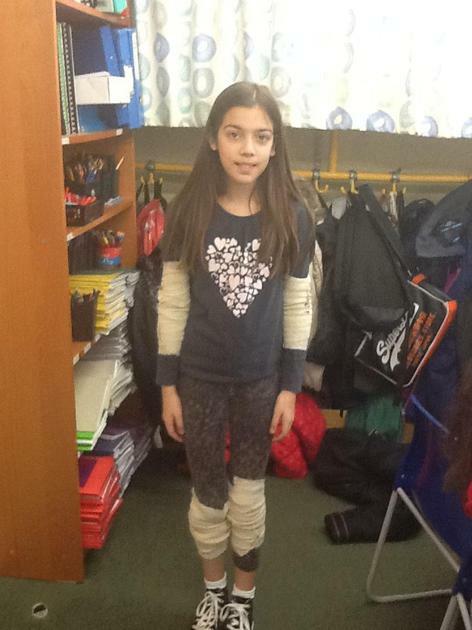 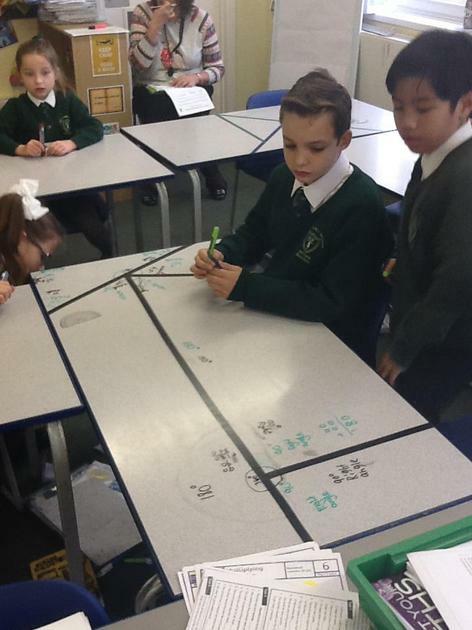 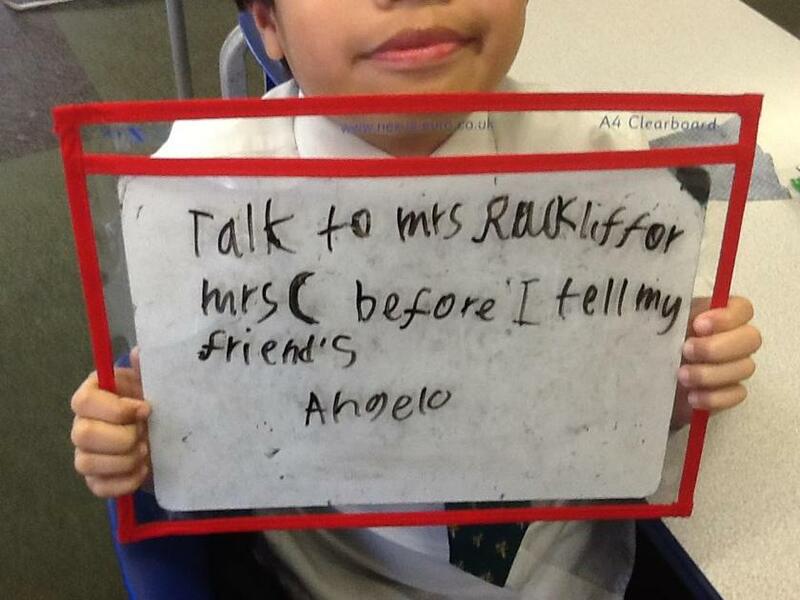 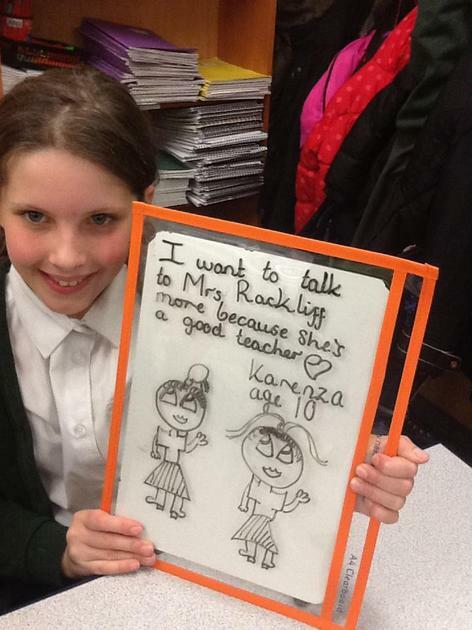 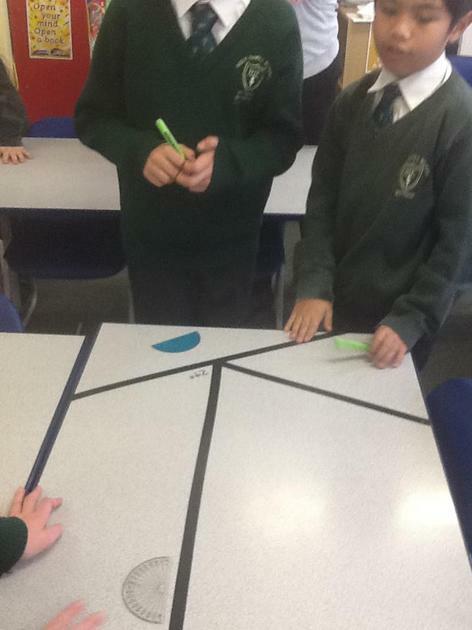 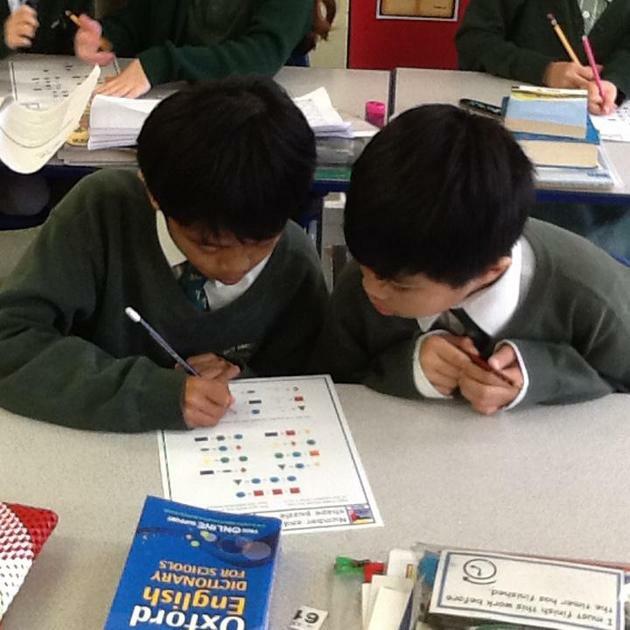 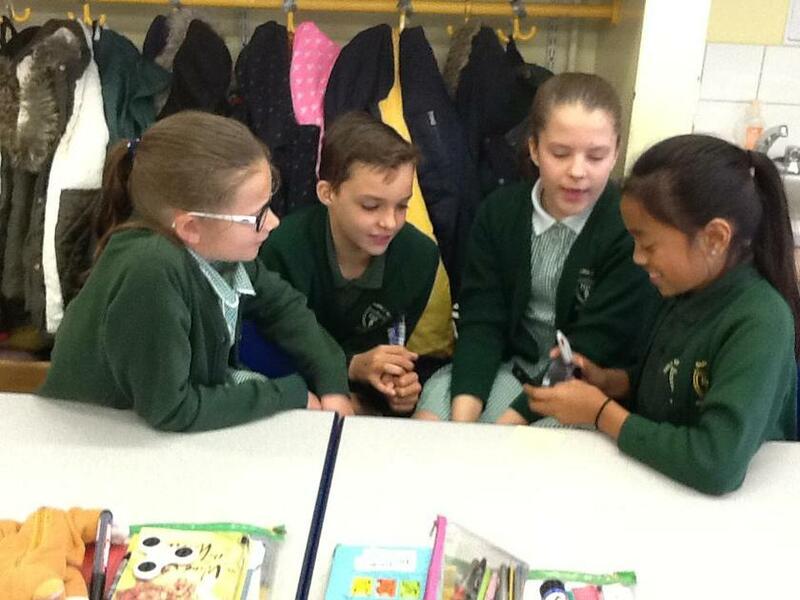 We all discussed how lovely the class is and how helpful to each other they are. 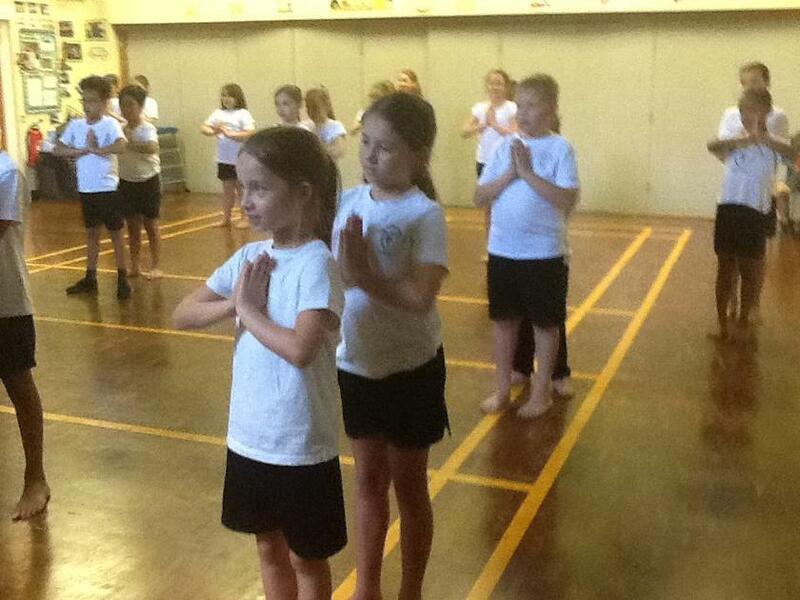 Then the children said a prayer for their own intentions. 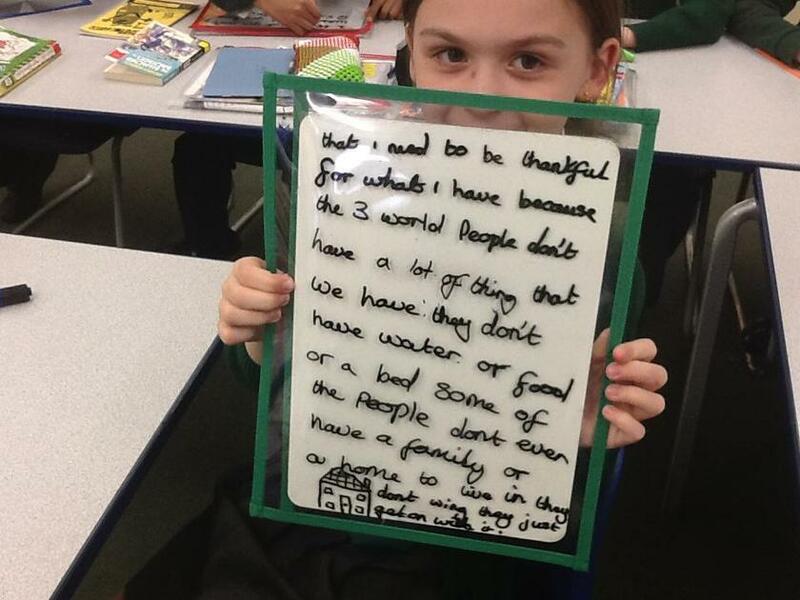 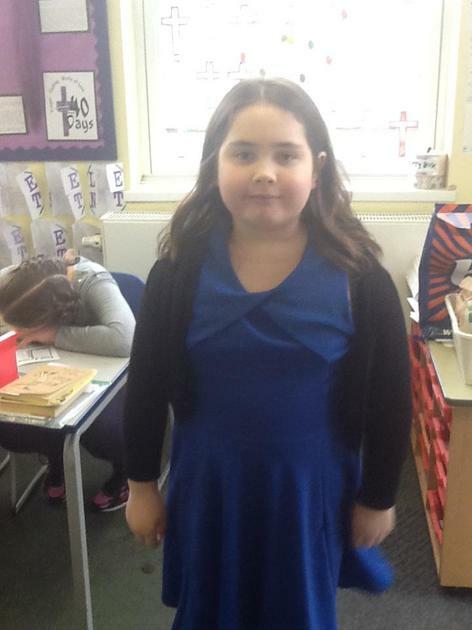 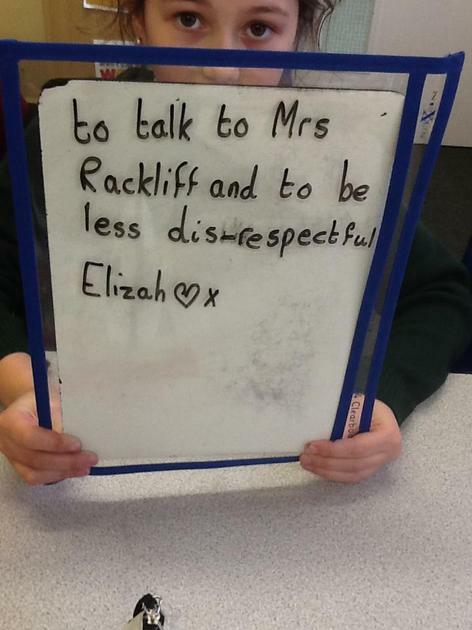 Today we had a whole class talk about how we are all one family, including Mrs Rackliff and Mrs Collett. 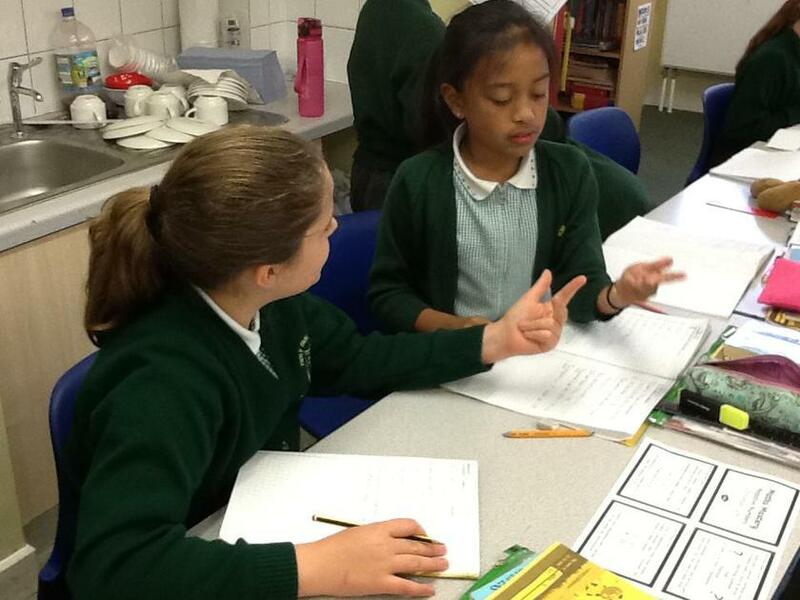 We talk about listening to each other, supporting each other and thinking talking through our problems. 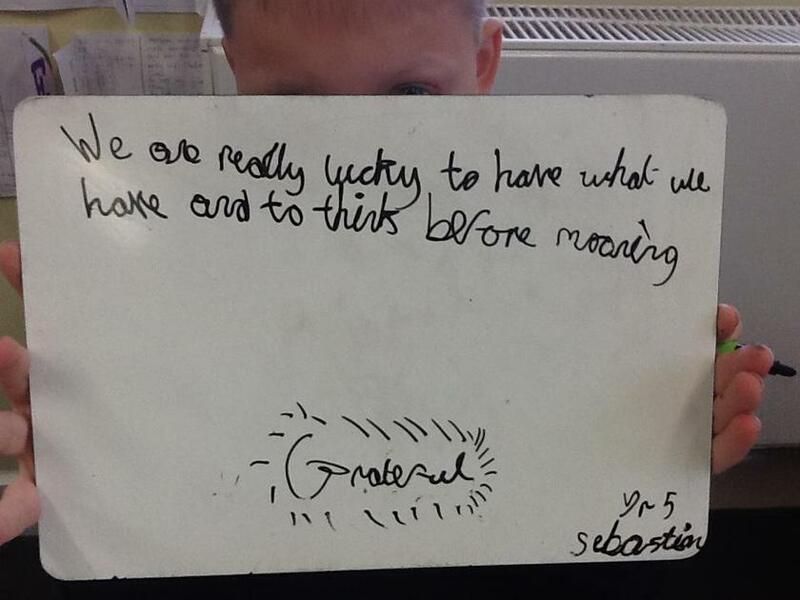 We also looked at how fortunate we are in our lives, how lucky we are to have loving and supporting families. 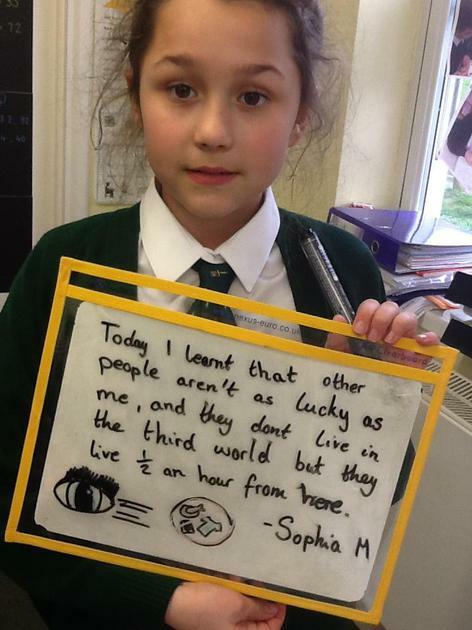 We looked at 3rd World countries and how fortunate we were to be born here. 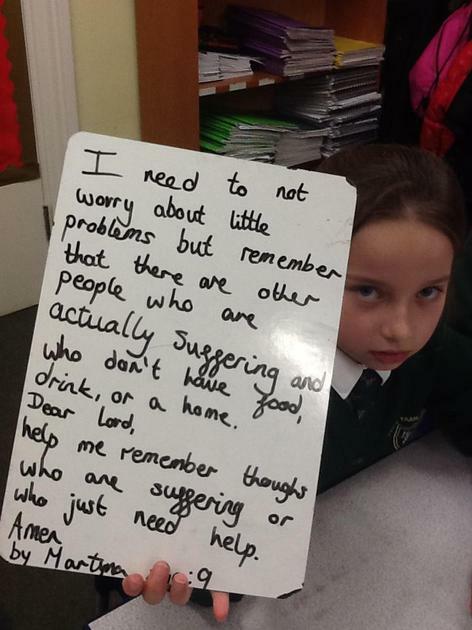 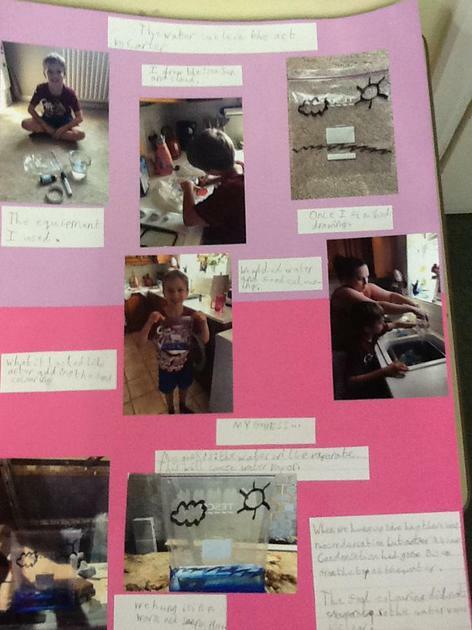 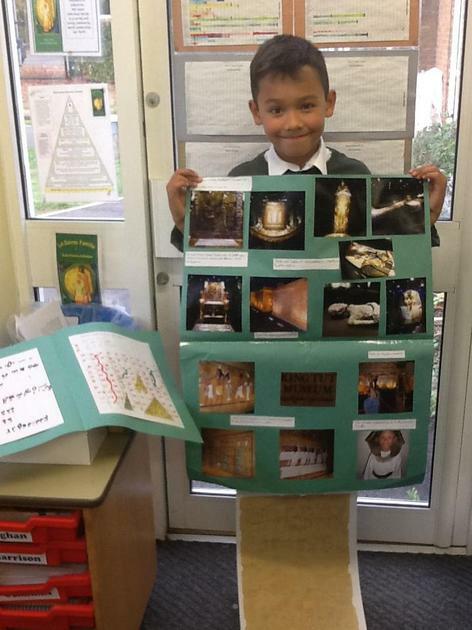 The photos above are some of the things the children took on board. 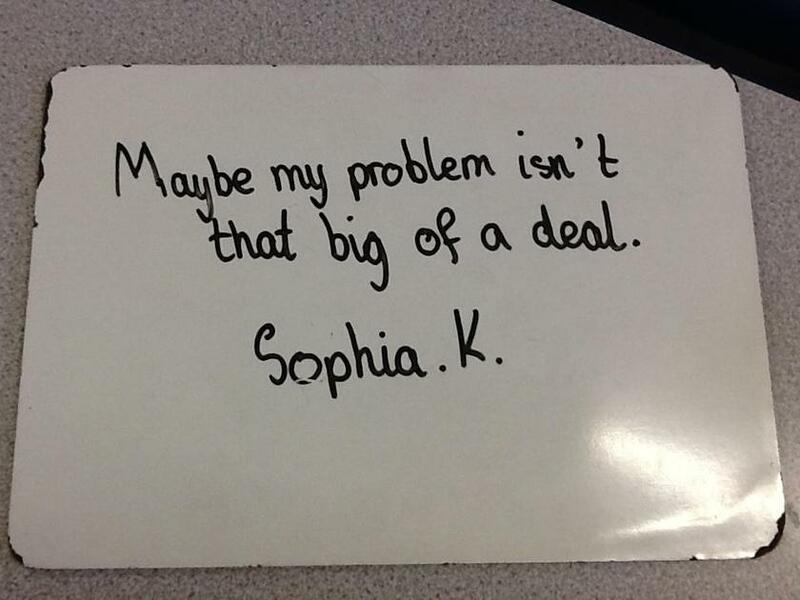 On the last Friday before spring break we had a supply teacher in. 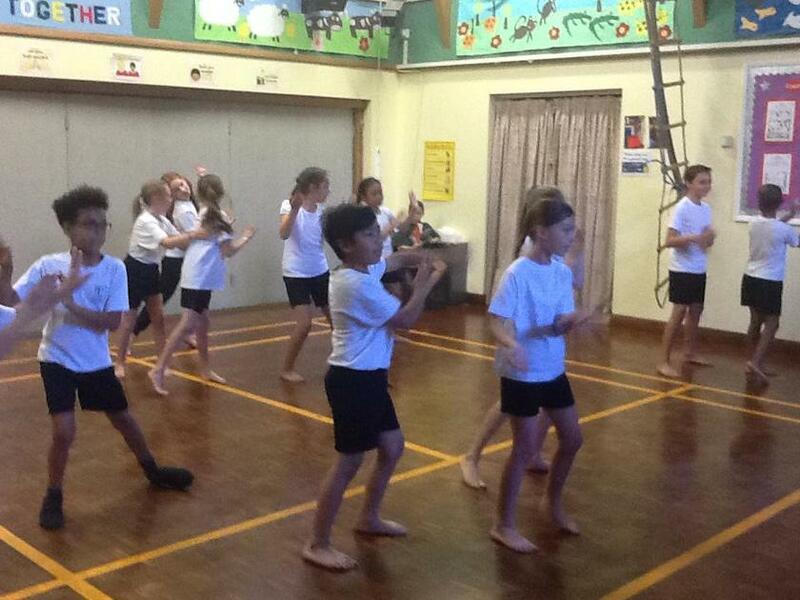 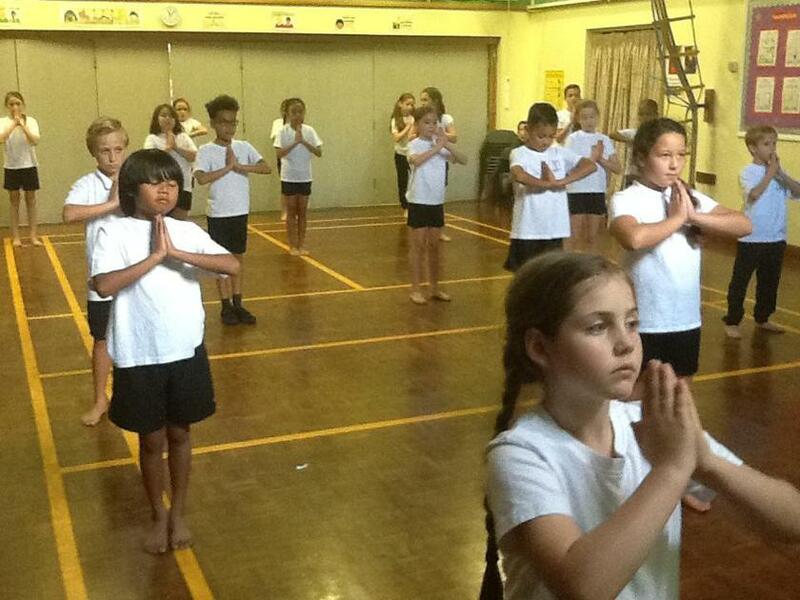 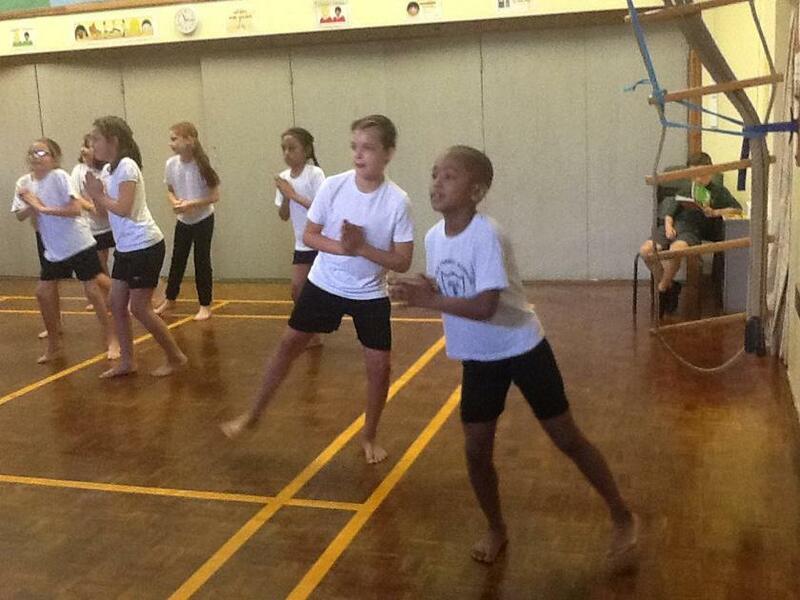 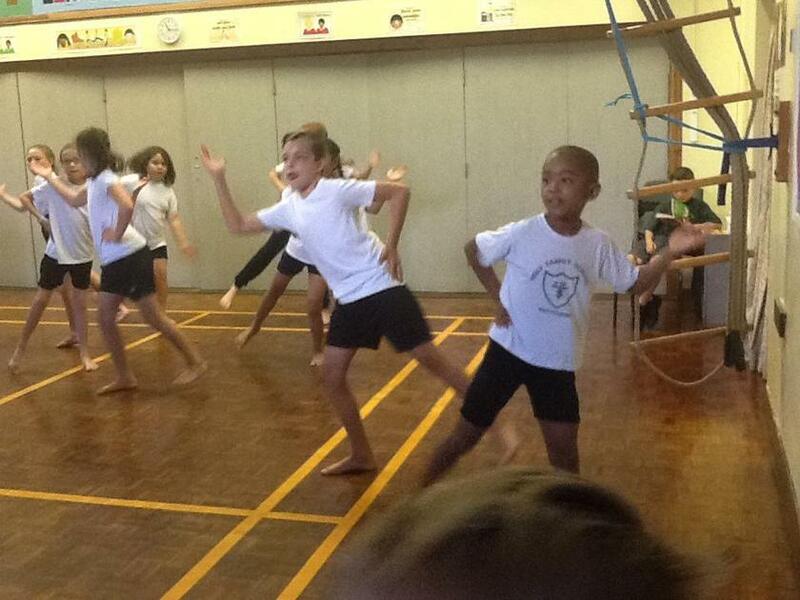 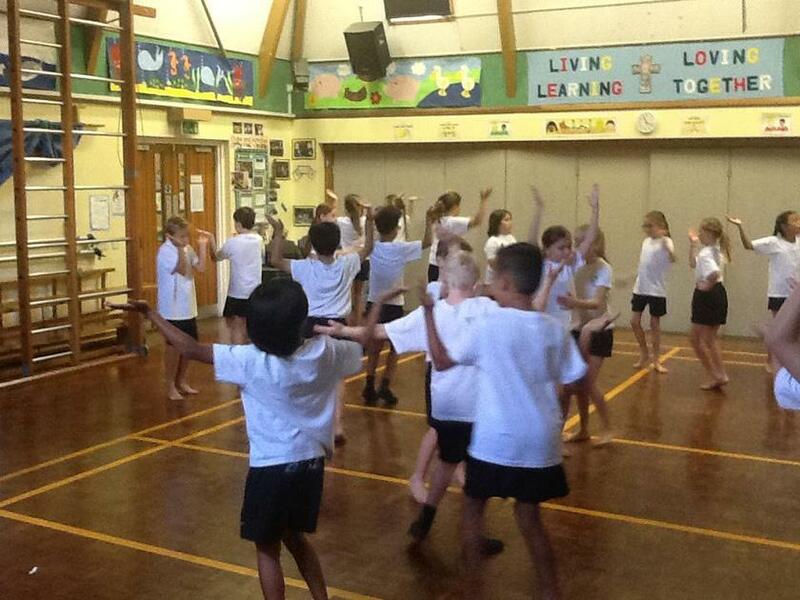 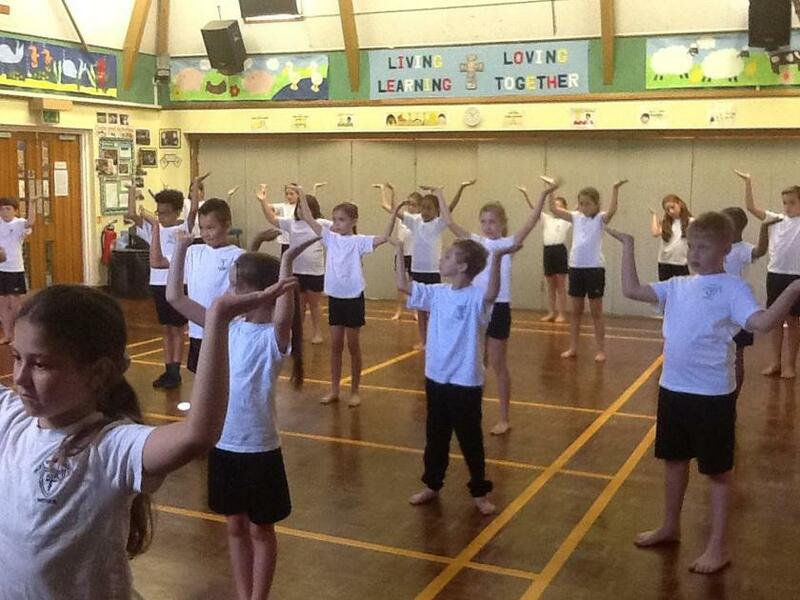 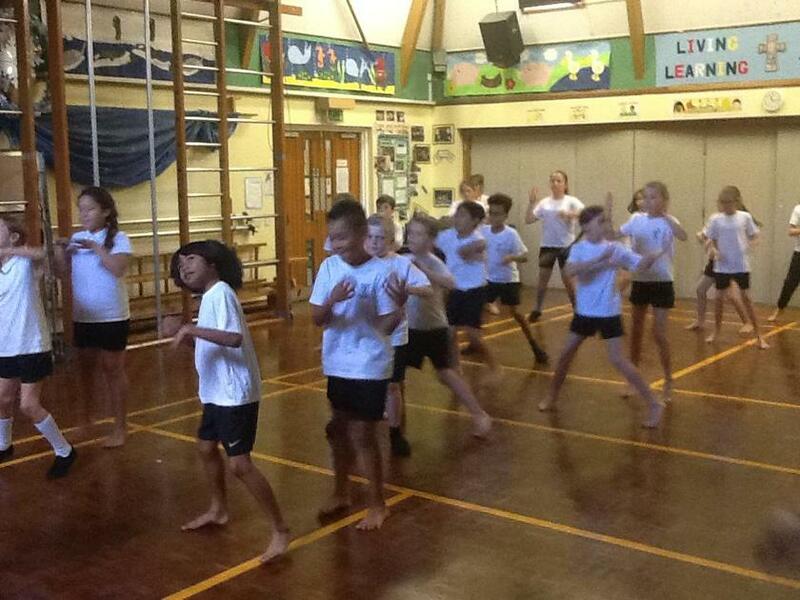 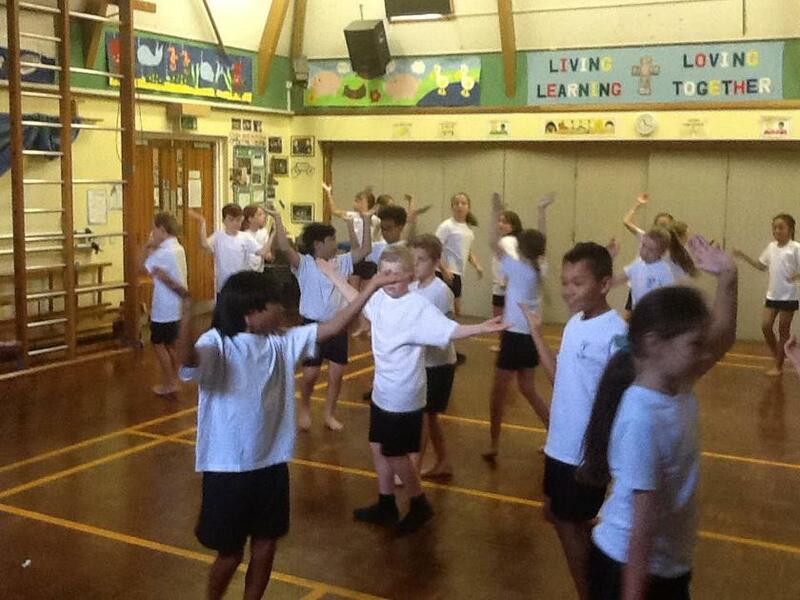 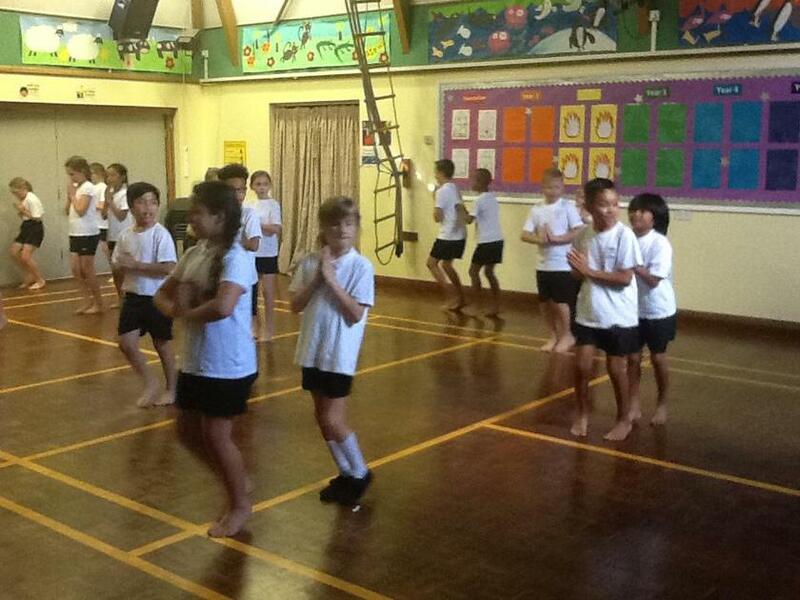 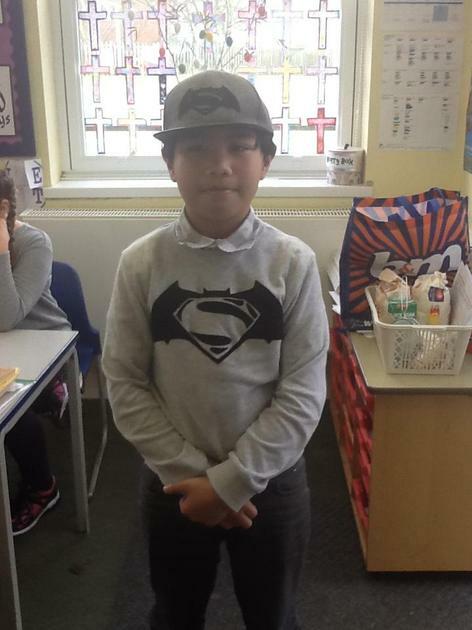 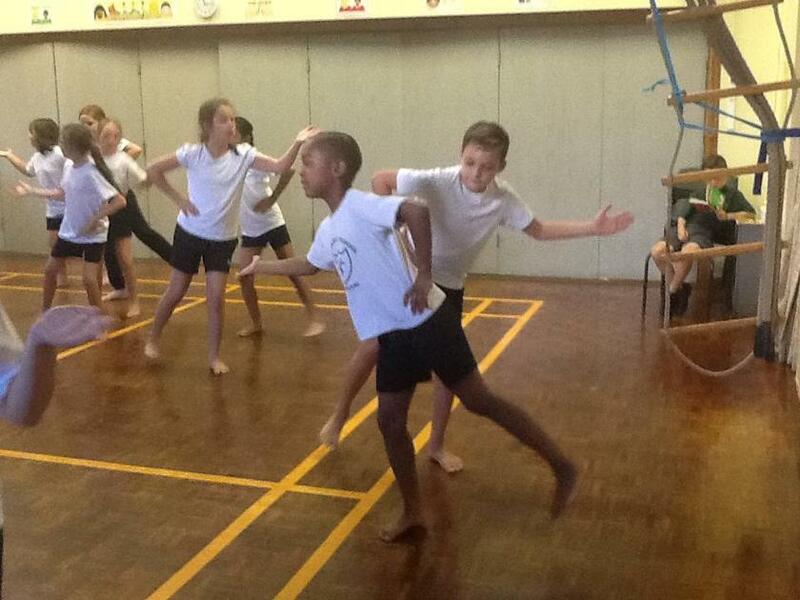 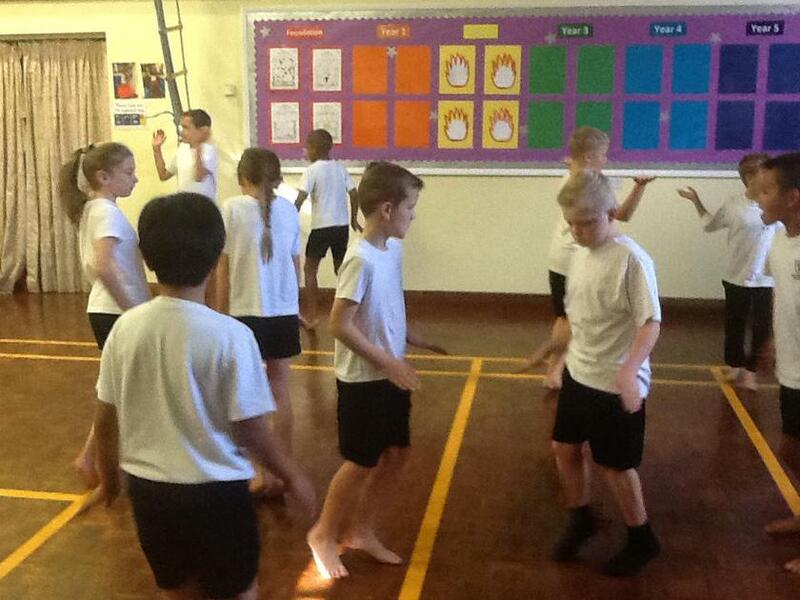 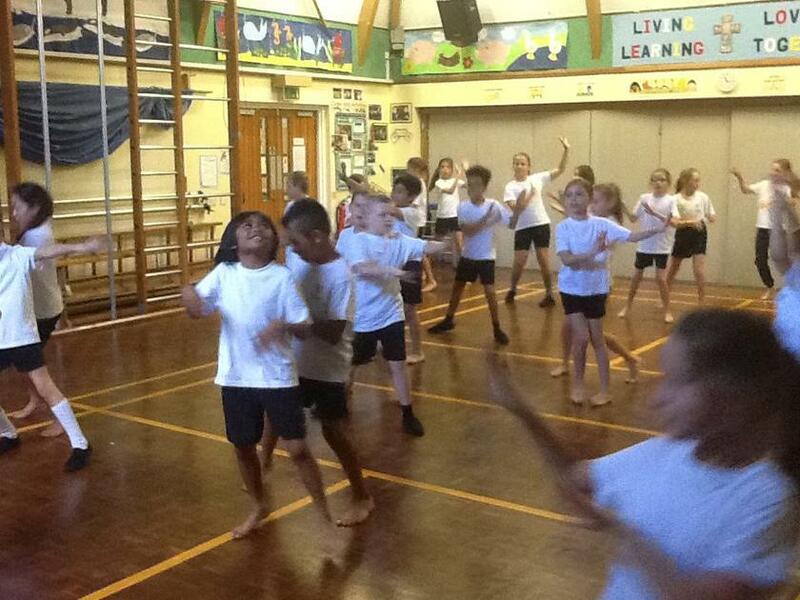 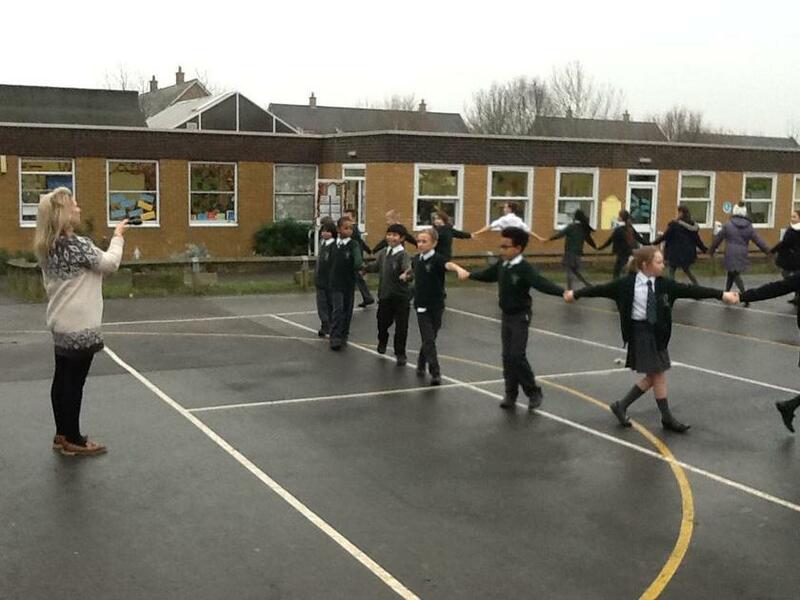 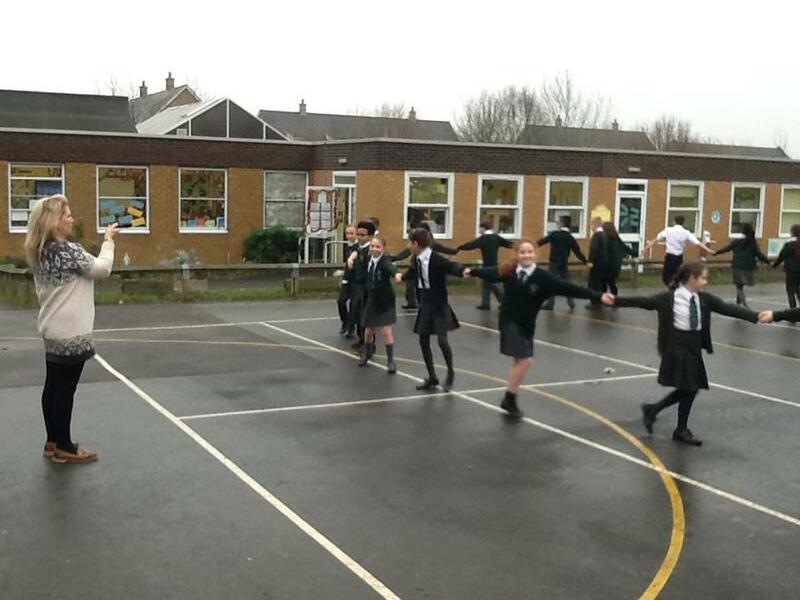 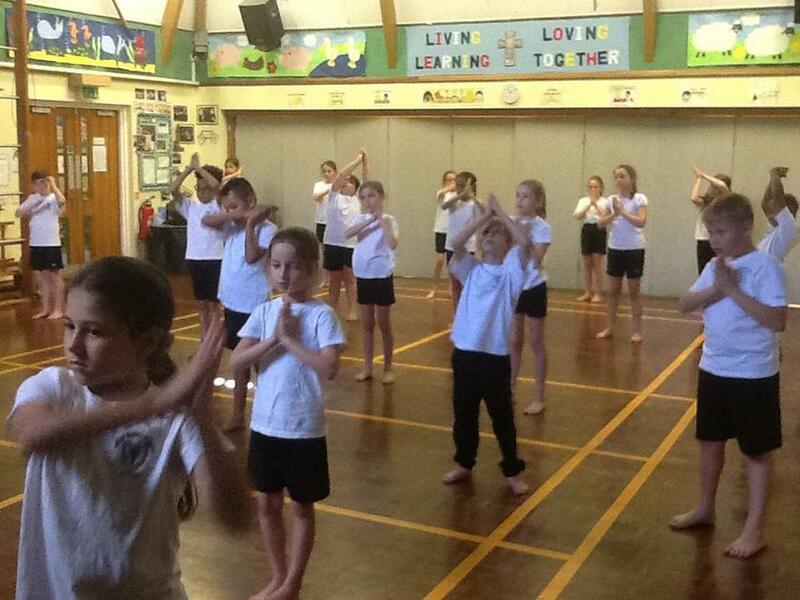 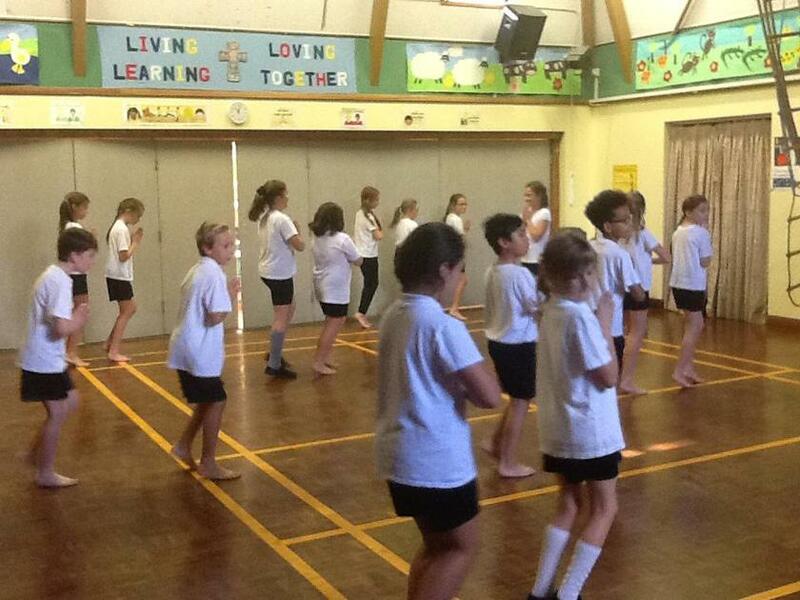 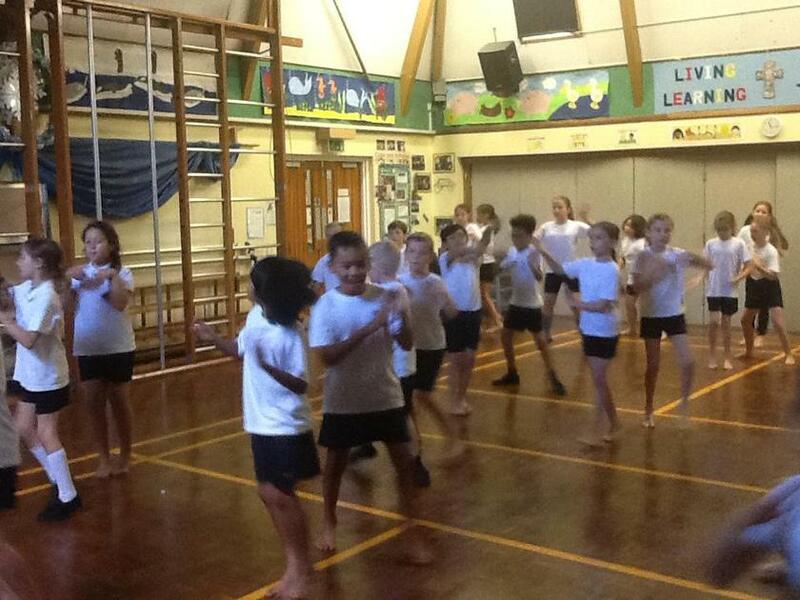 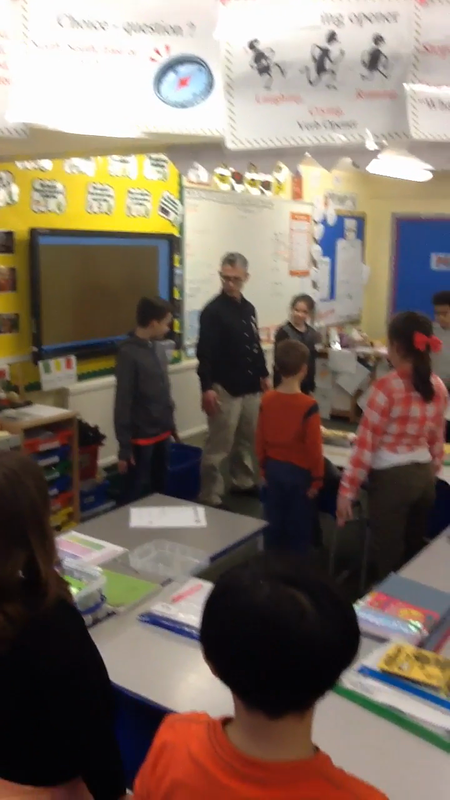 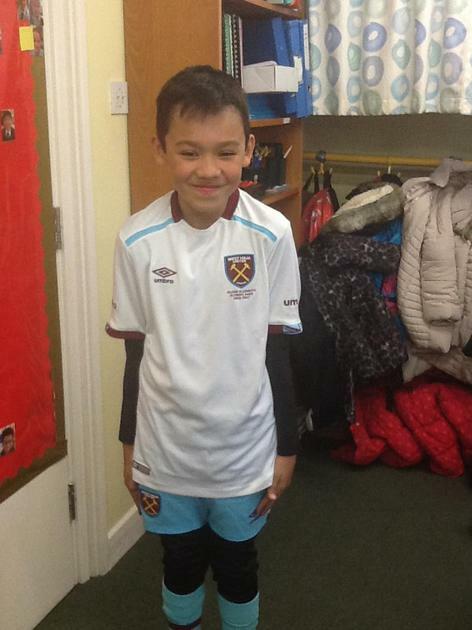 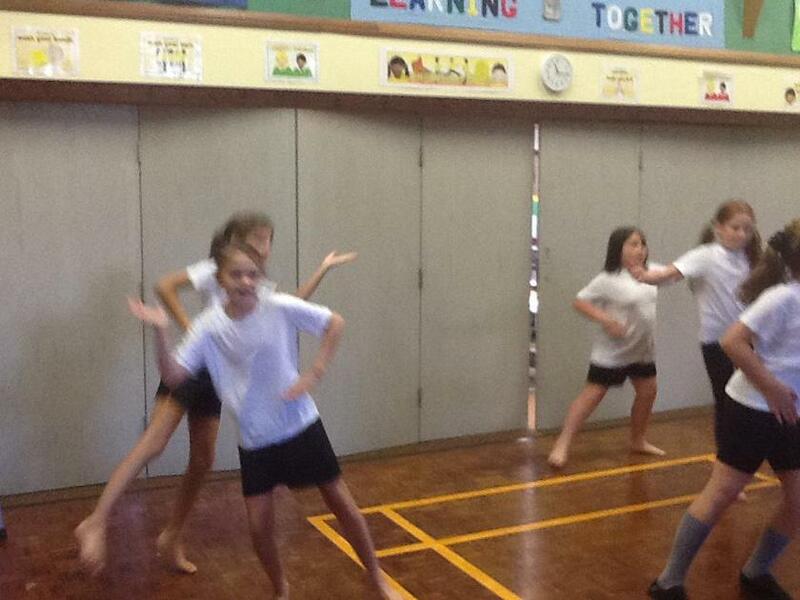 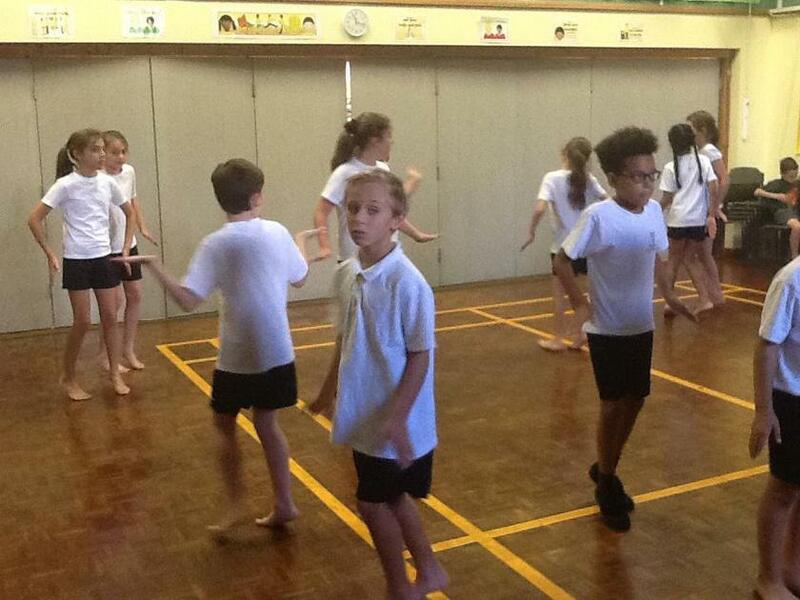 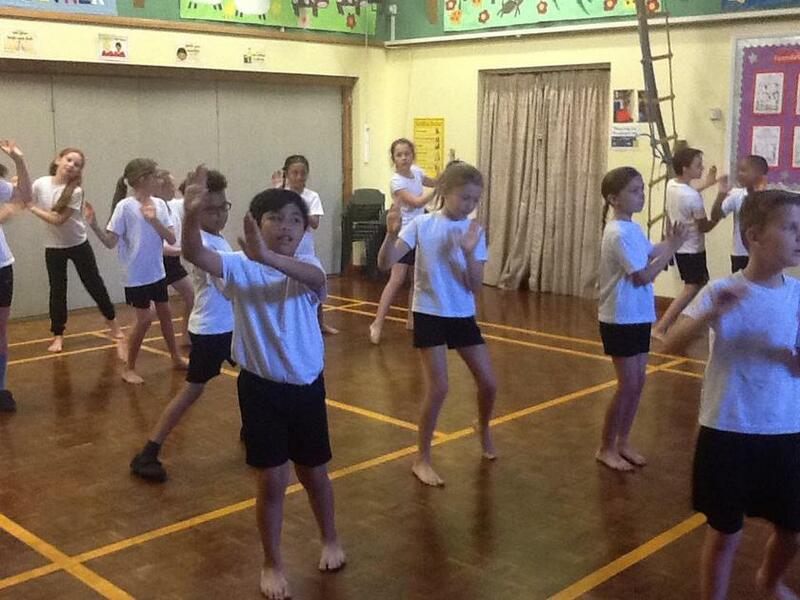 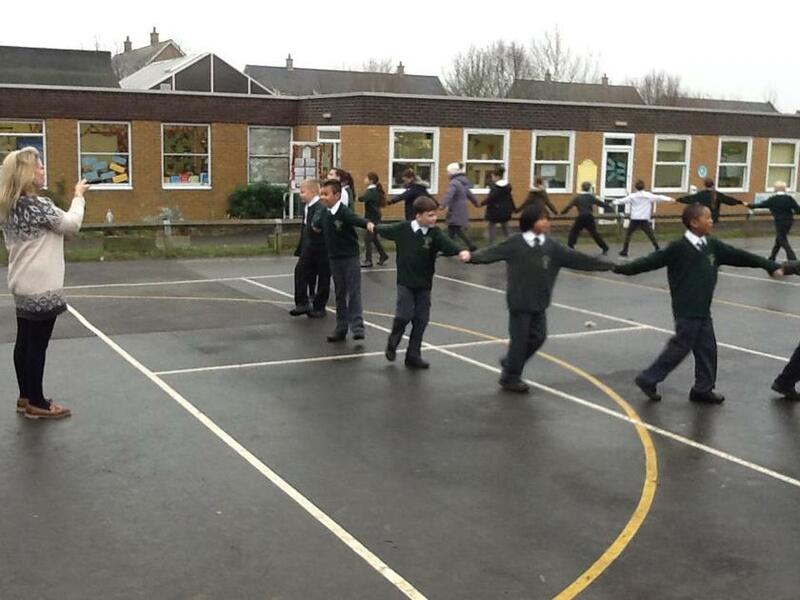 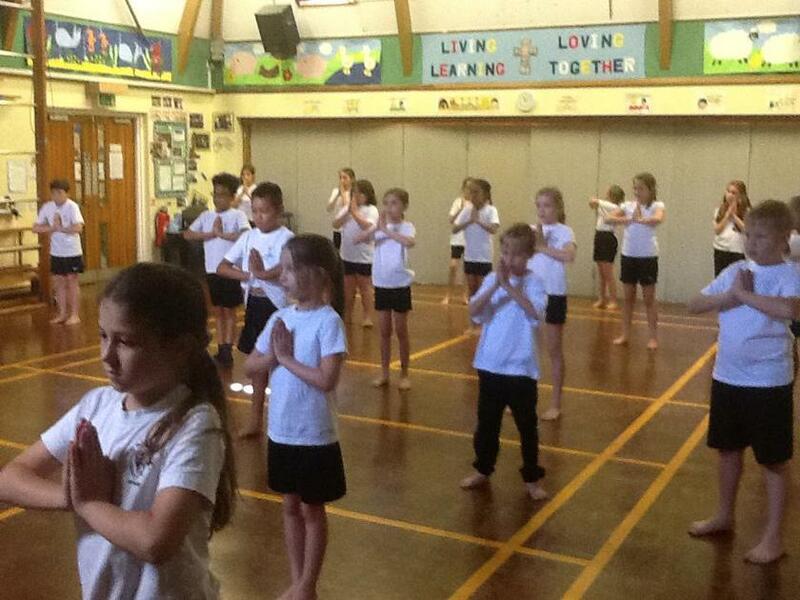 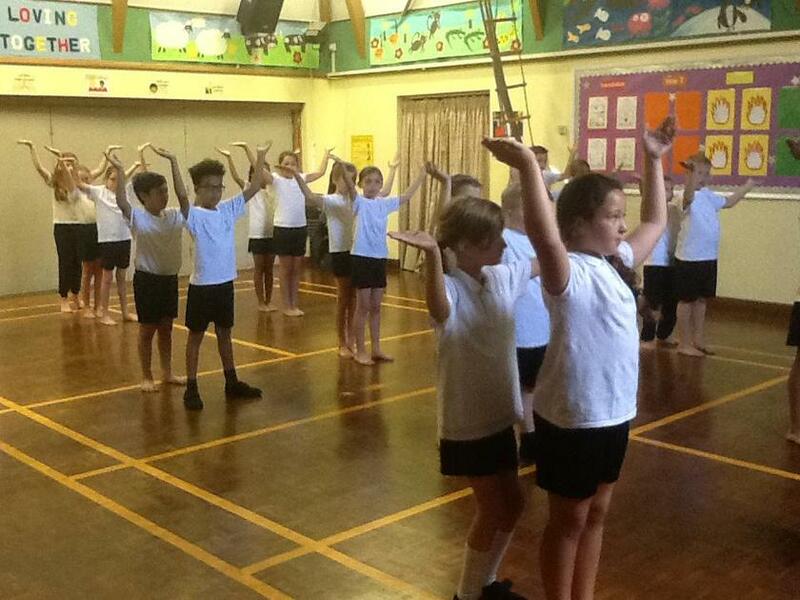 He taught the class a New Zealand Hakka to help focus their minds before each new task. 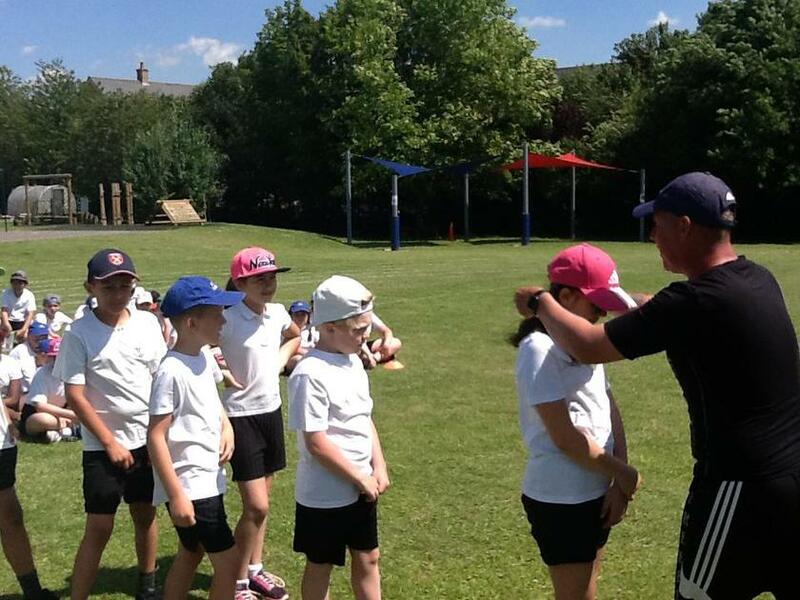 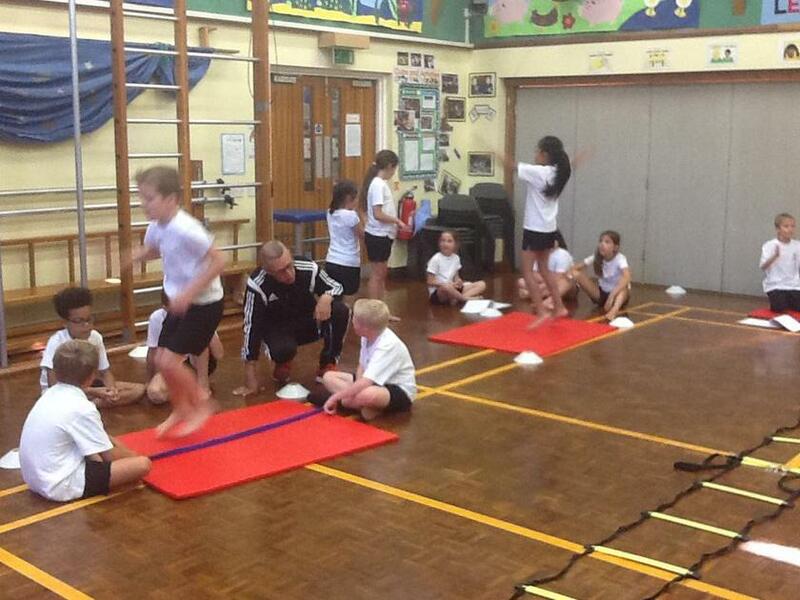 Mr Lister was very enthusiastic and the children enjoyed learning something new! 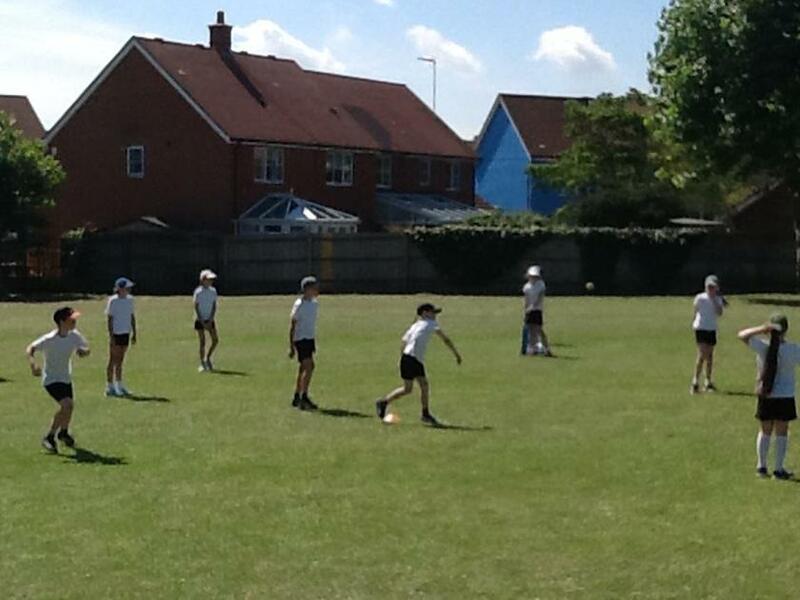 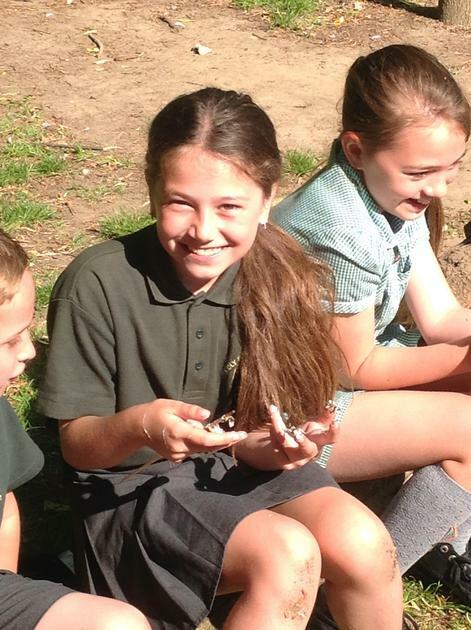 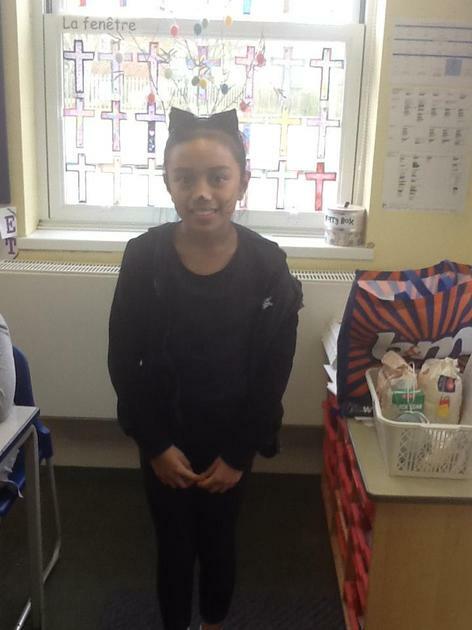 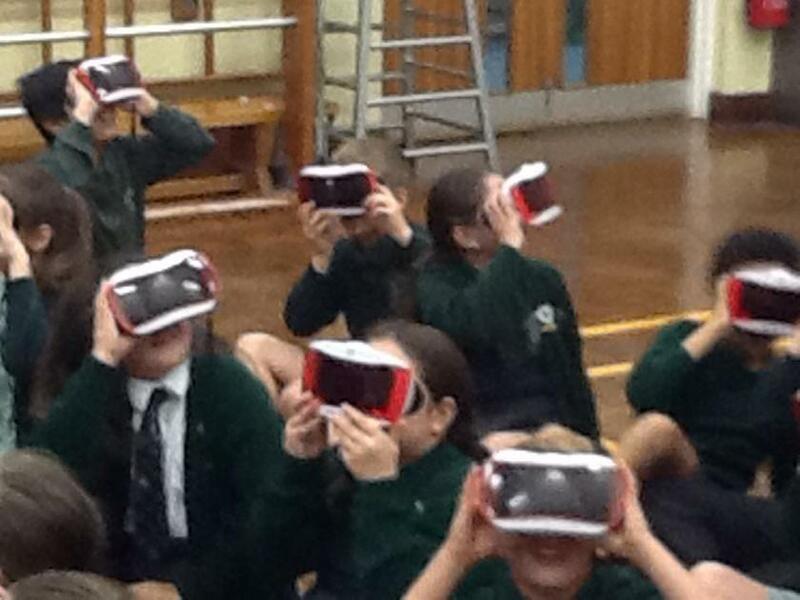 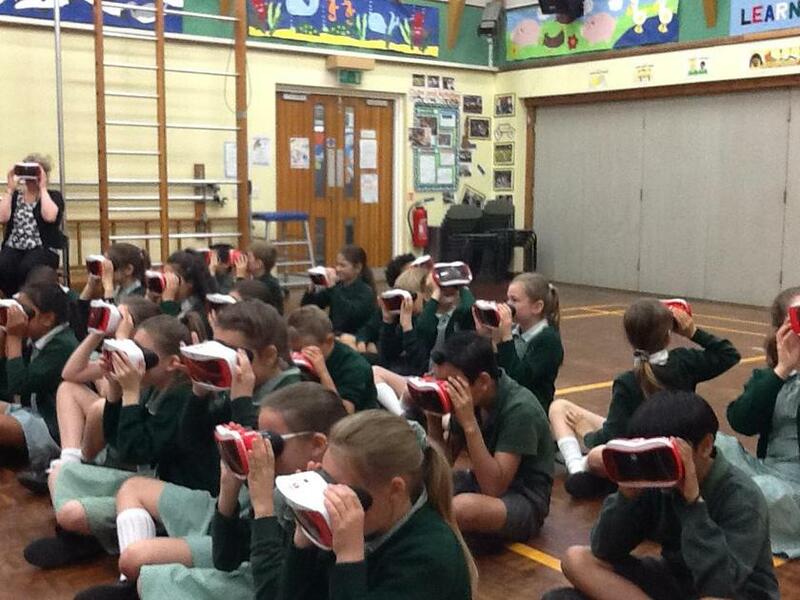 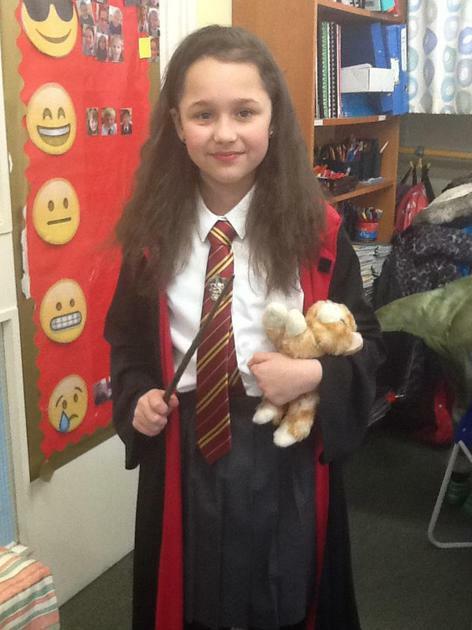 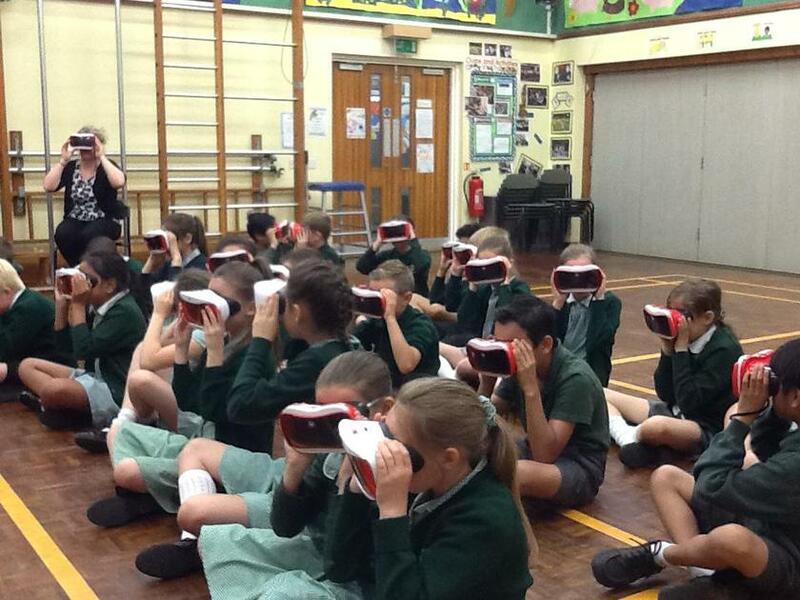 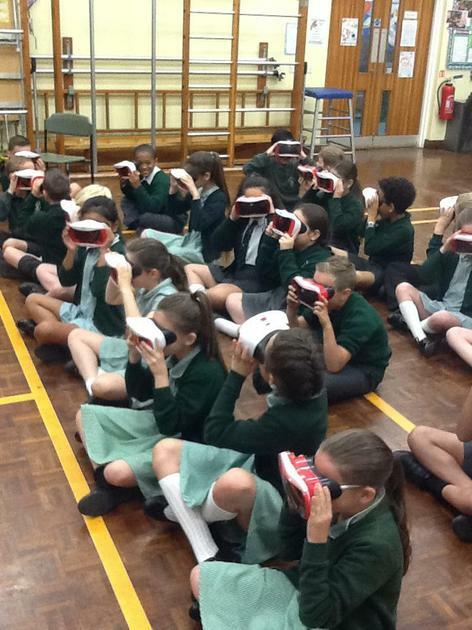 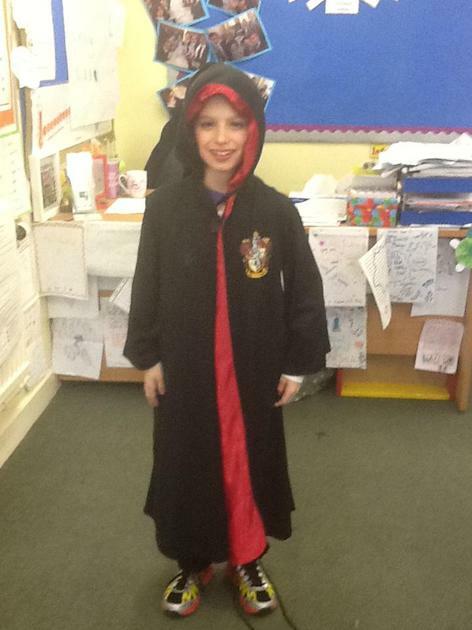 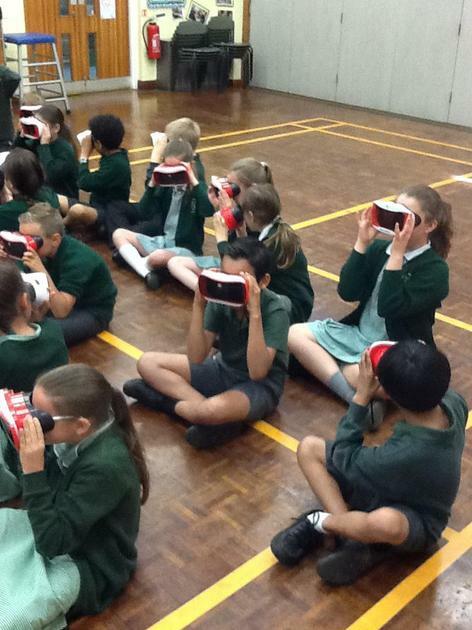 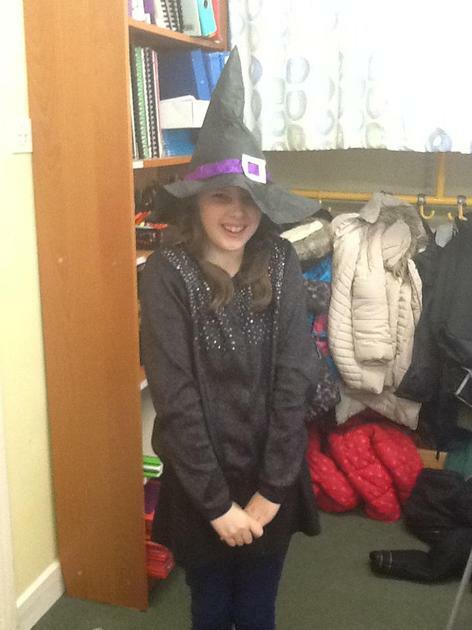 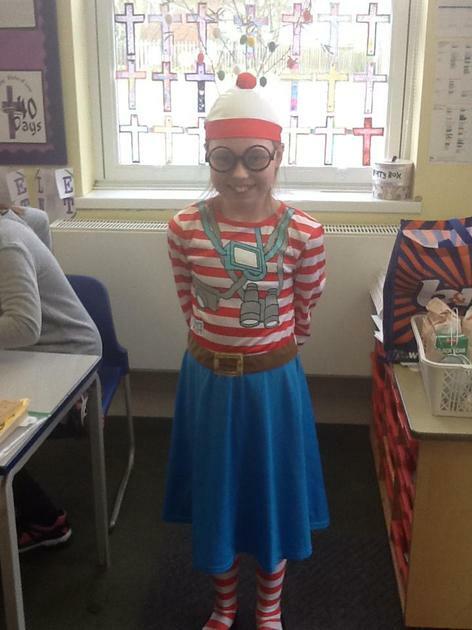 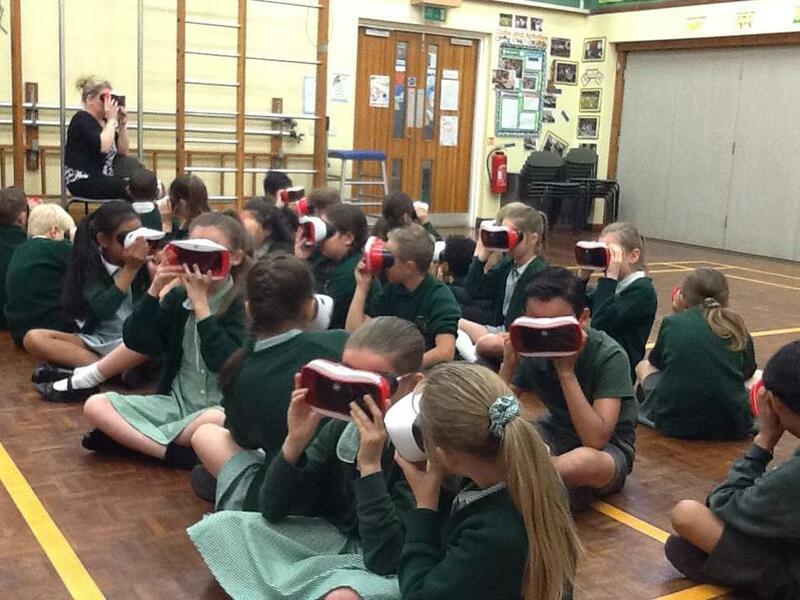 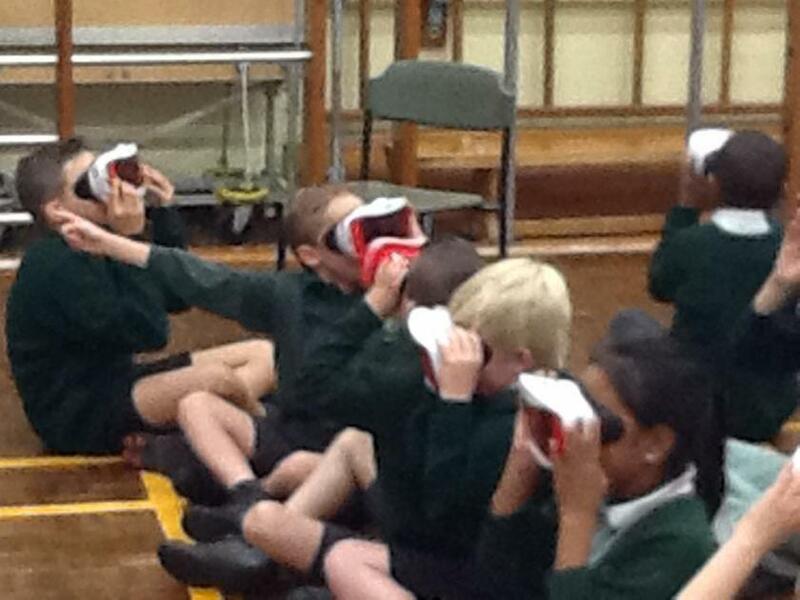 Year 5 had an enjoyable day at Maltings Academy. 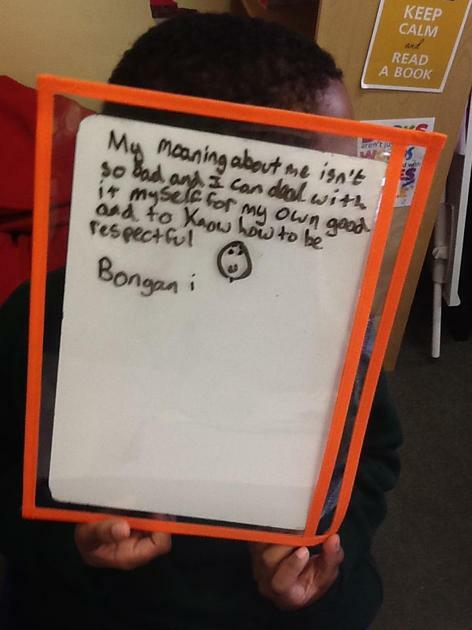 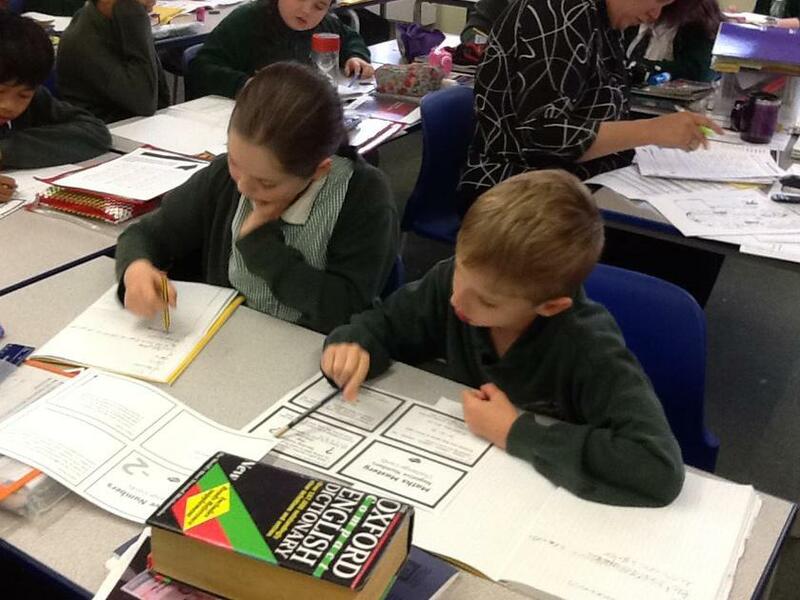 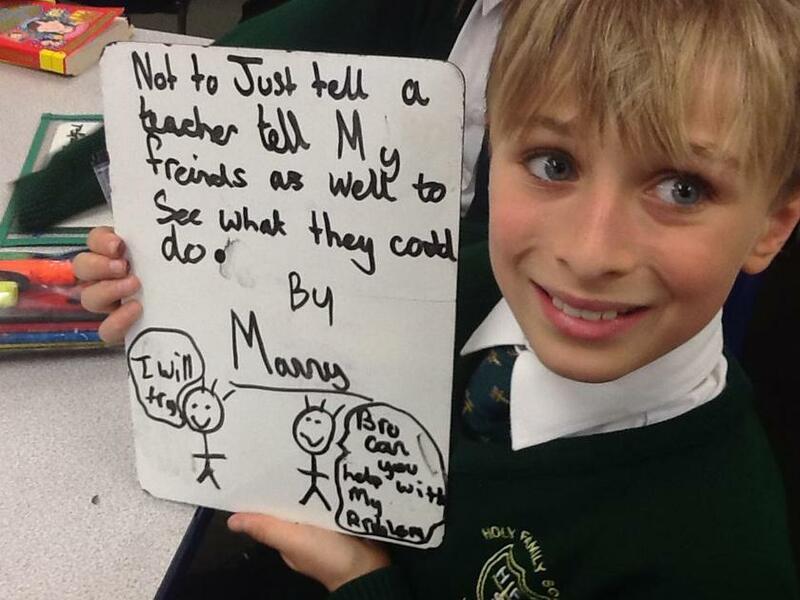 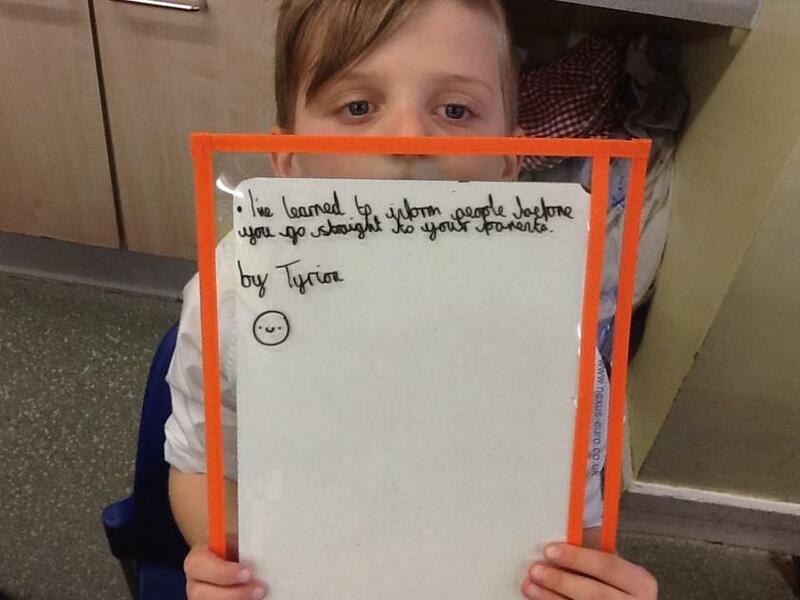 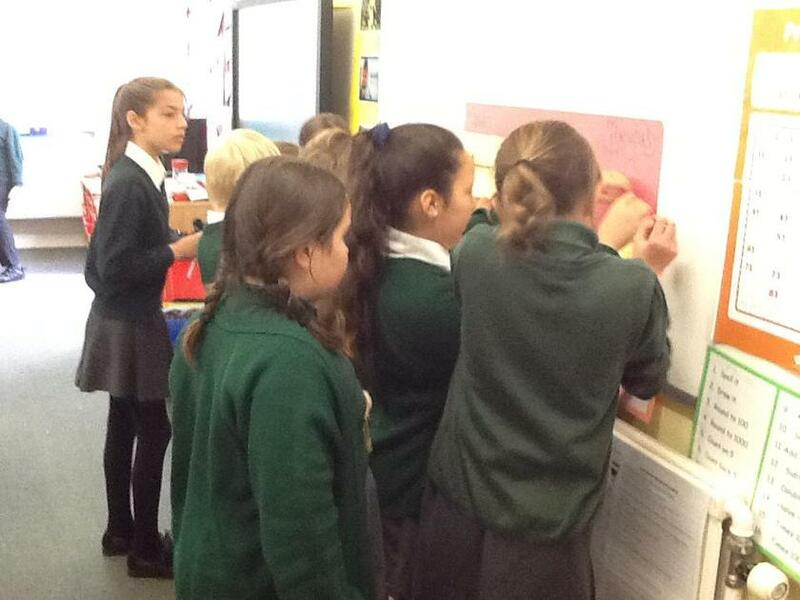 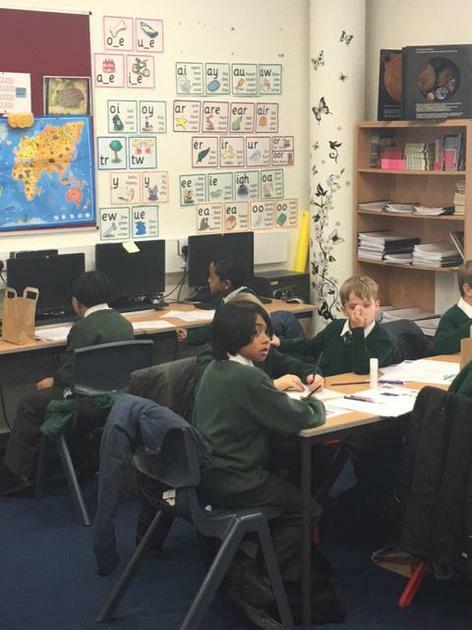 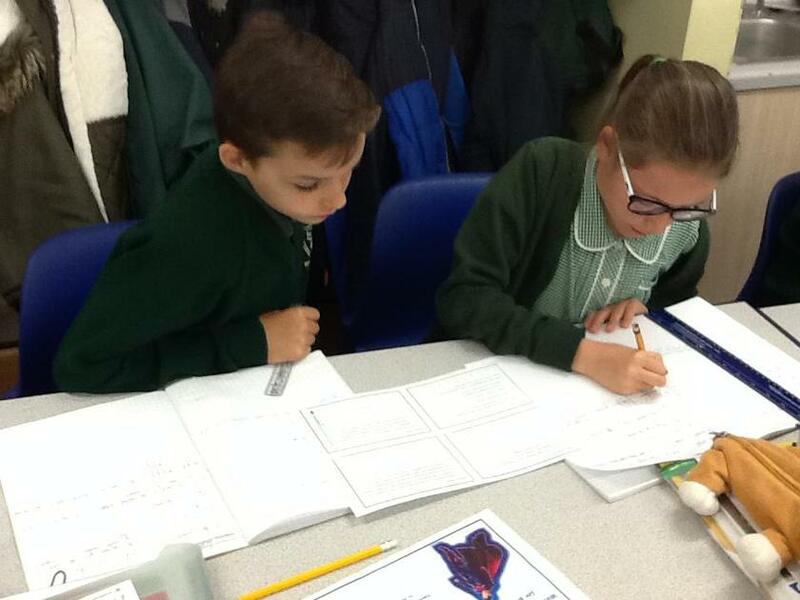 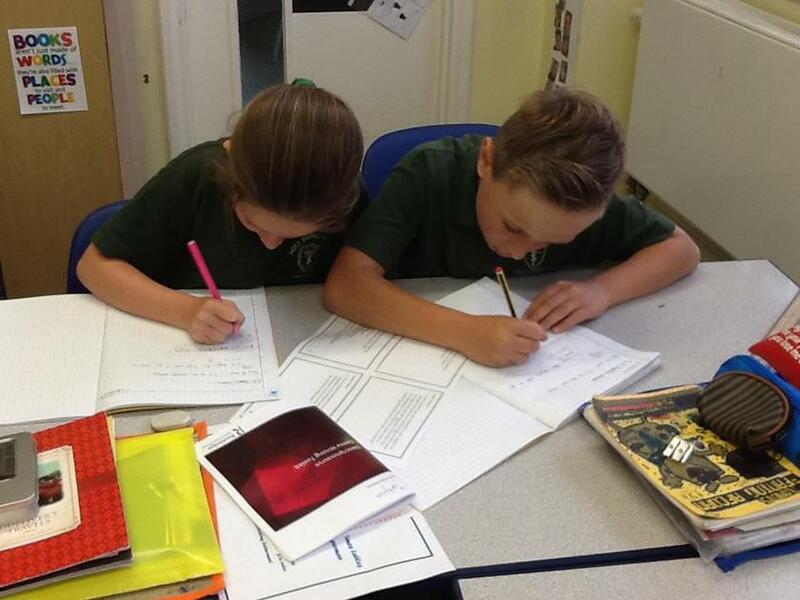 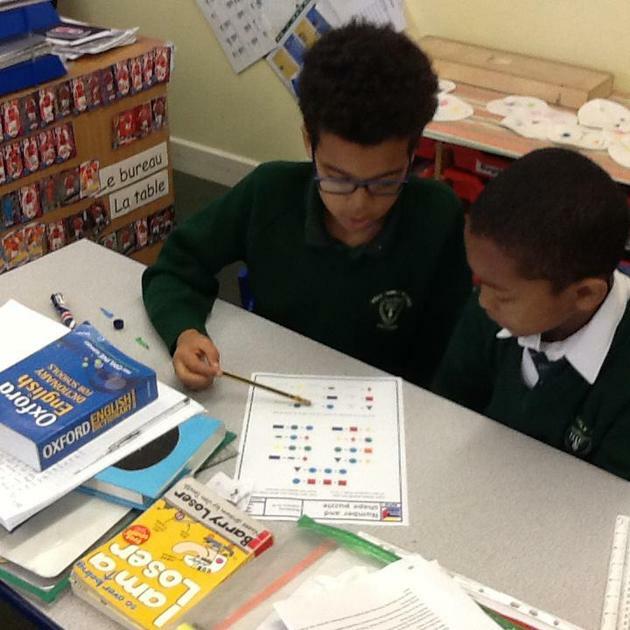 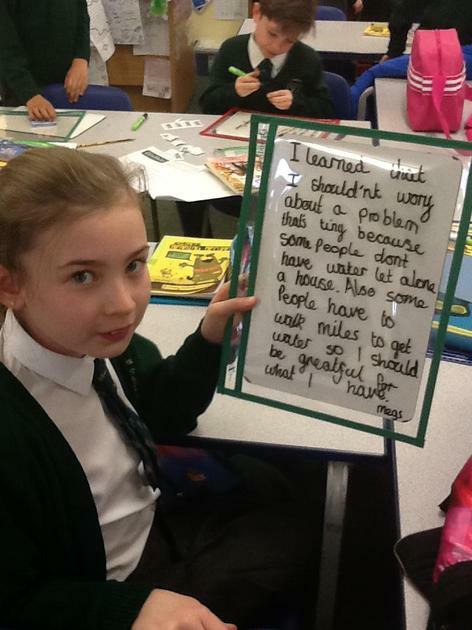 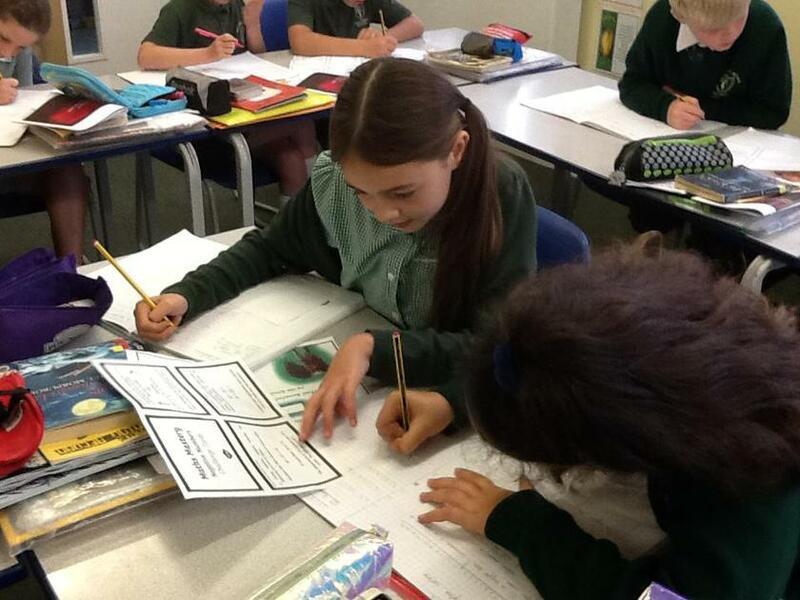 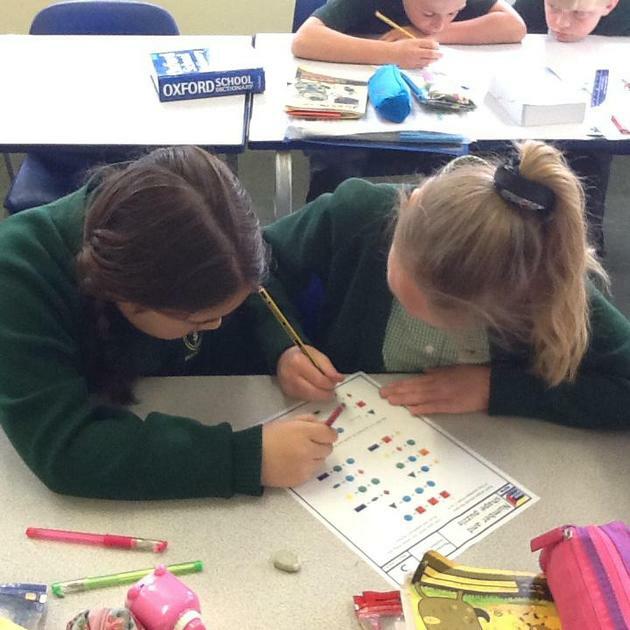 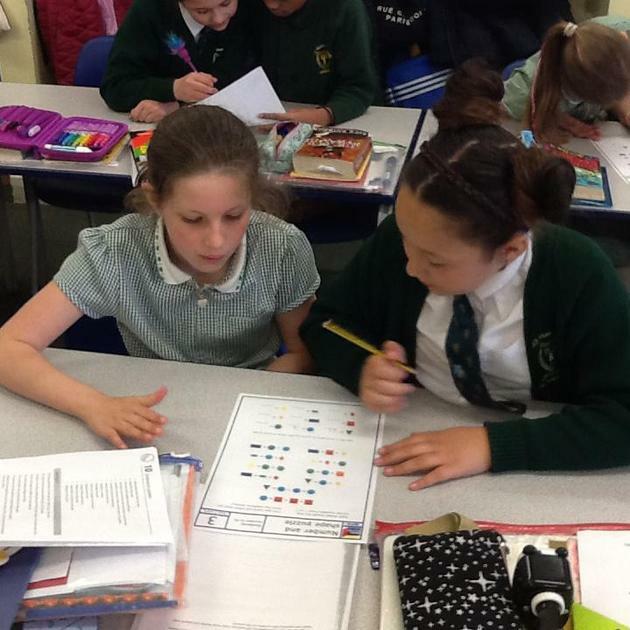 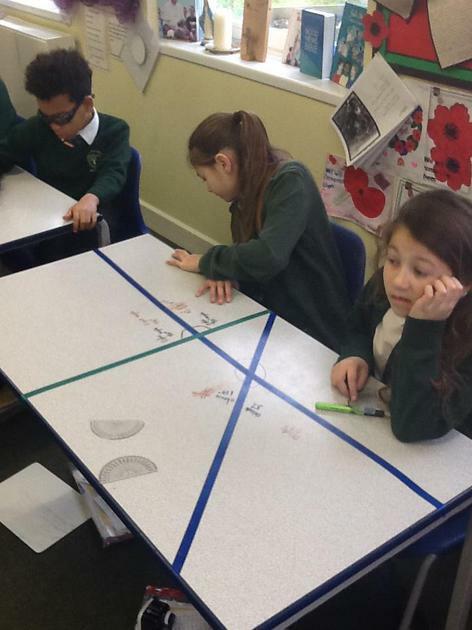 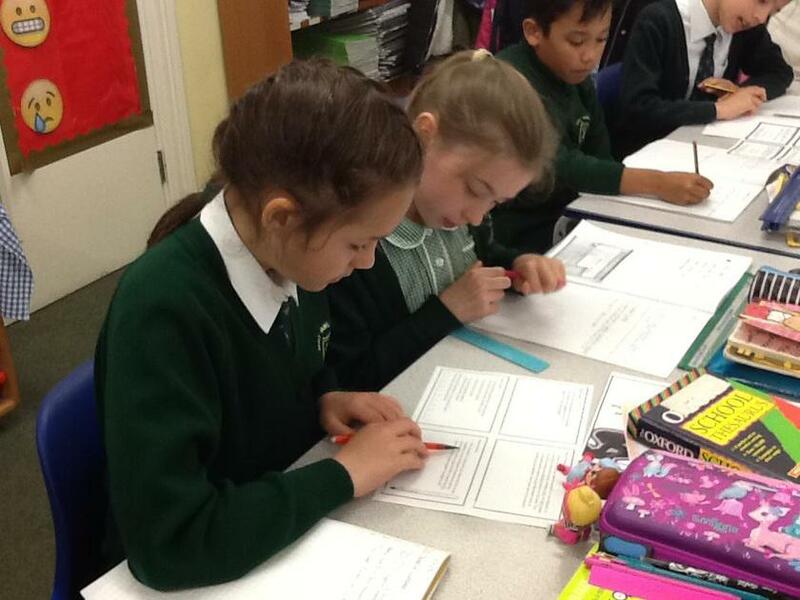 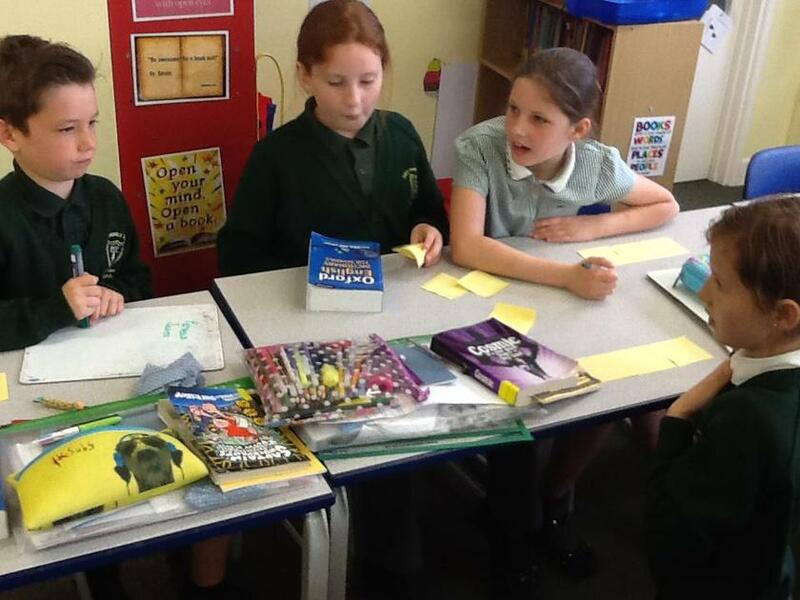 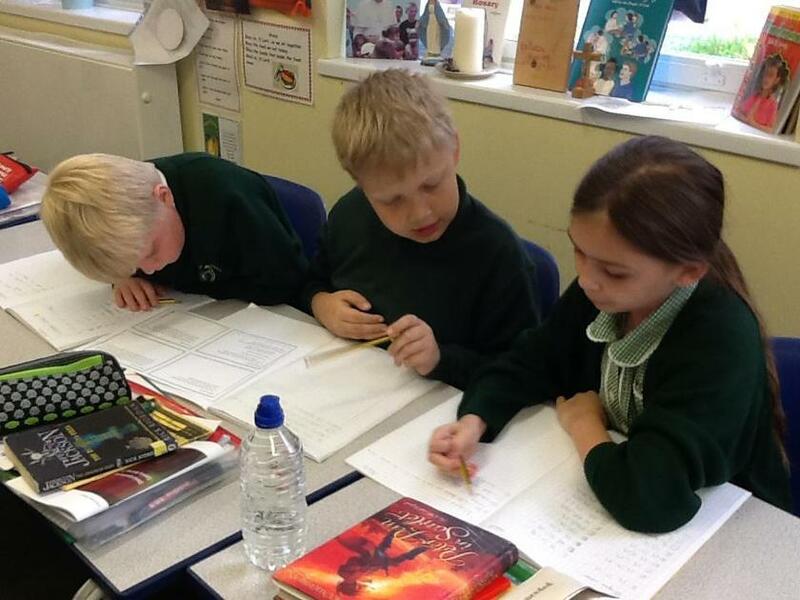 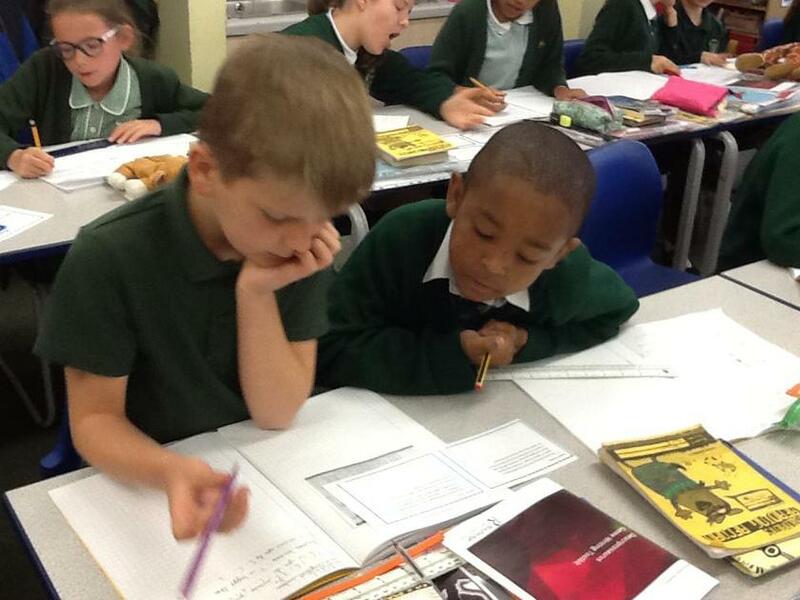 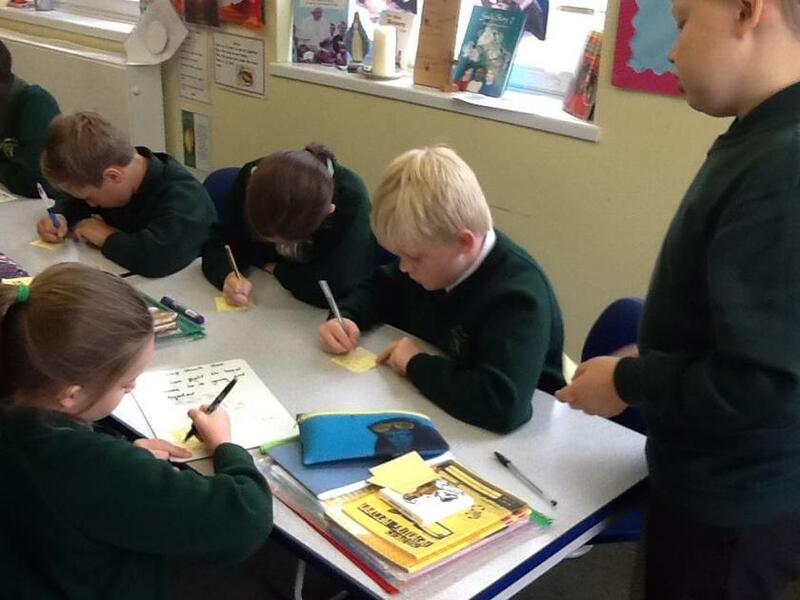 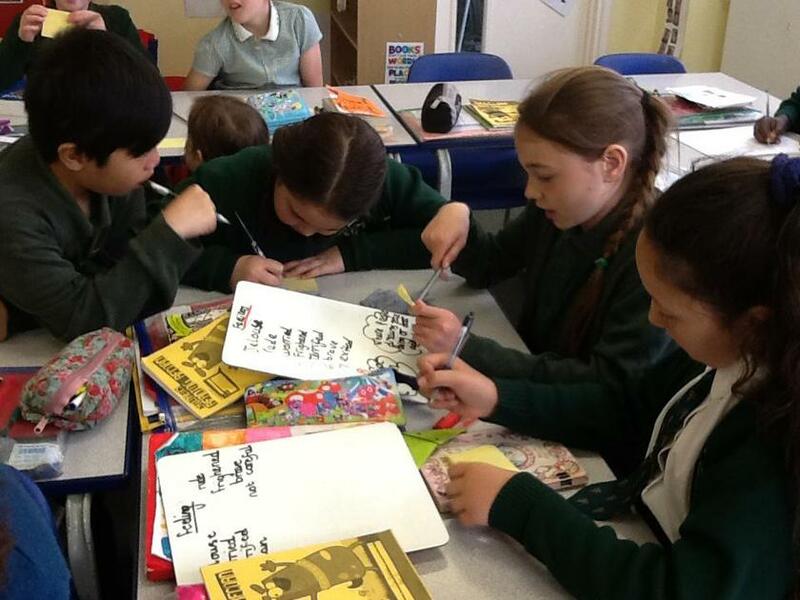 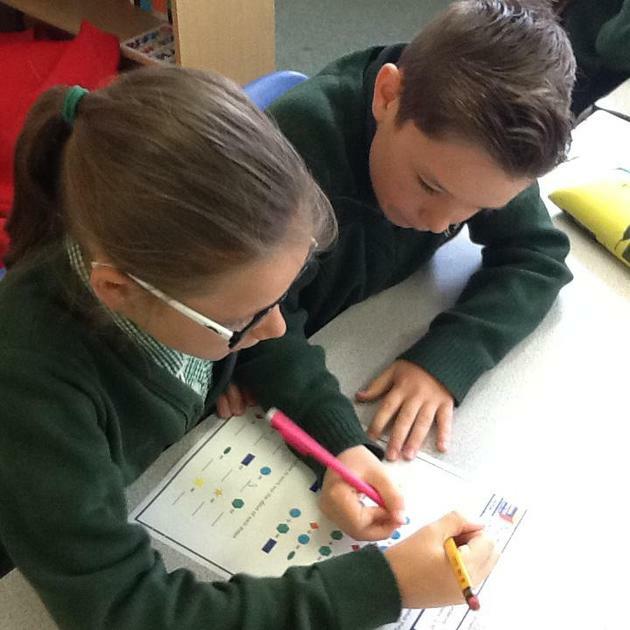 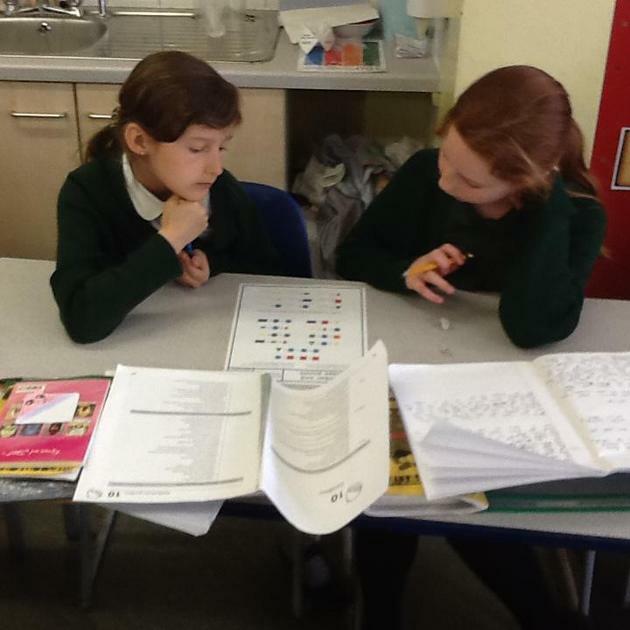 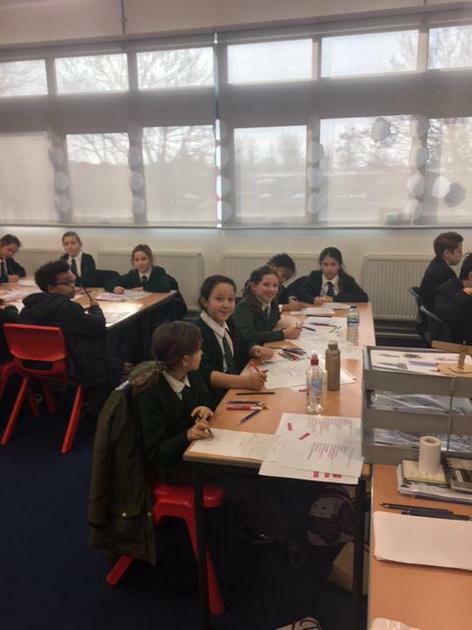 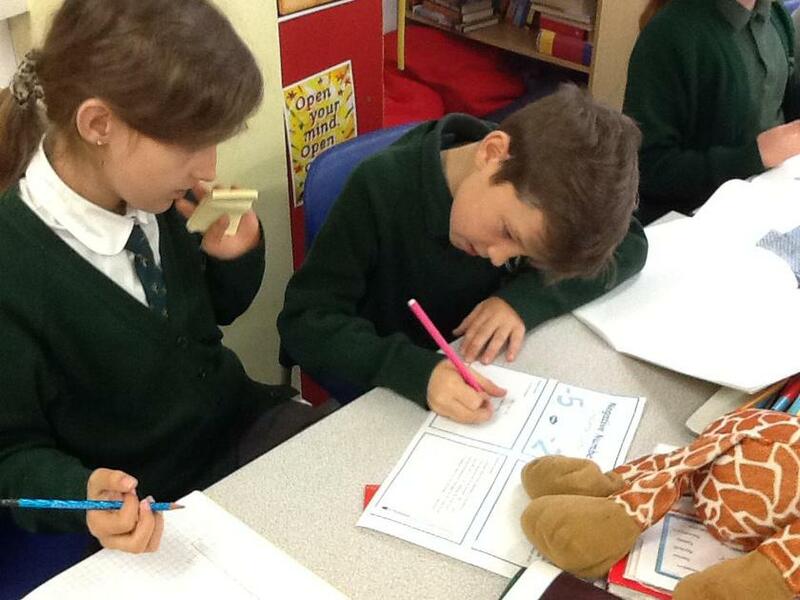 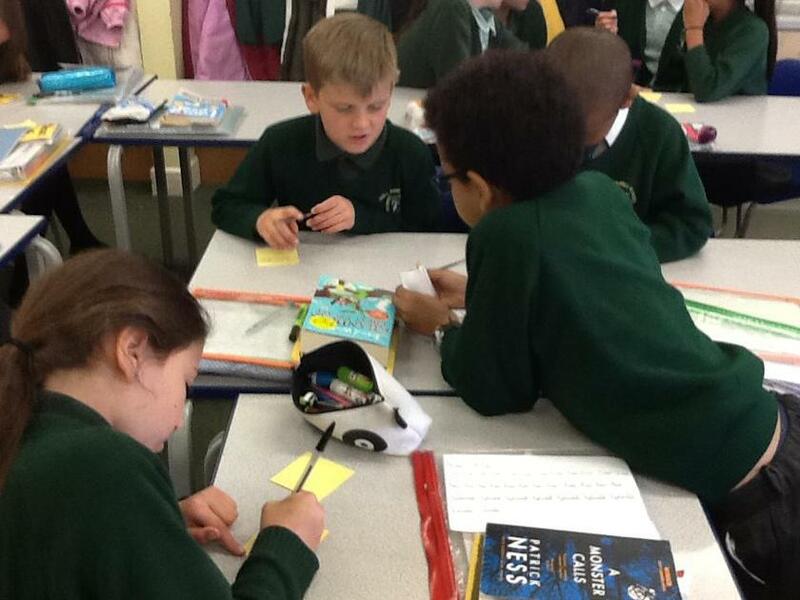 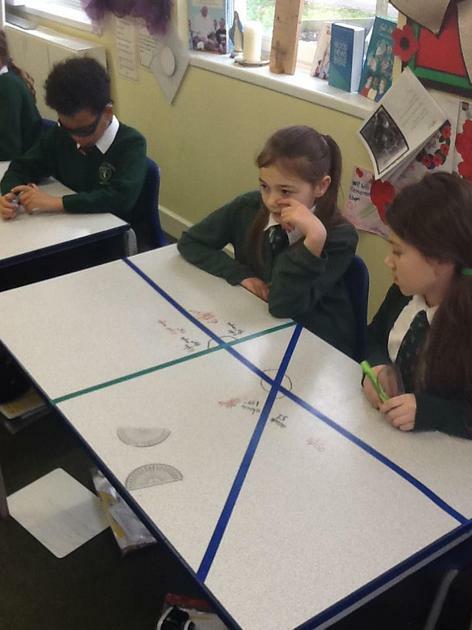 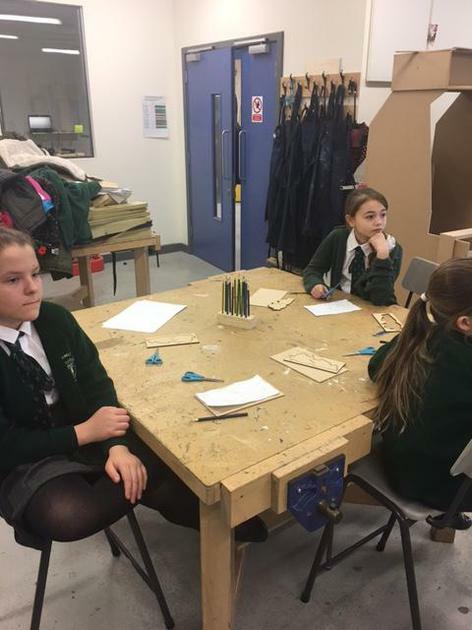 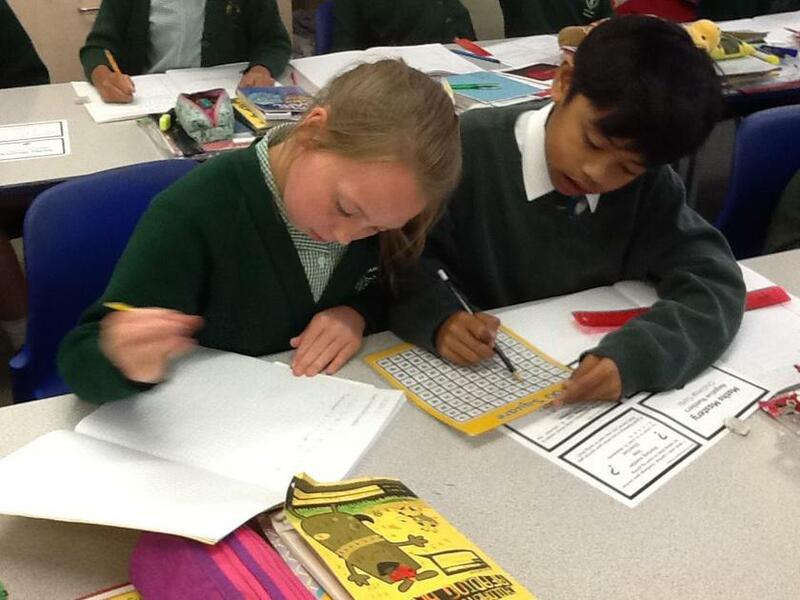 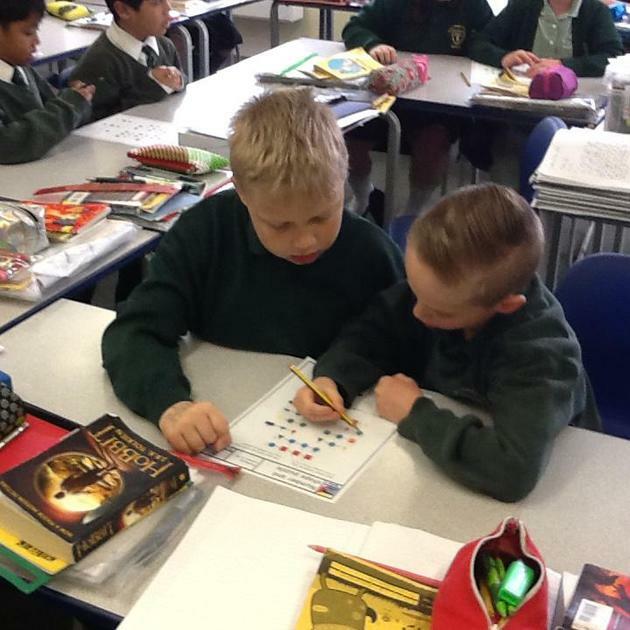 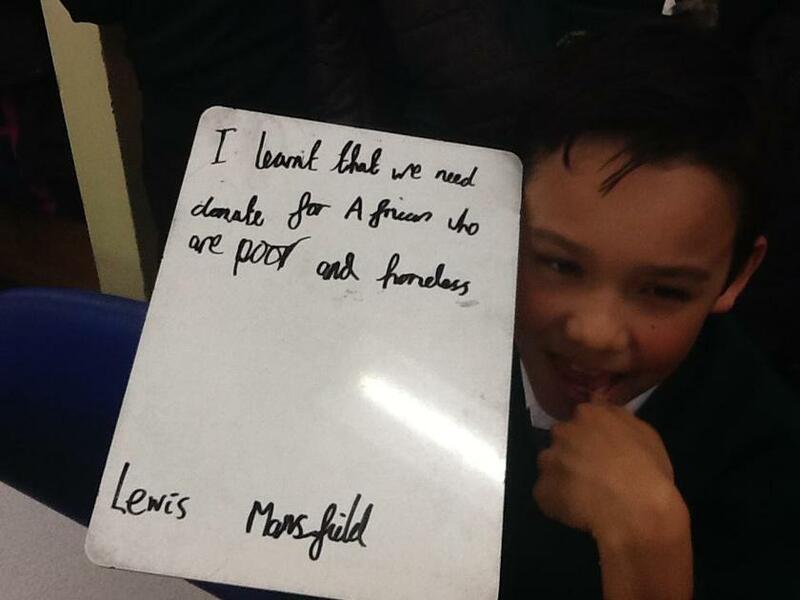 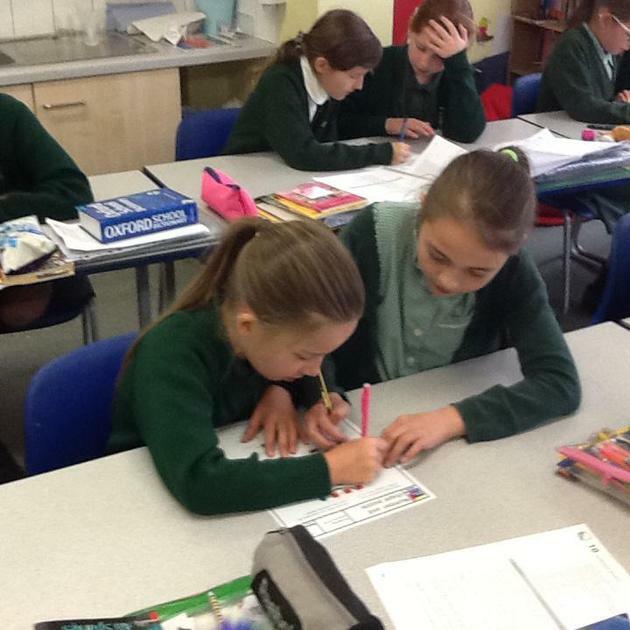 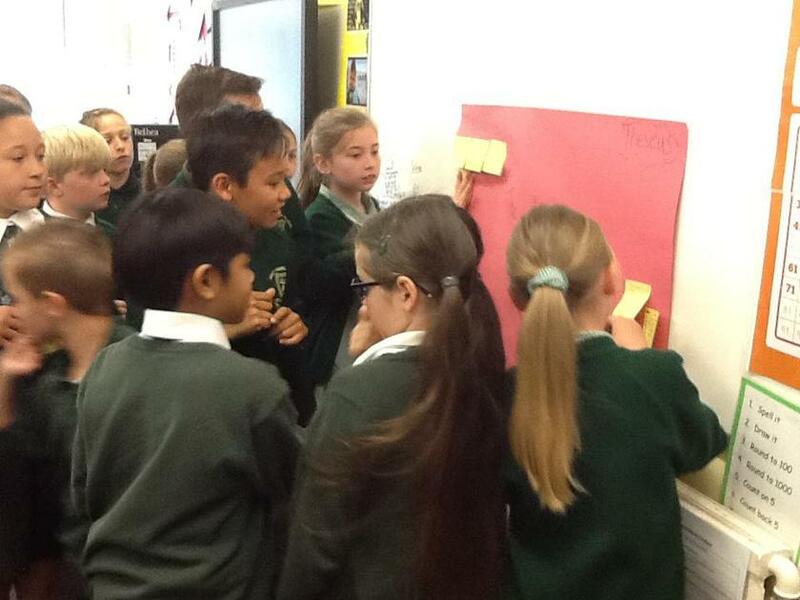 The day was split into a Literacy session where they continued their work on the book 'Oranges in no mans land'. 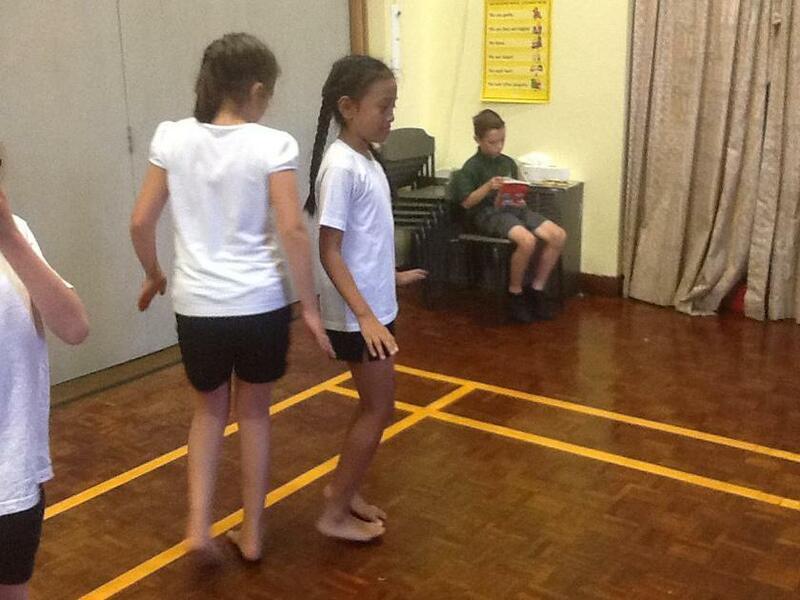 They discussed the emotions involved with becoming a refugee and having to leave their homeland. 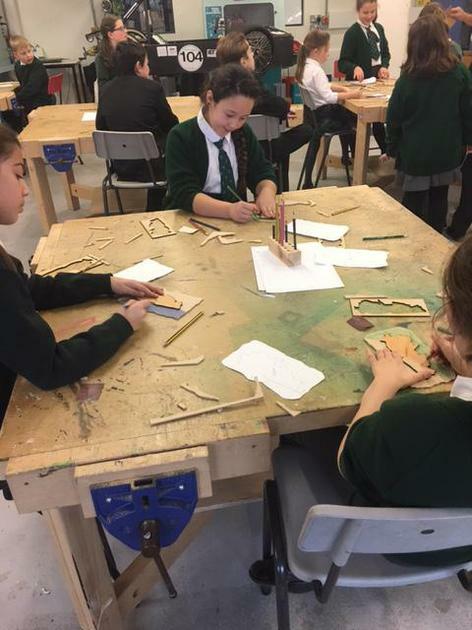 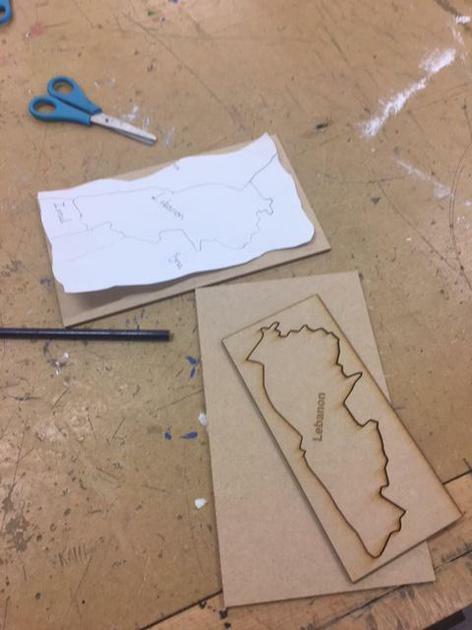 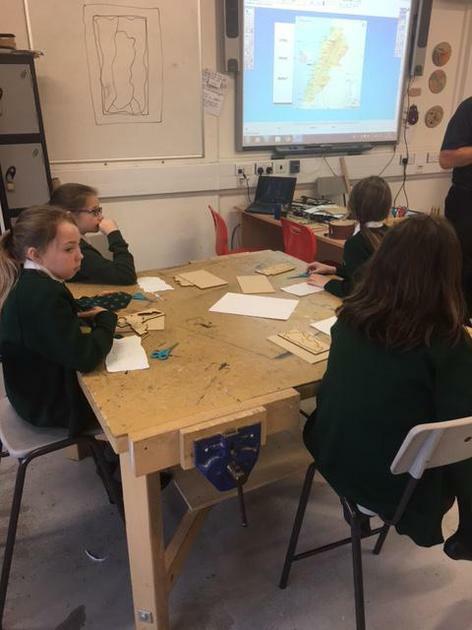 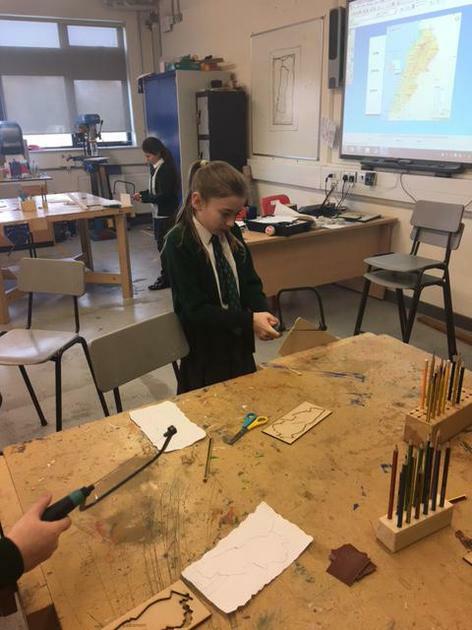 Their second session was a Tech session where they got stuck in creating a wooden map of Lebanon. 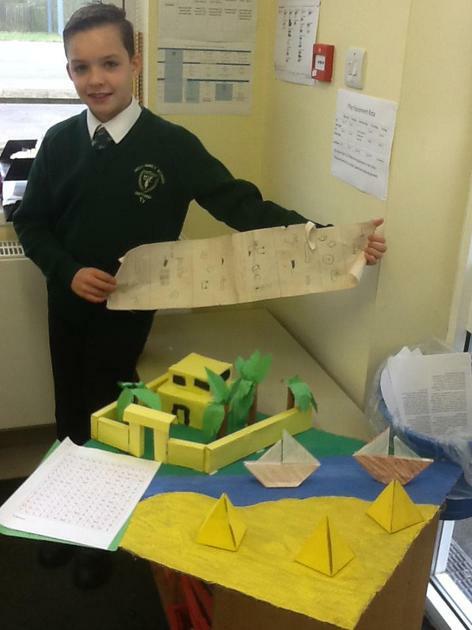 They discussed the surrounding countries and the sea that border Lebanon. 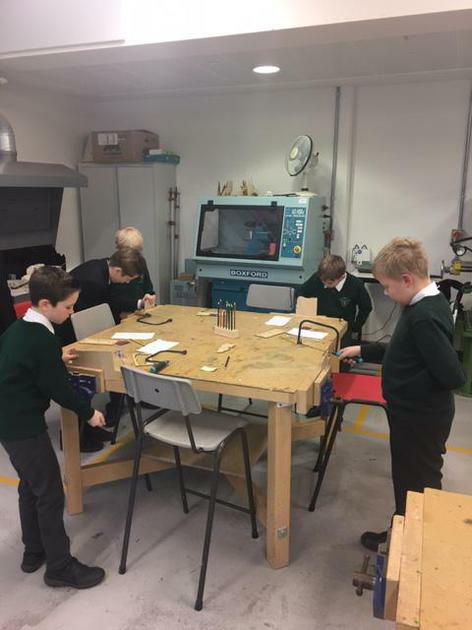 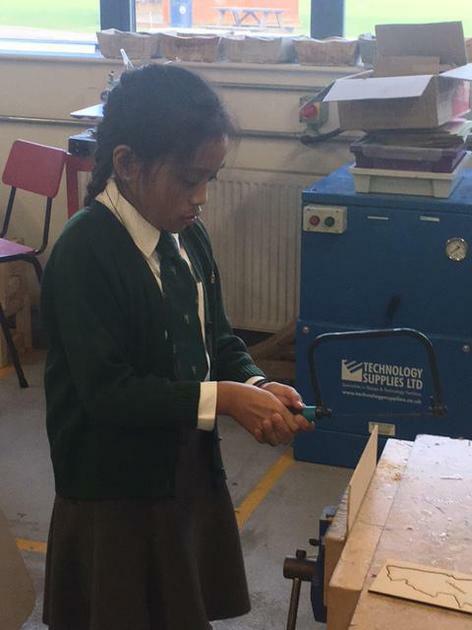 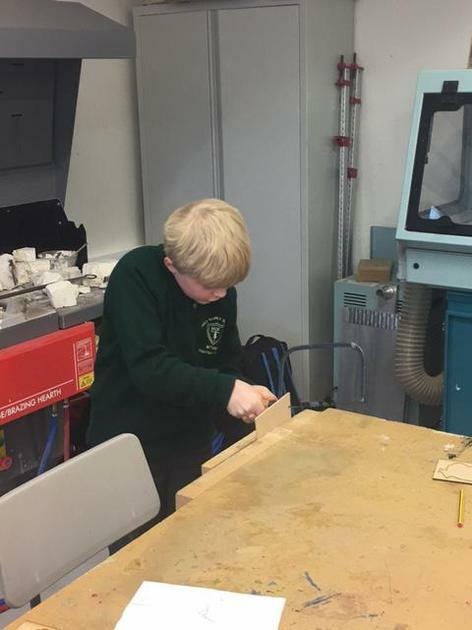 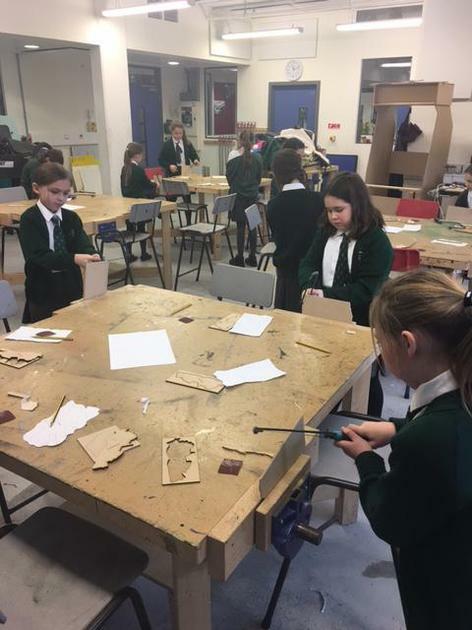 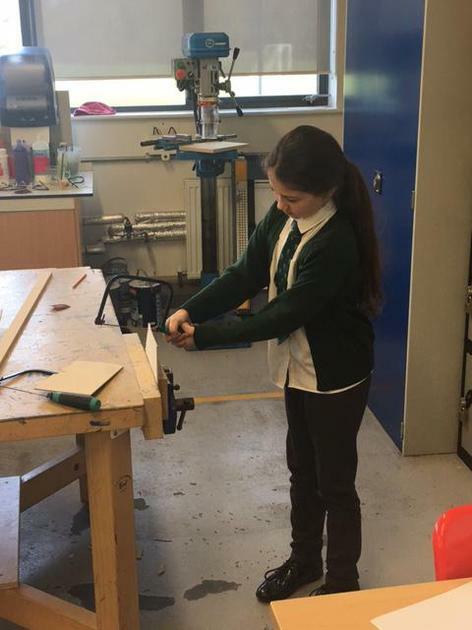 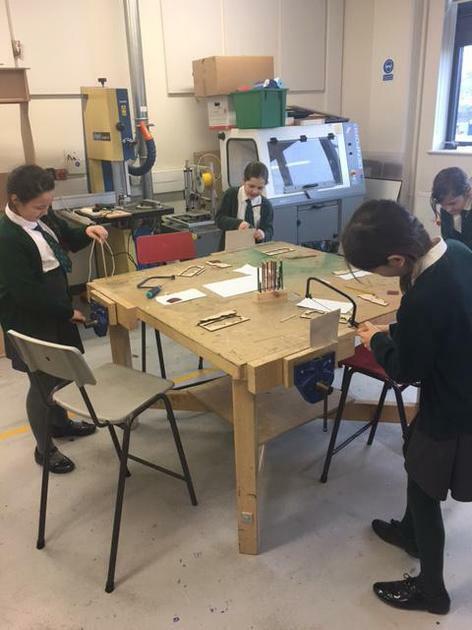 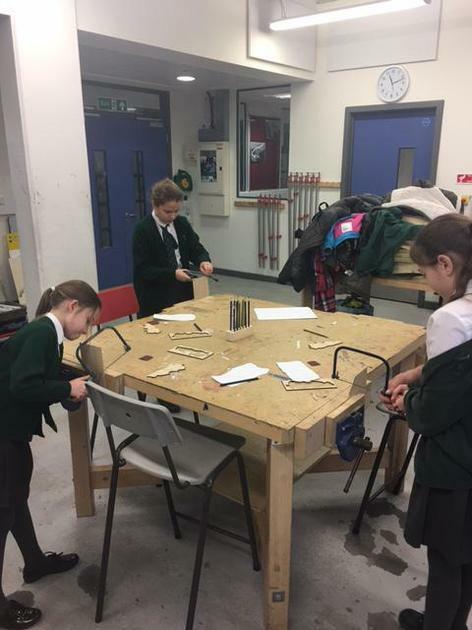 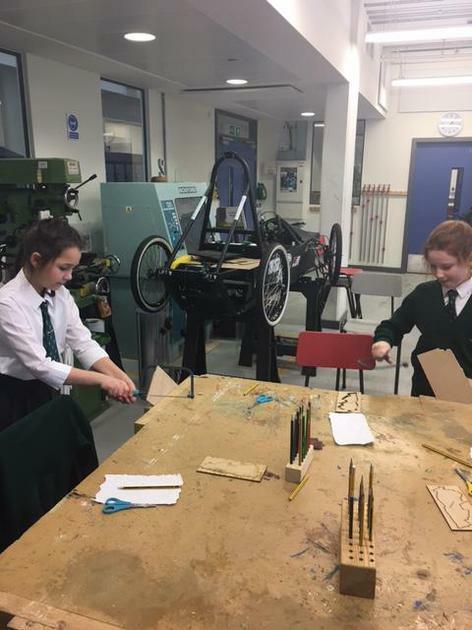 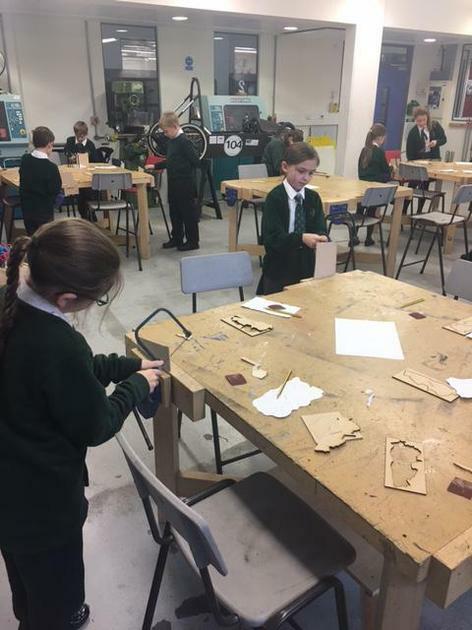 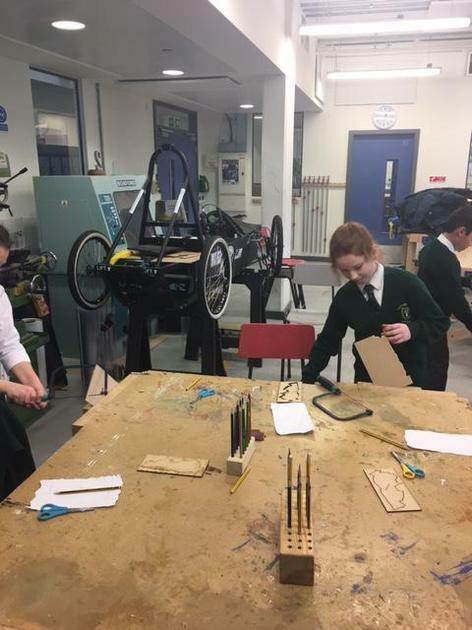 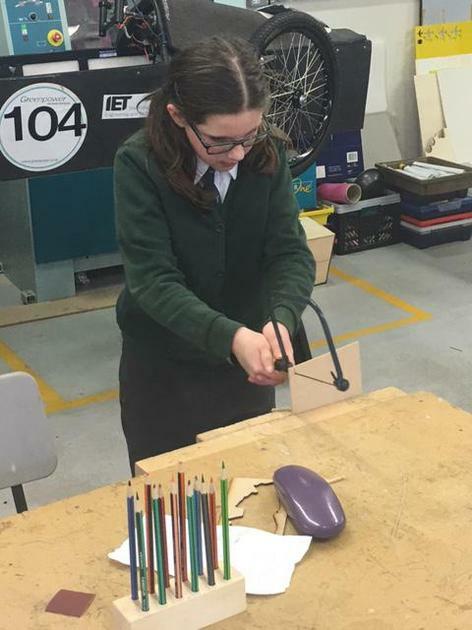 They used saws, drills and vices in their tech session looked to be having great fun. 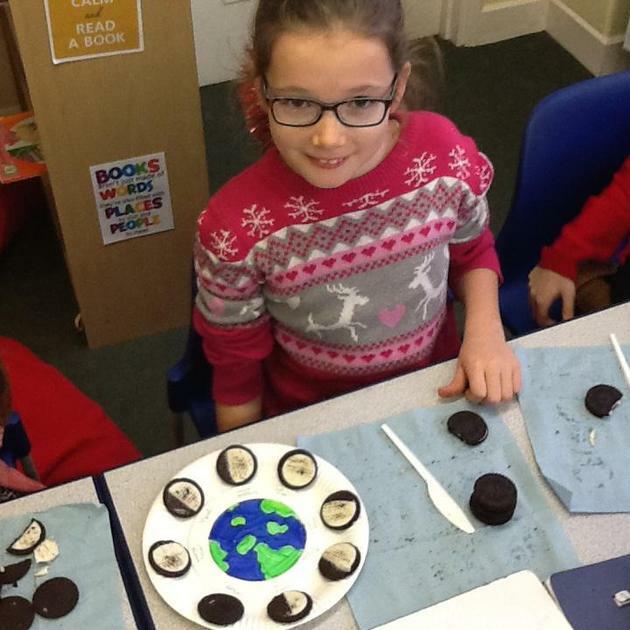 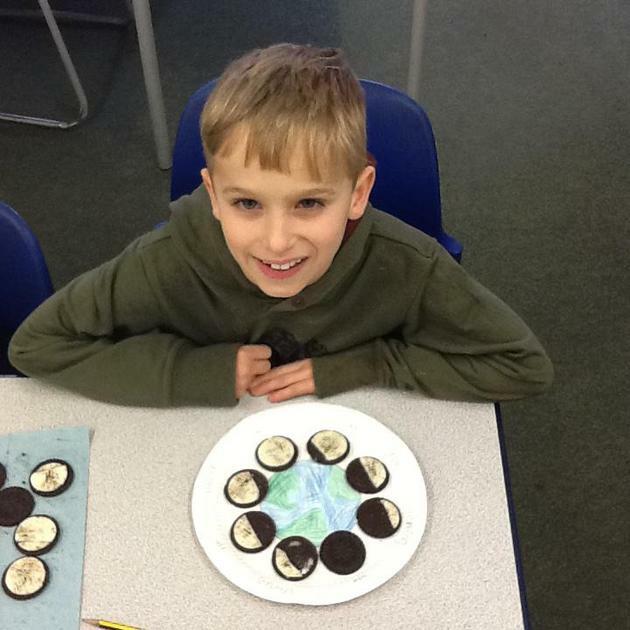 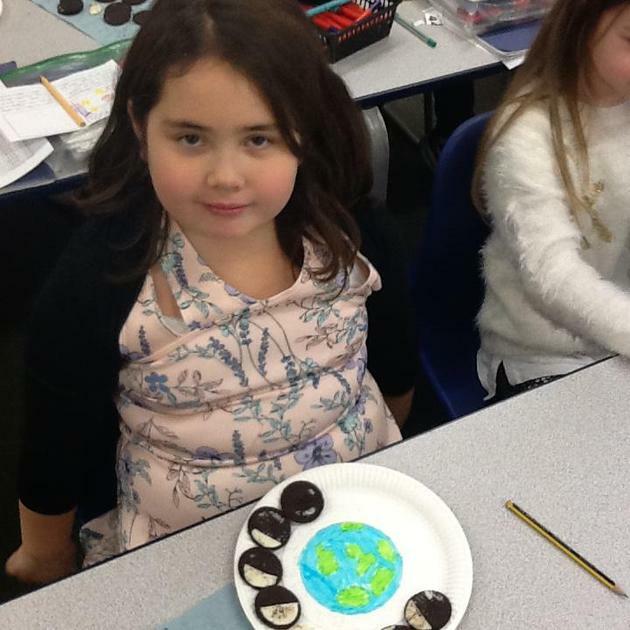 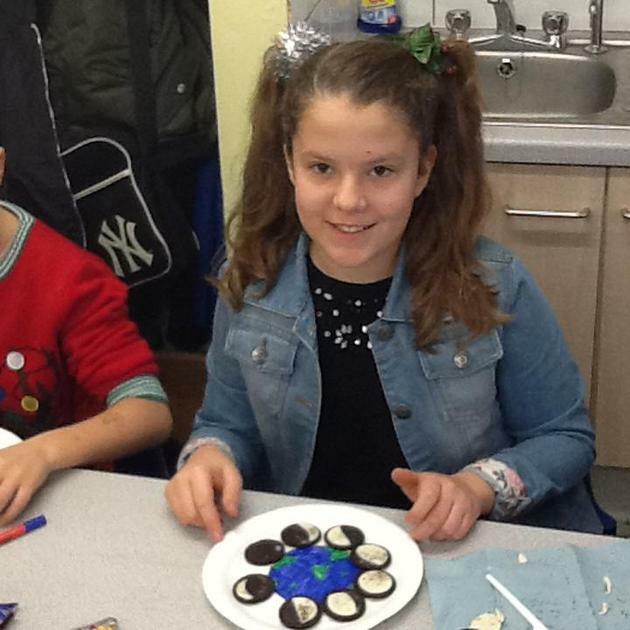 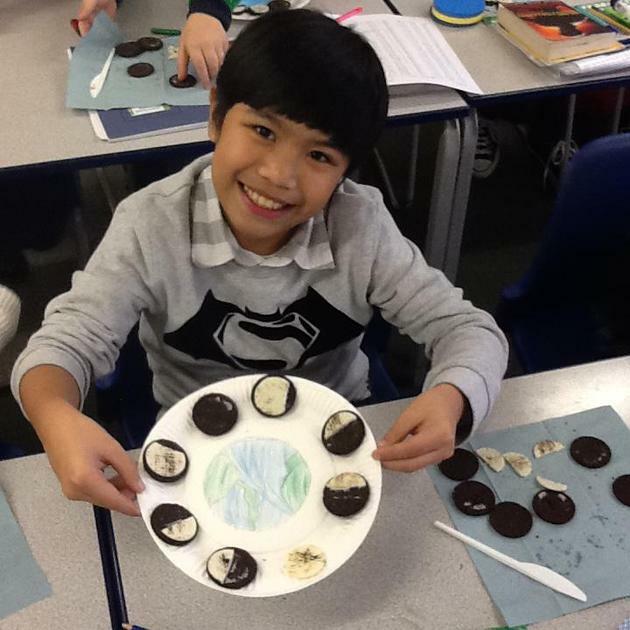 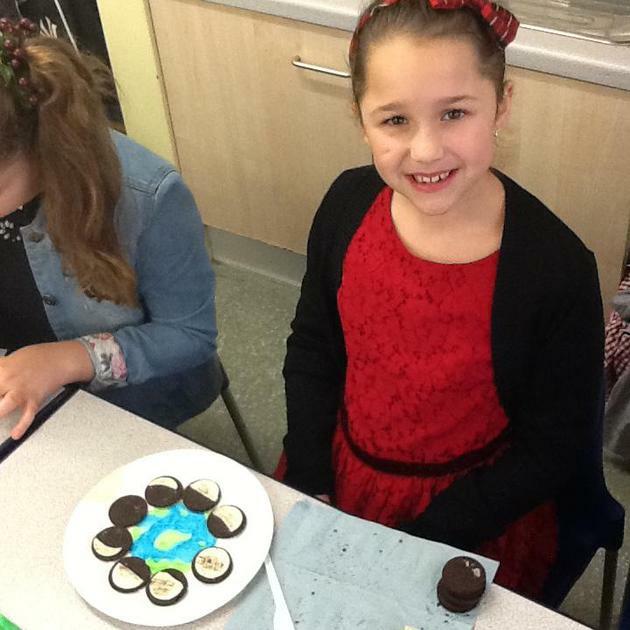 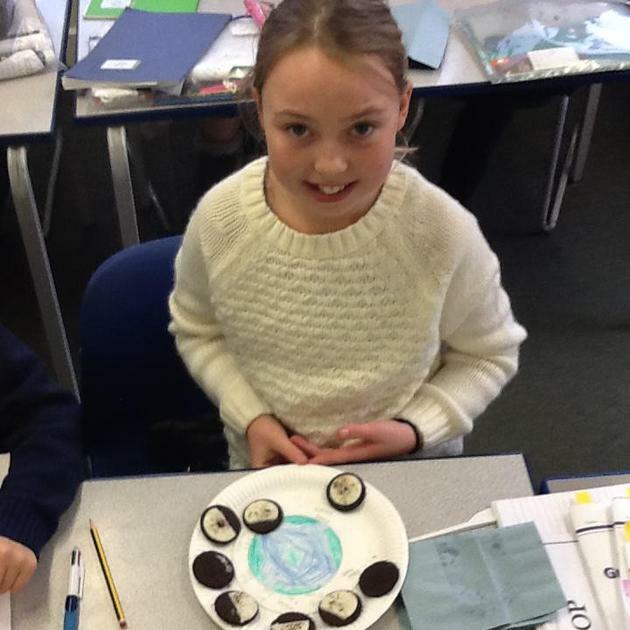 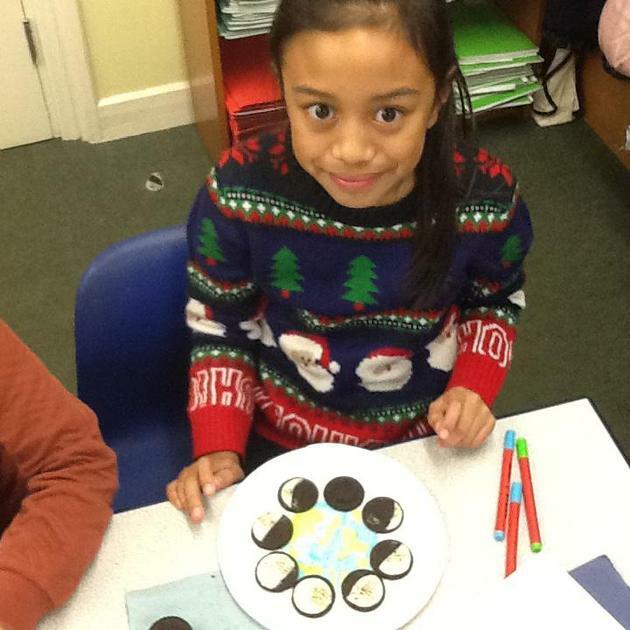 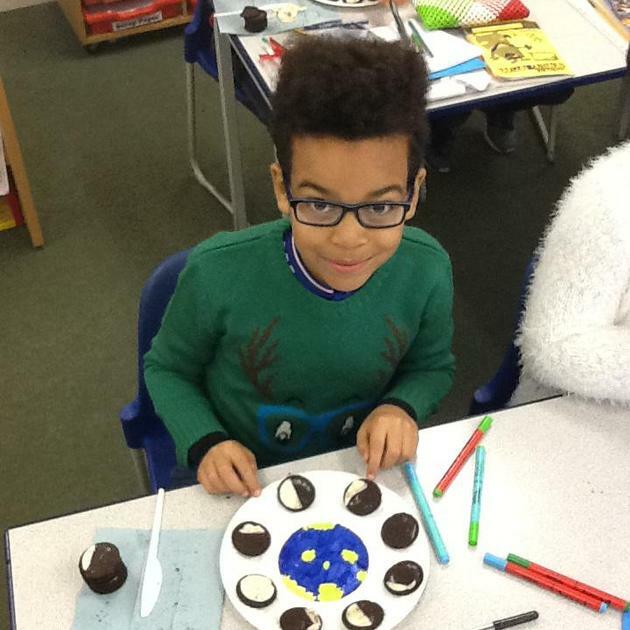 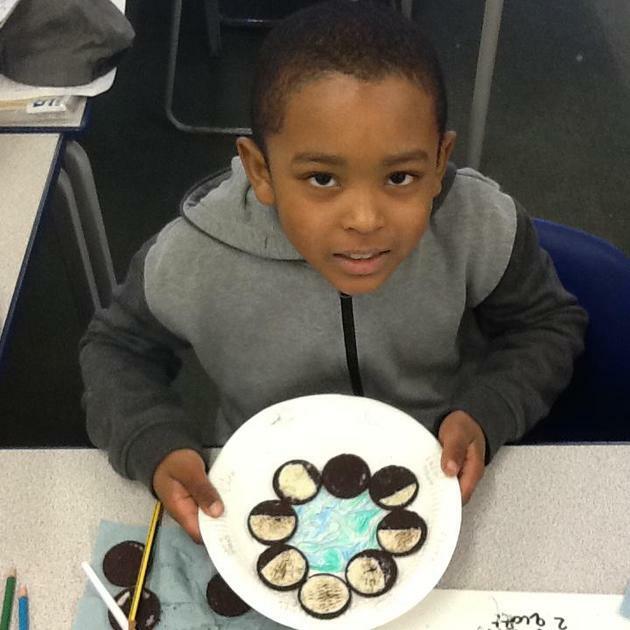 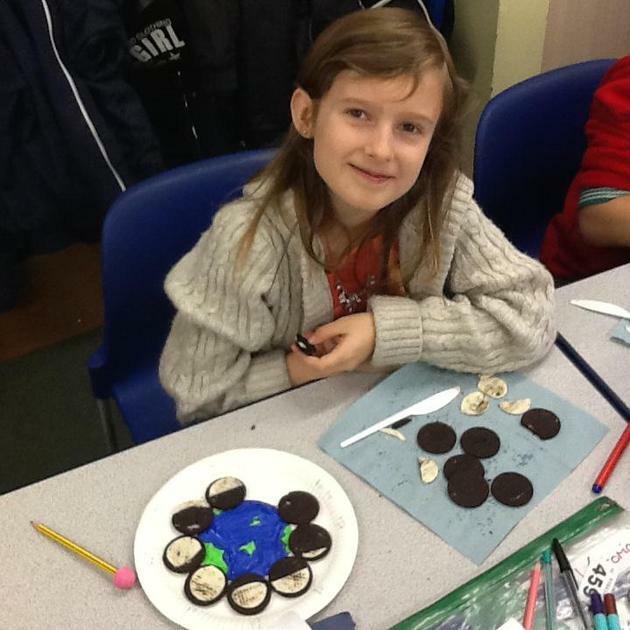 The phases of the moon using Oreo Cookies! 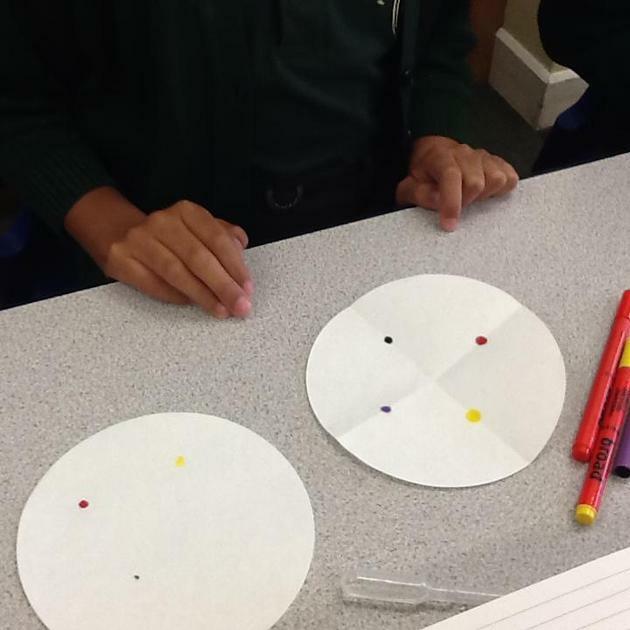 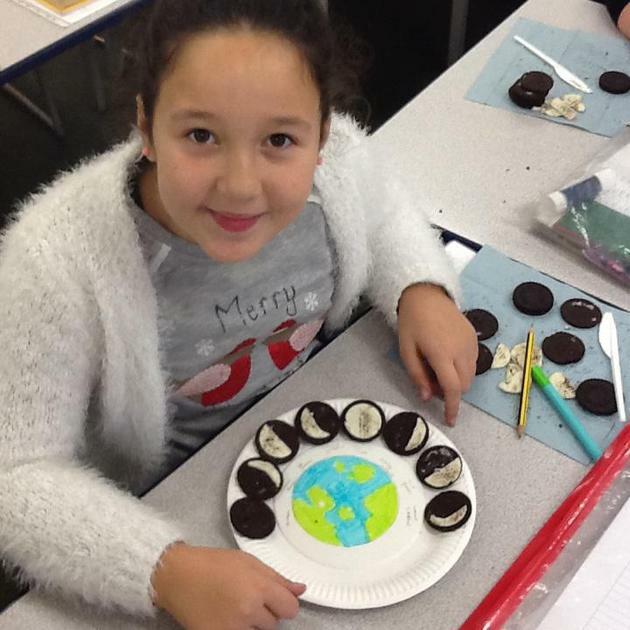 Today Year 5 were studying how the Earth rotates and how it takes 24hours to rotate on its axis and provides us with day and night. 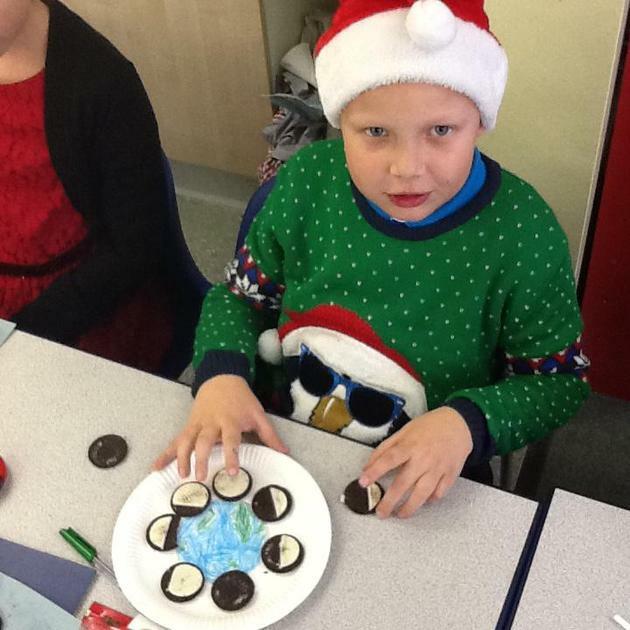 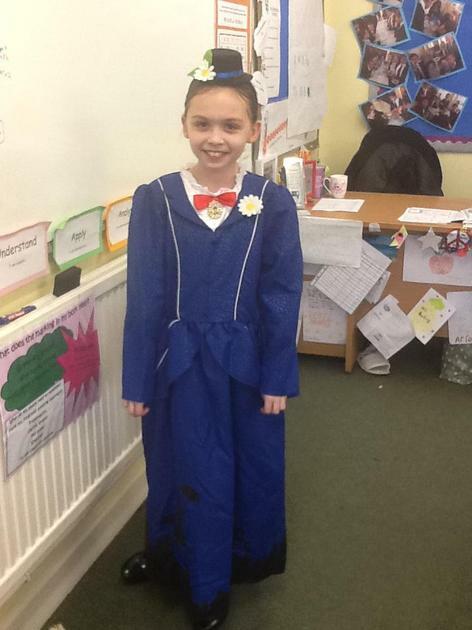 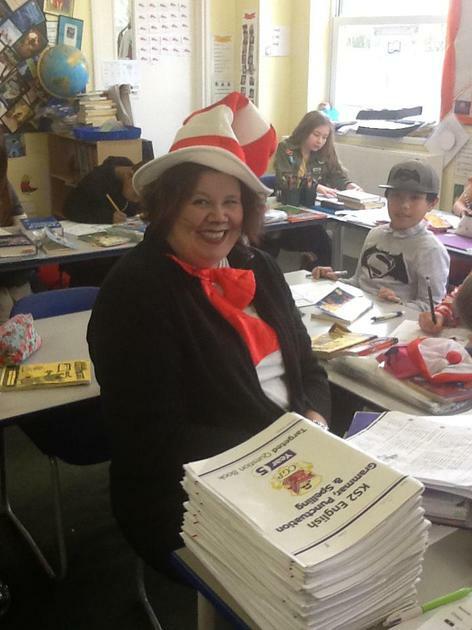 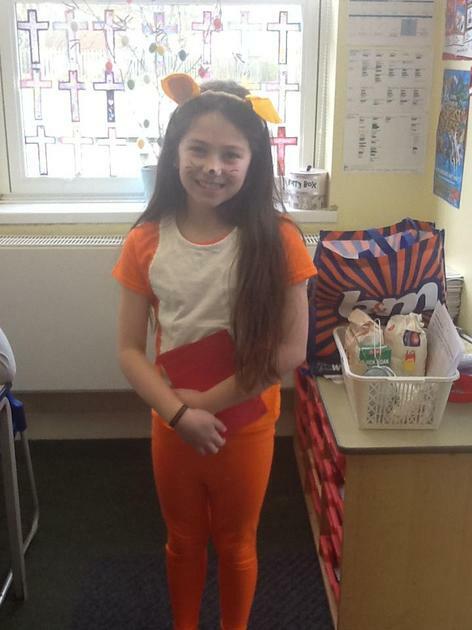 Mrs Rackliff was the Sun and the children were countries. 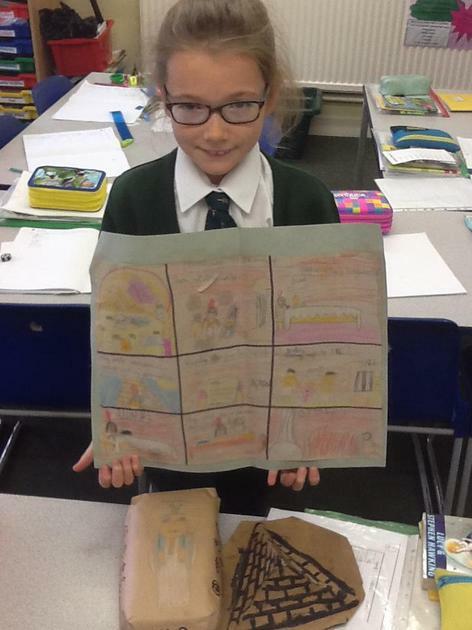 We have been studying WW1. 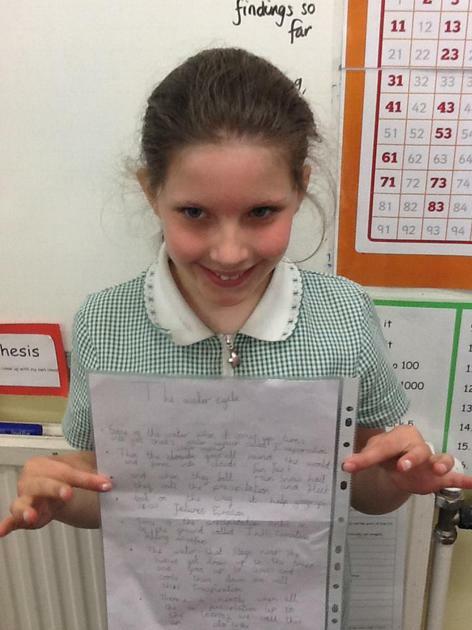 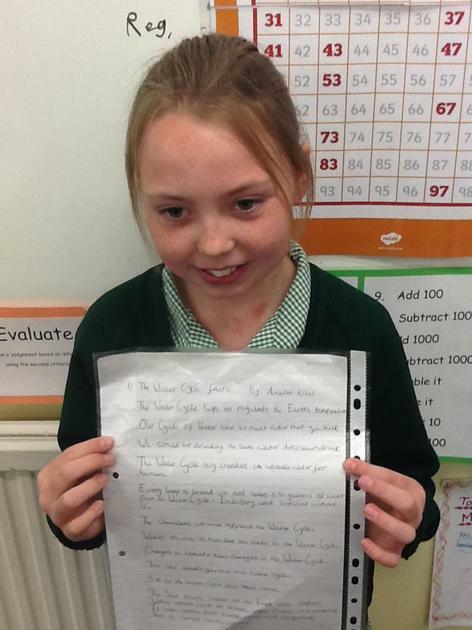 We have written letters from 'the trenches' and poetry. 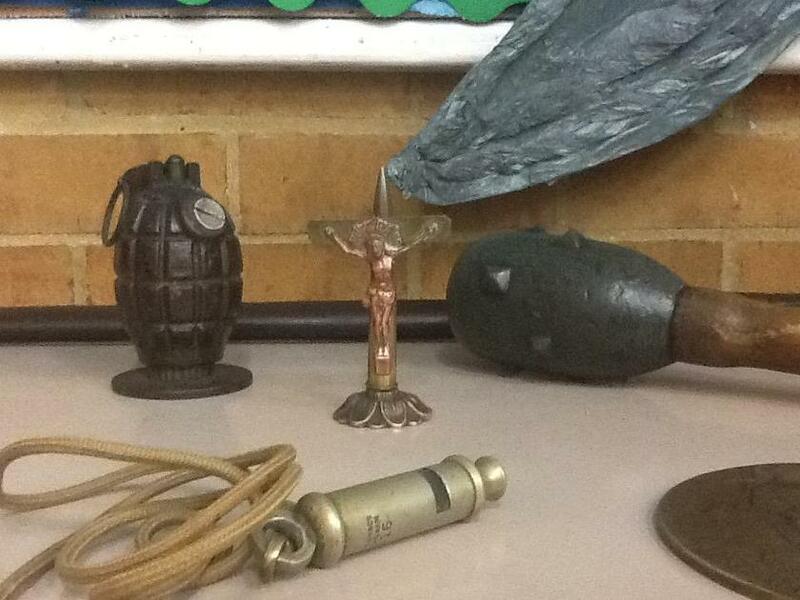 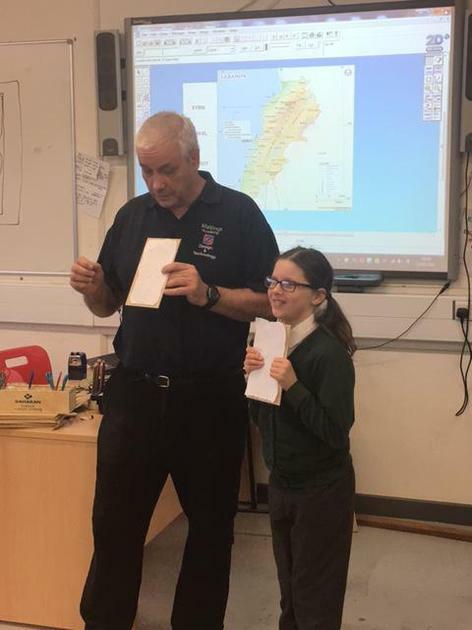 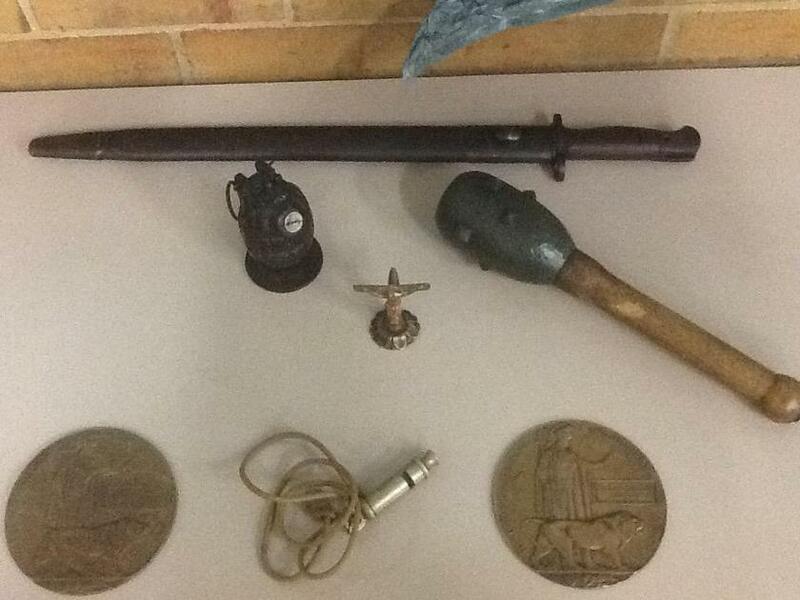 We were also very lucky to have General Richard Kemp in school to speak to us about the Centenary of The Battle of The Somme and show us military artefacts. 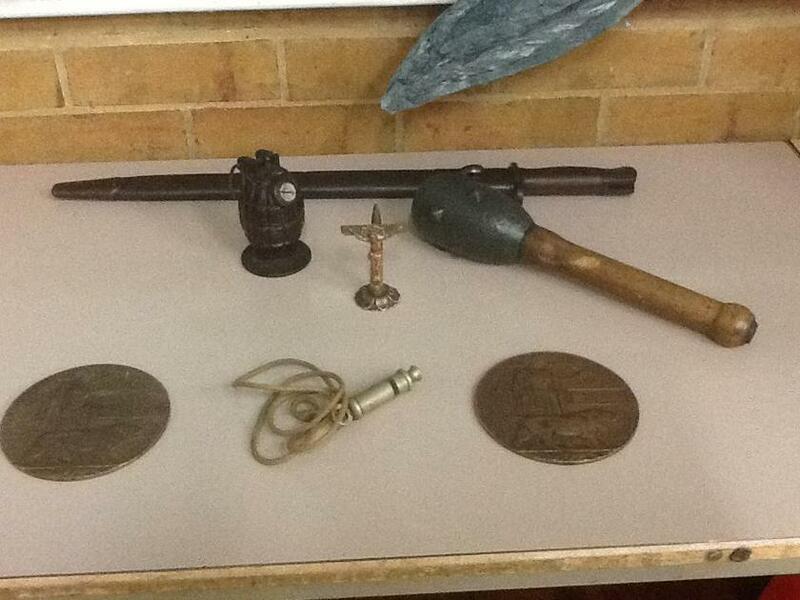 This has all tied in with Rememberance day. 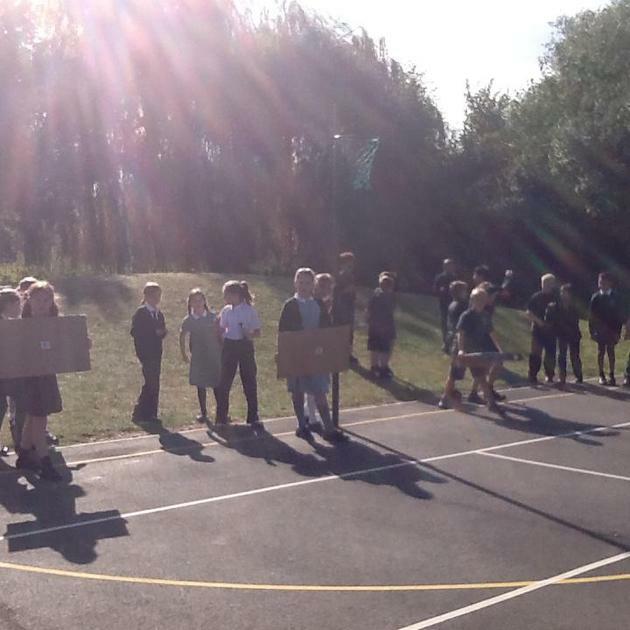 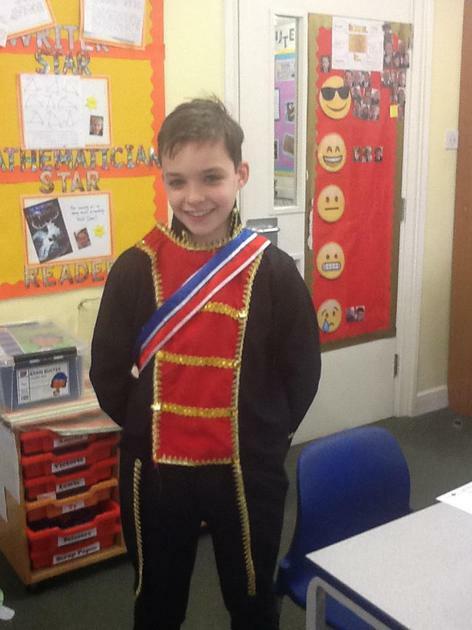 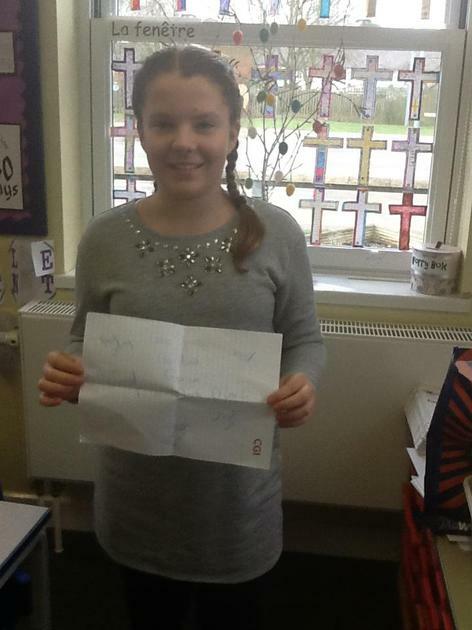 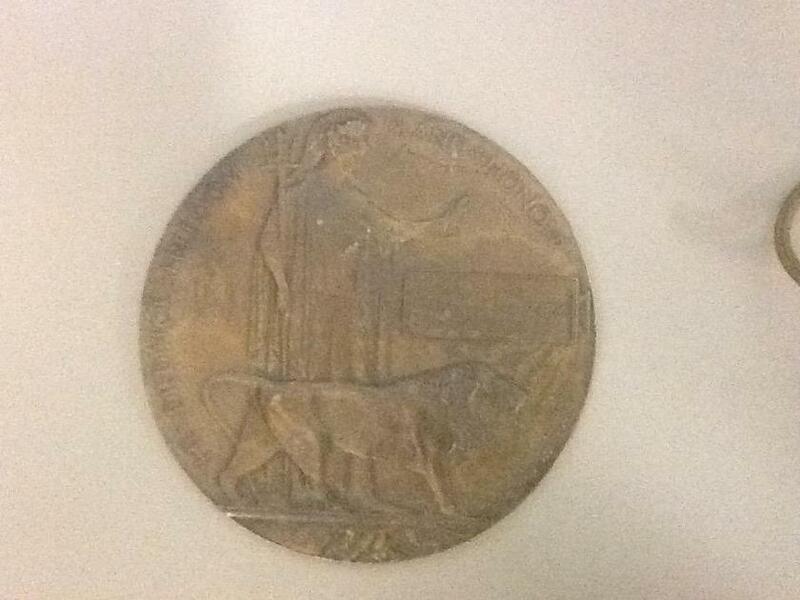 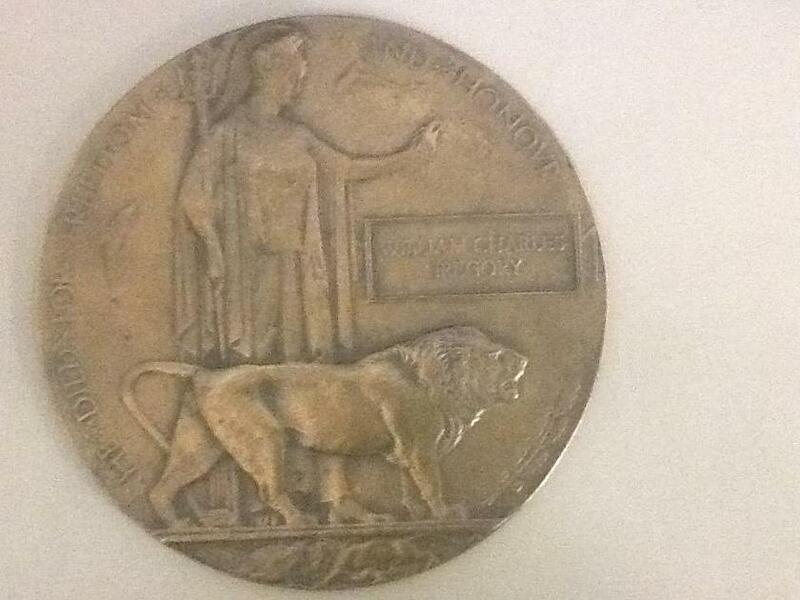 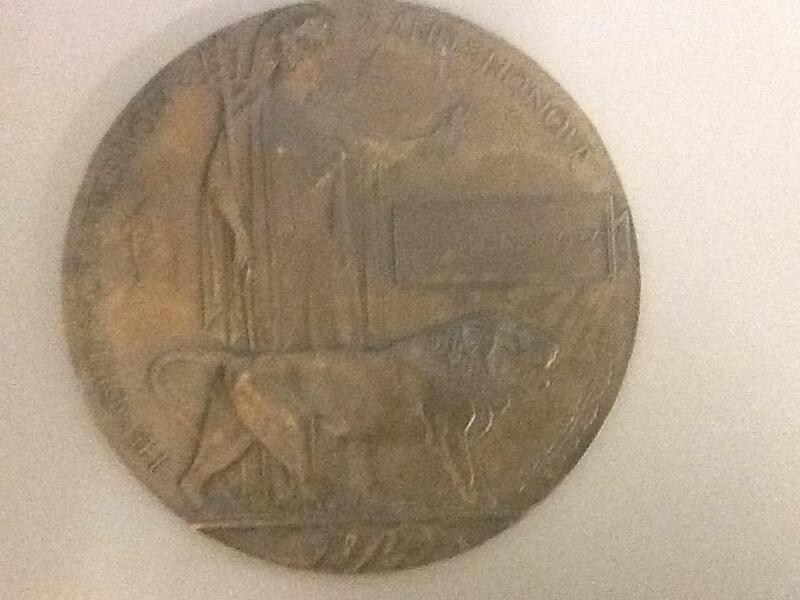 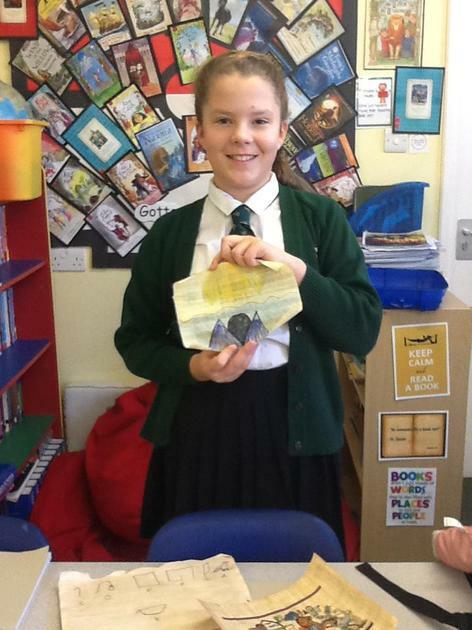 Some members of our class discovered that they had relatives who had served in WW1. 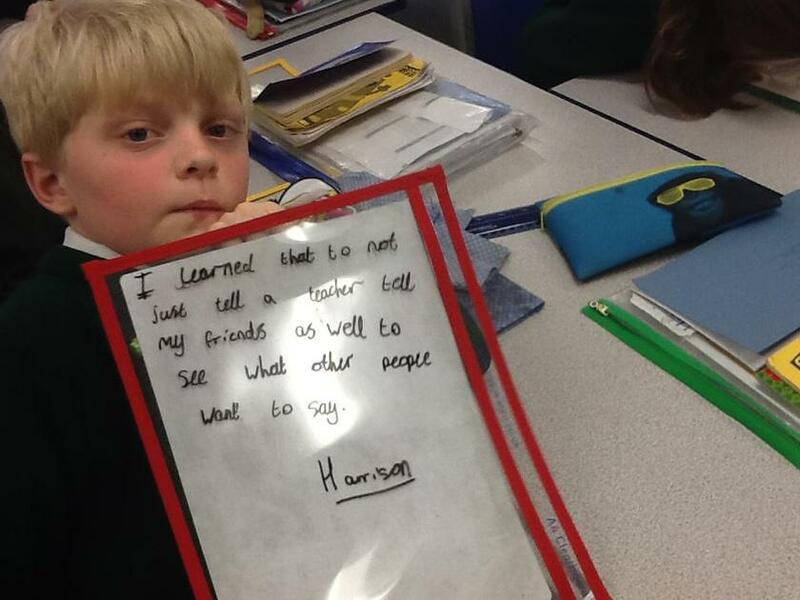 They researched their family member and brought in information and pictures for our display in class. 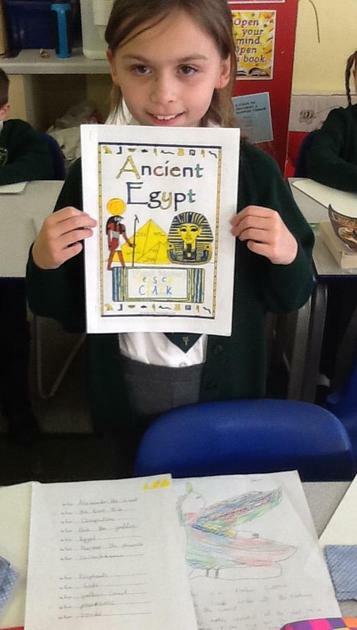 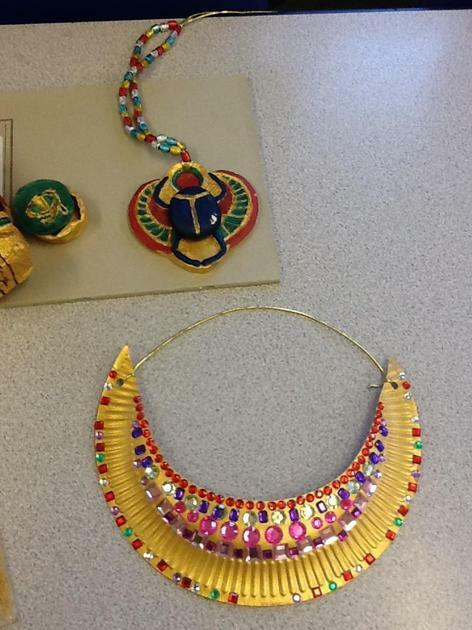 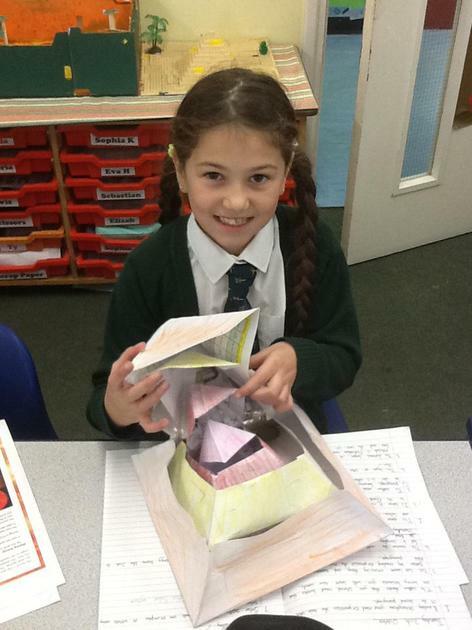 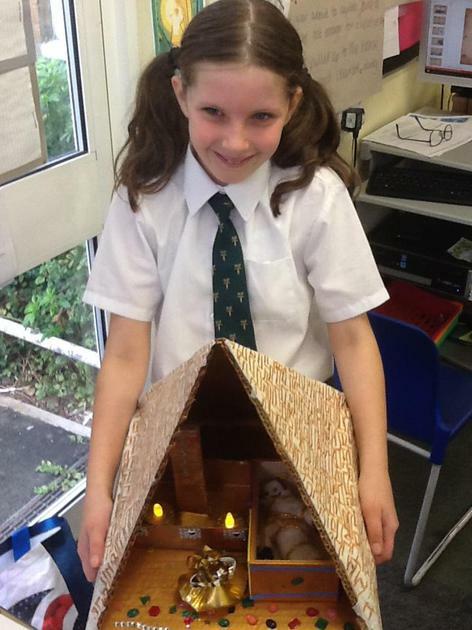 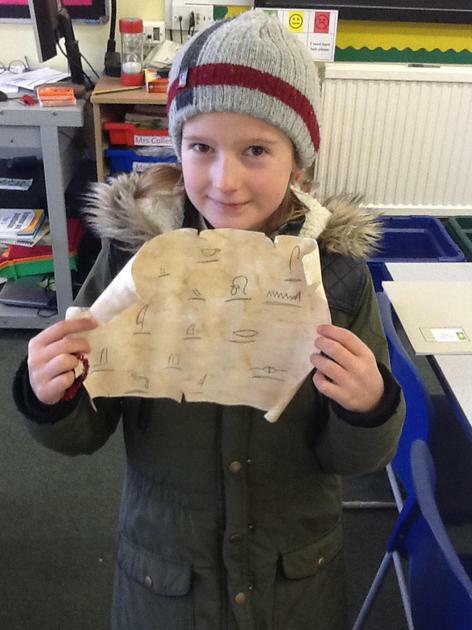 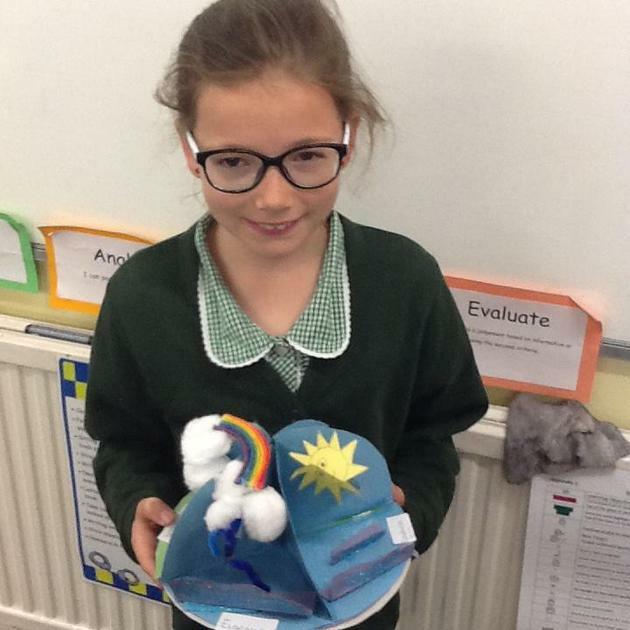 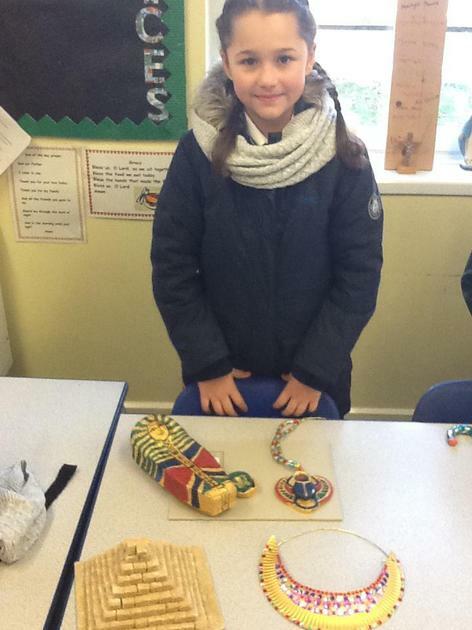 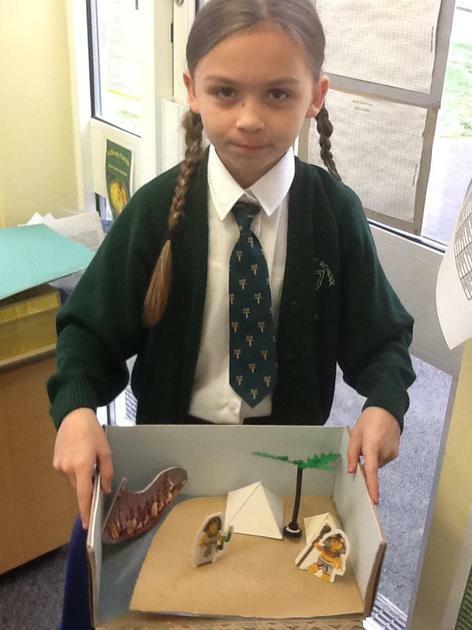 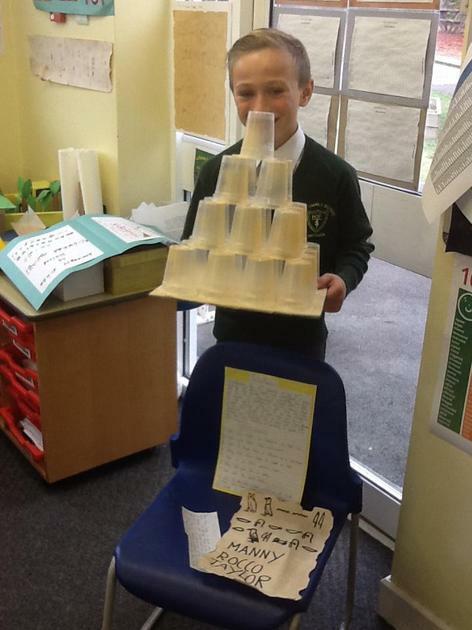 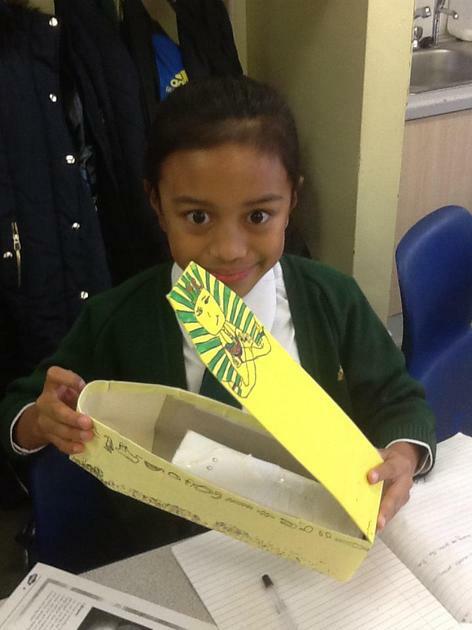 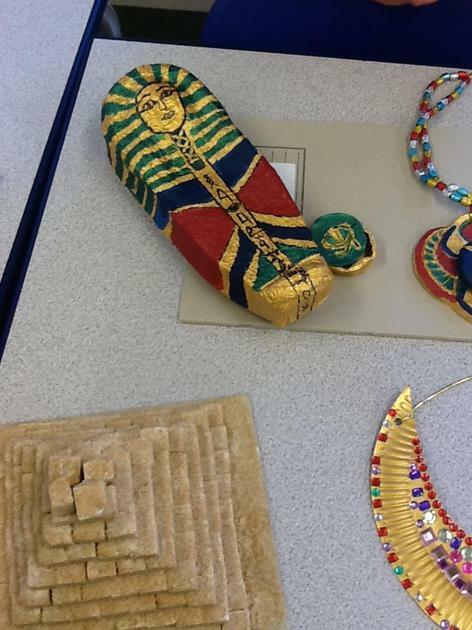 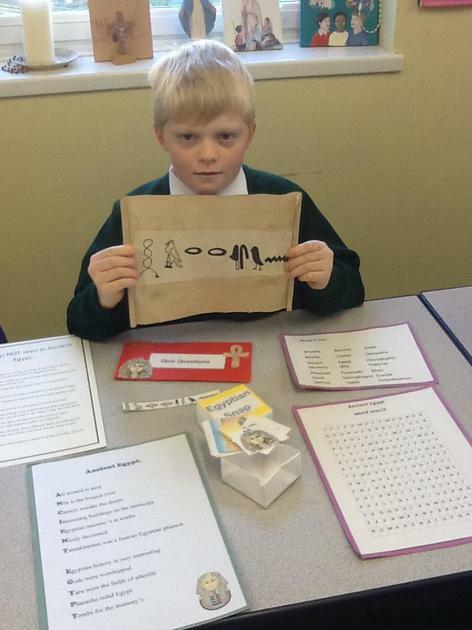 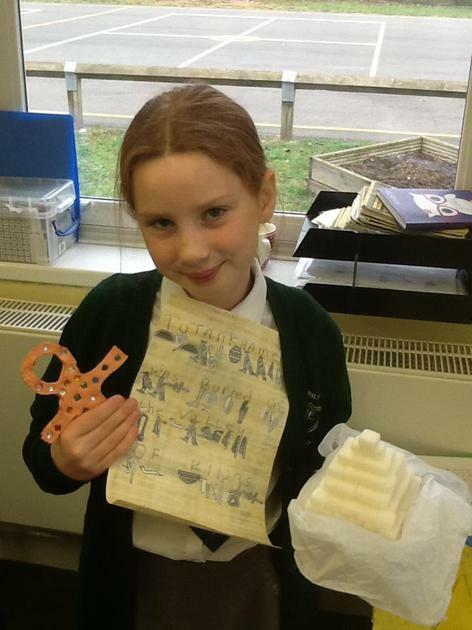 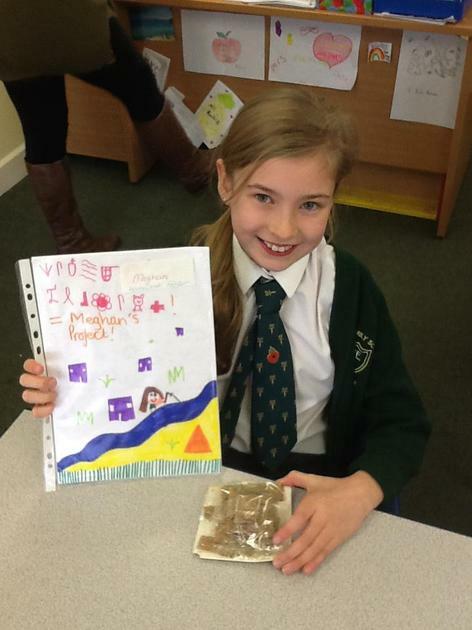 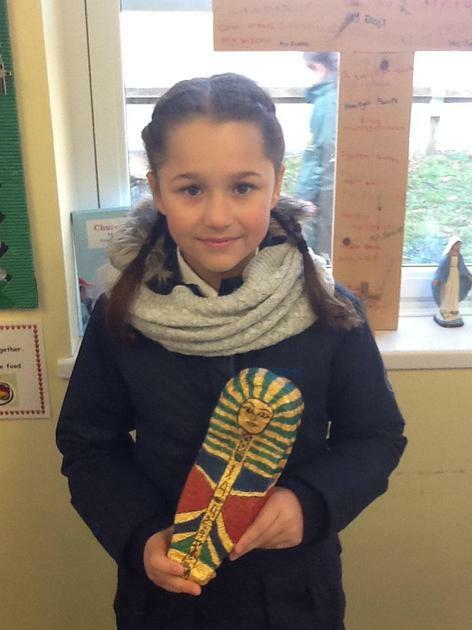 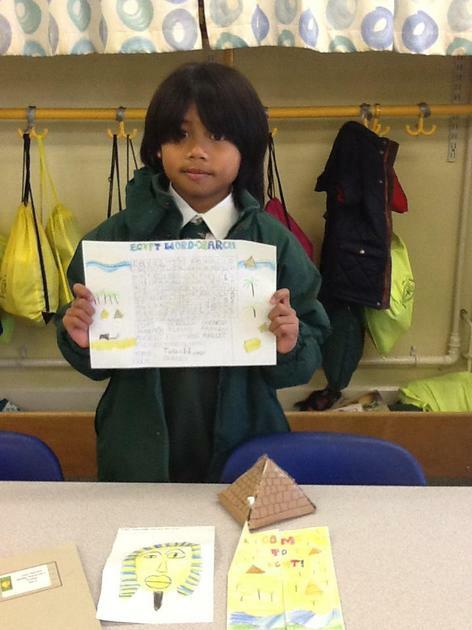 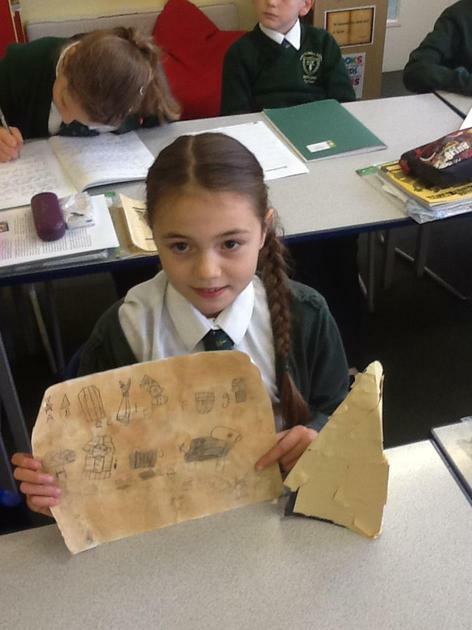 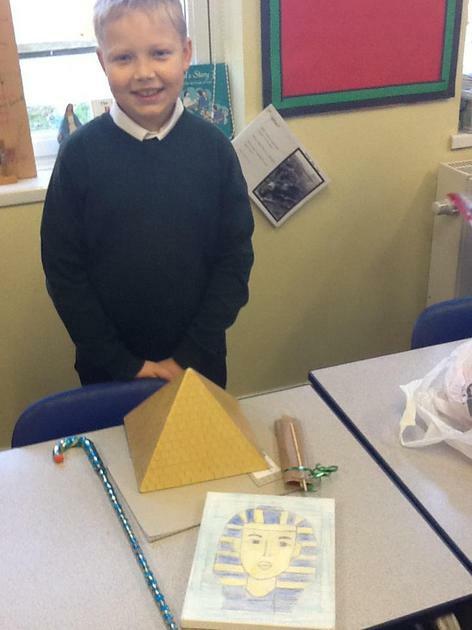 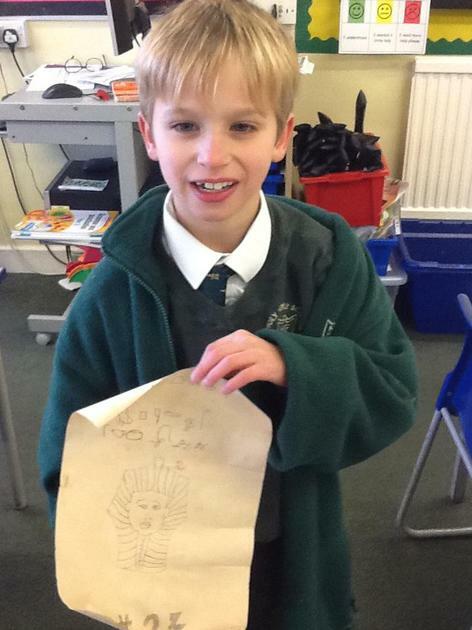 Look at our brilliant Egyptian projects. 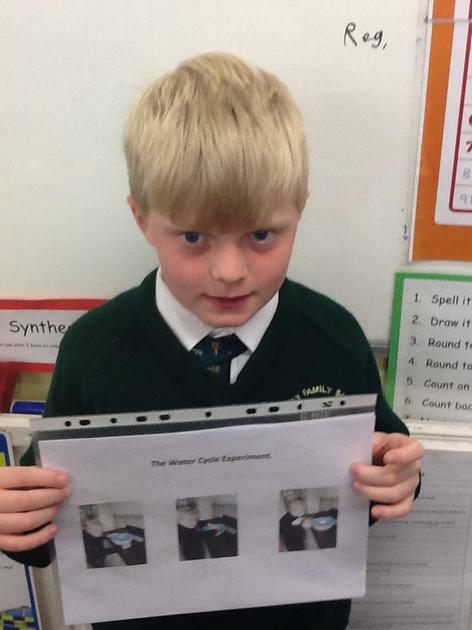 This is our new reading challenge. 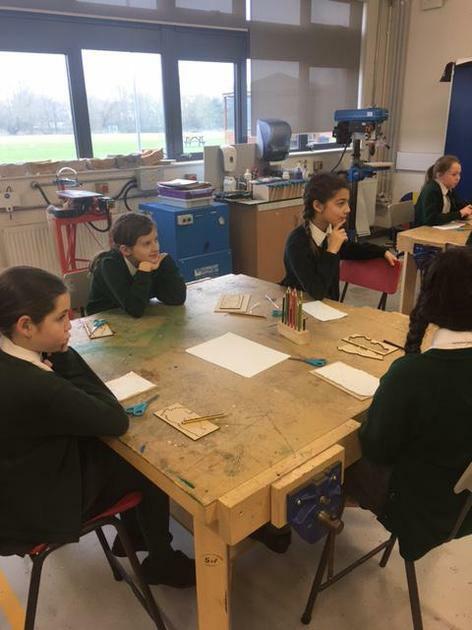 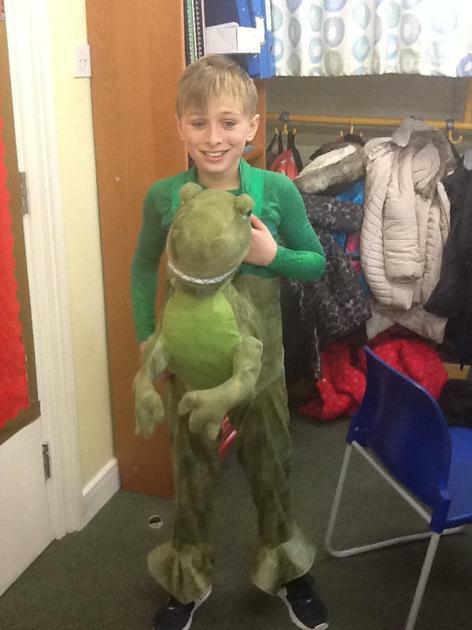 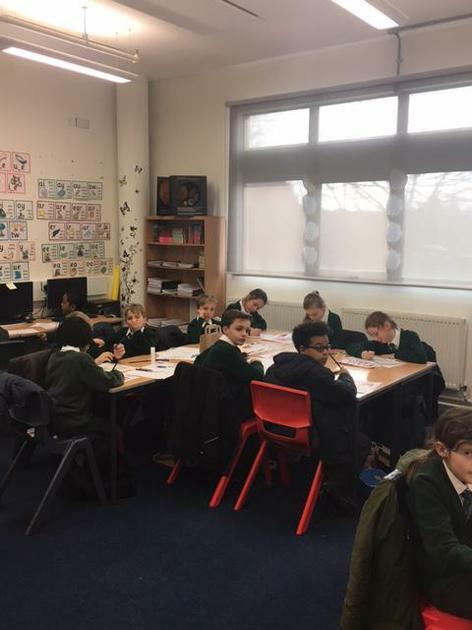 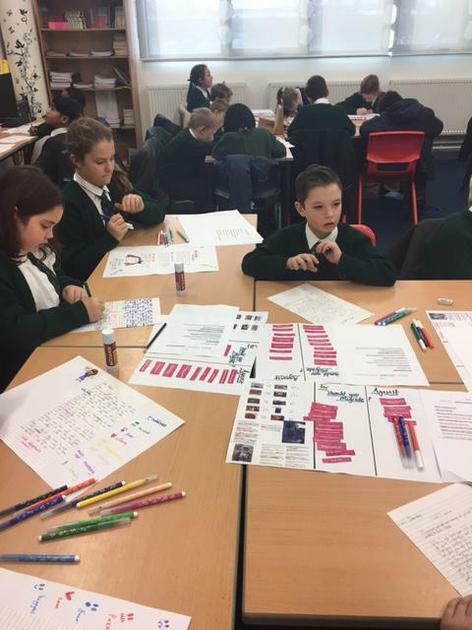 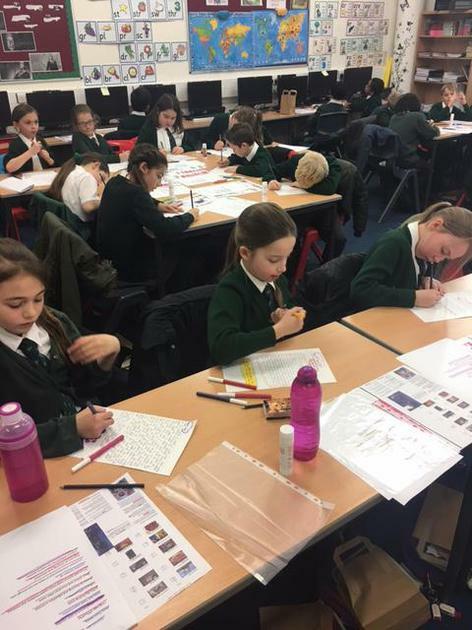 We are hoping to broaden our knowledge of classic stories so that we are ready to meet the challenges of the year 5 curriculum. 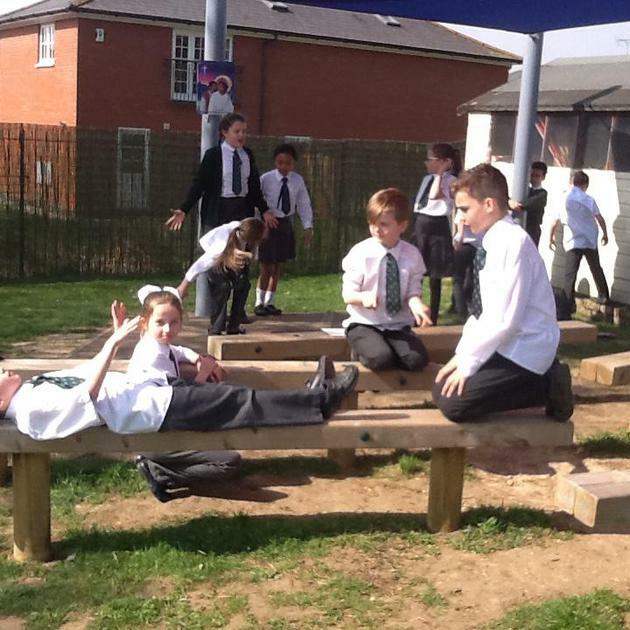 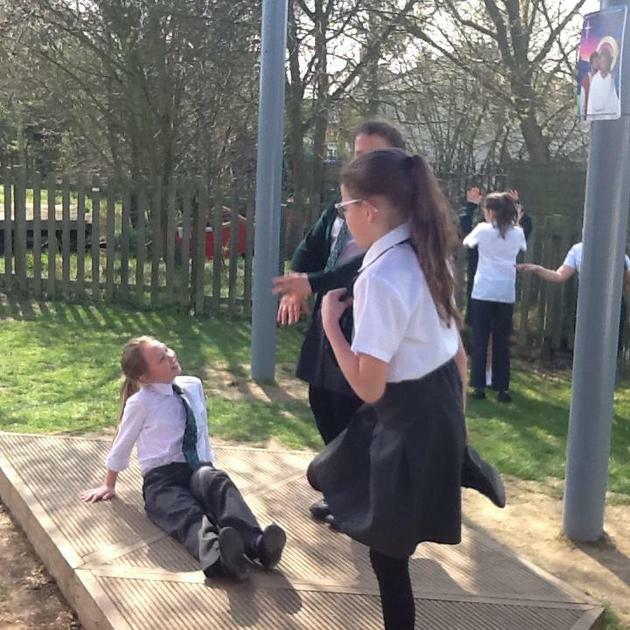 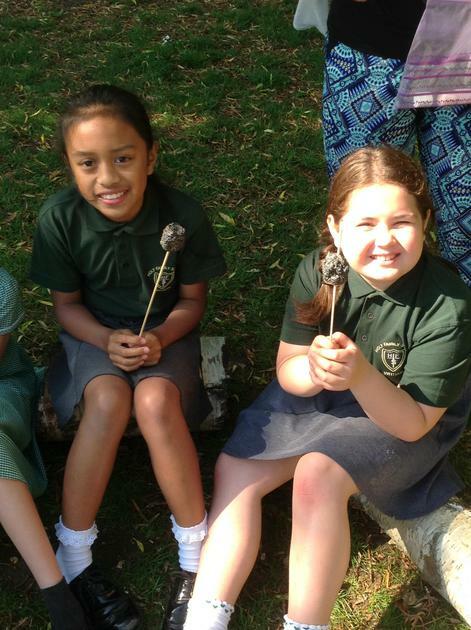 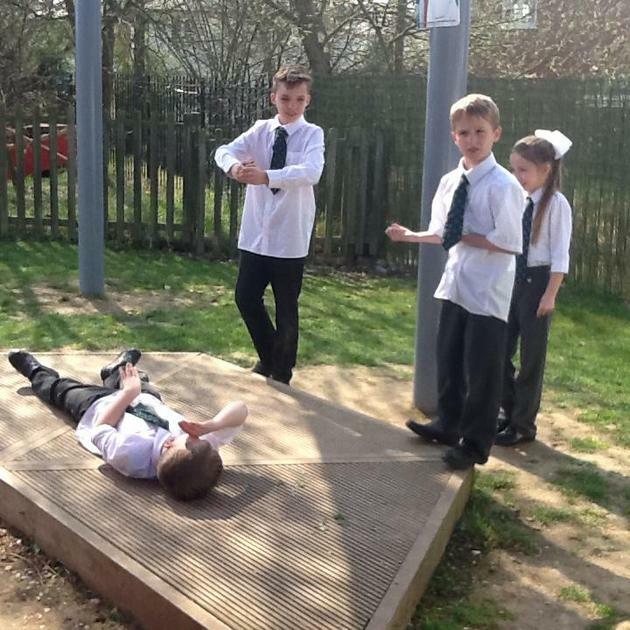 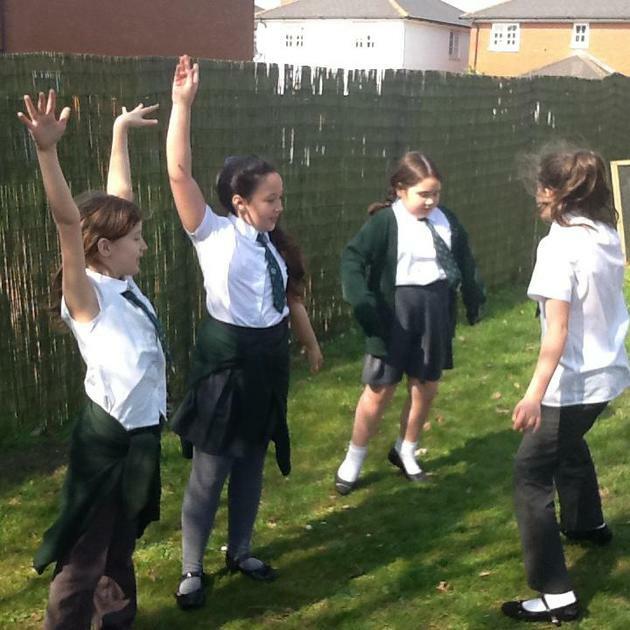 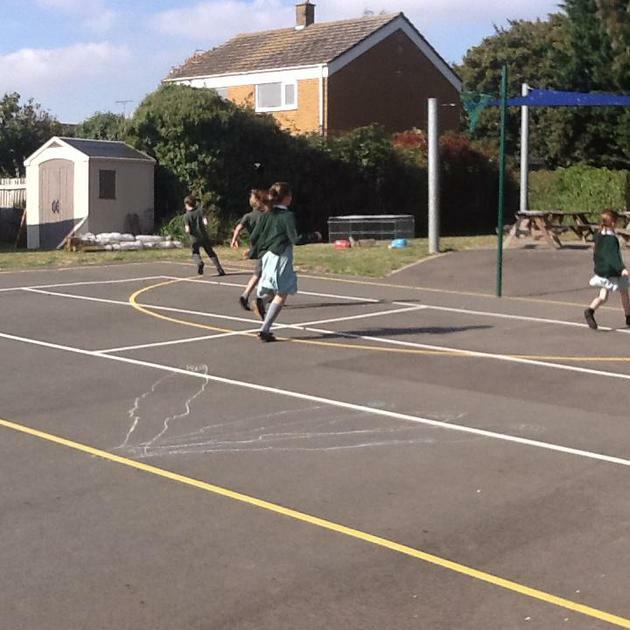 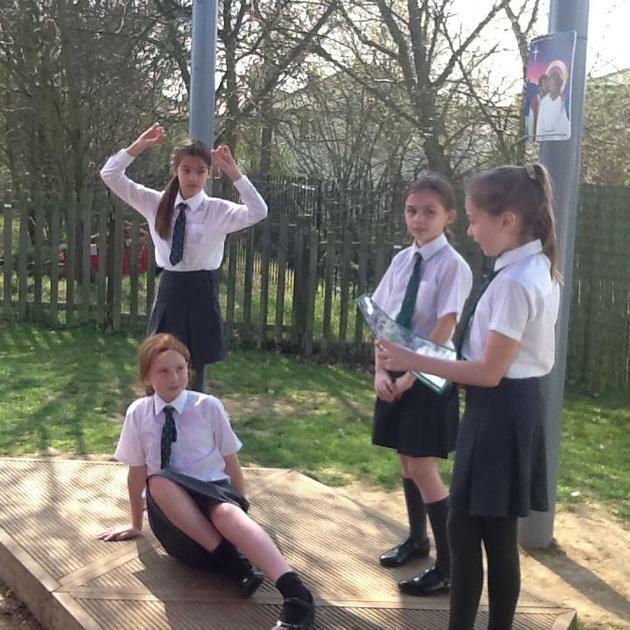 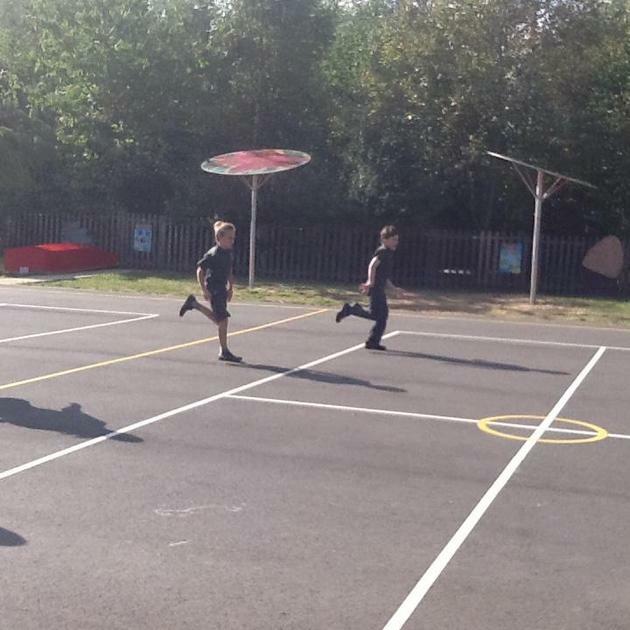 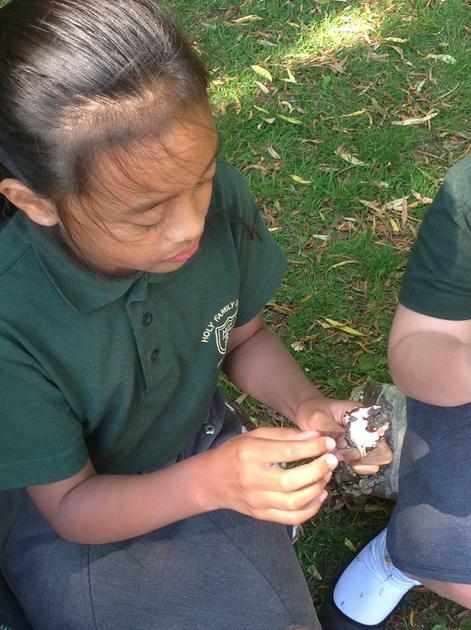 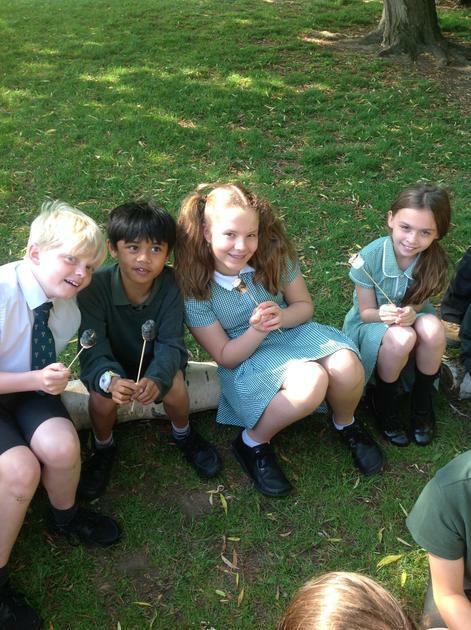 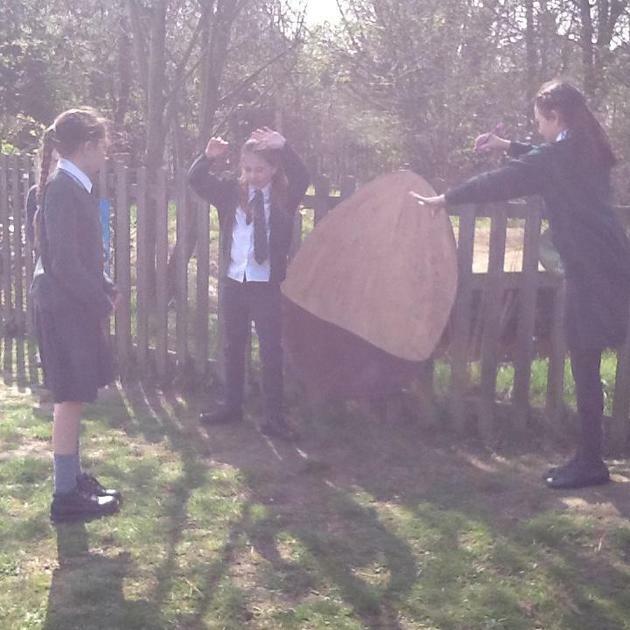 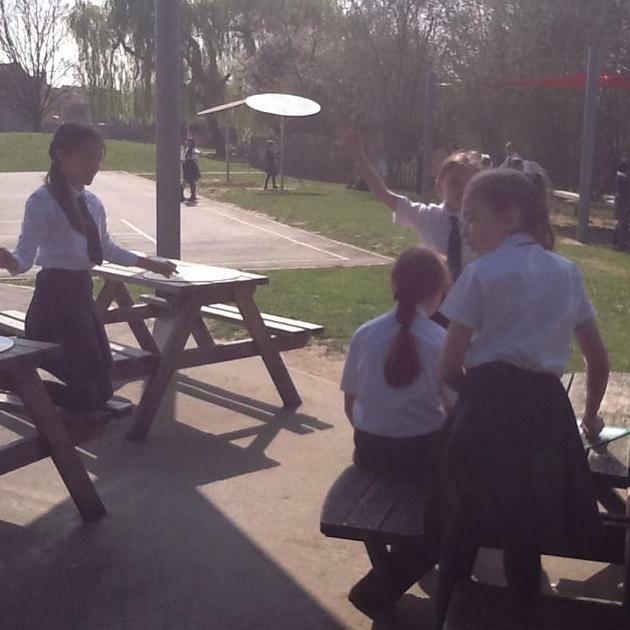 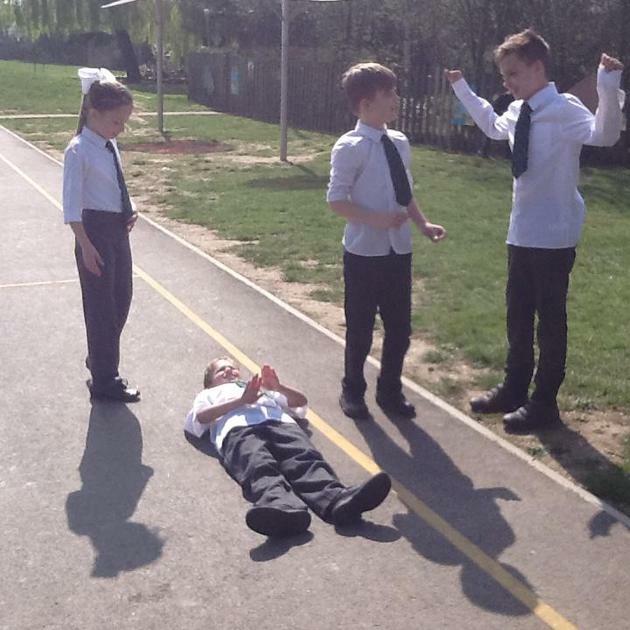 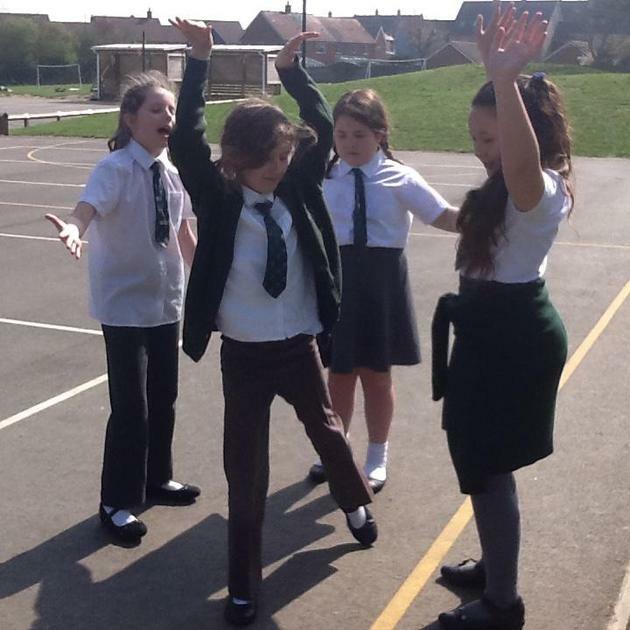 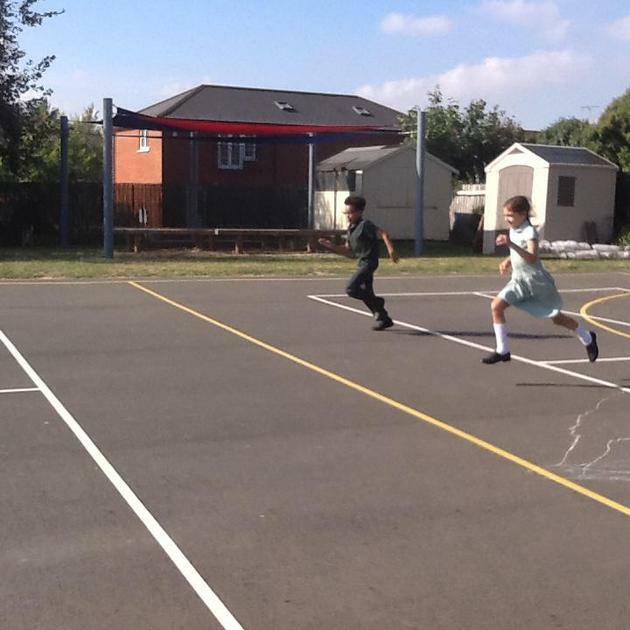 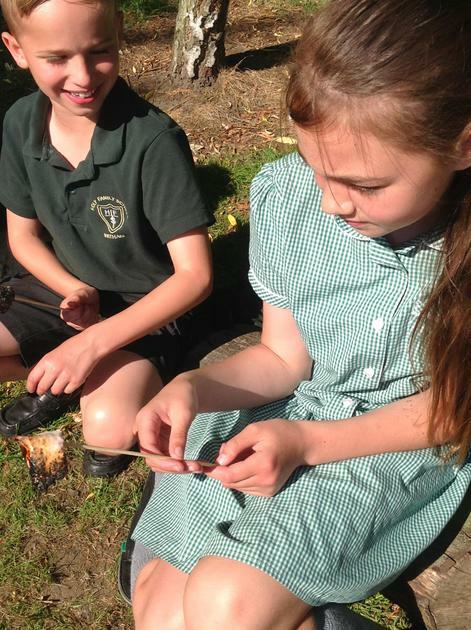 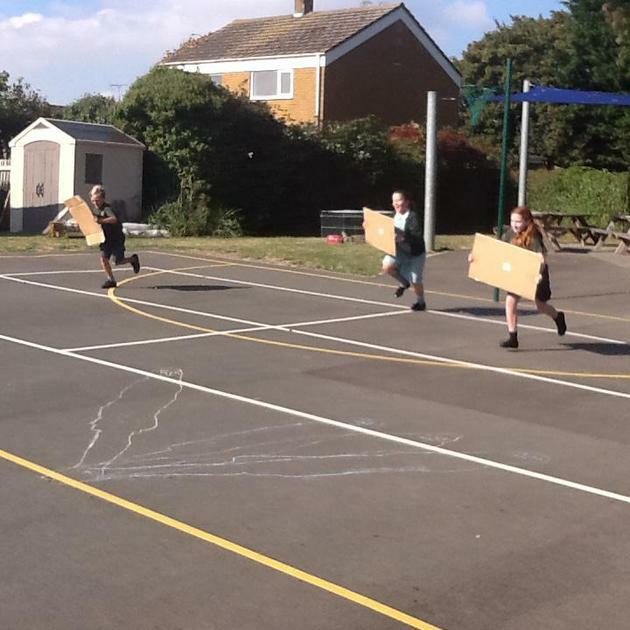 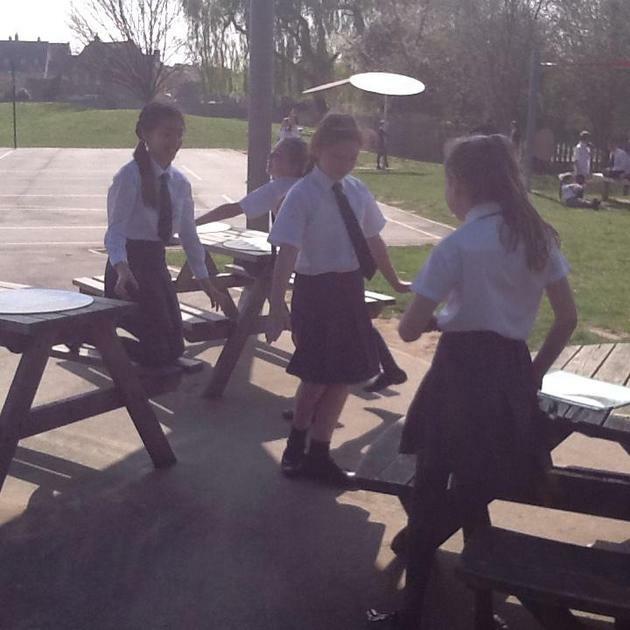 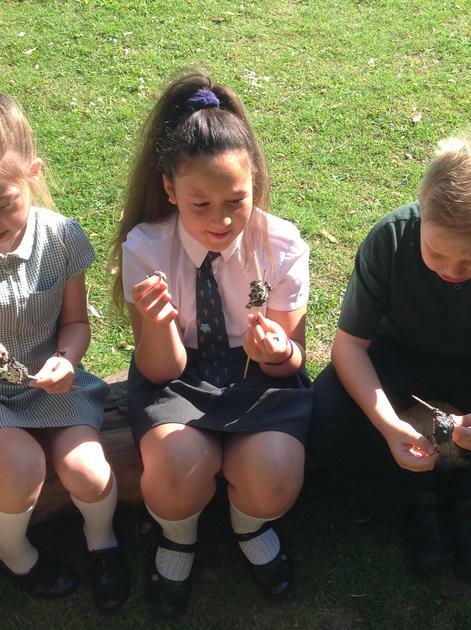 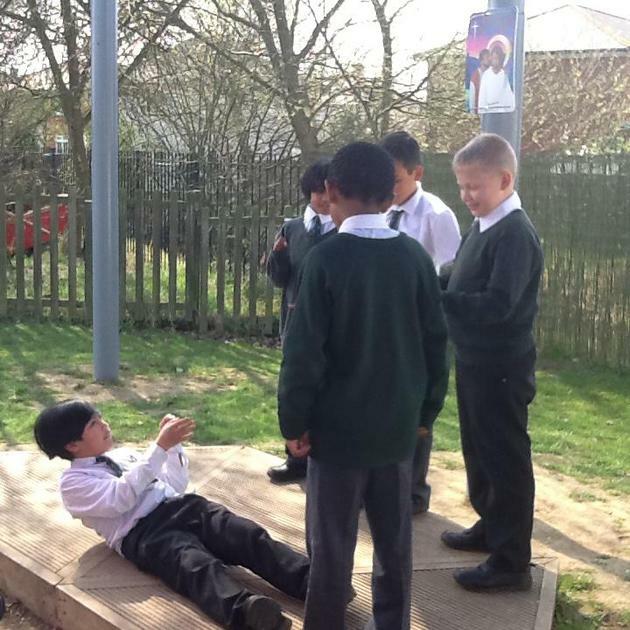 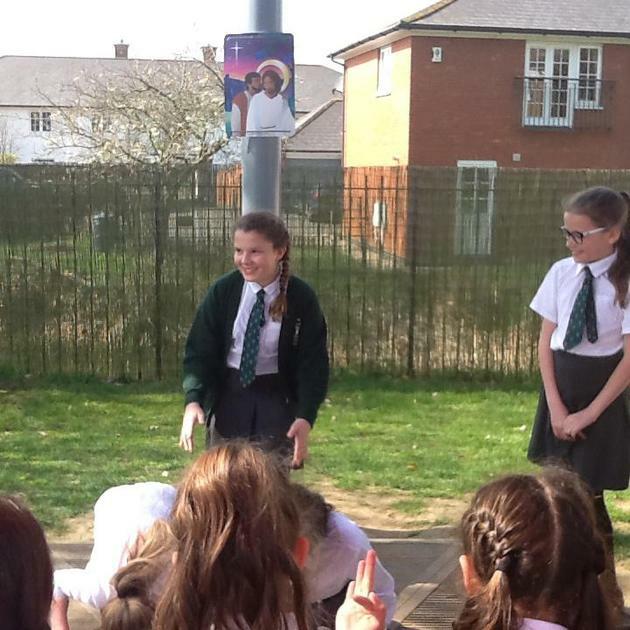 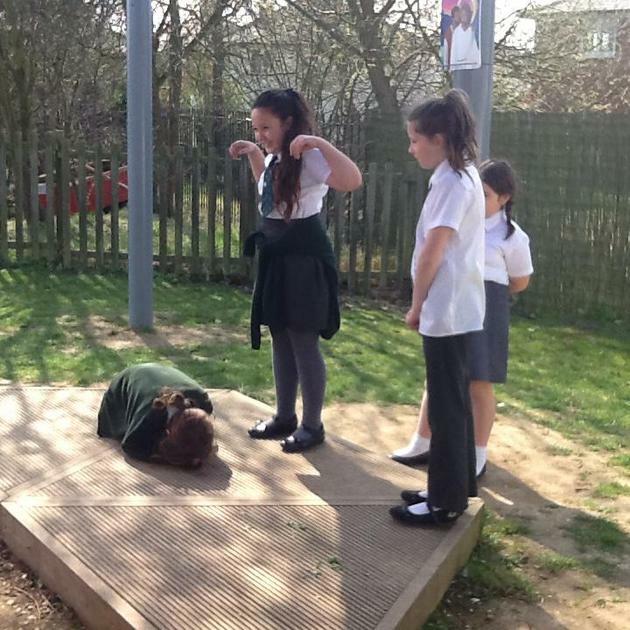 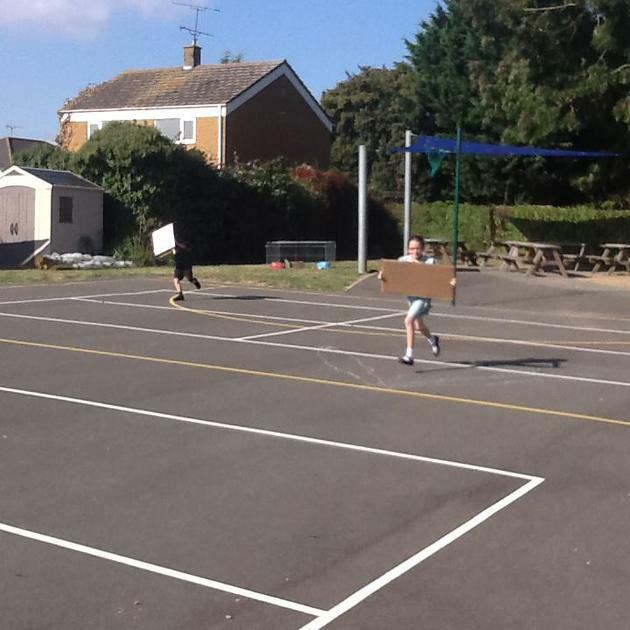 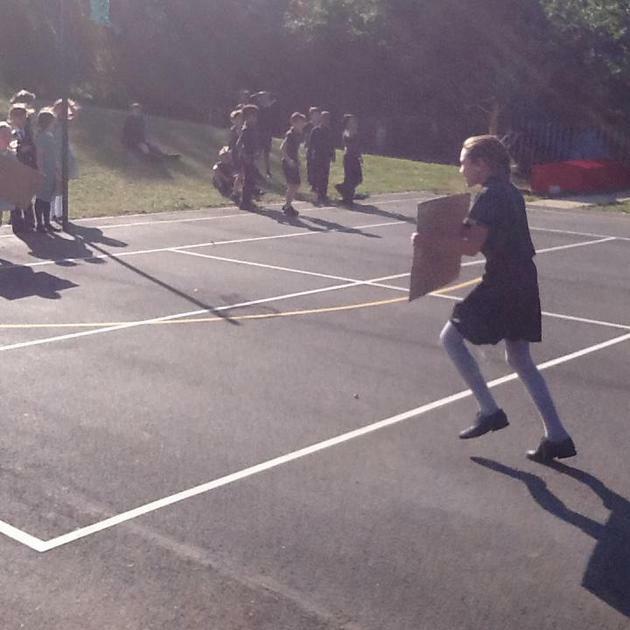 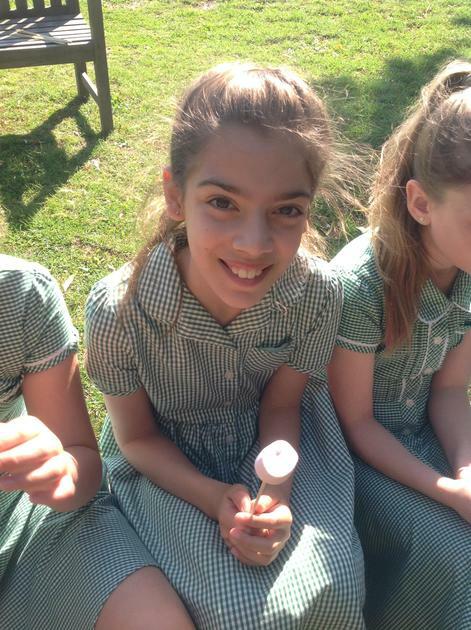 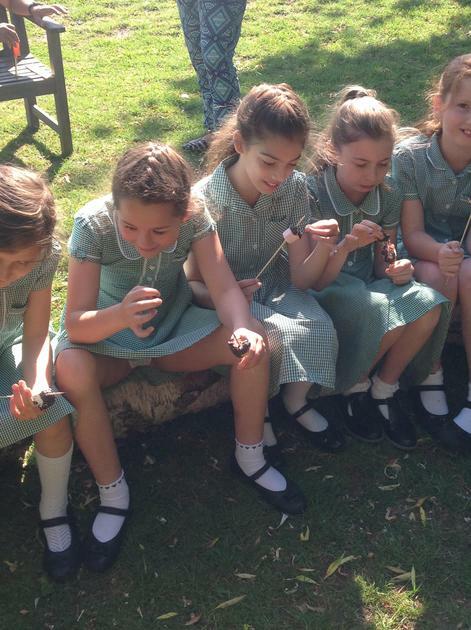 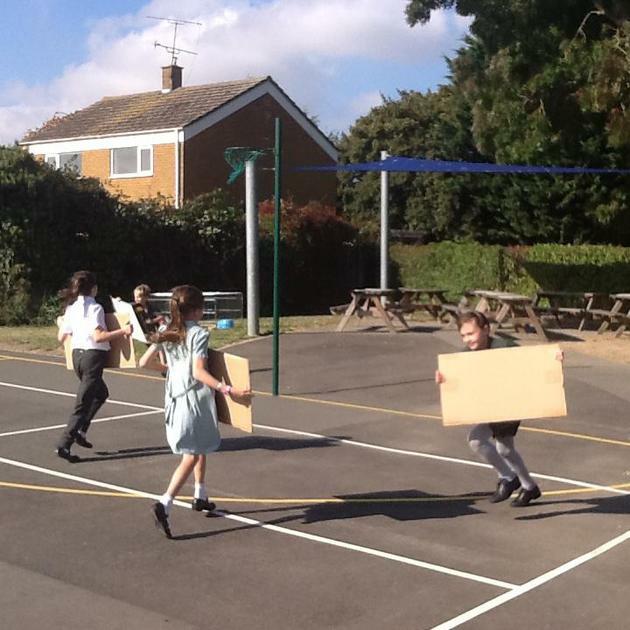 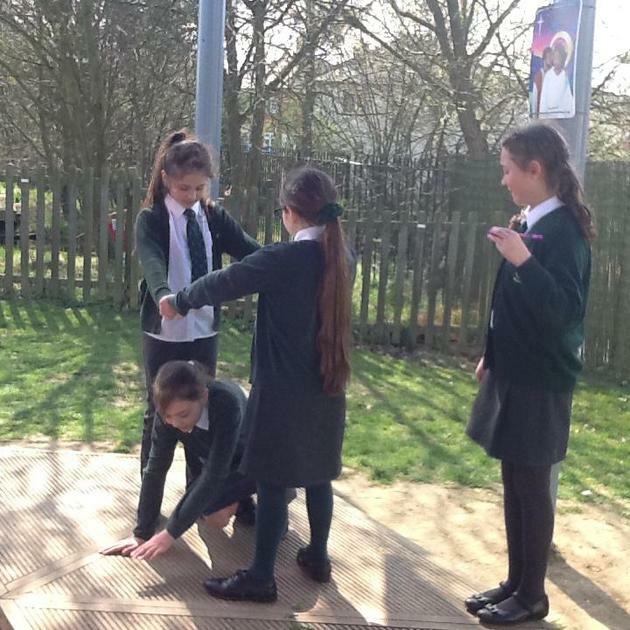 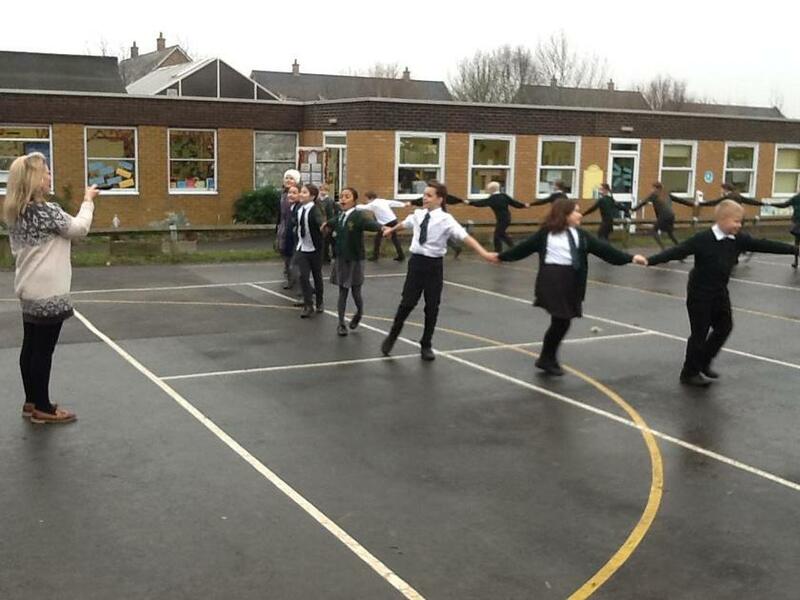 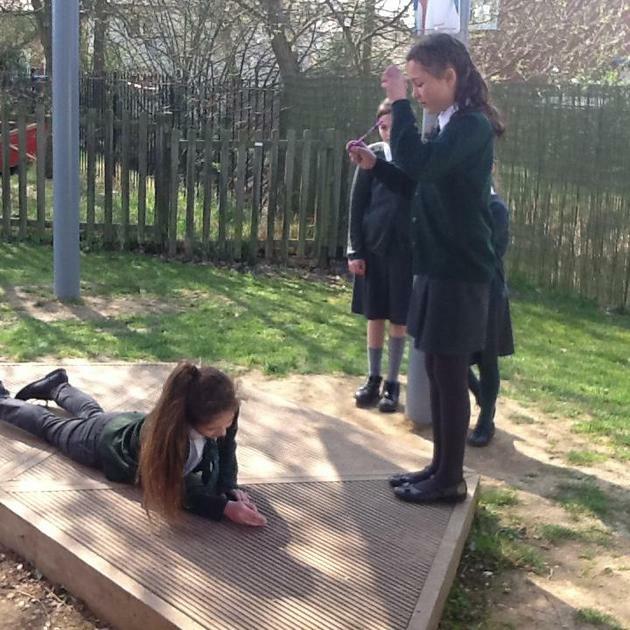 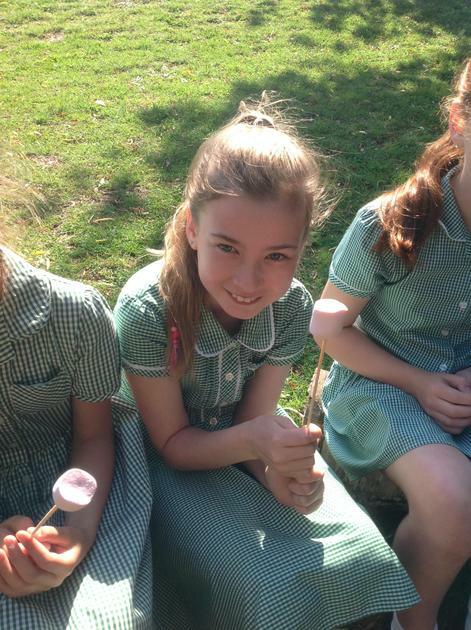 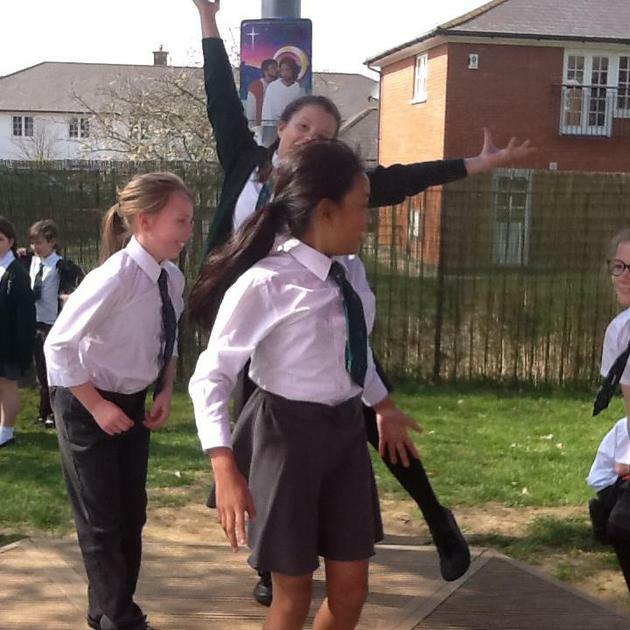 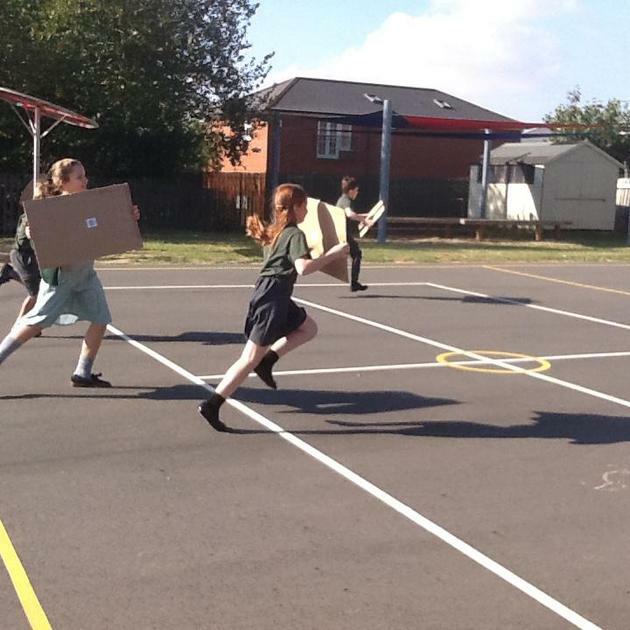 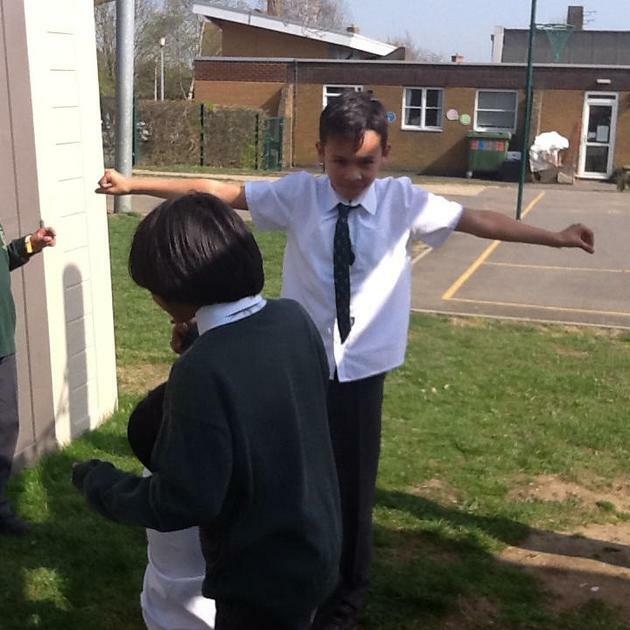 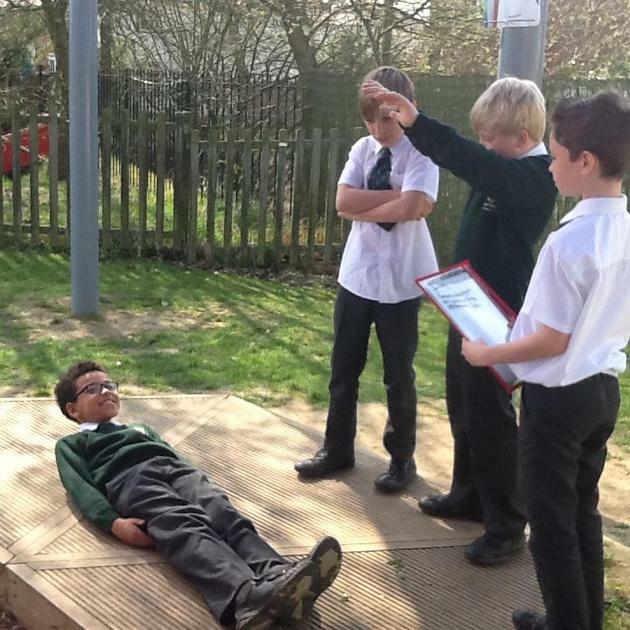 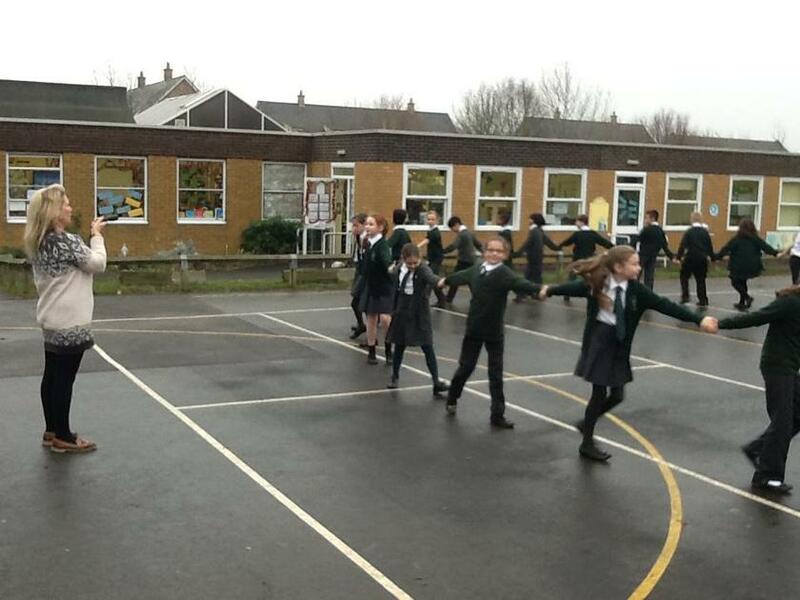 We have been busy working outside during some of our English lessons. 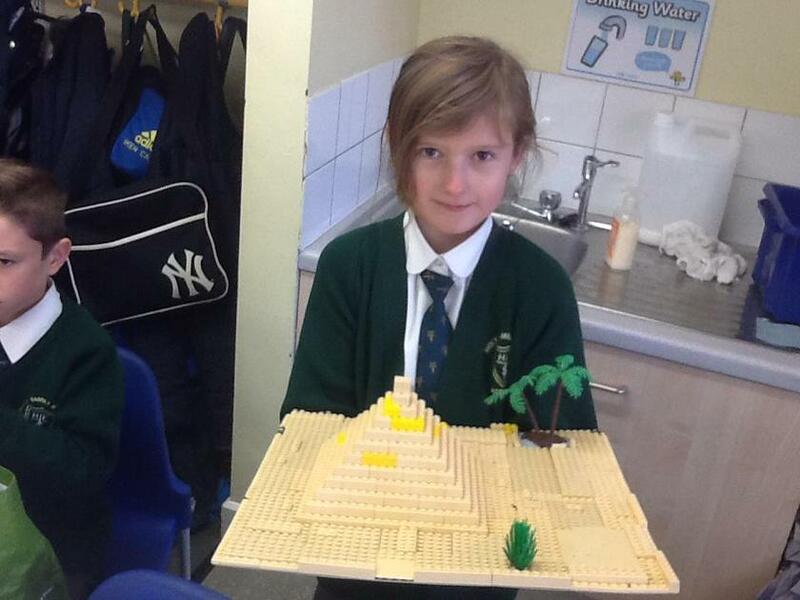 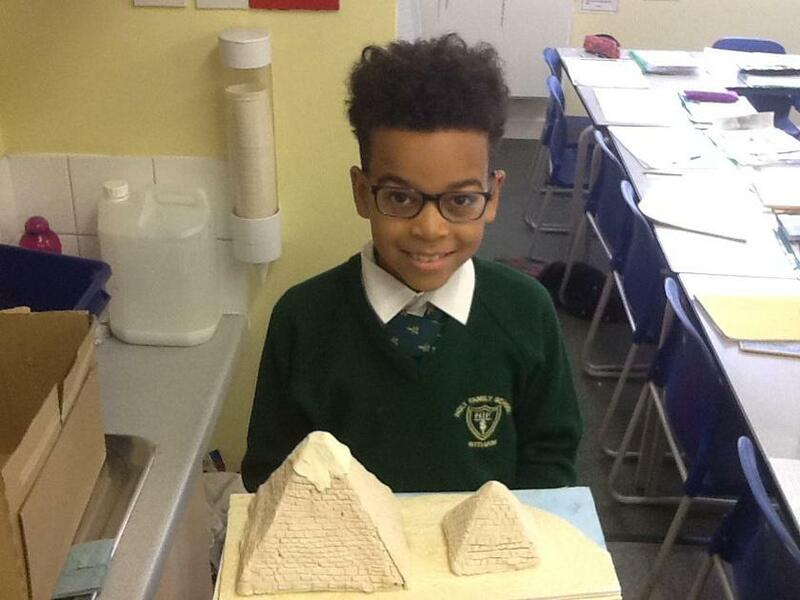 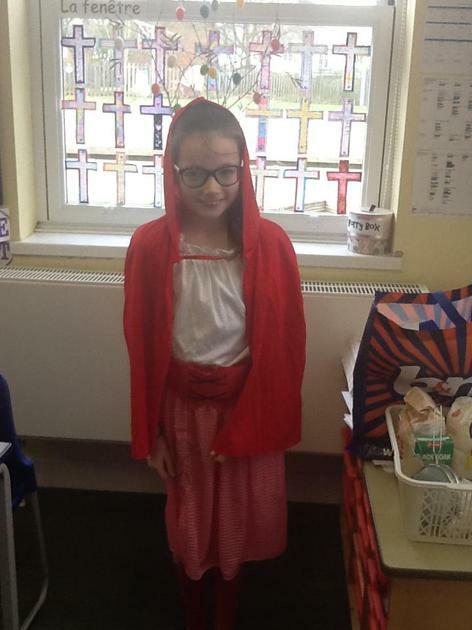 We have been studying The Red Pyramid (which also links to our Egyptian topic). 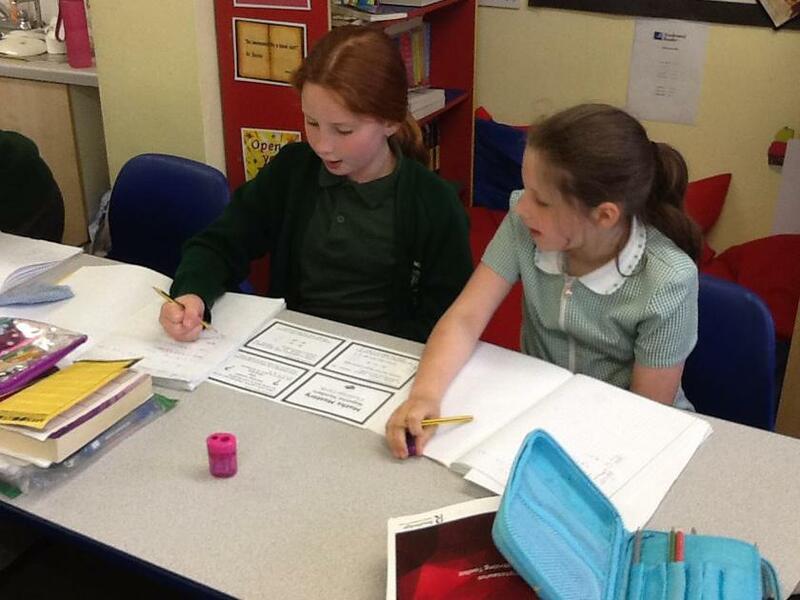 We have participated in role play, hot seating and deepening character development.